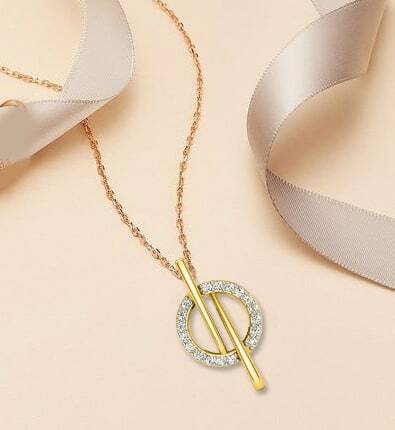 From working their magic as a perfect finishing touch to your look to adding a sparkle to enhance your ensemble, there’s no denying that diamond pendants can be a bold and beautiful accessory. 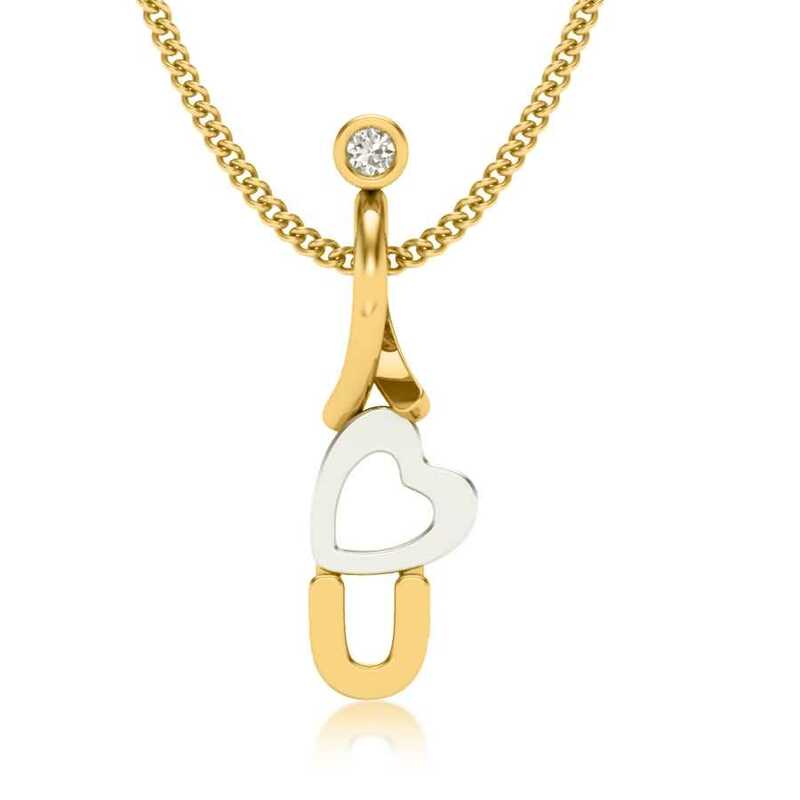 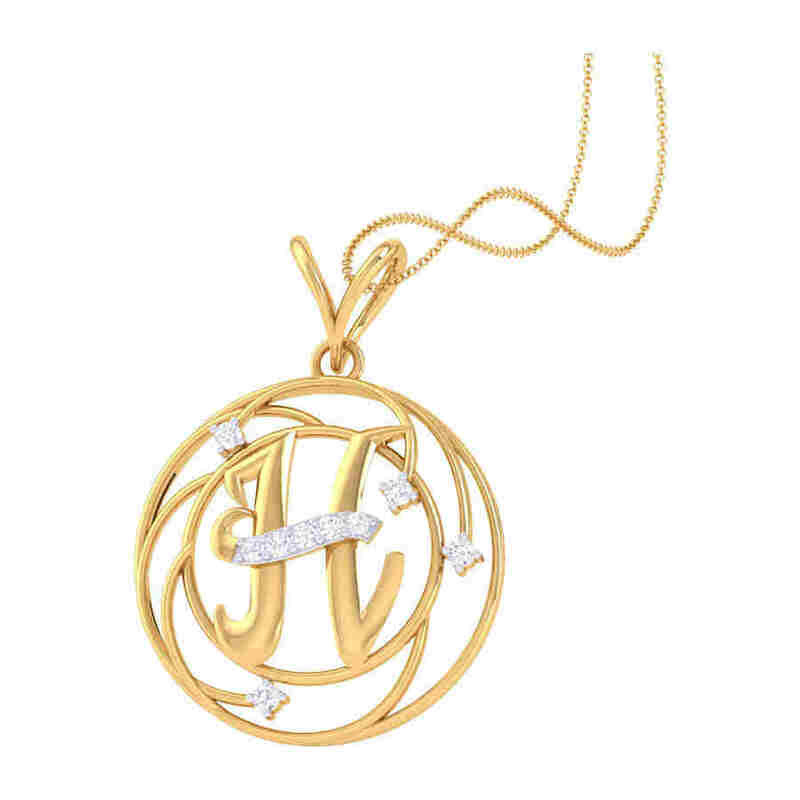 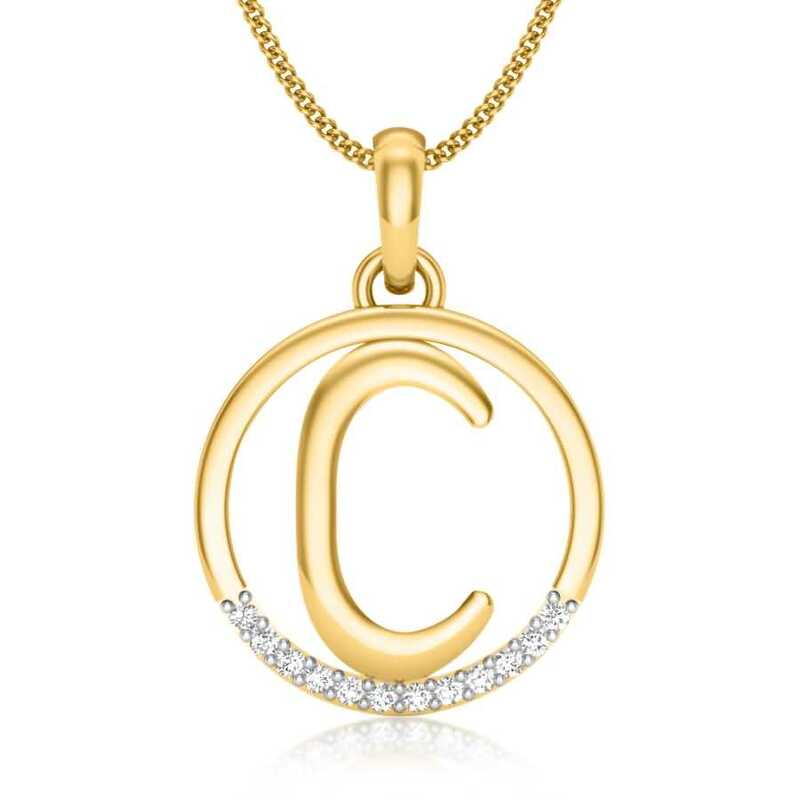 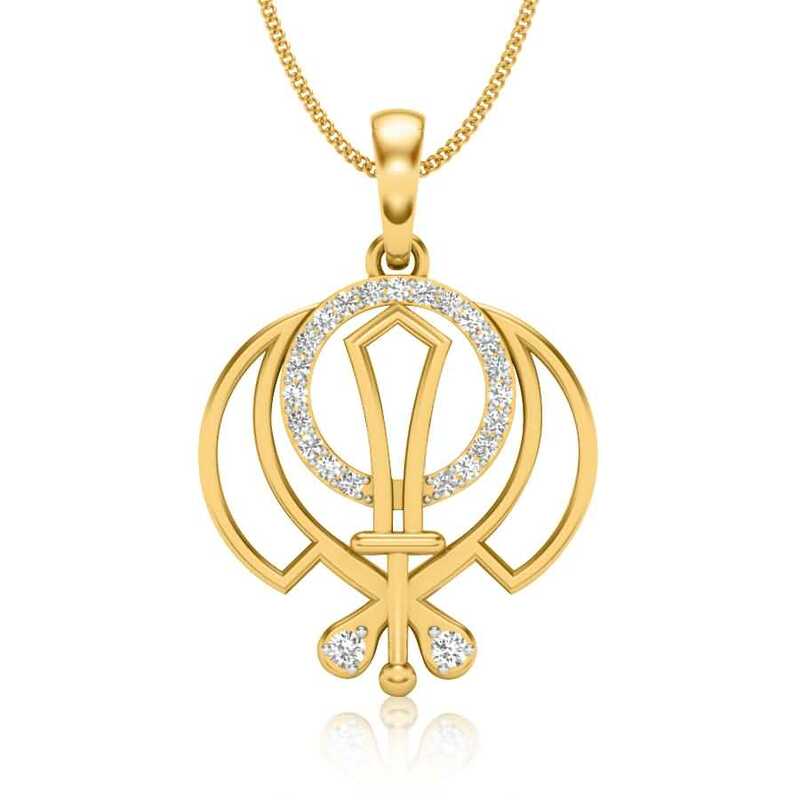 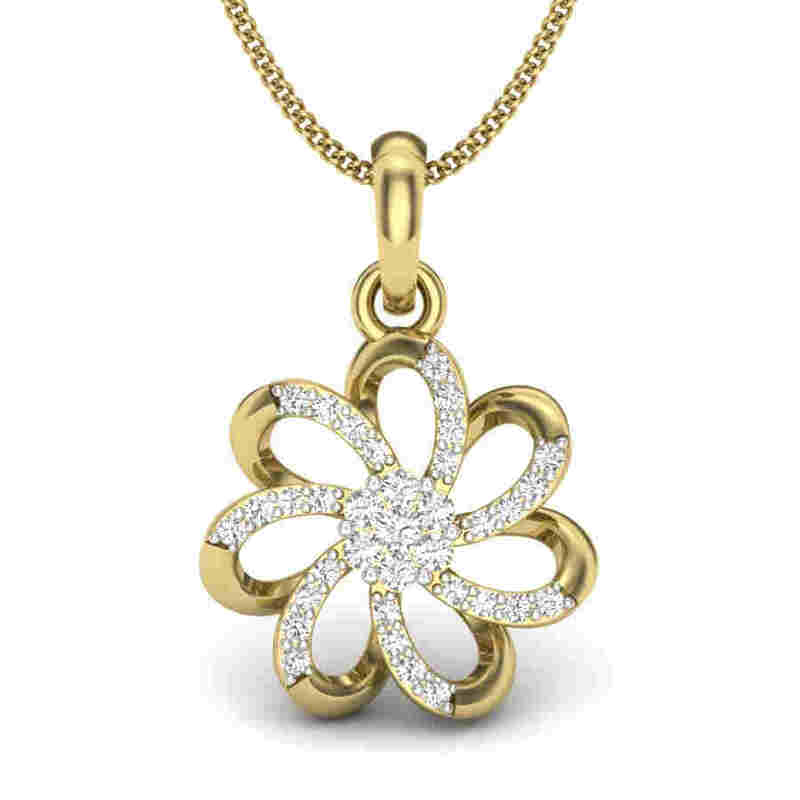 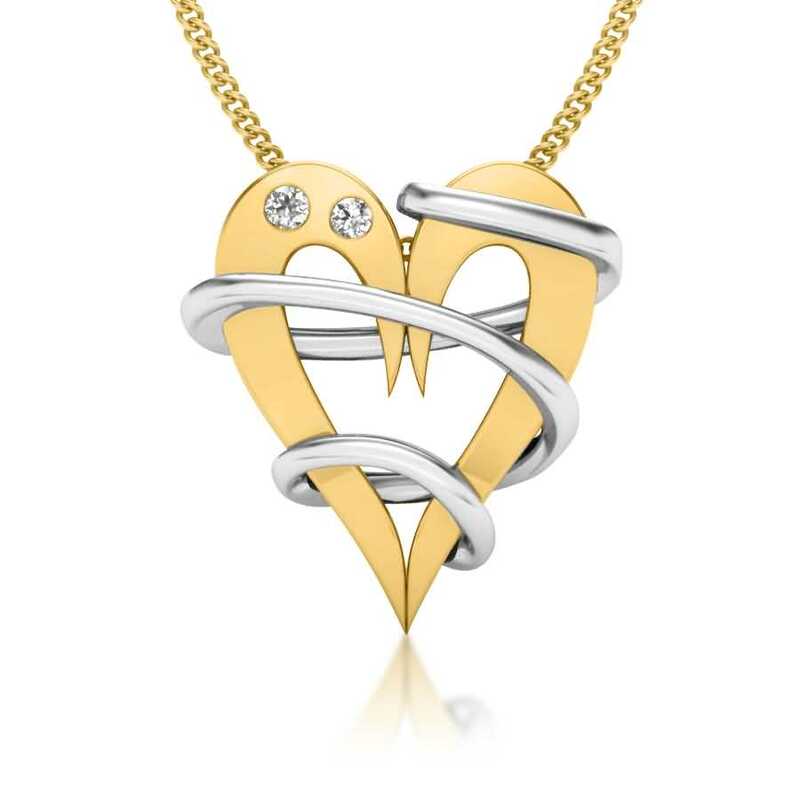 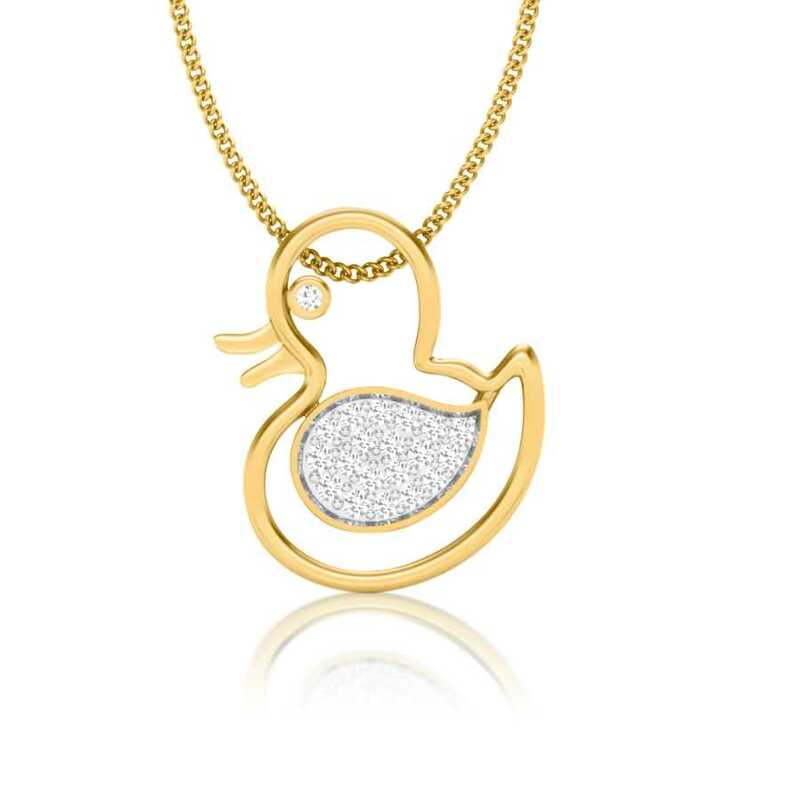 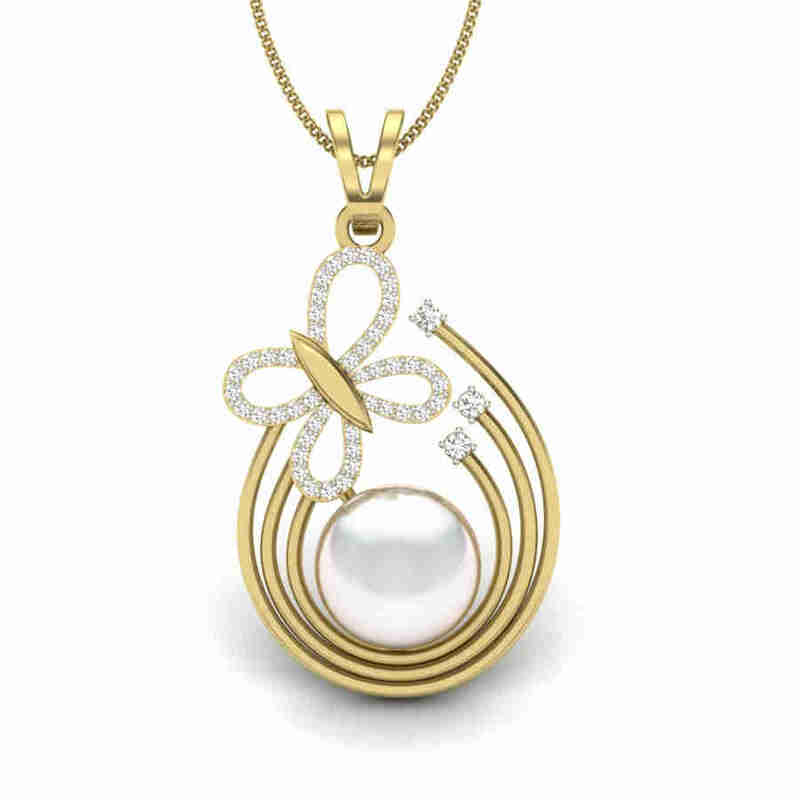 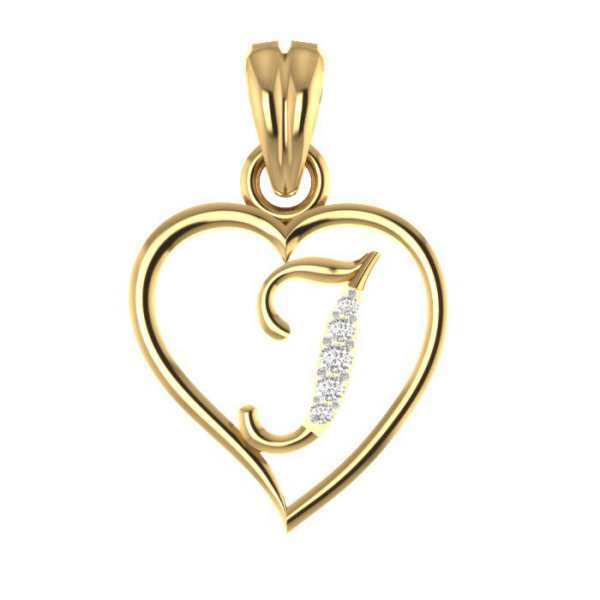 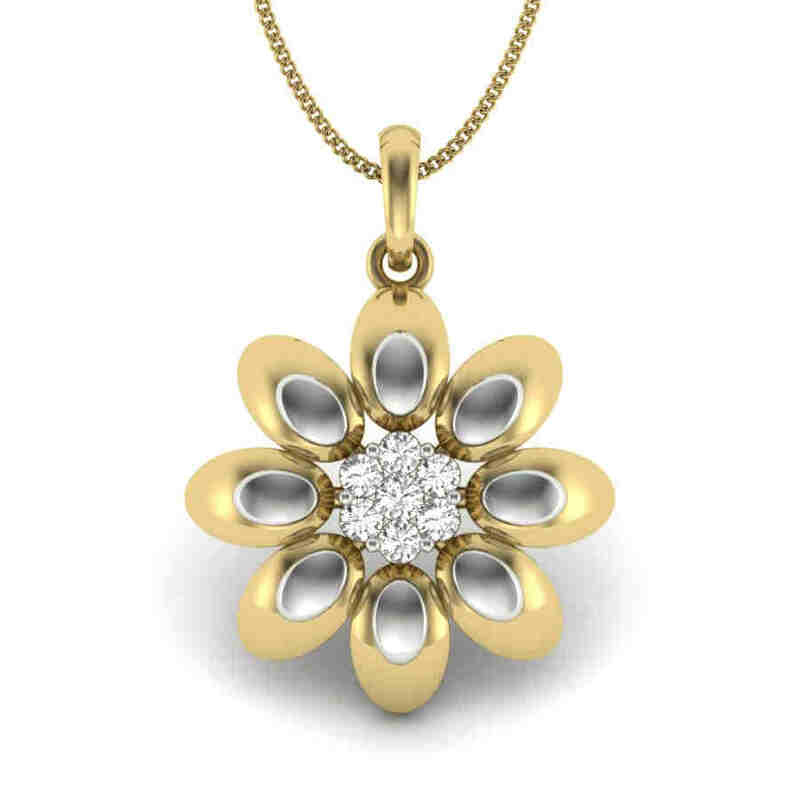 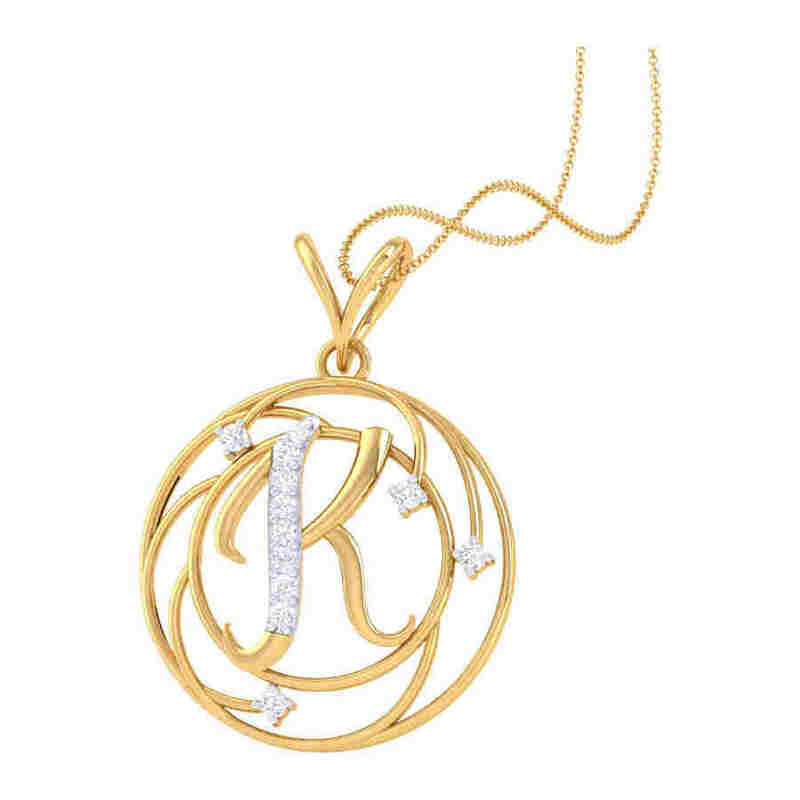 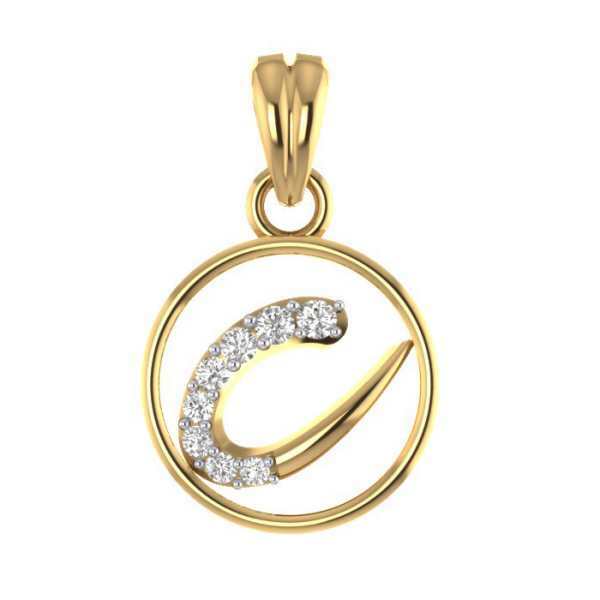 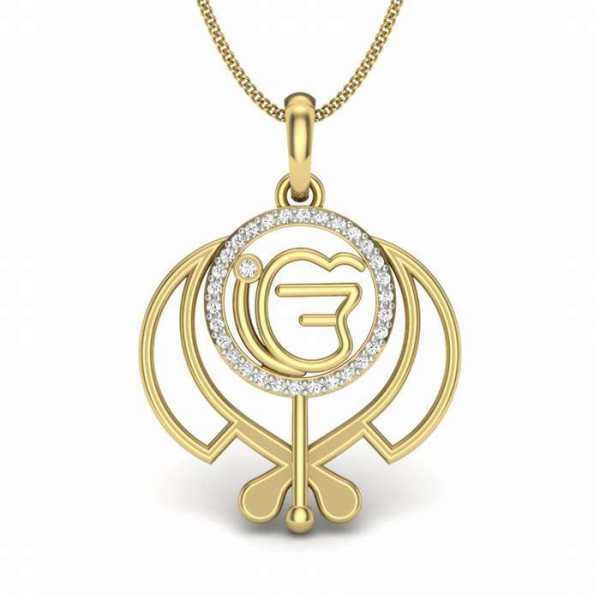 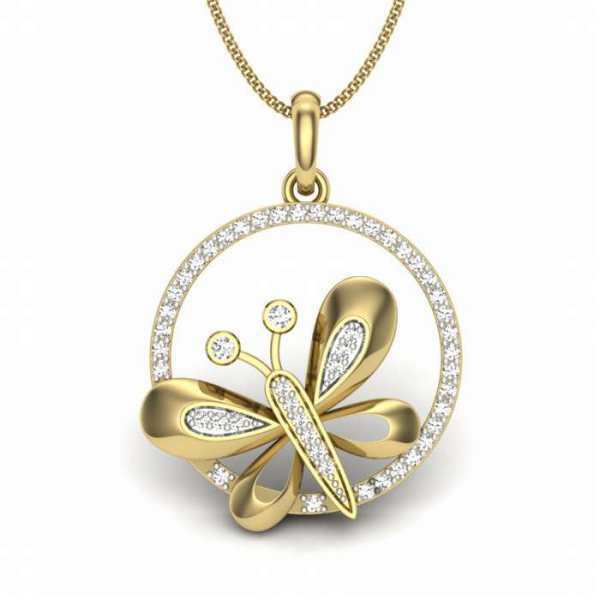 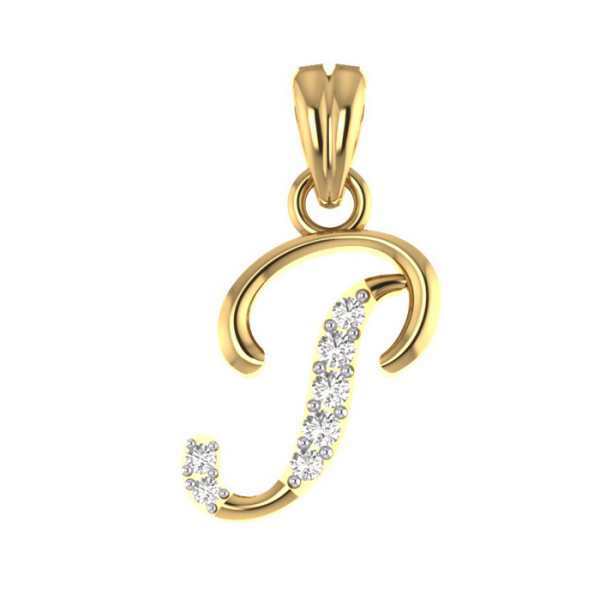 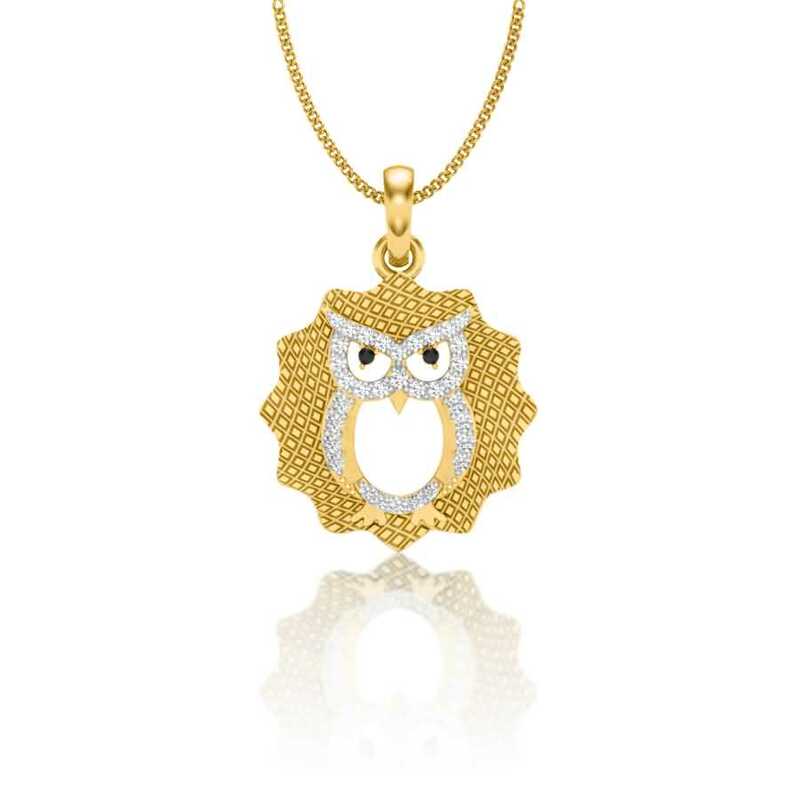 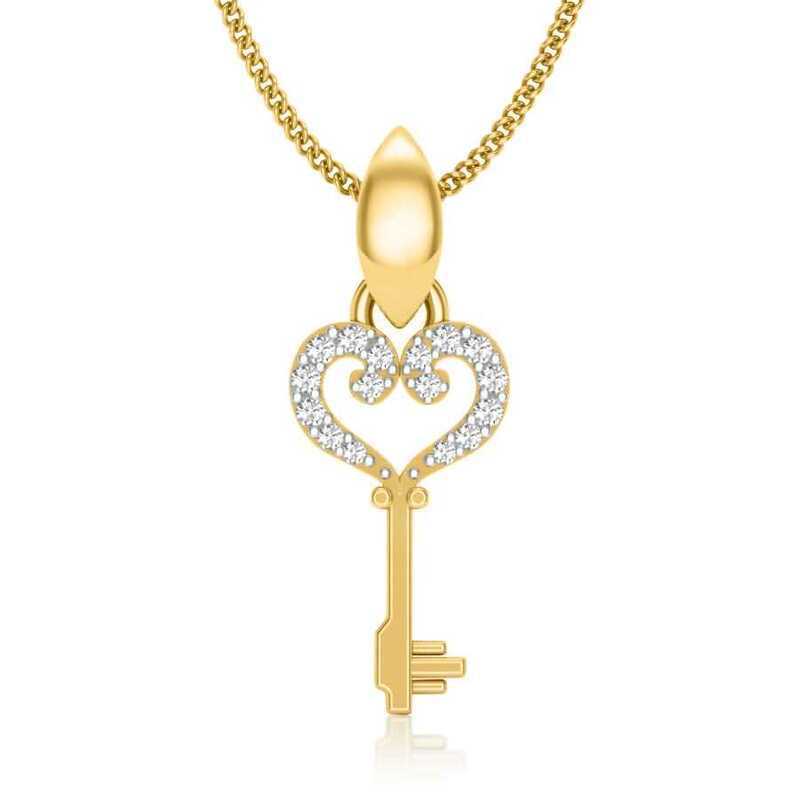 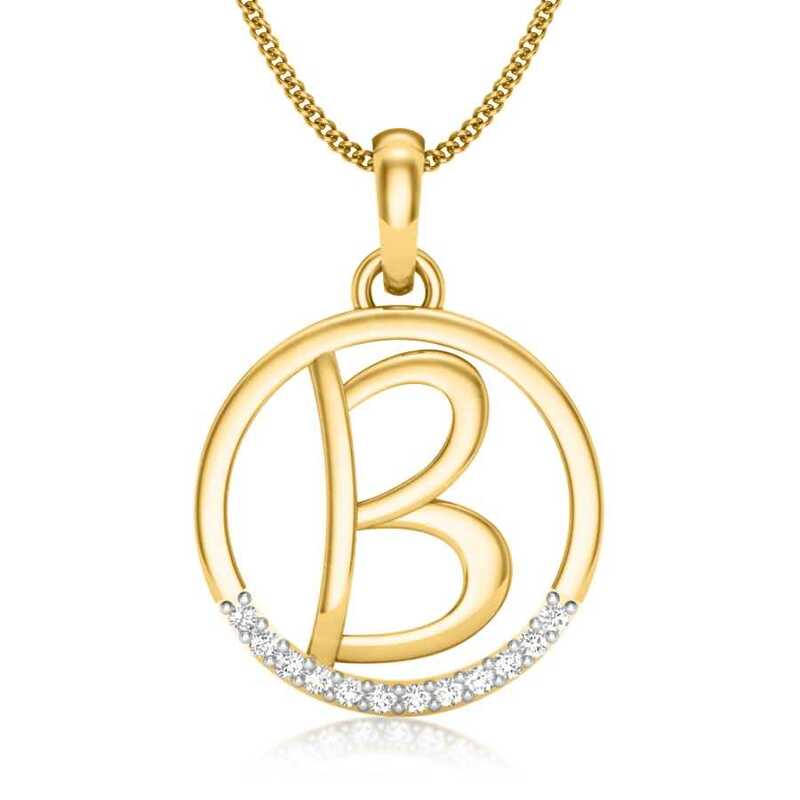 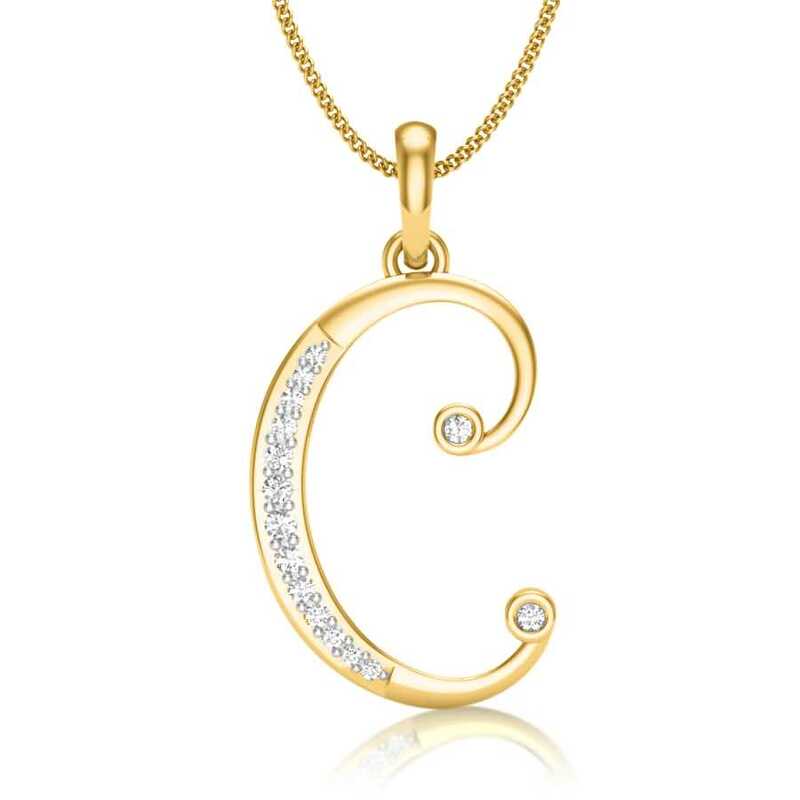 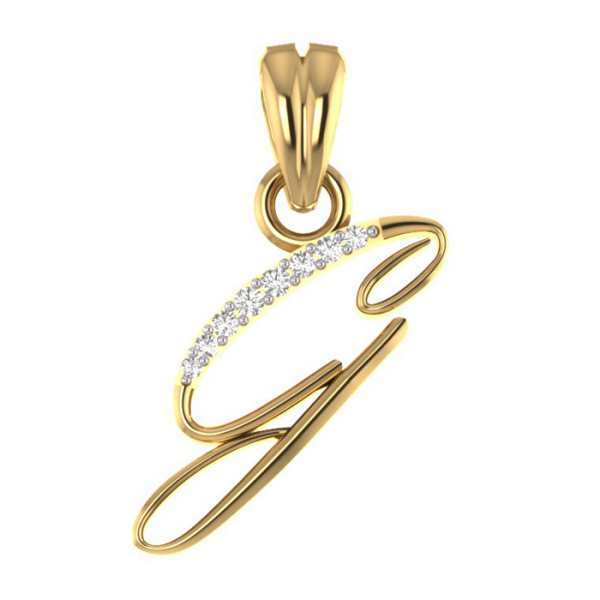 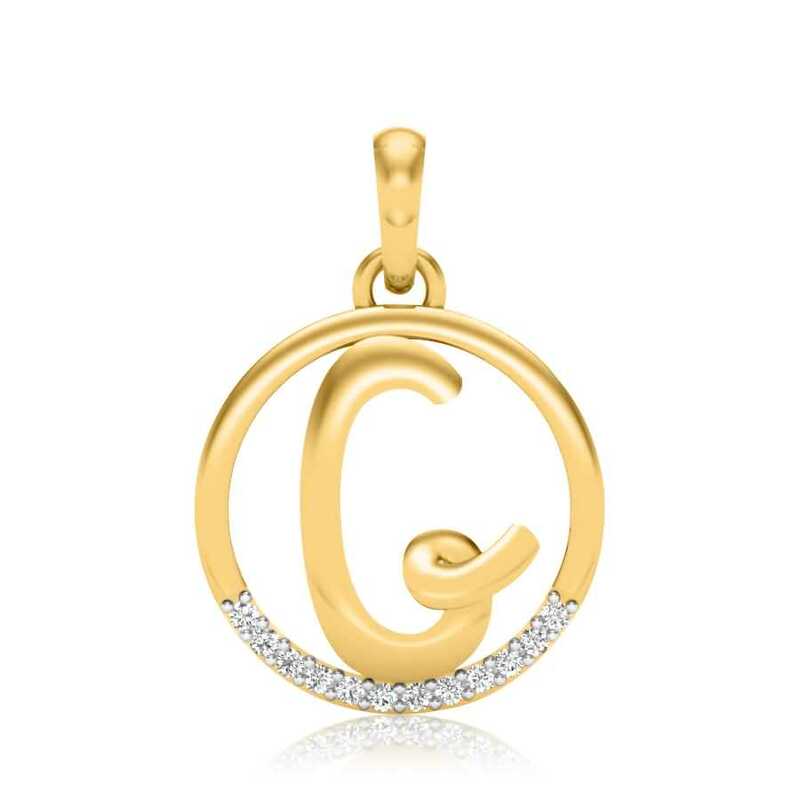 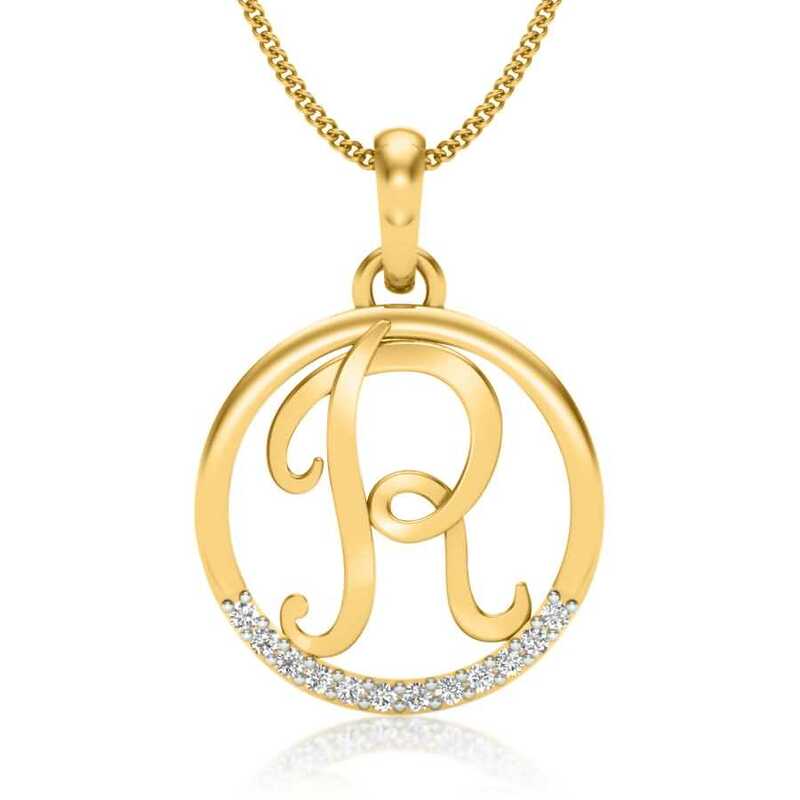 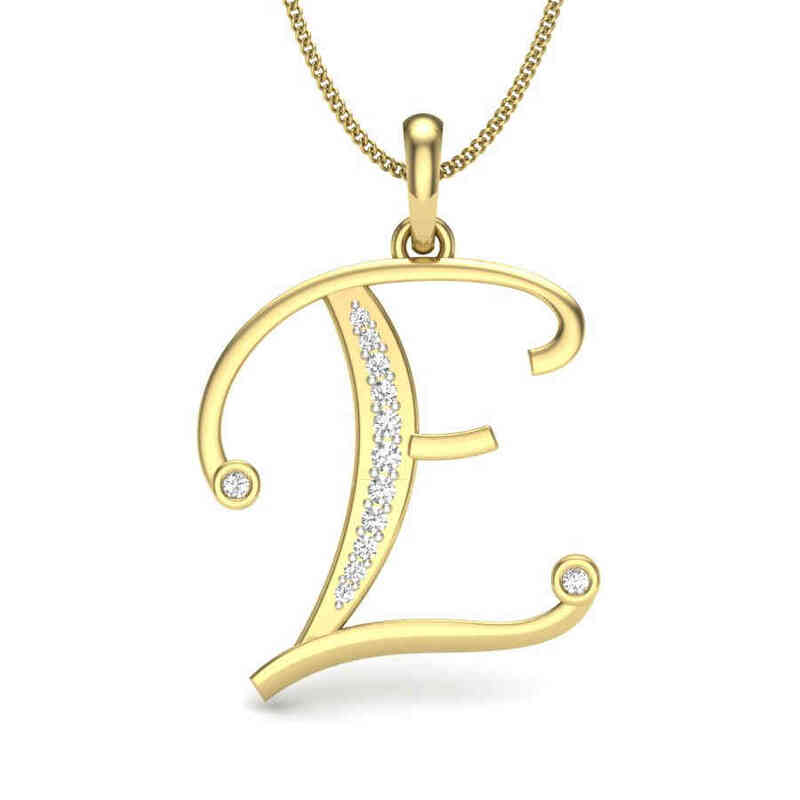 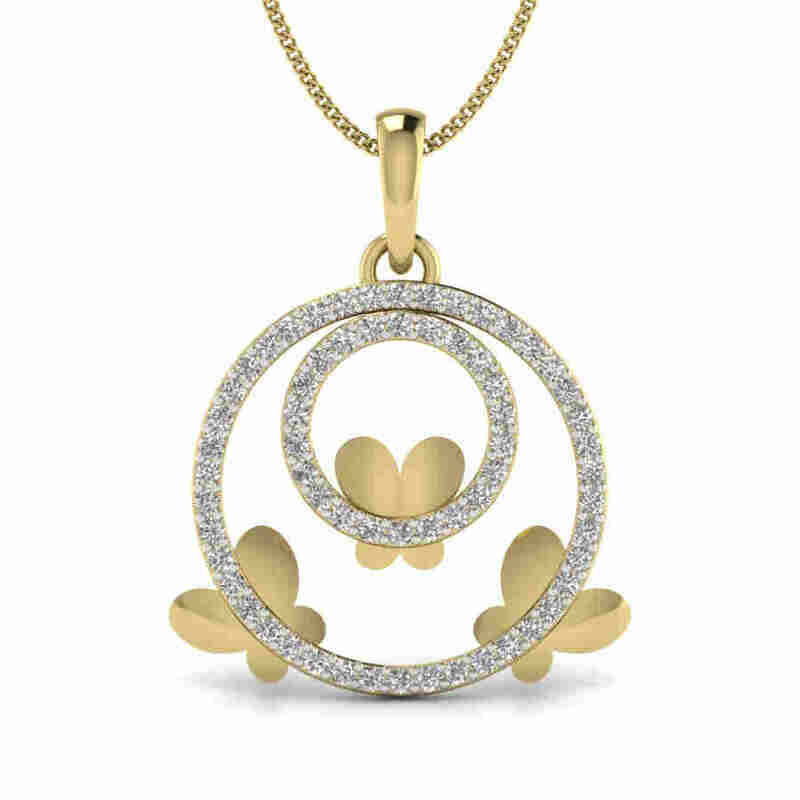 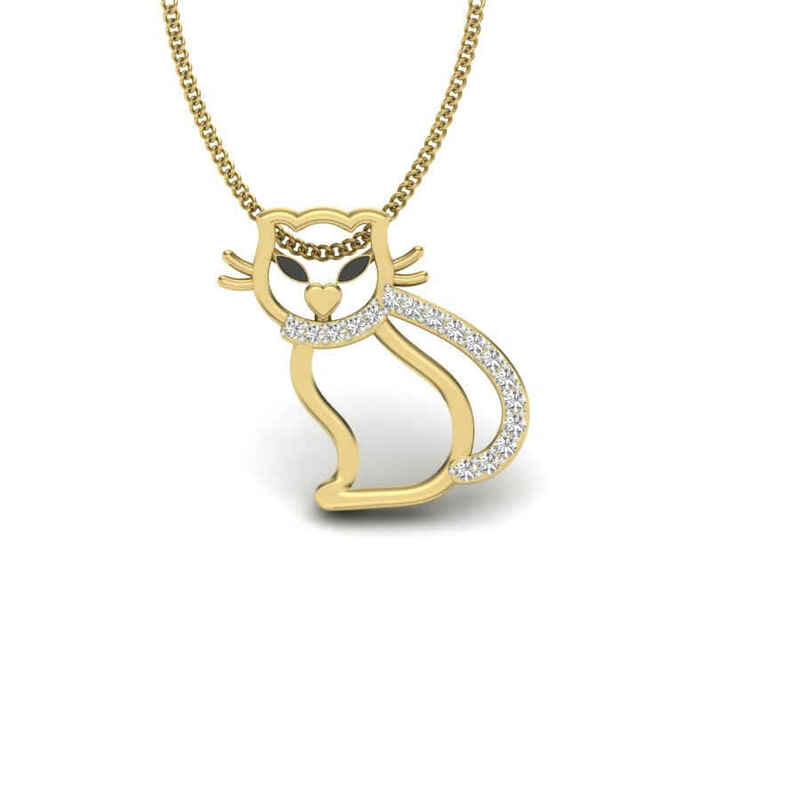 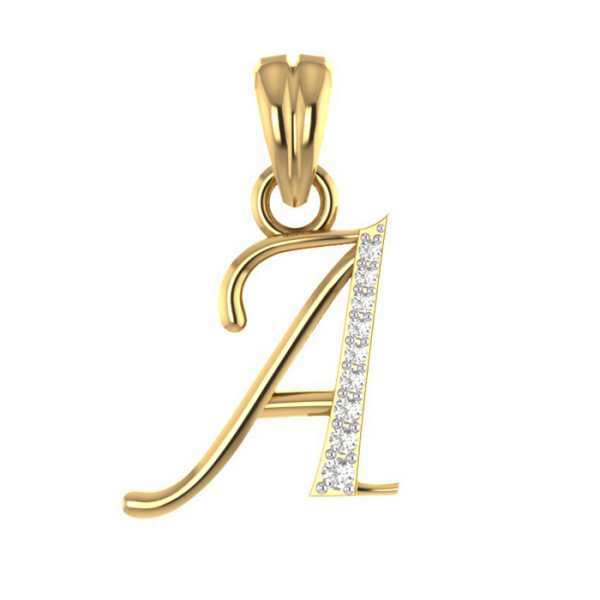 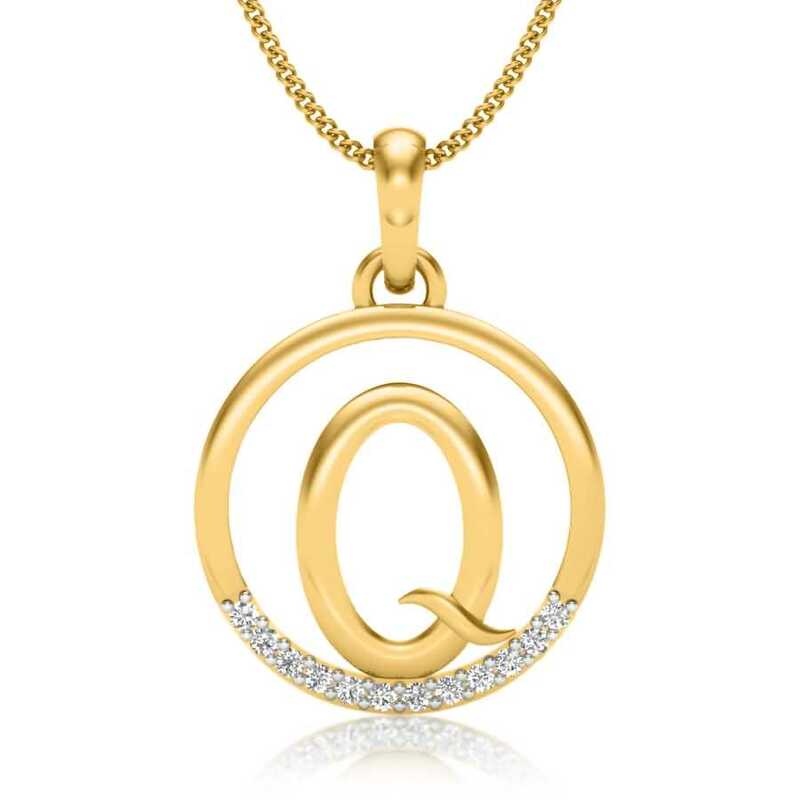 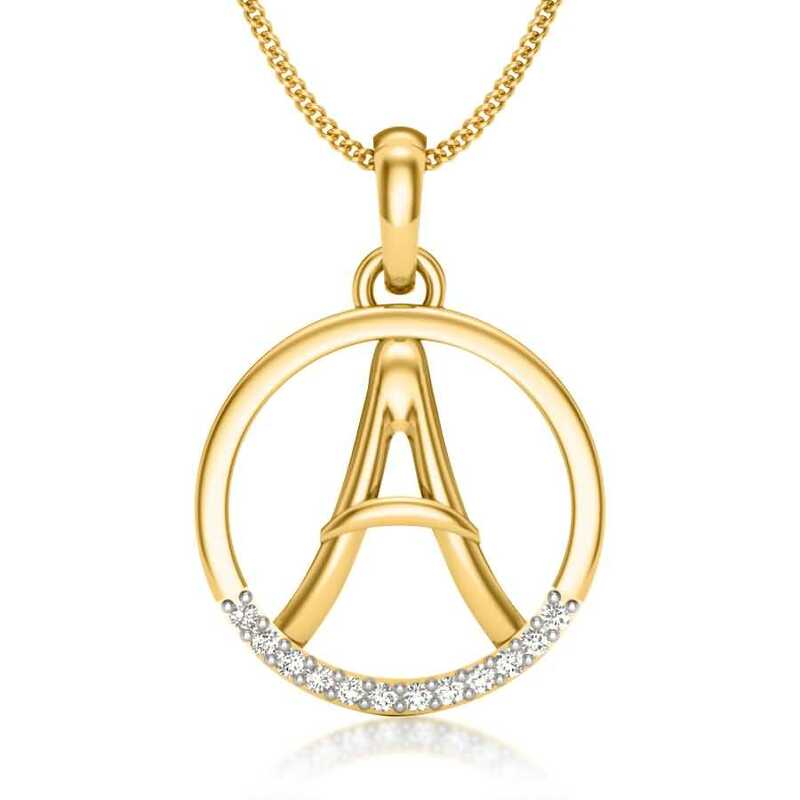 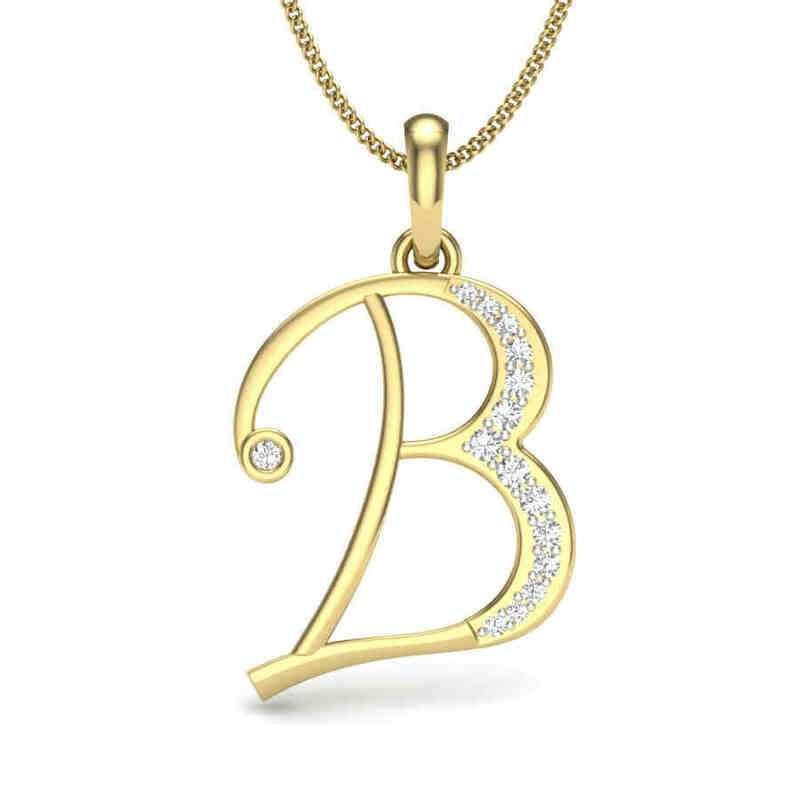 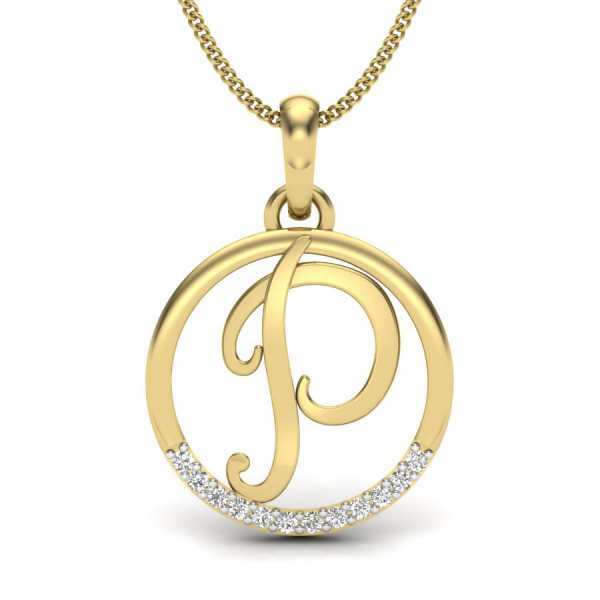 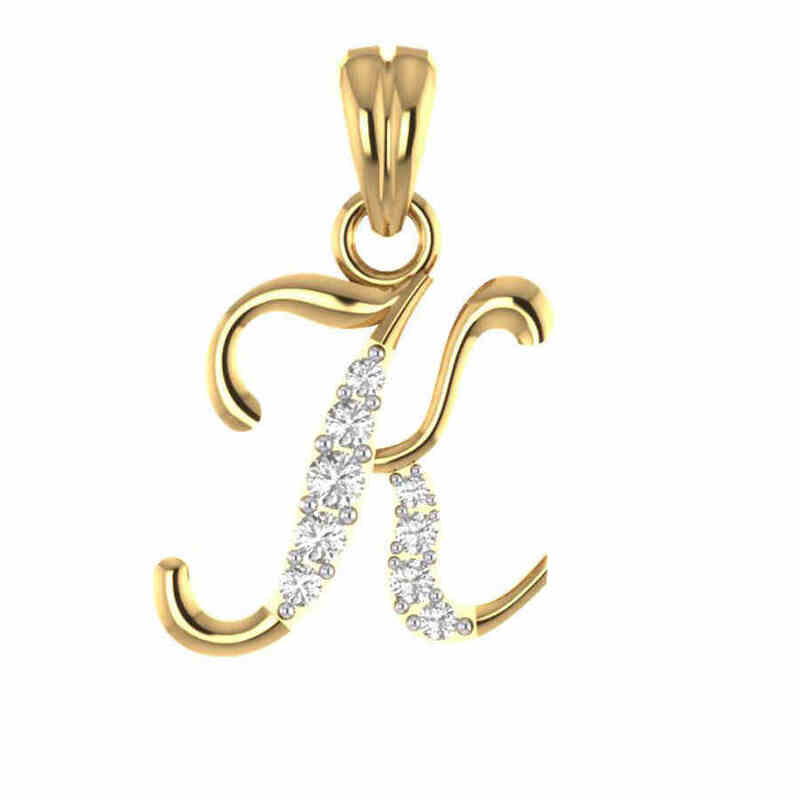 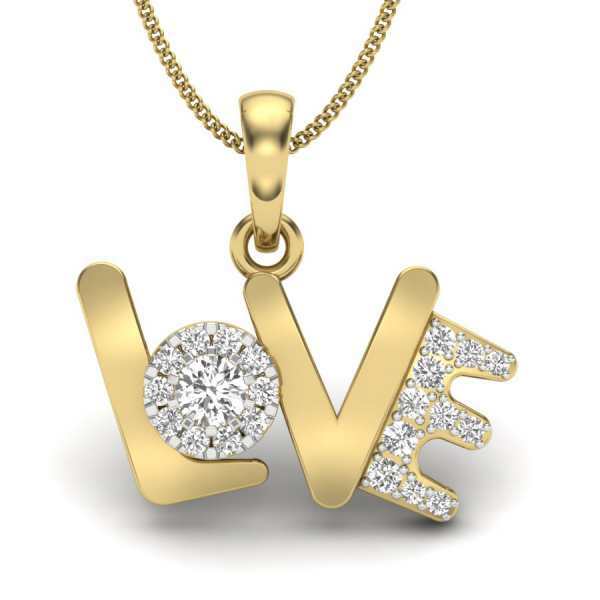 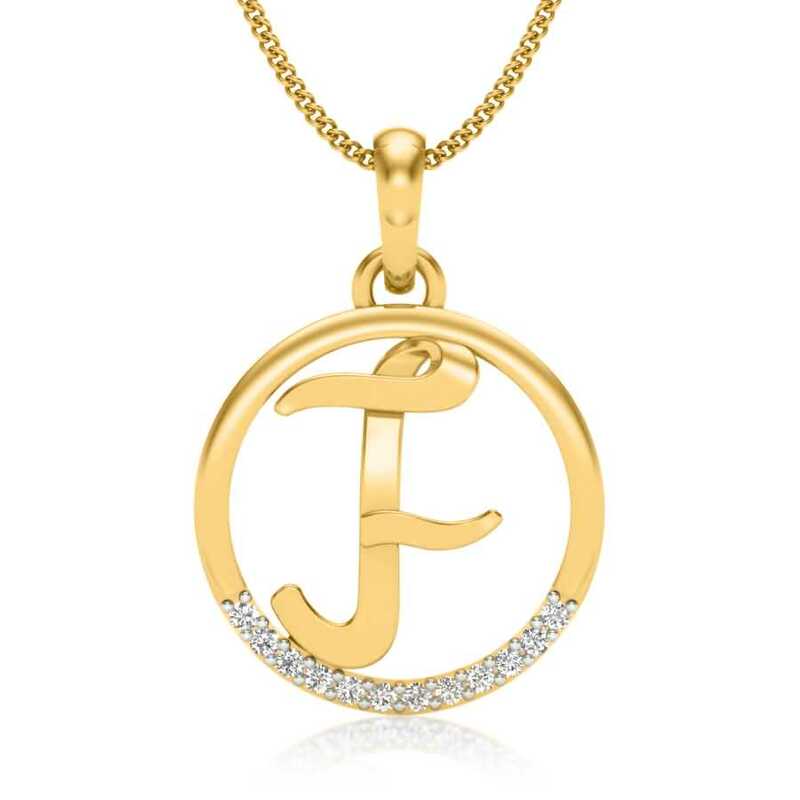 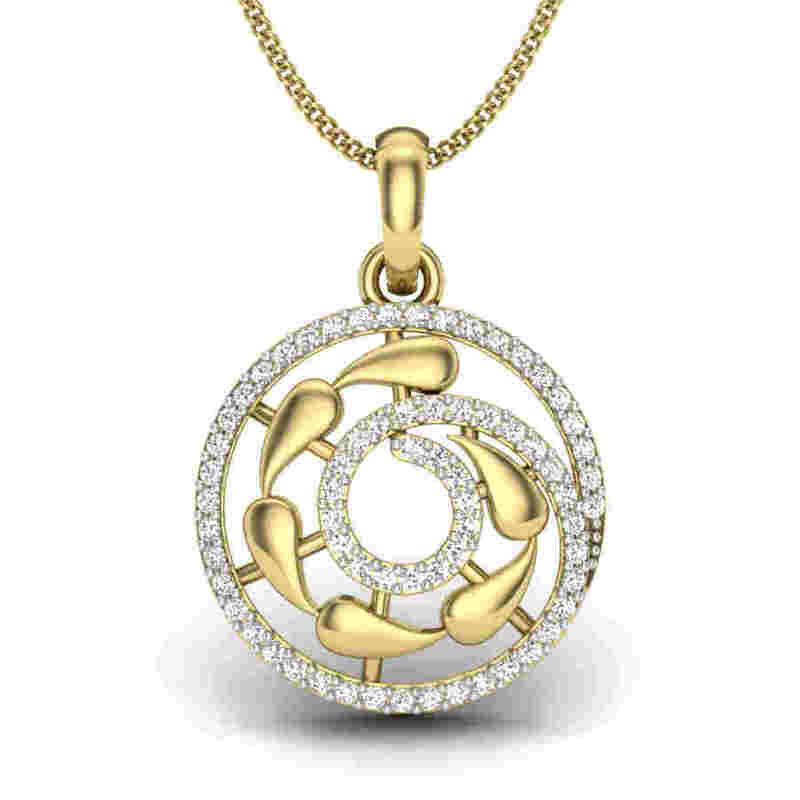 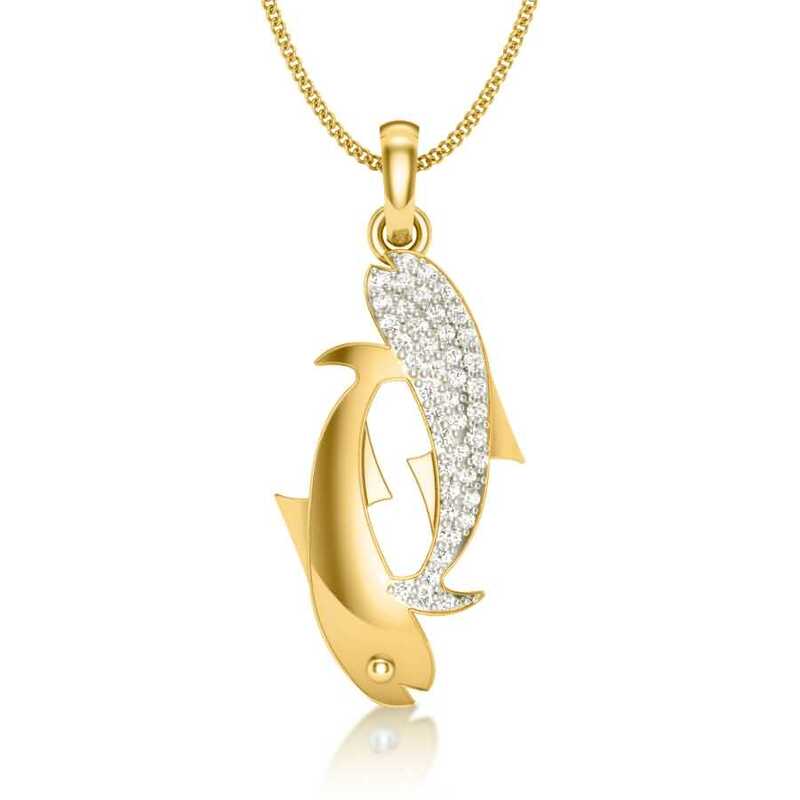 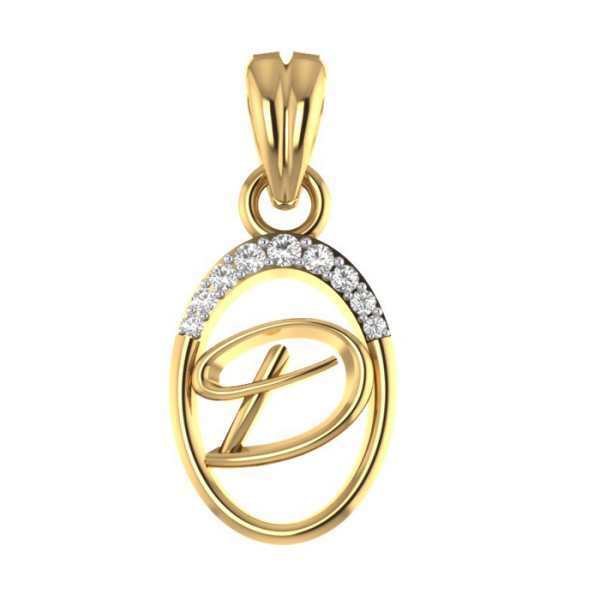 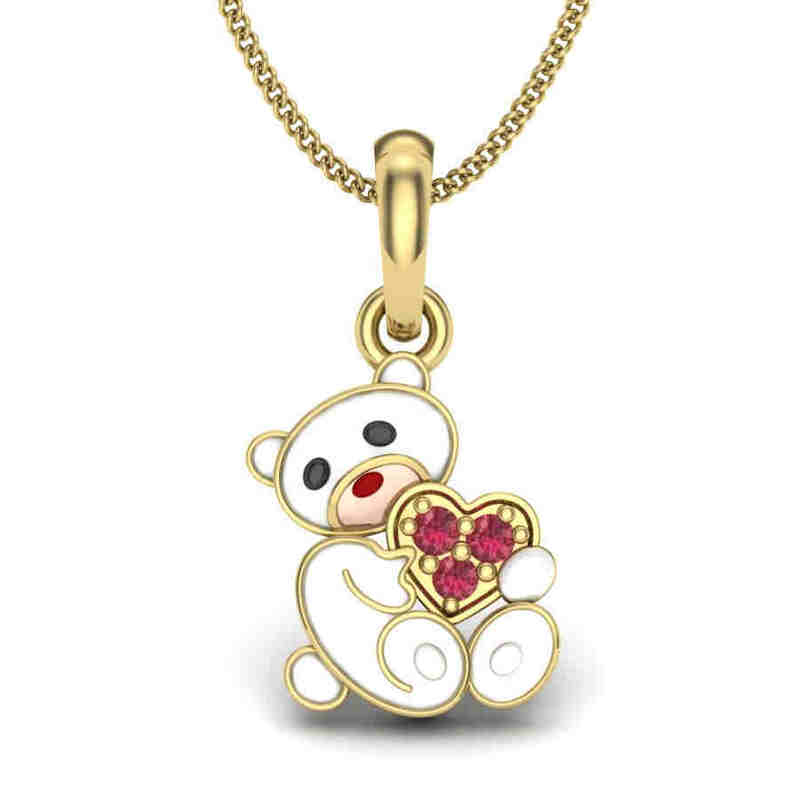 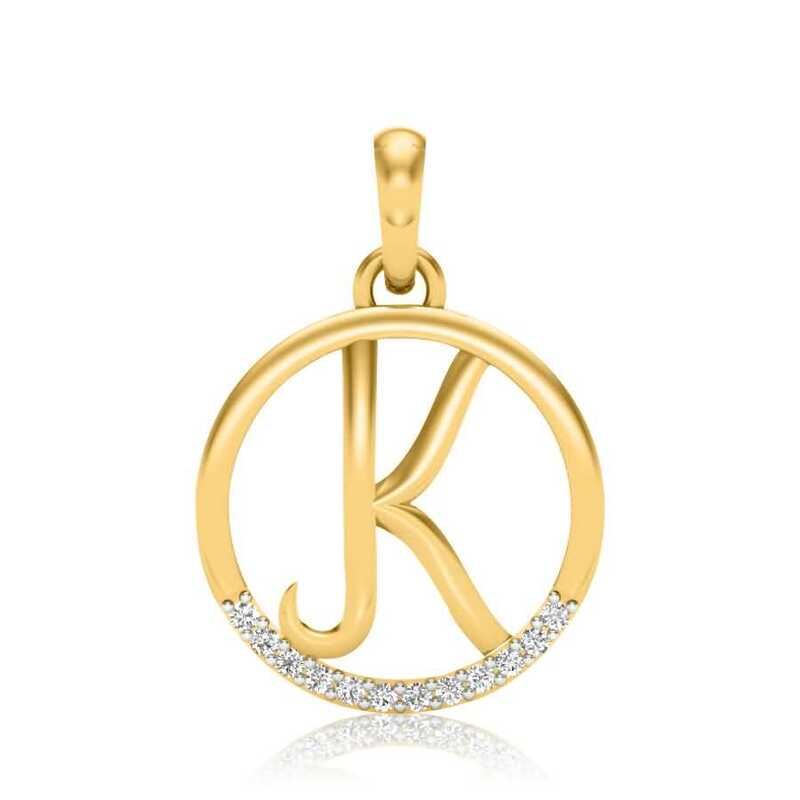 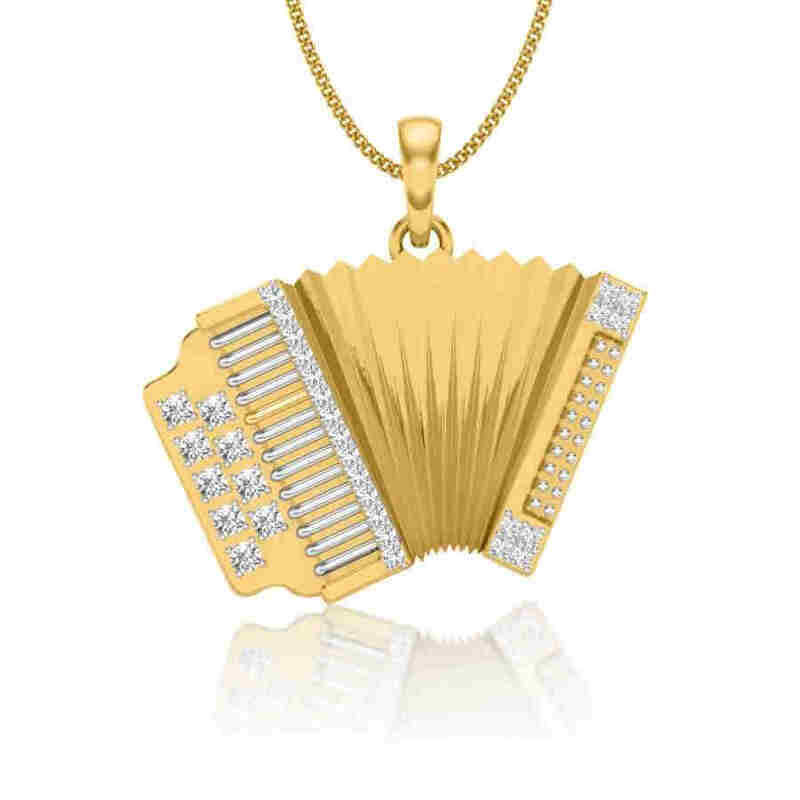 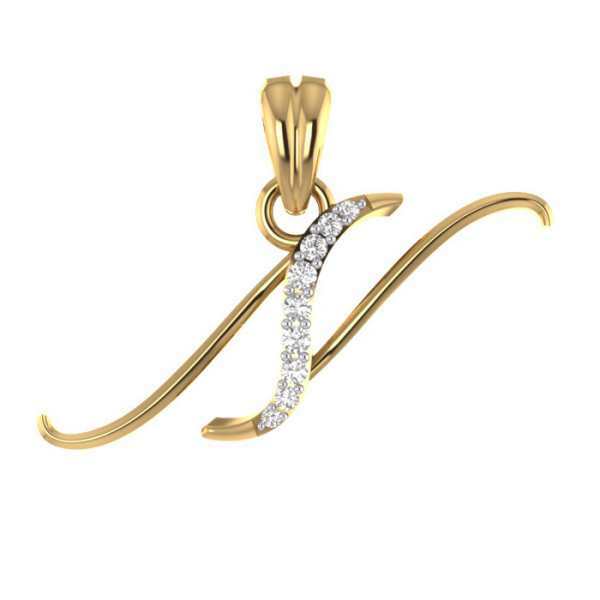 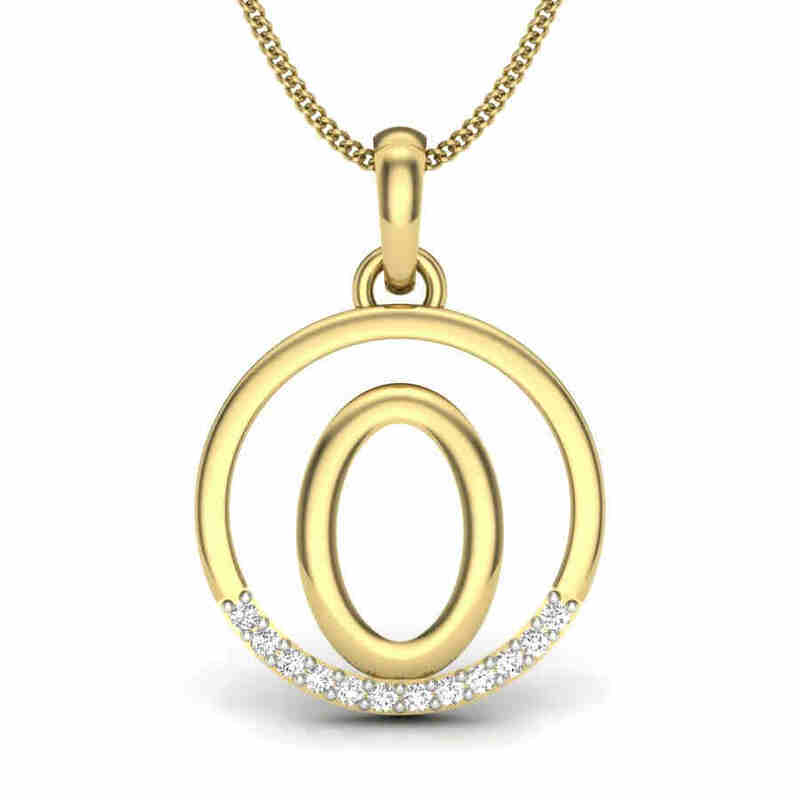 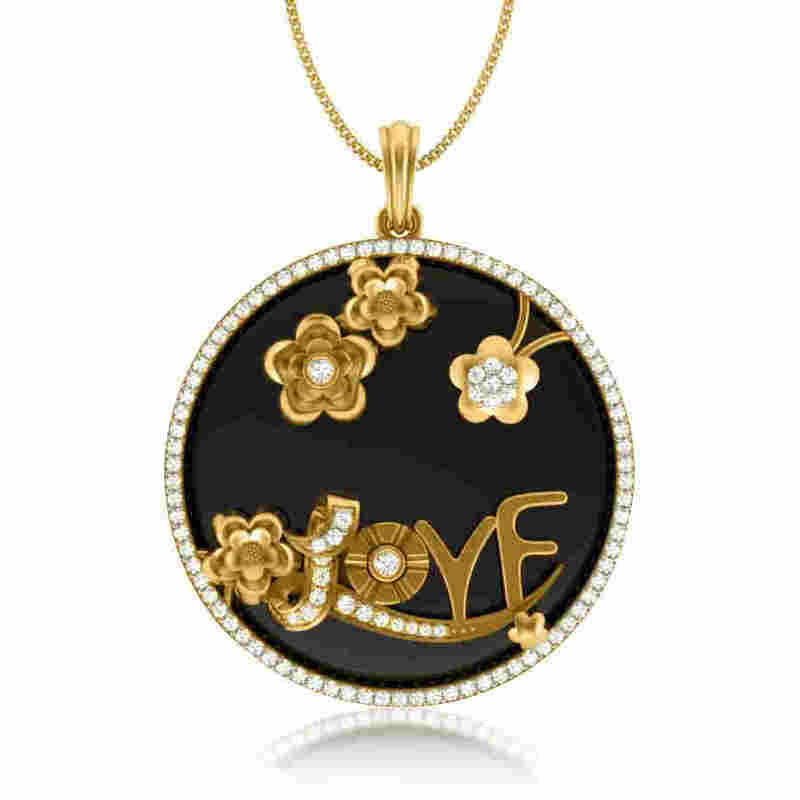 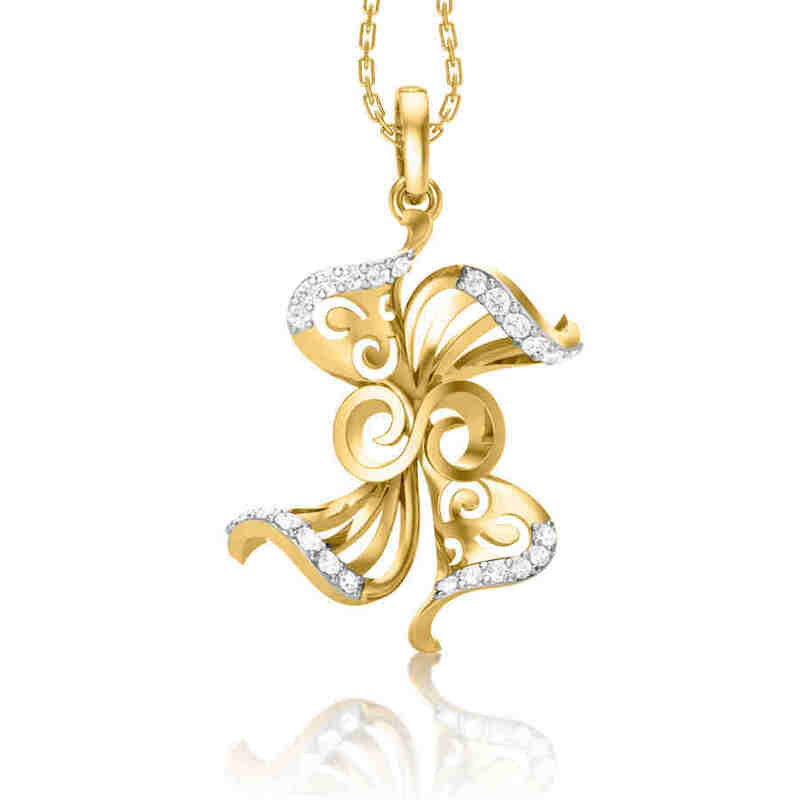 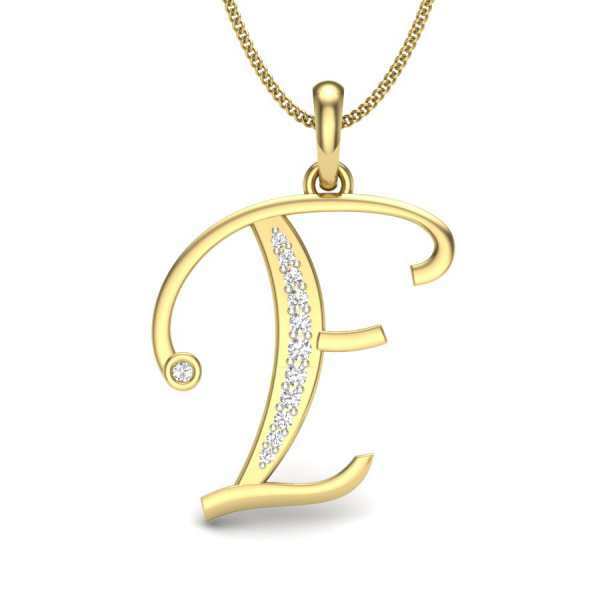 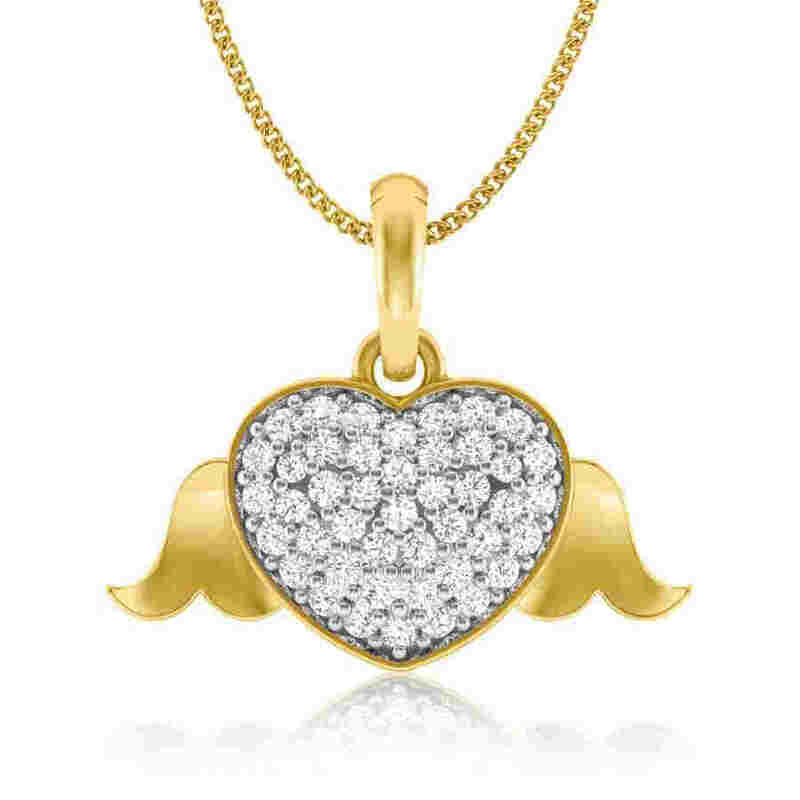 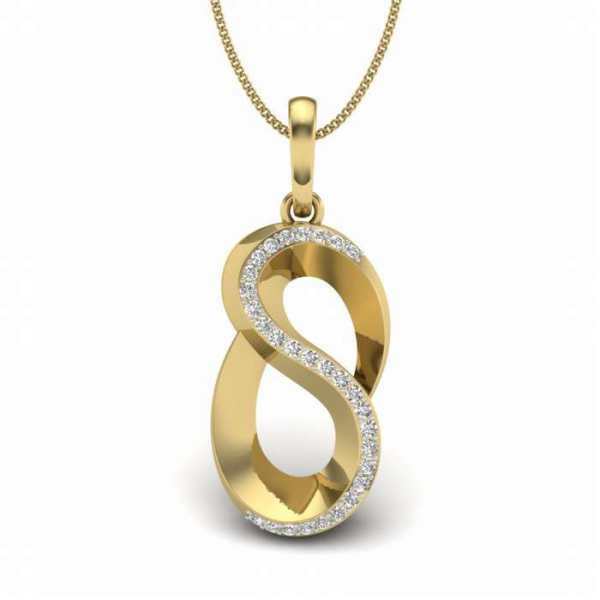 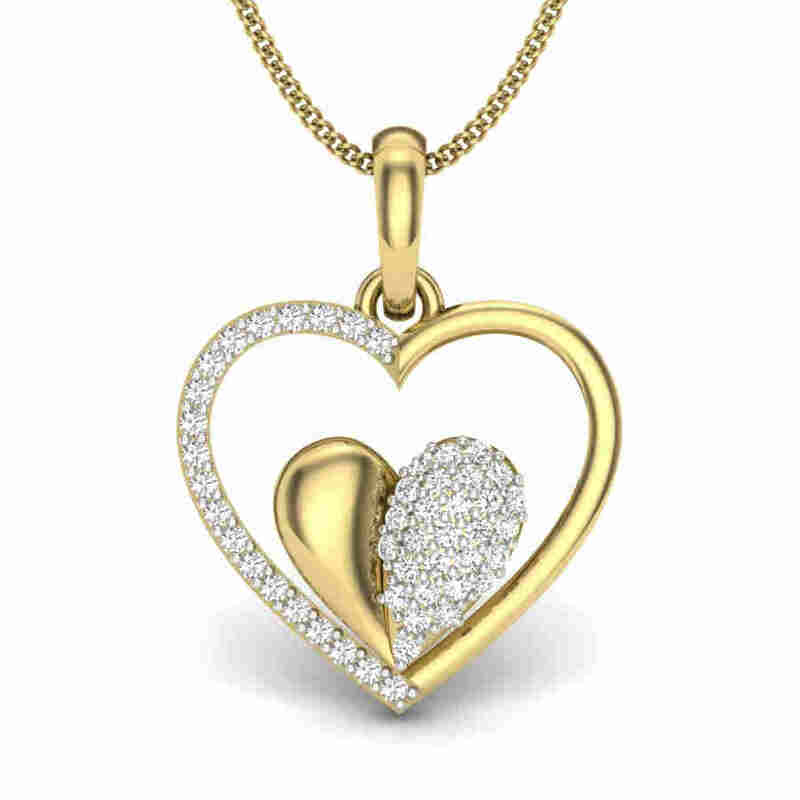 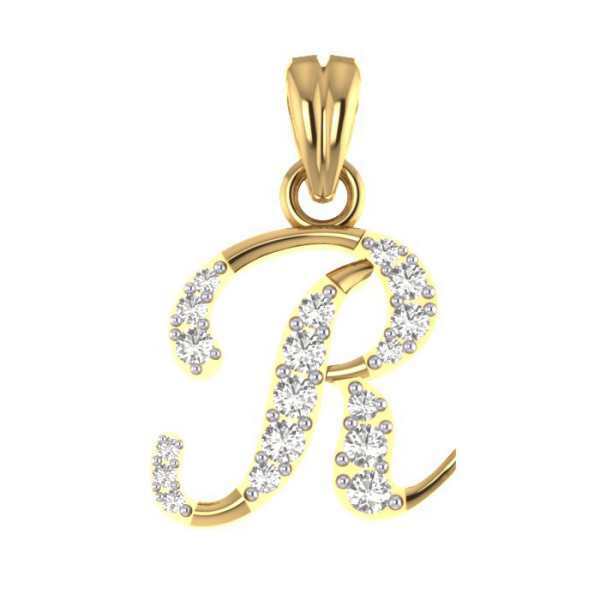 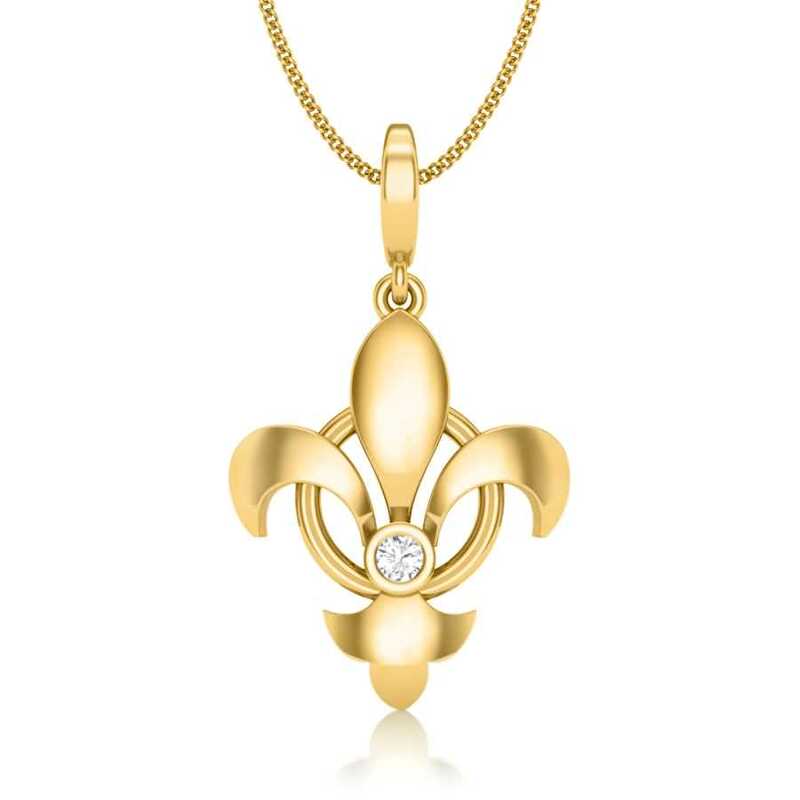 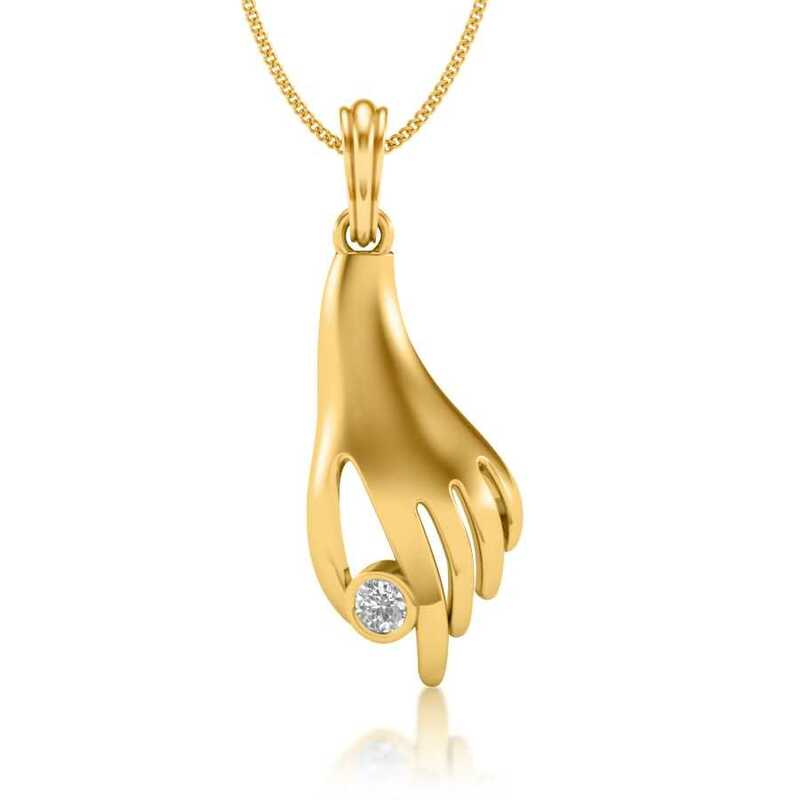 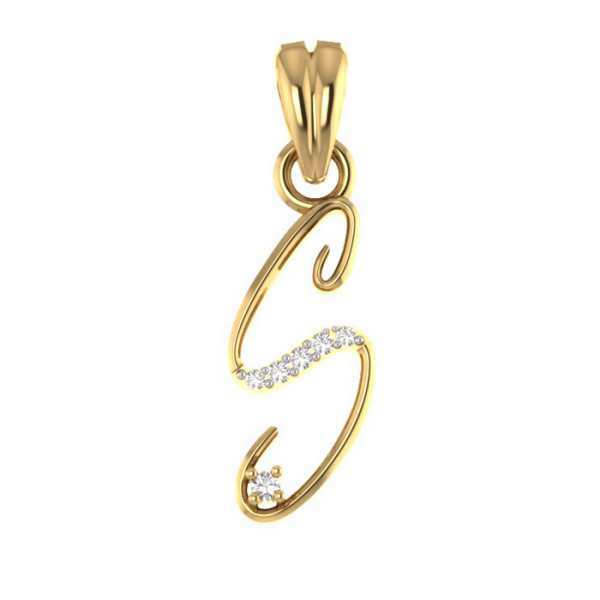 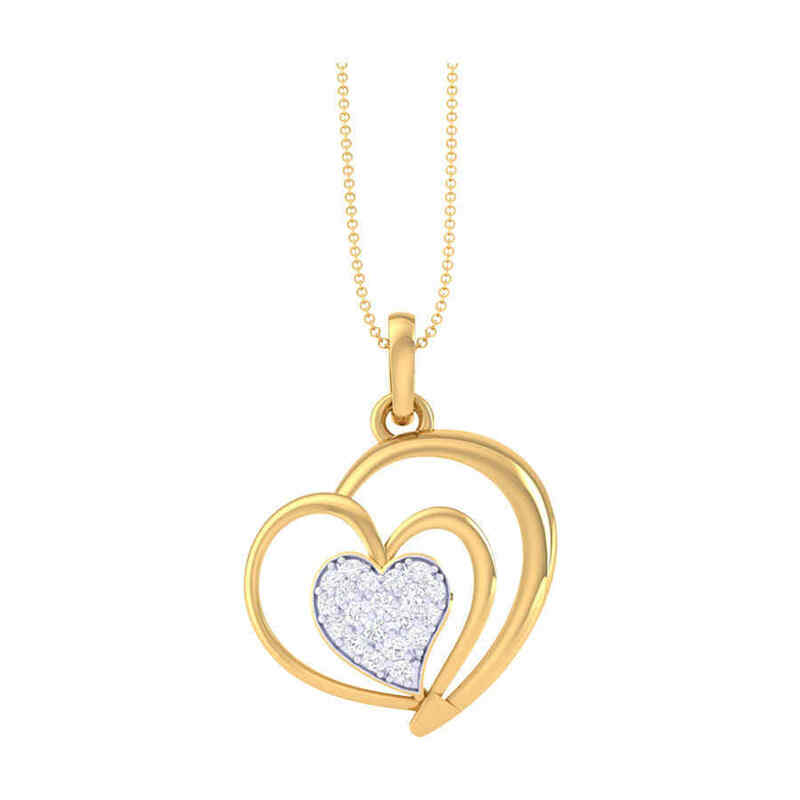 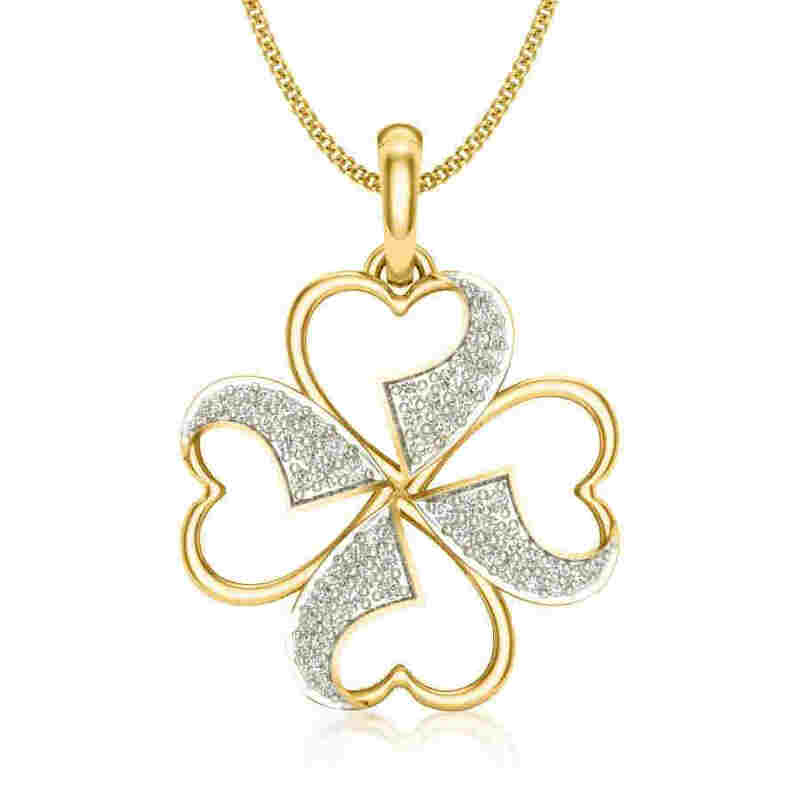 Not only are diamond pendants are a staple in women’s jewellery boxes but are also a popular and memorable gift choice that is guaranteed to make the recipient feel super special. 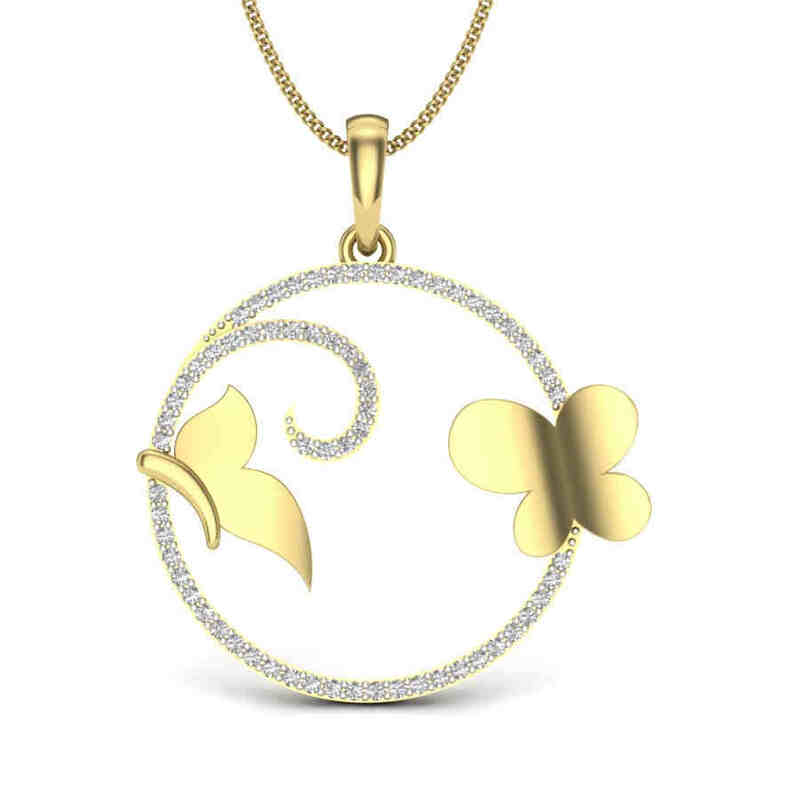 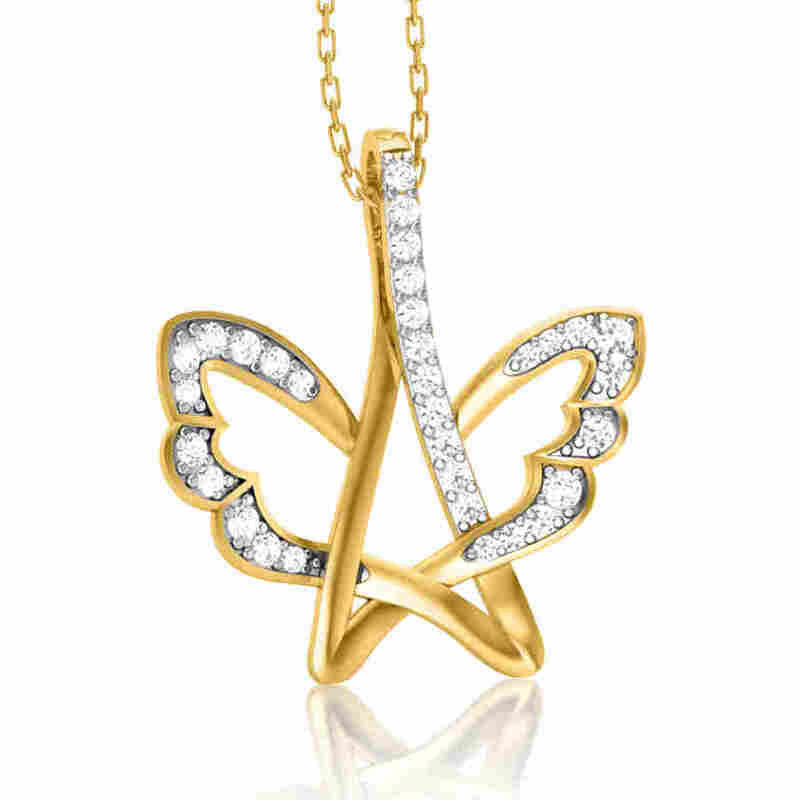 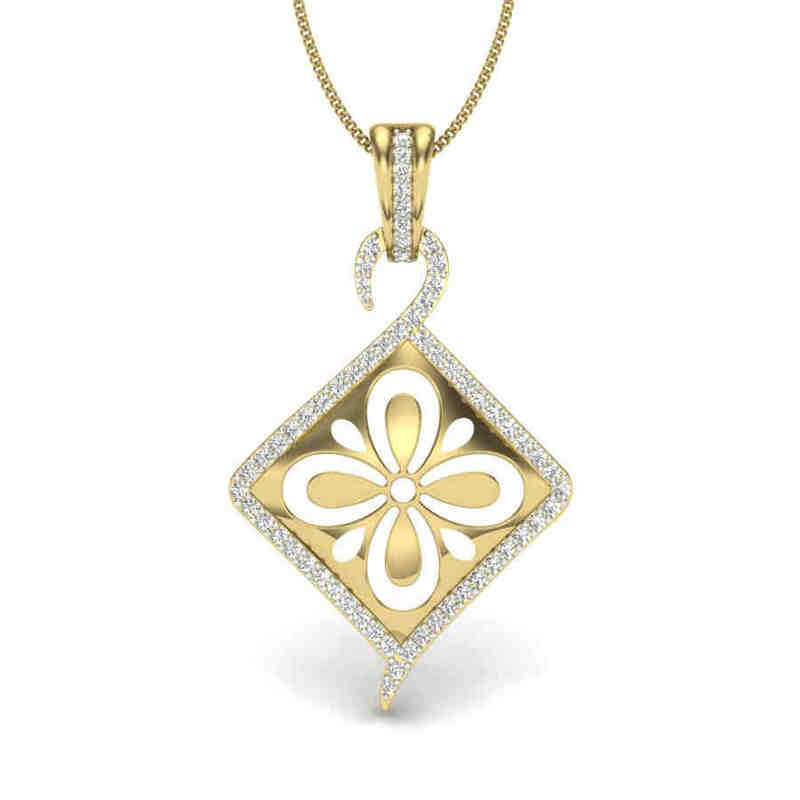 Our varied range of gorgeous diamond pendants come in dainty and beautiful shapes, sizes, and styles. 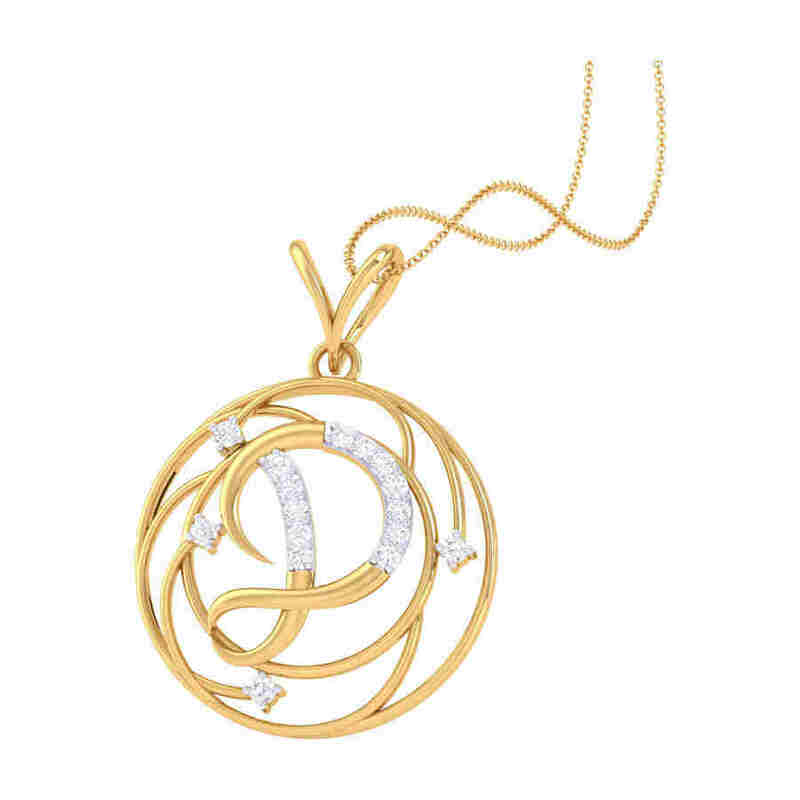 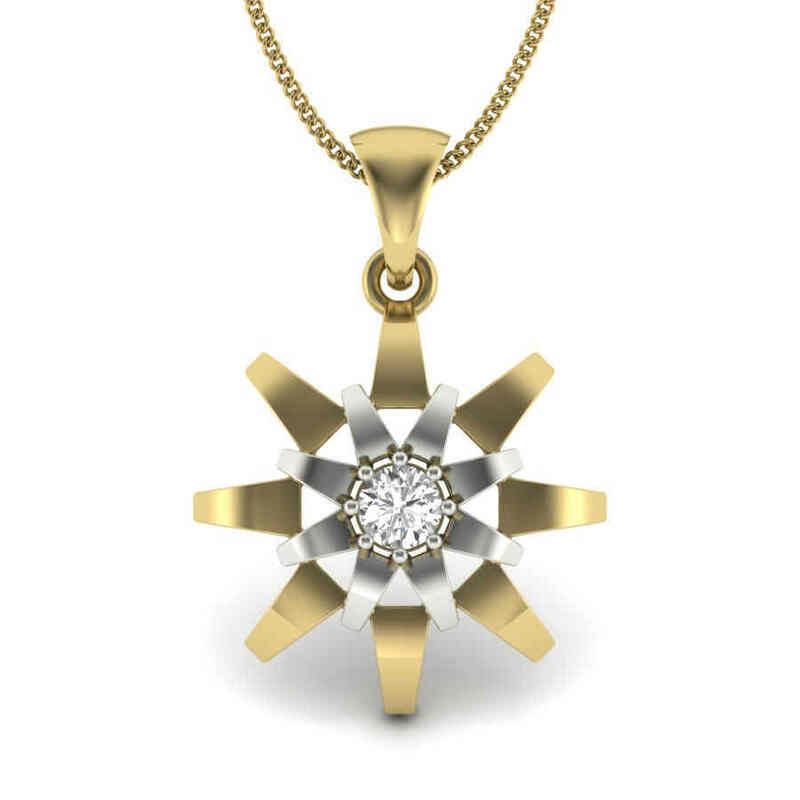 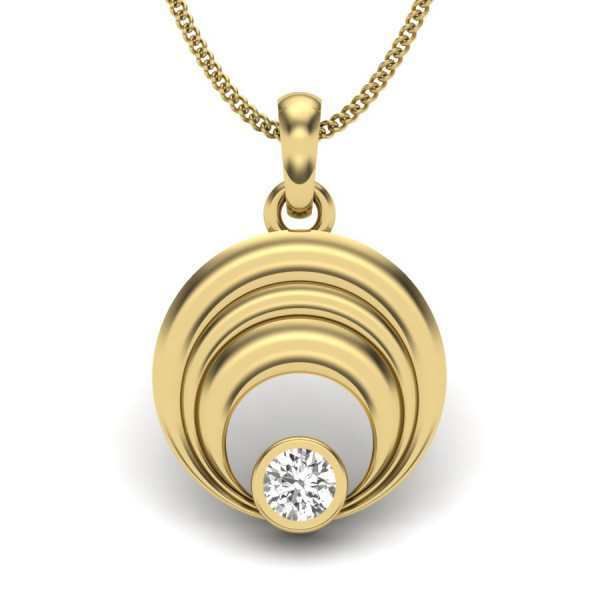 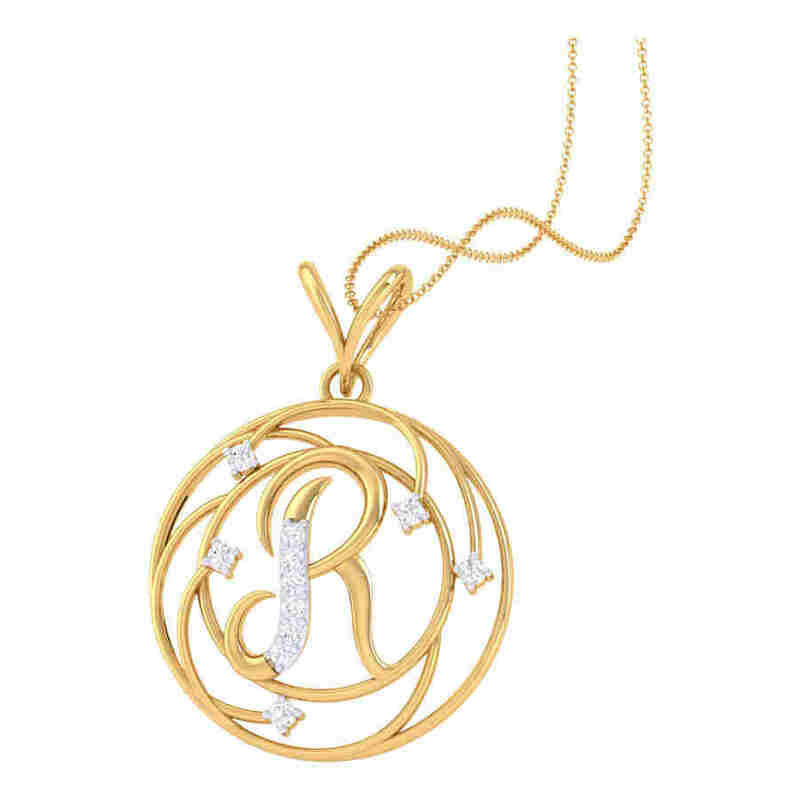 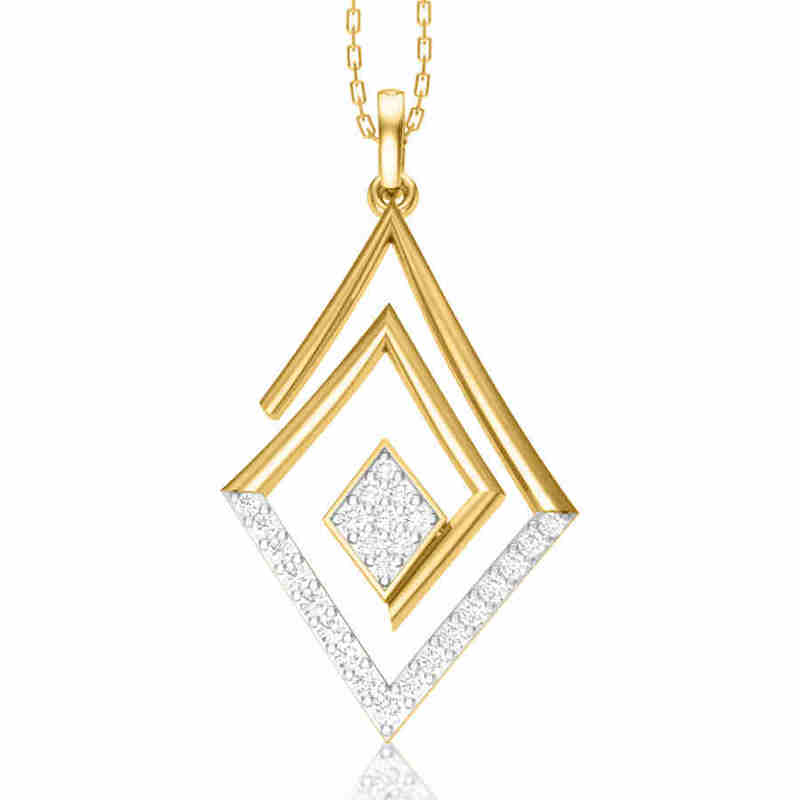 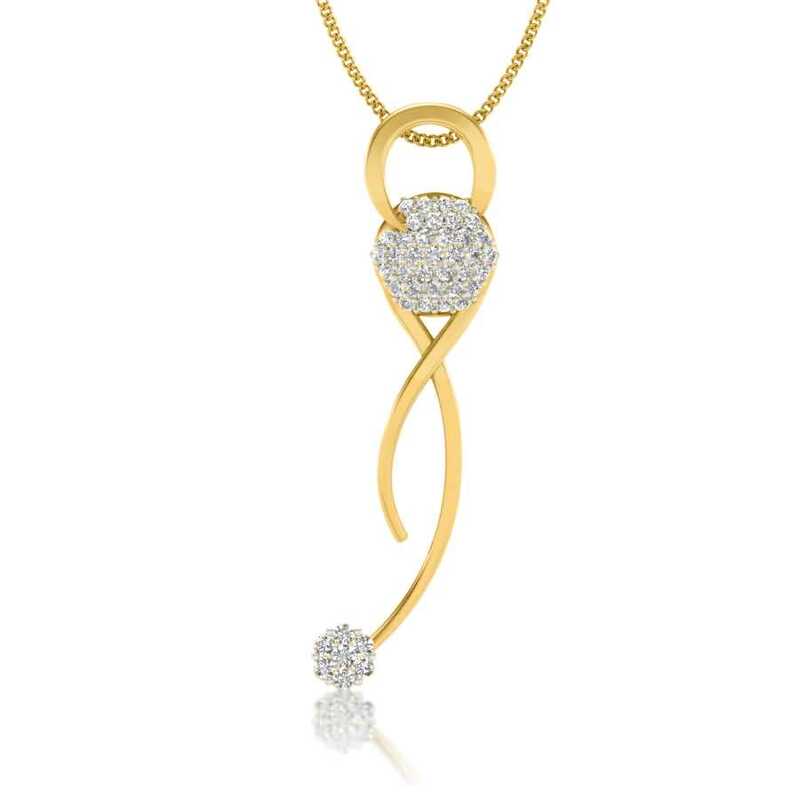 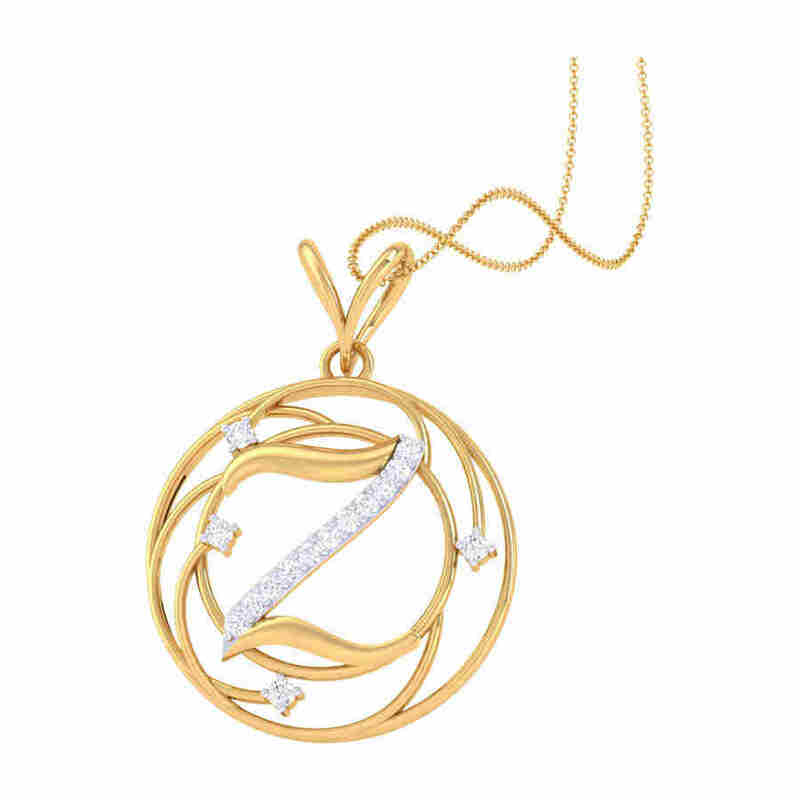 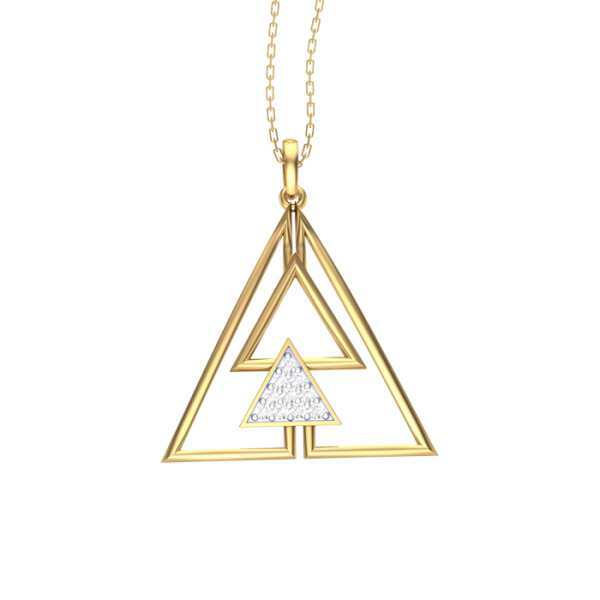 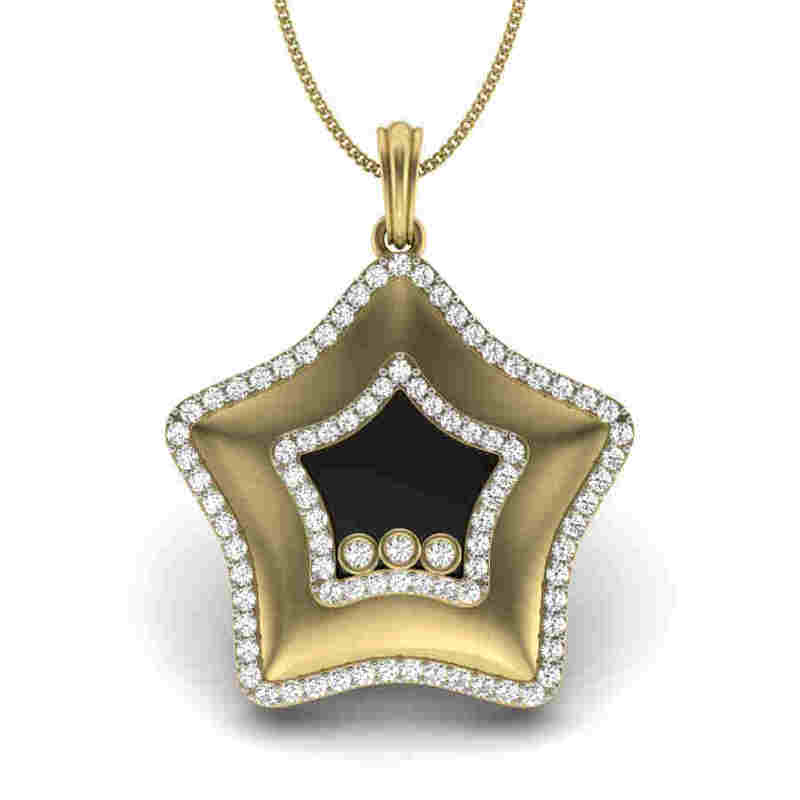 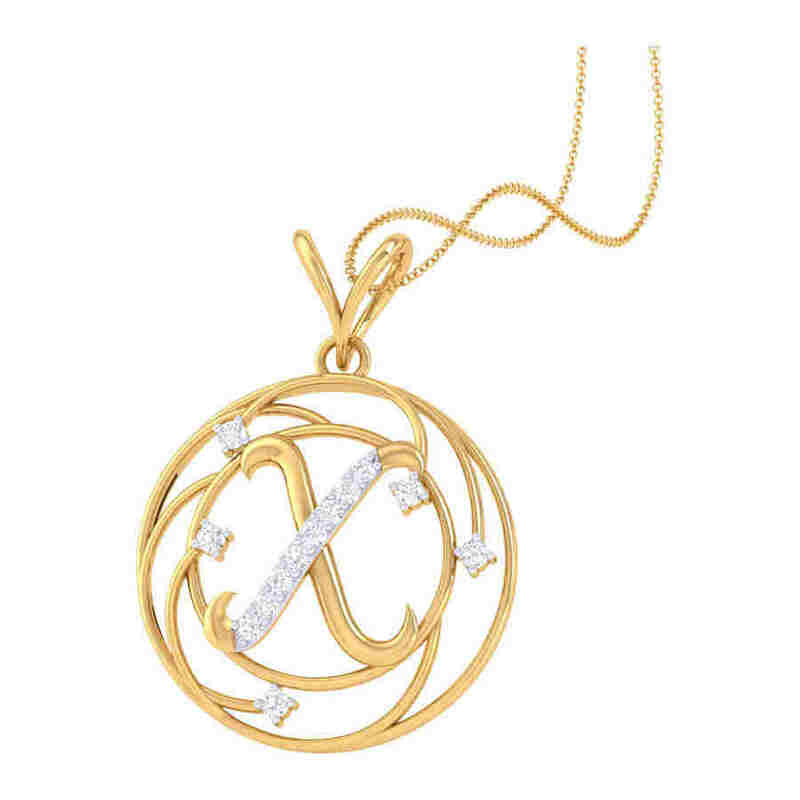 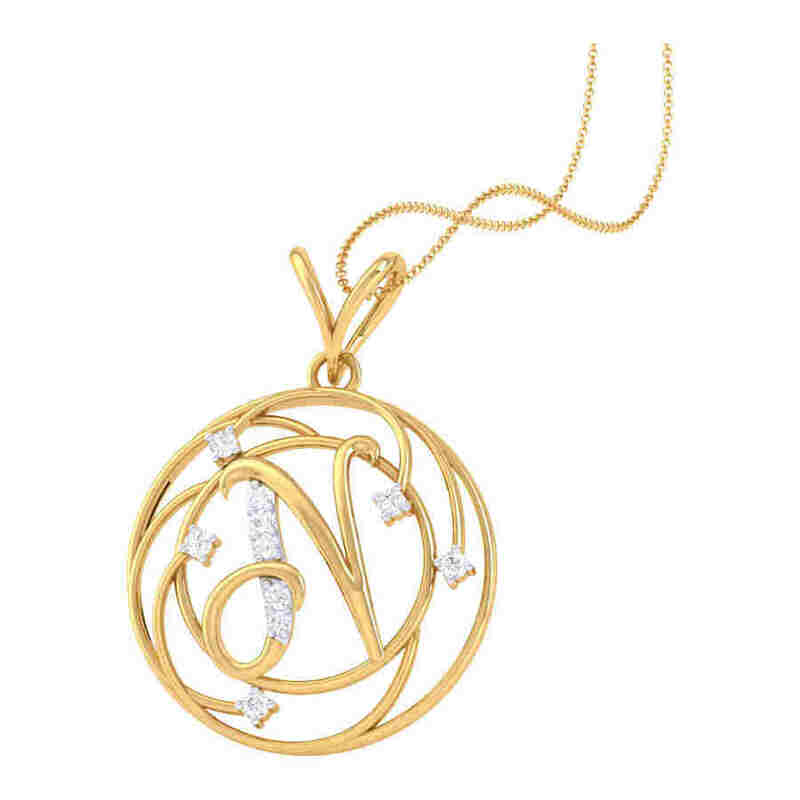 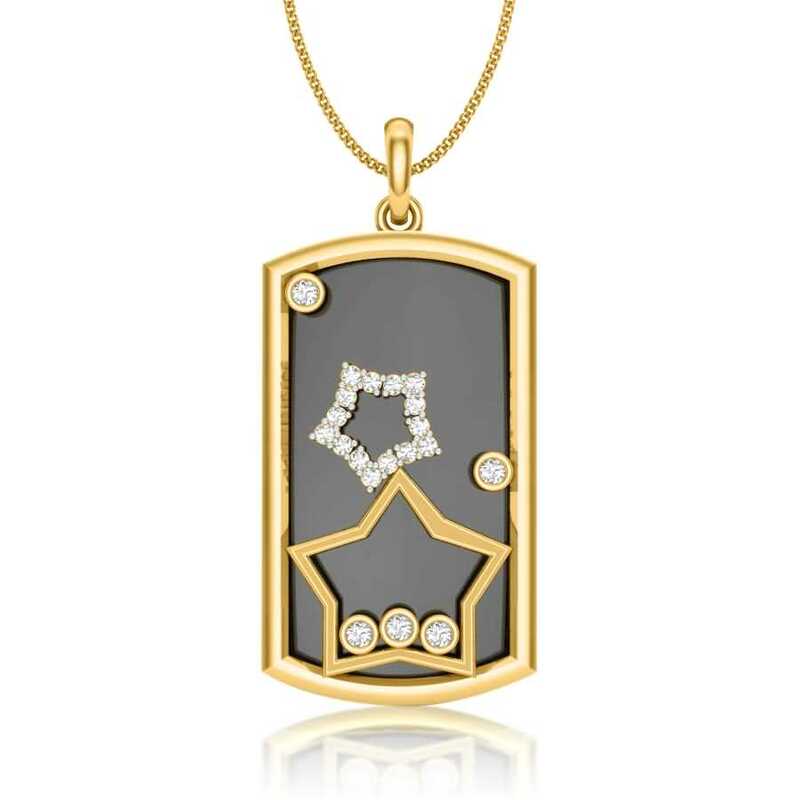 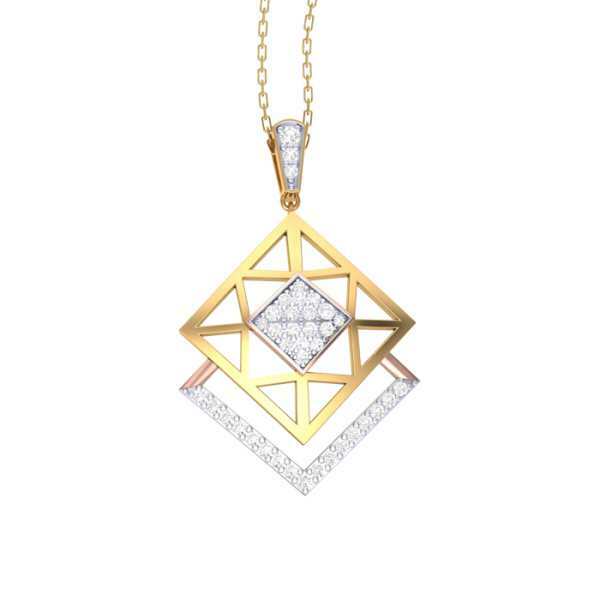 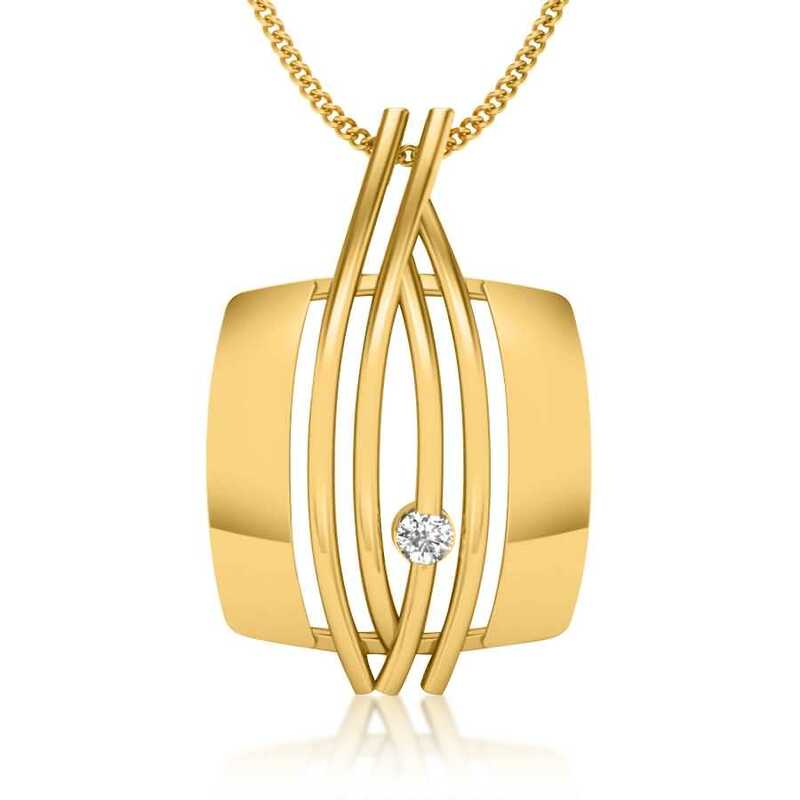 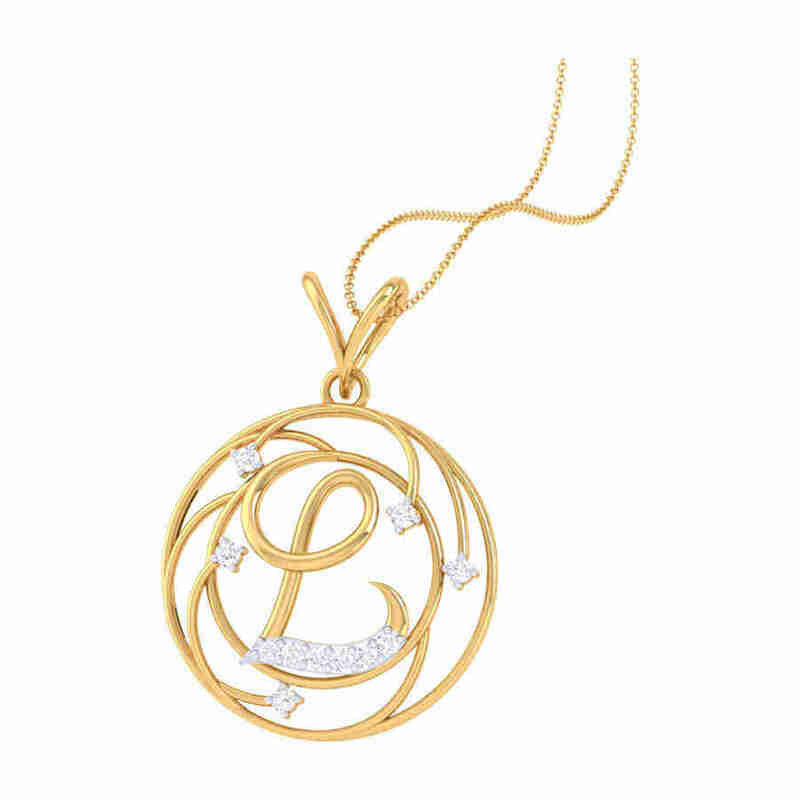 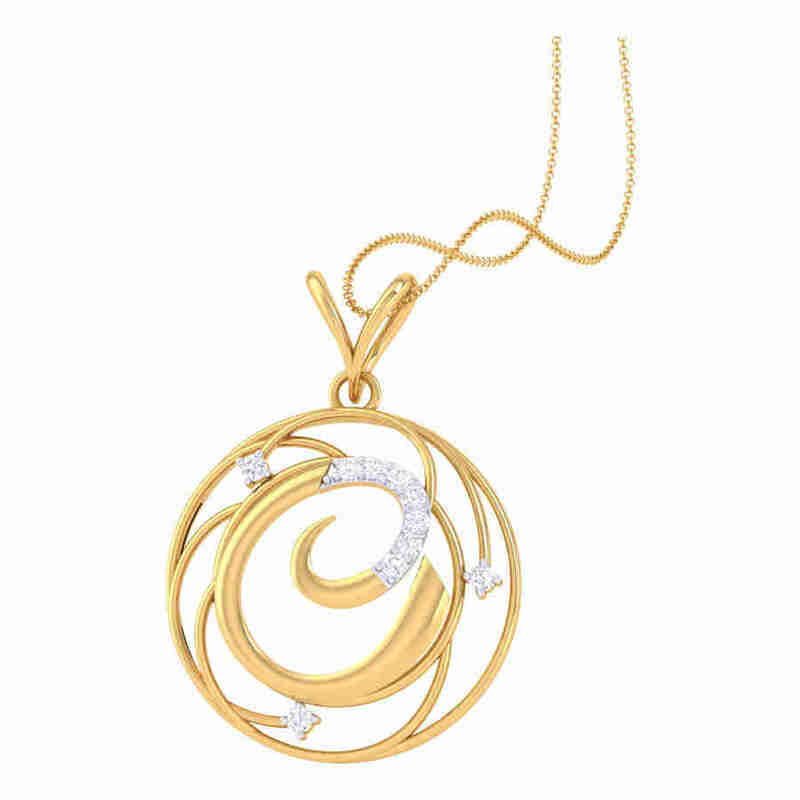 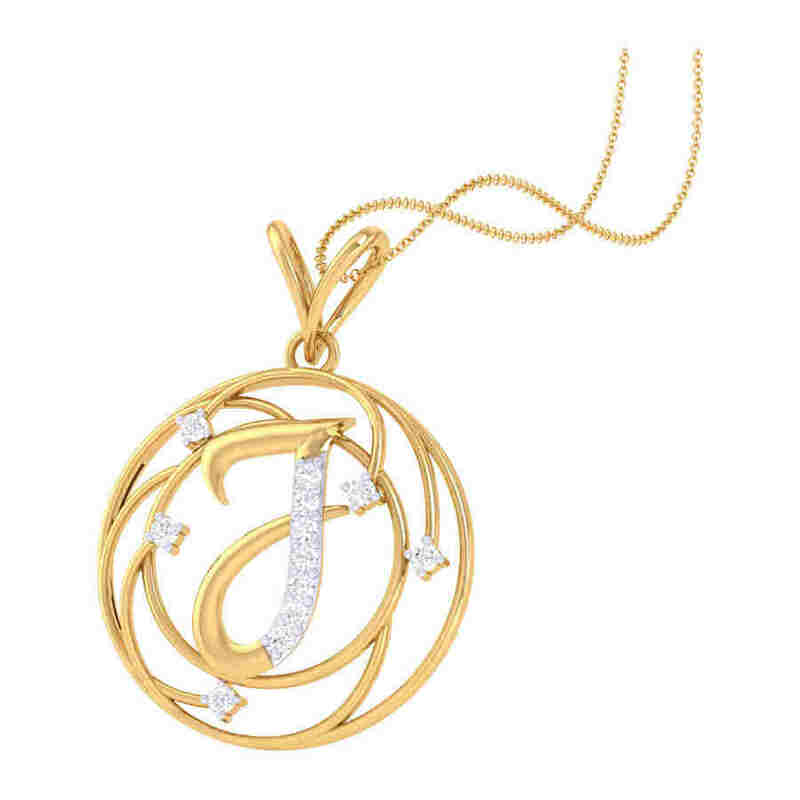 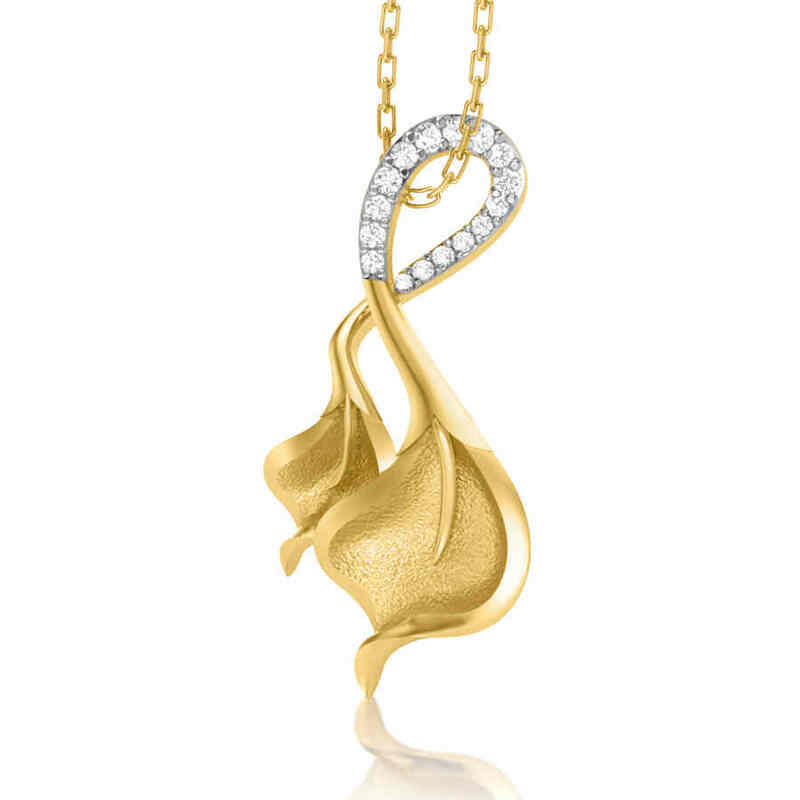 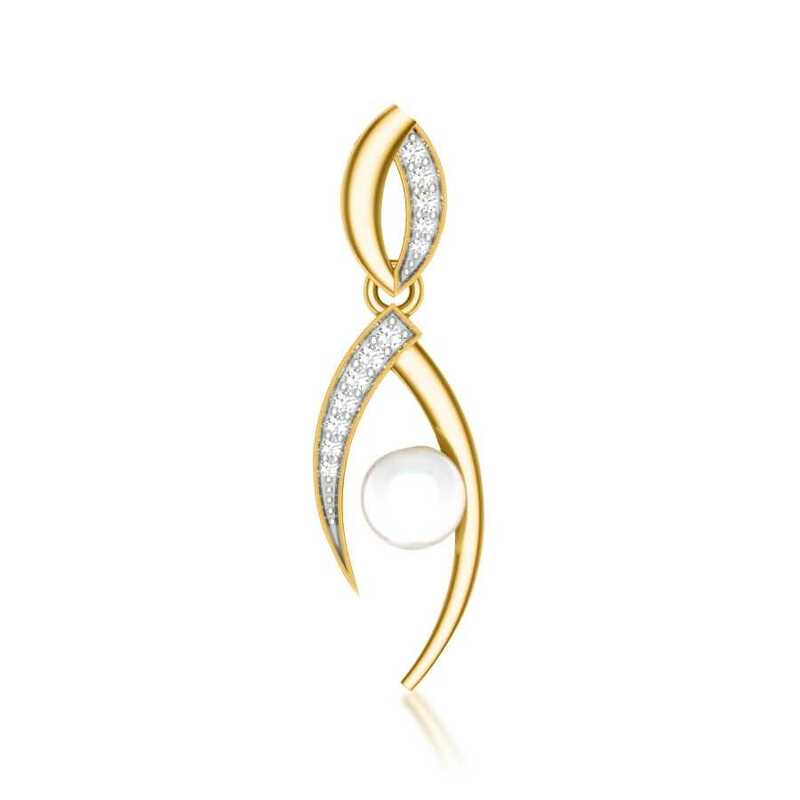 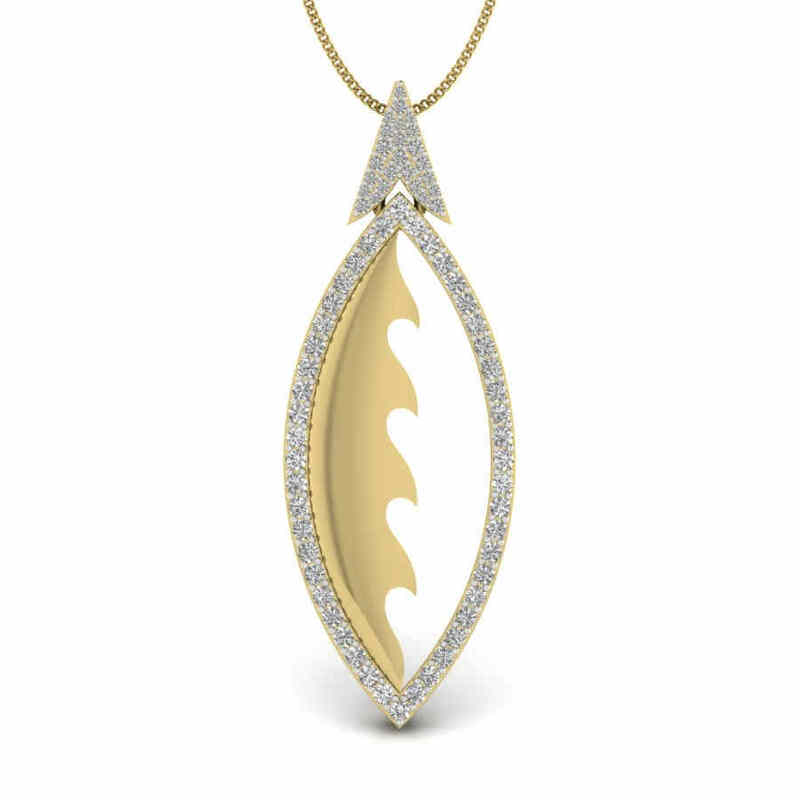 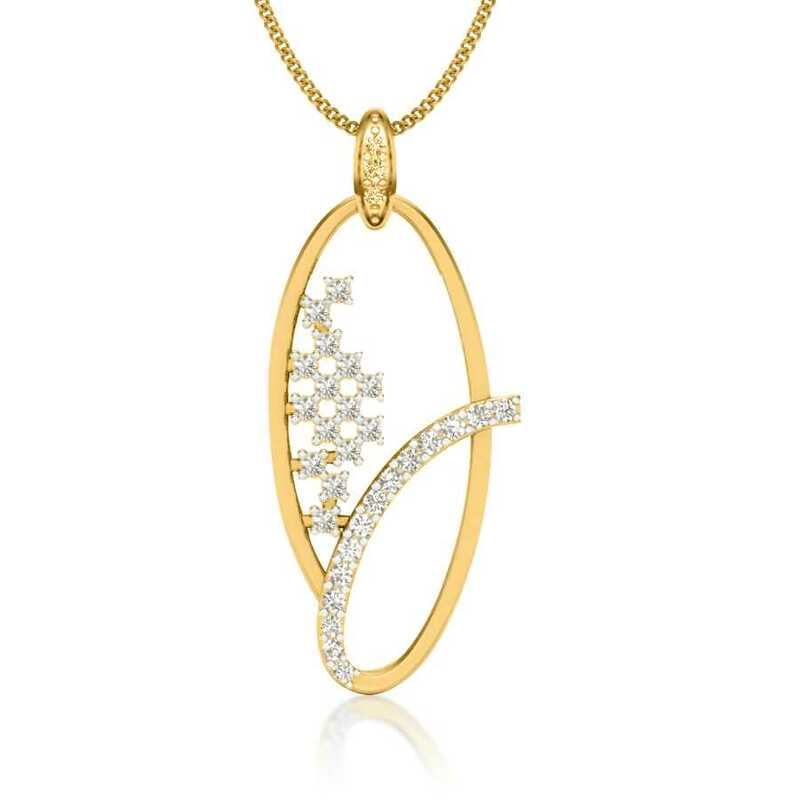 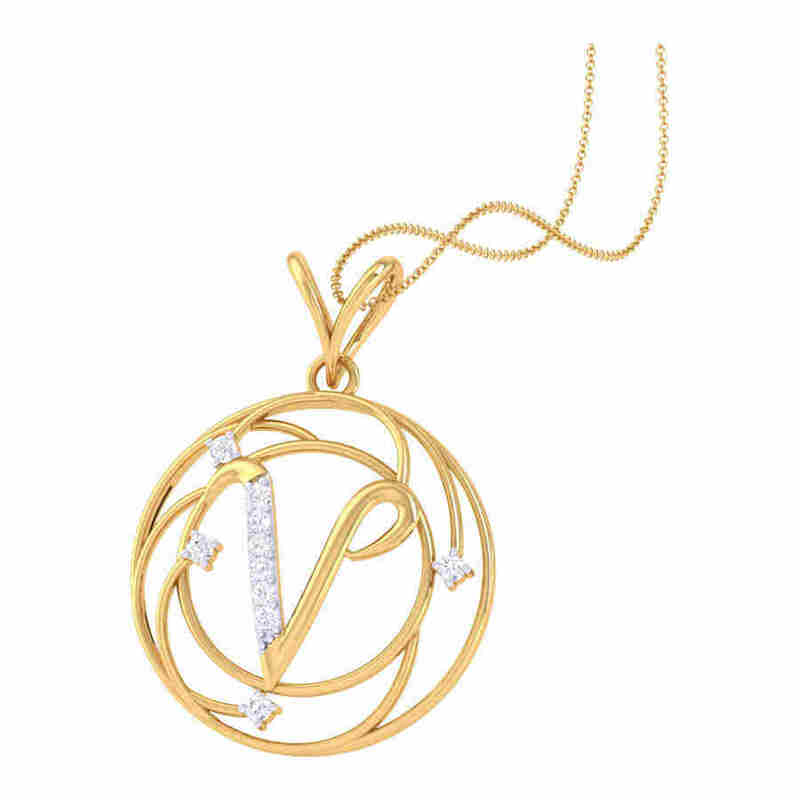 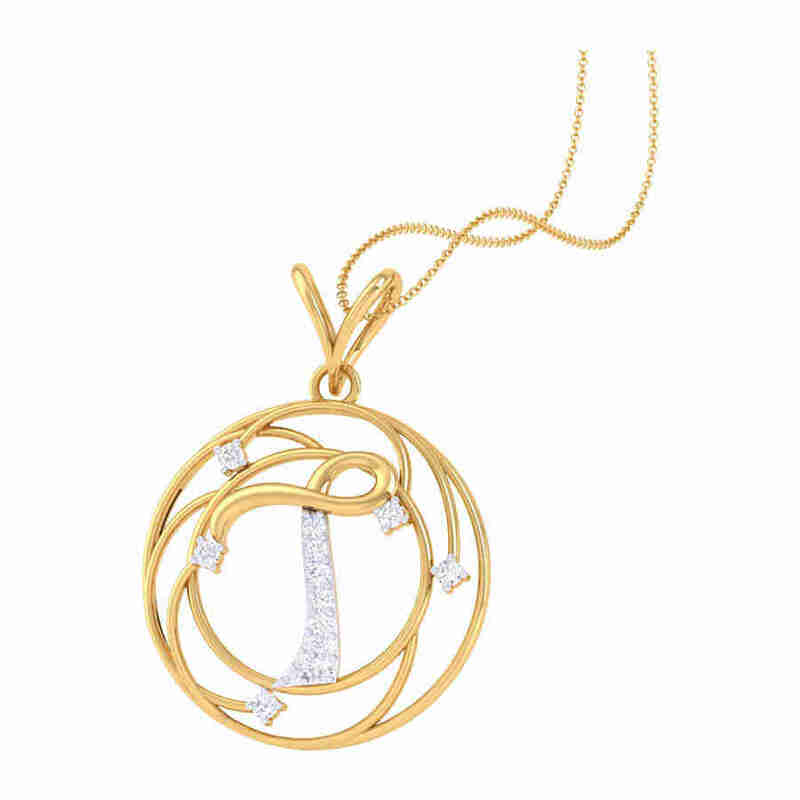 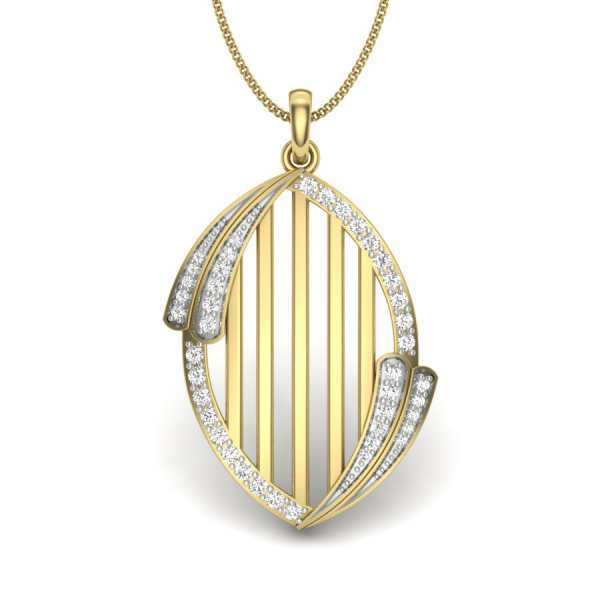 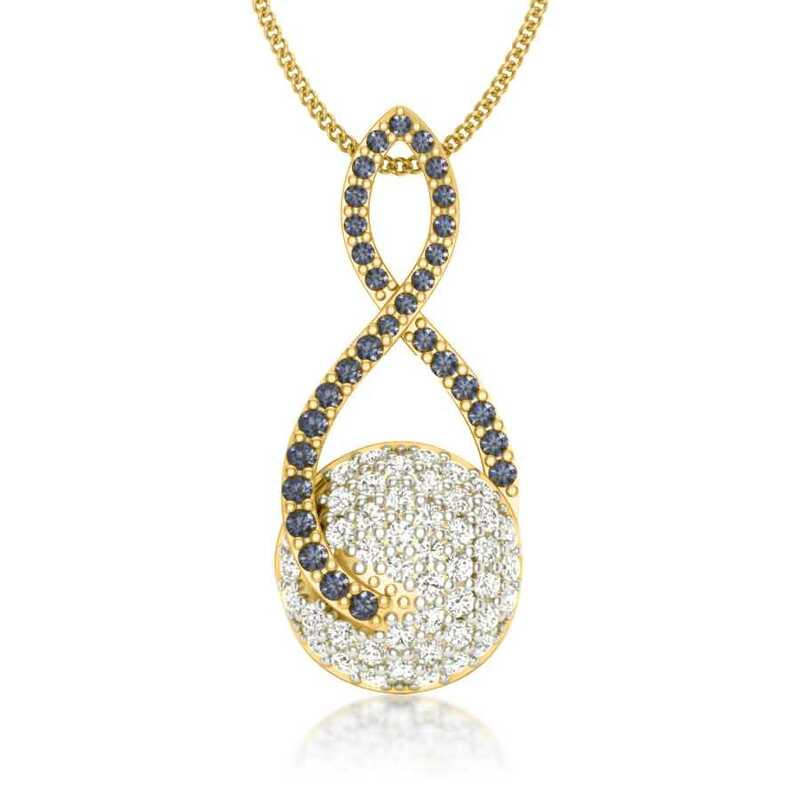 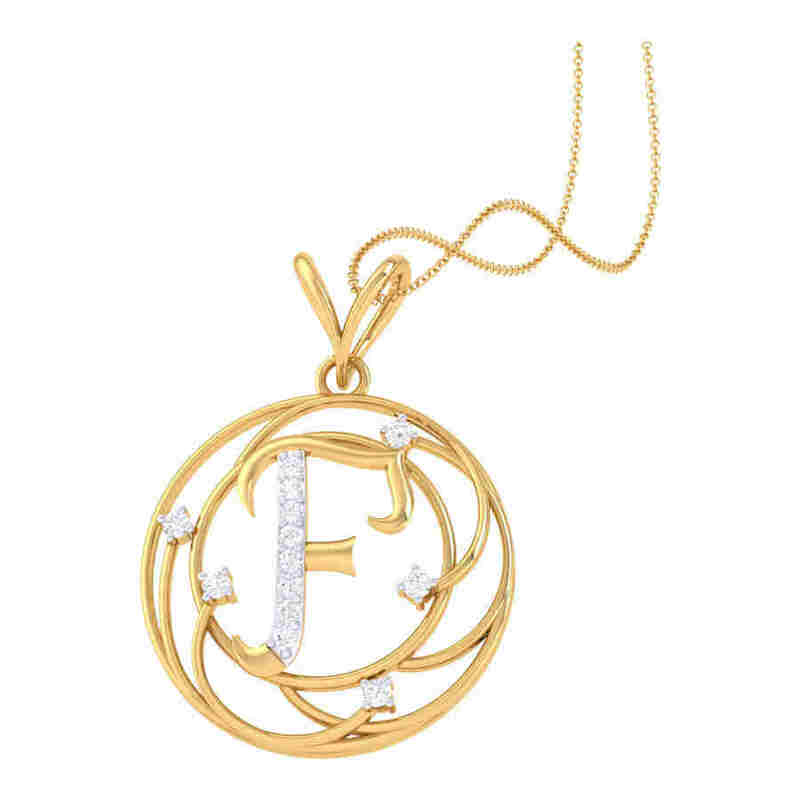 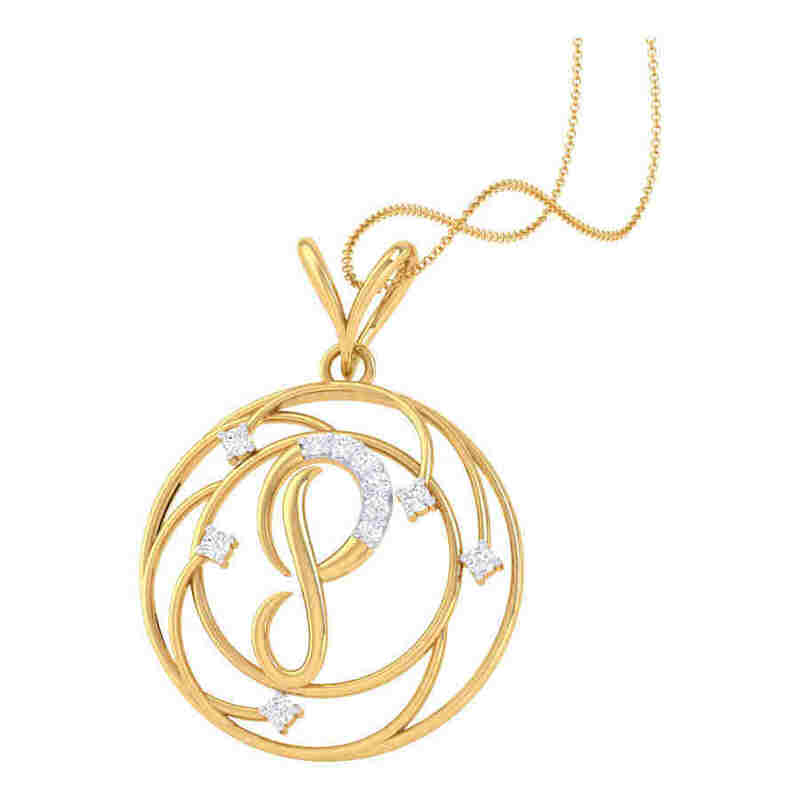 Women’s diamond pendants abound in gorgeous designs ranging from the minimal to the stellar to everything in between. 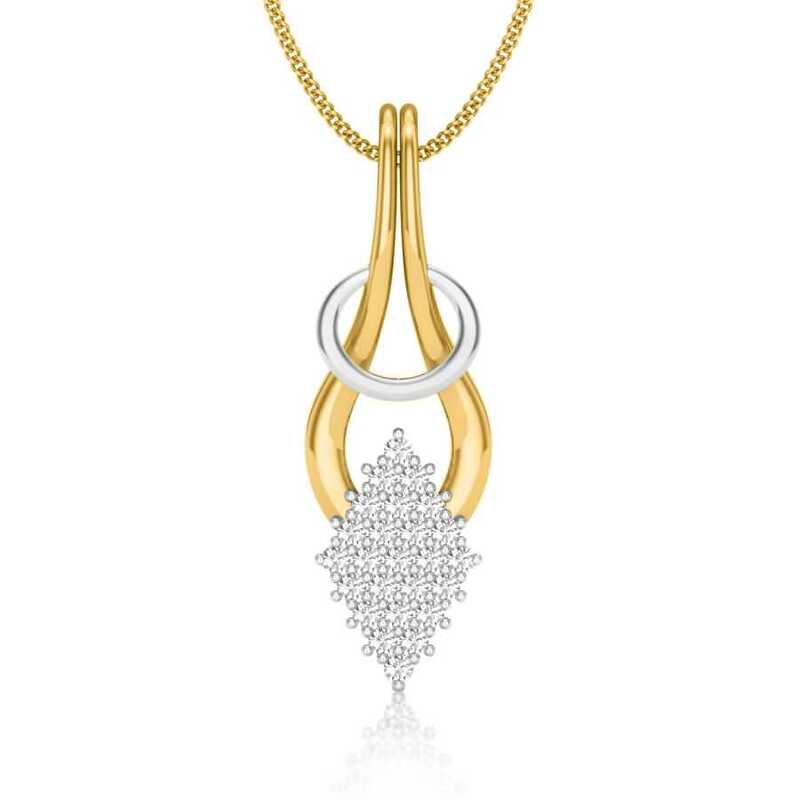 Whether you are looking for a less flashy and ostentatious jewellery piece that will blend effortlessly with your daily wear, then a diamond pendant with subtle detailing is a perfect option. 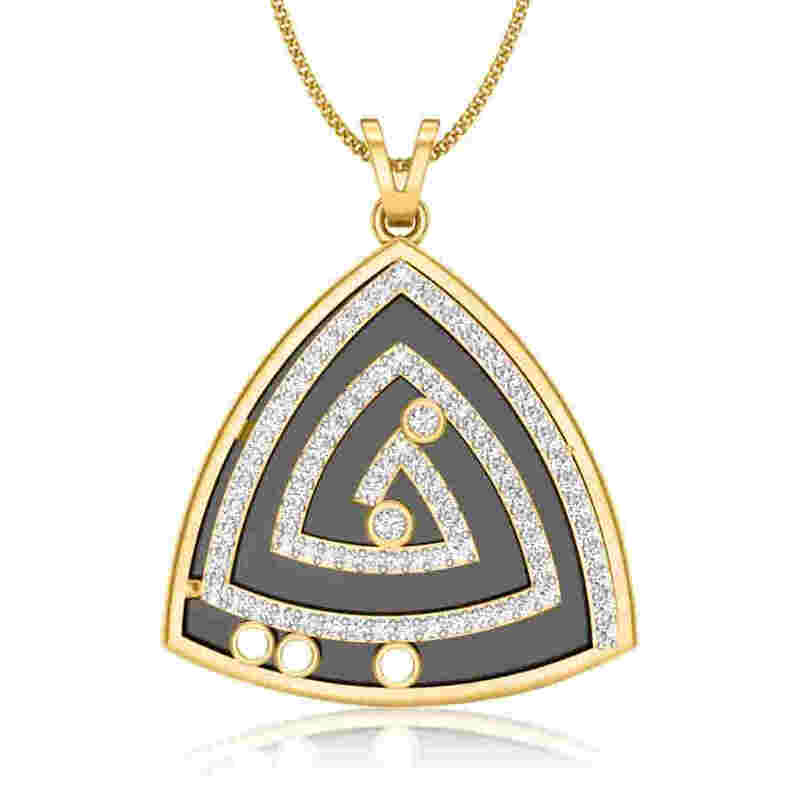 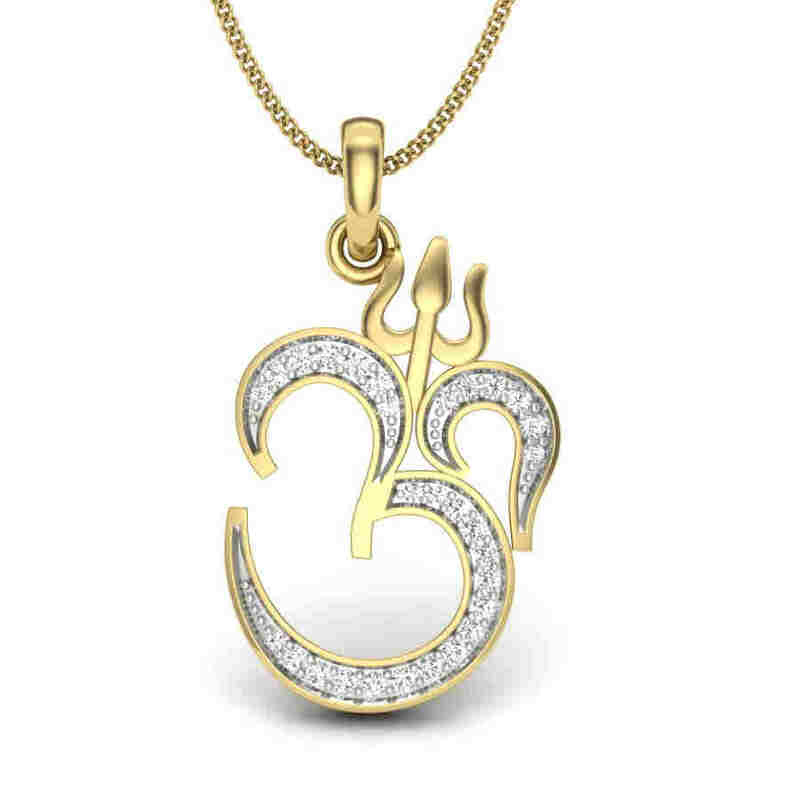 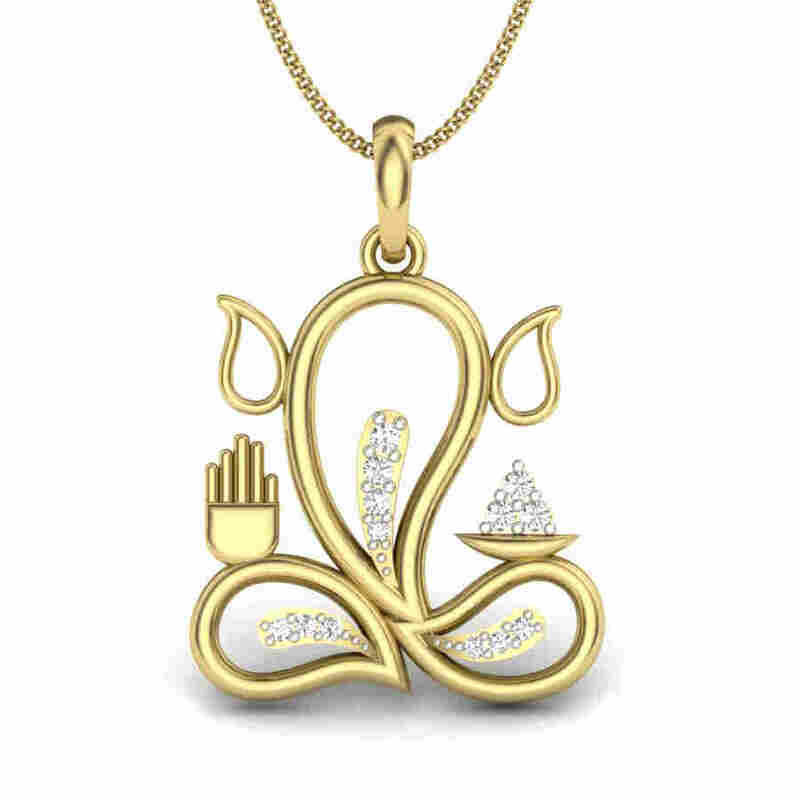 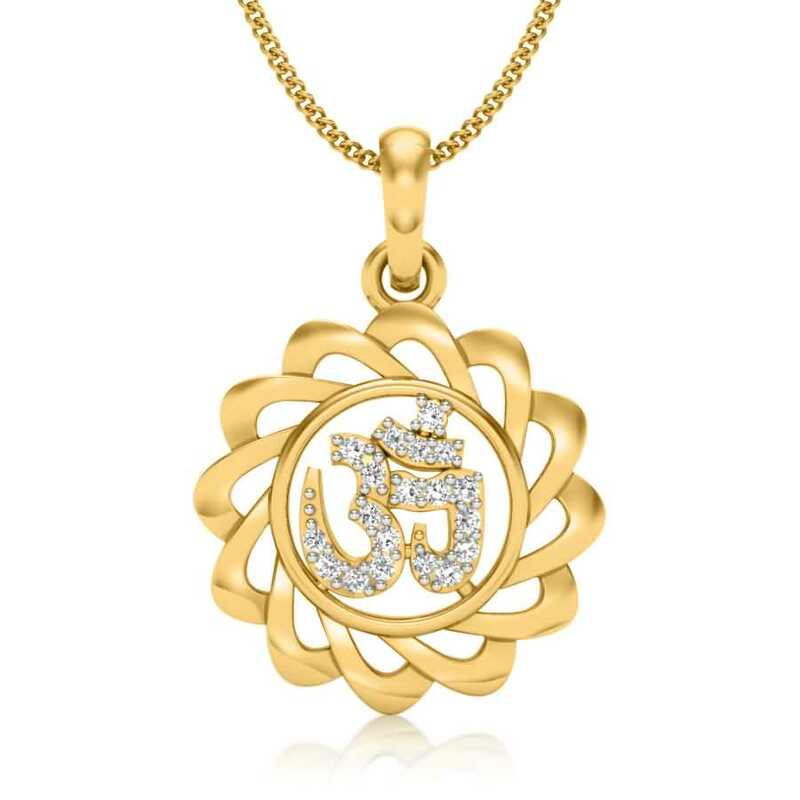 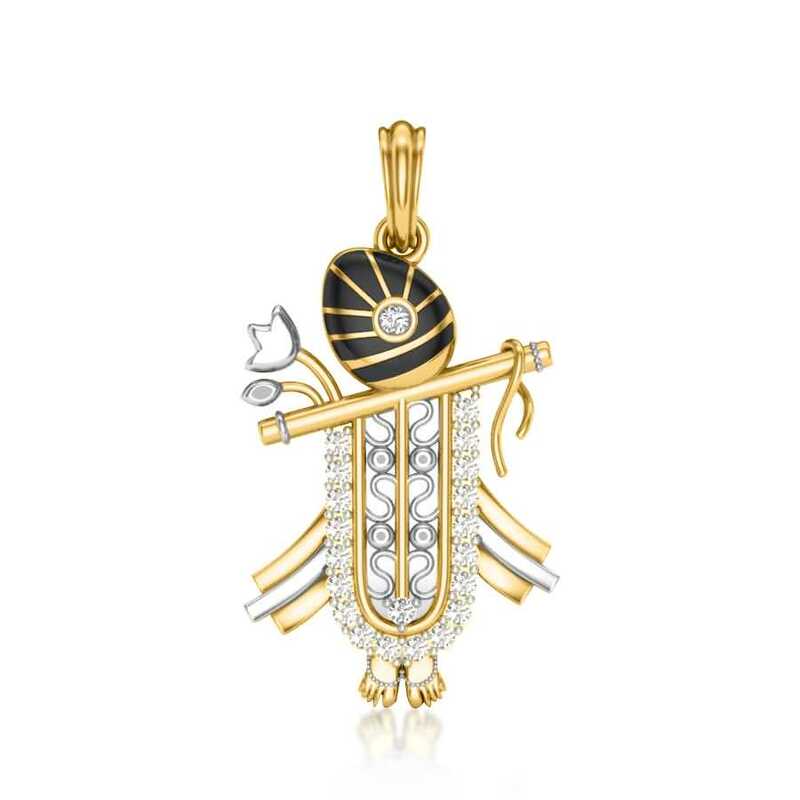 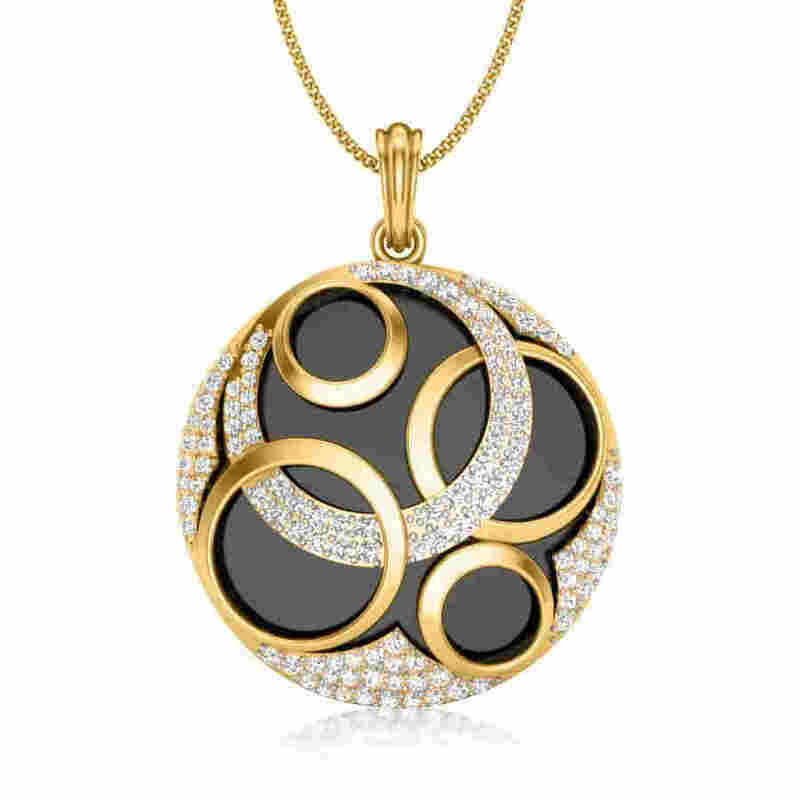 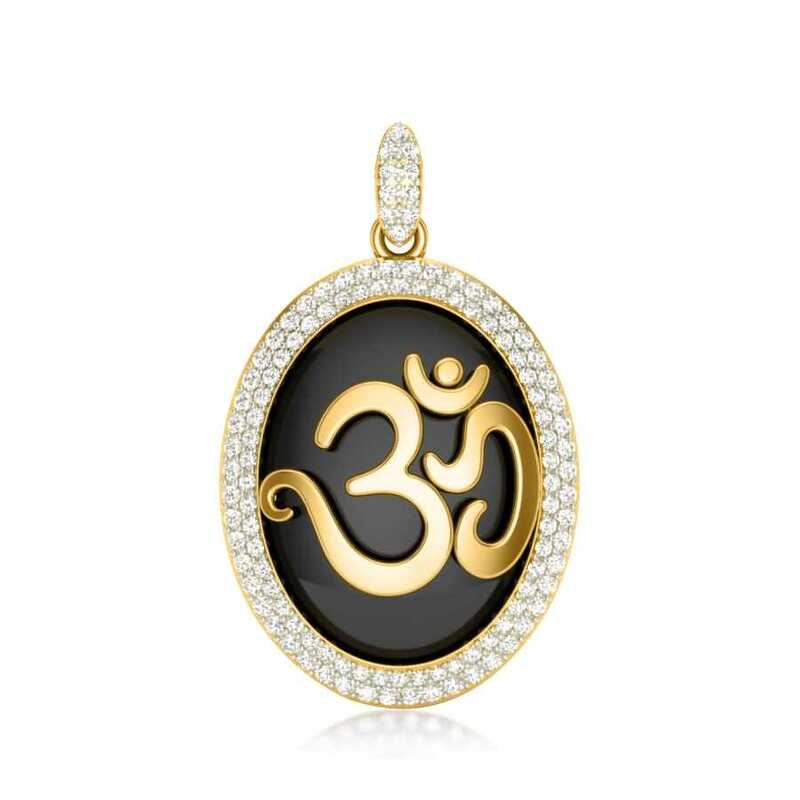 Diamond navratna pendants look ravishing in solid black, white, and grey. 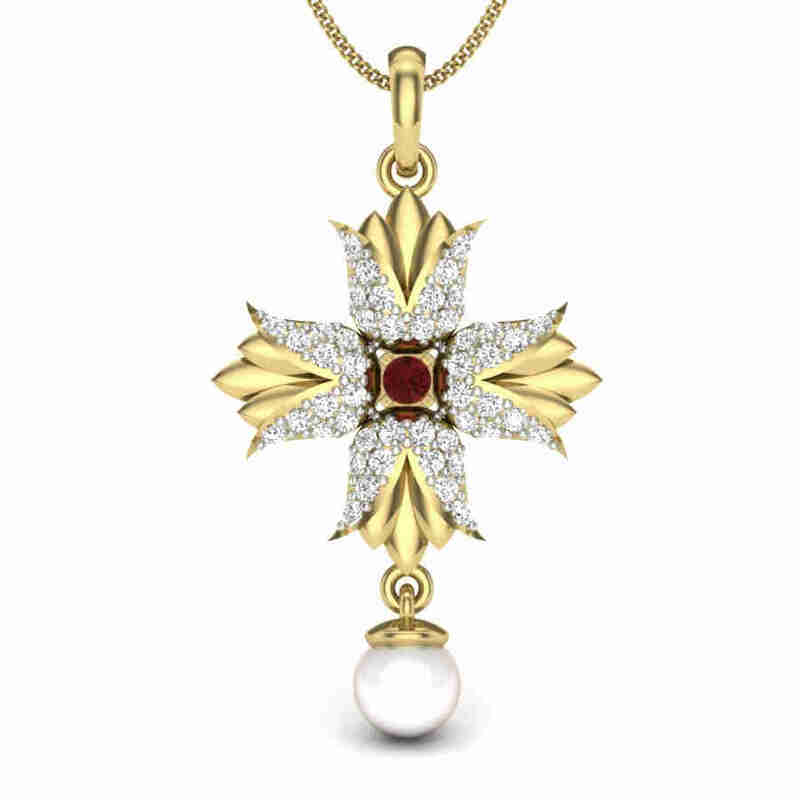 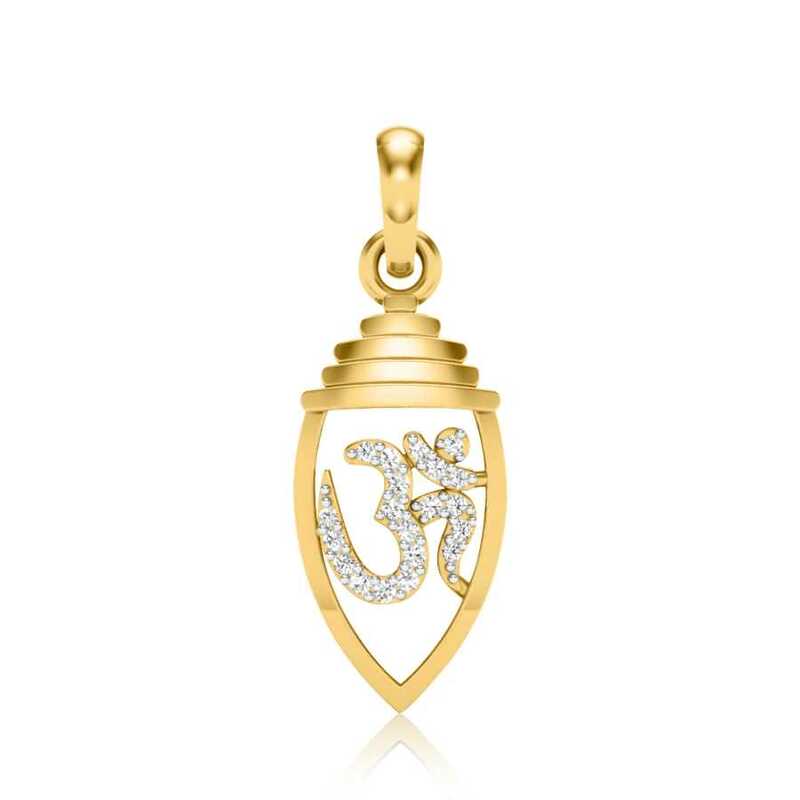 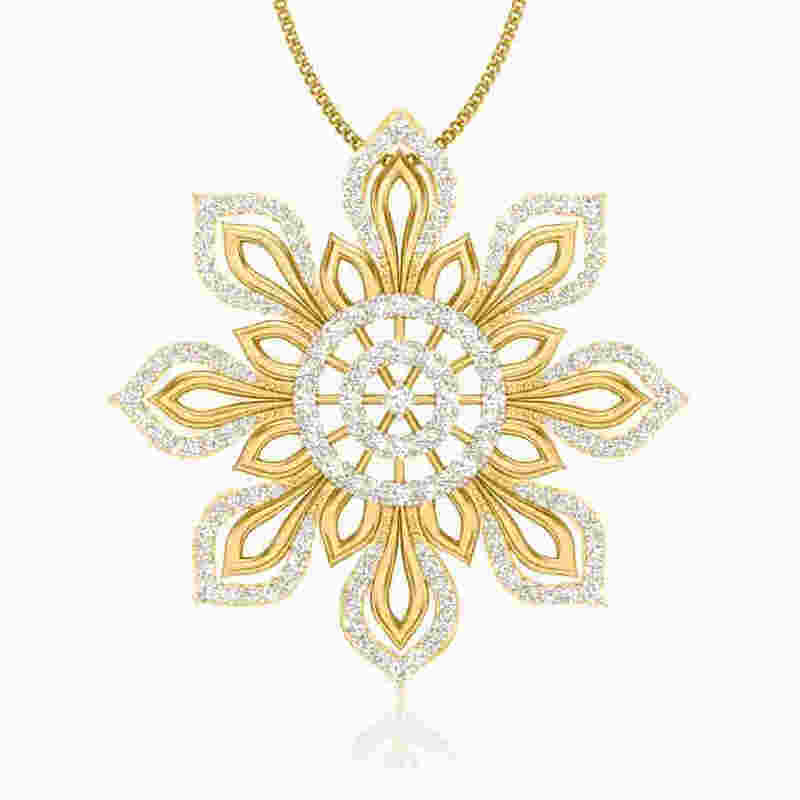 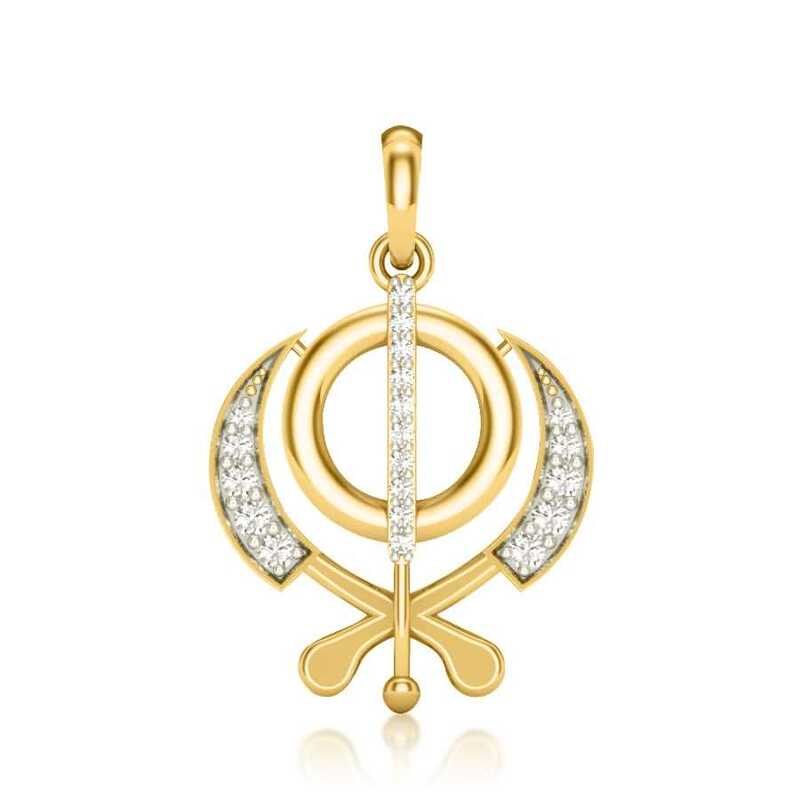 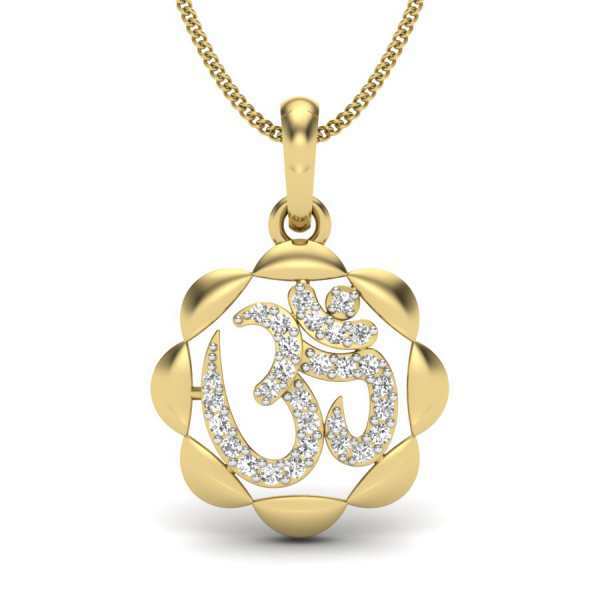 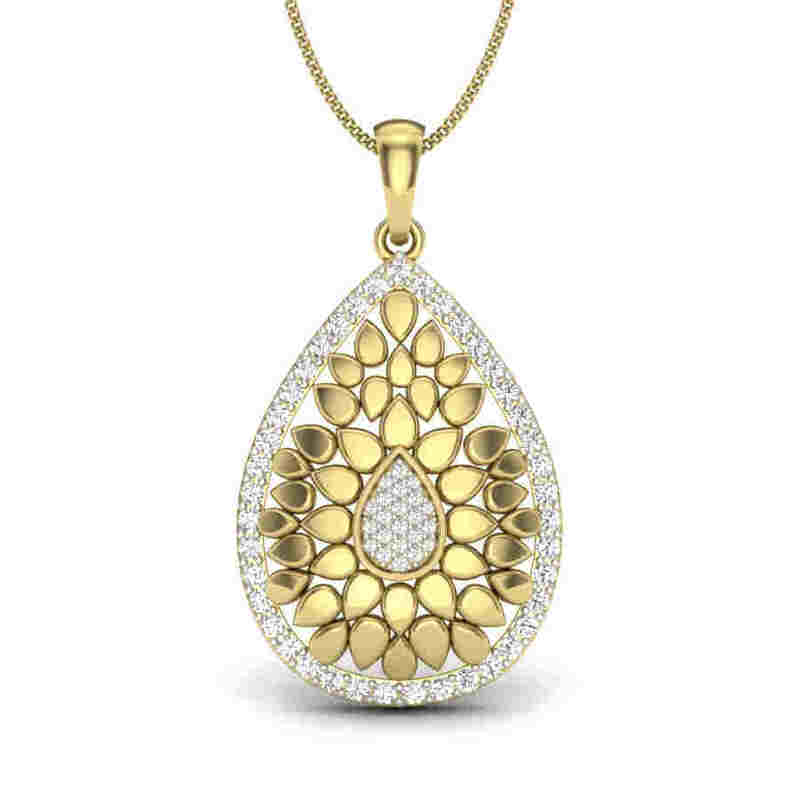 A diamond navratna pendant acts as a vivid foil for vibrant colors such as fuchsia pink, red, and yellow. 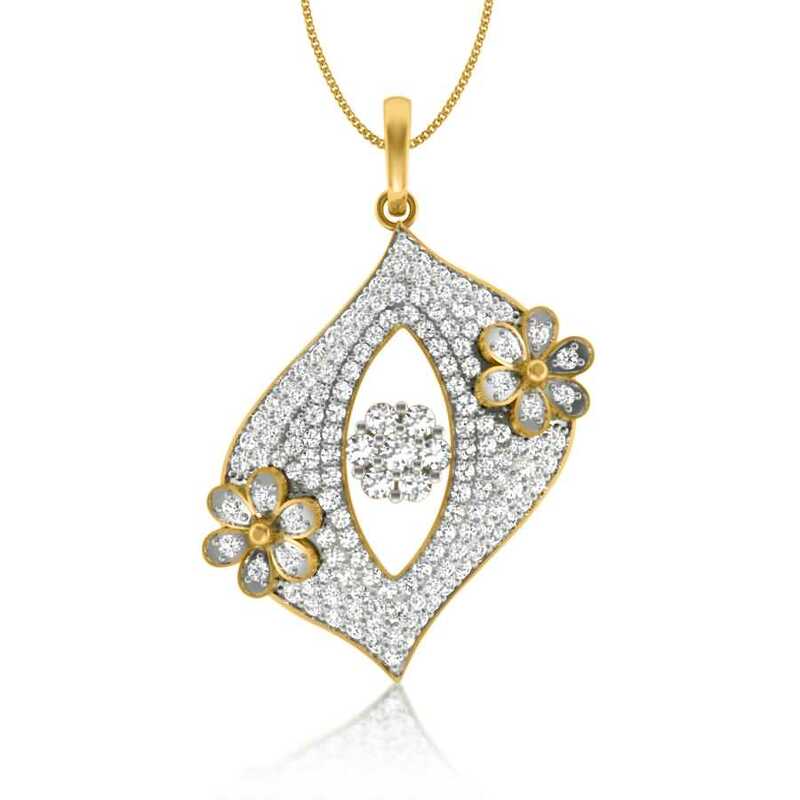 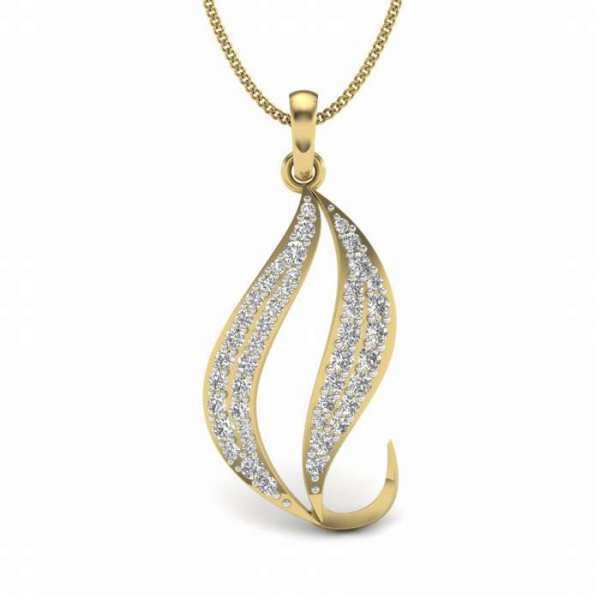 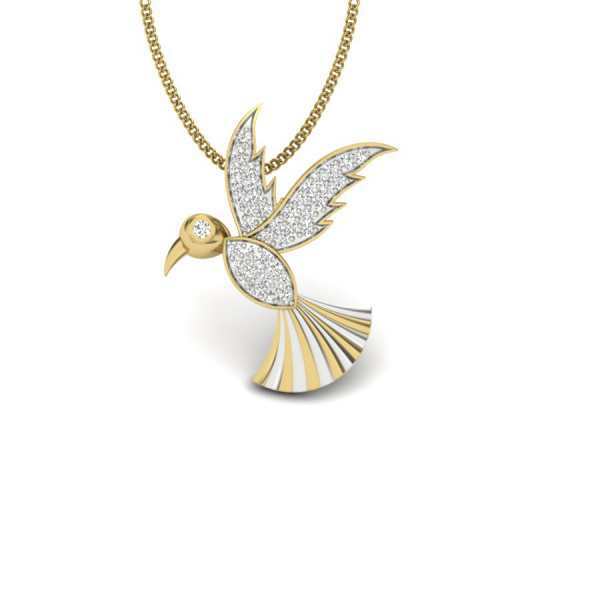 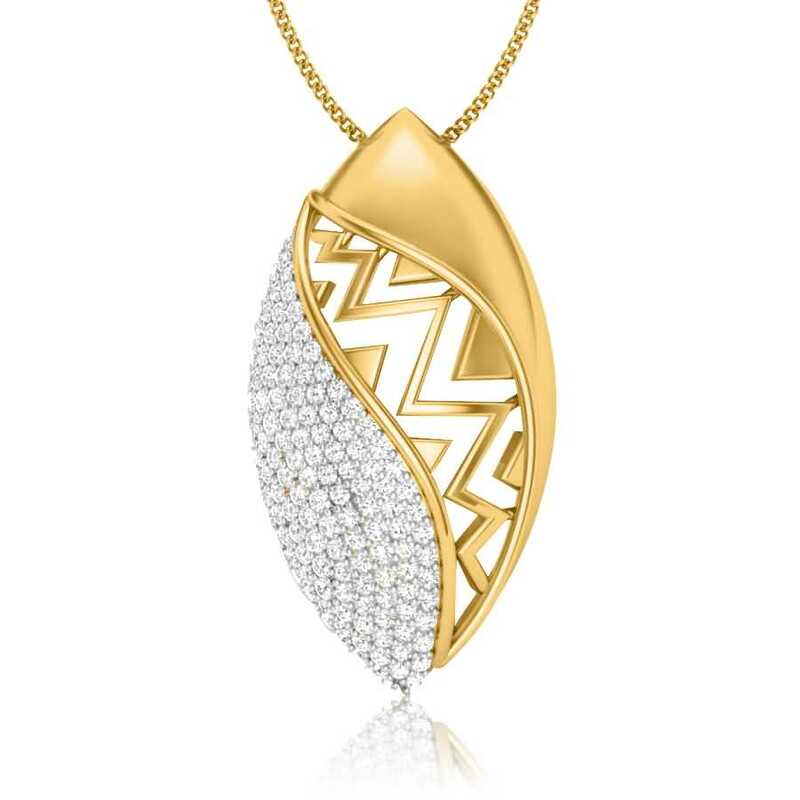 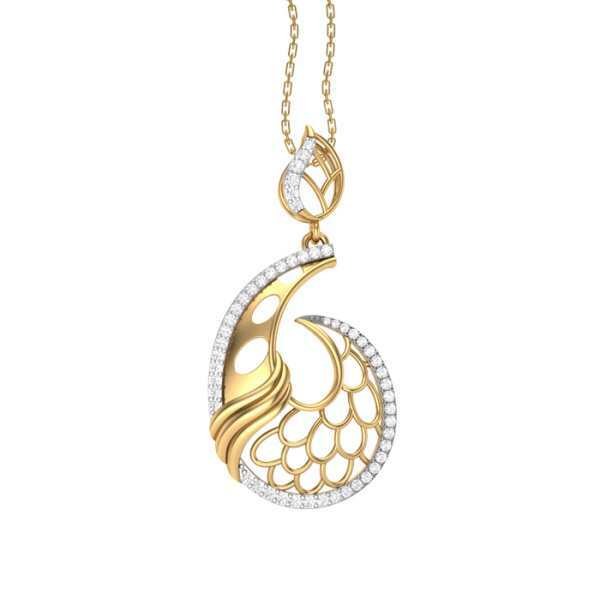 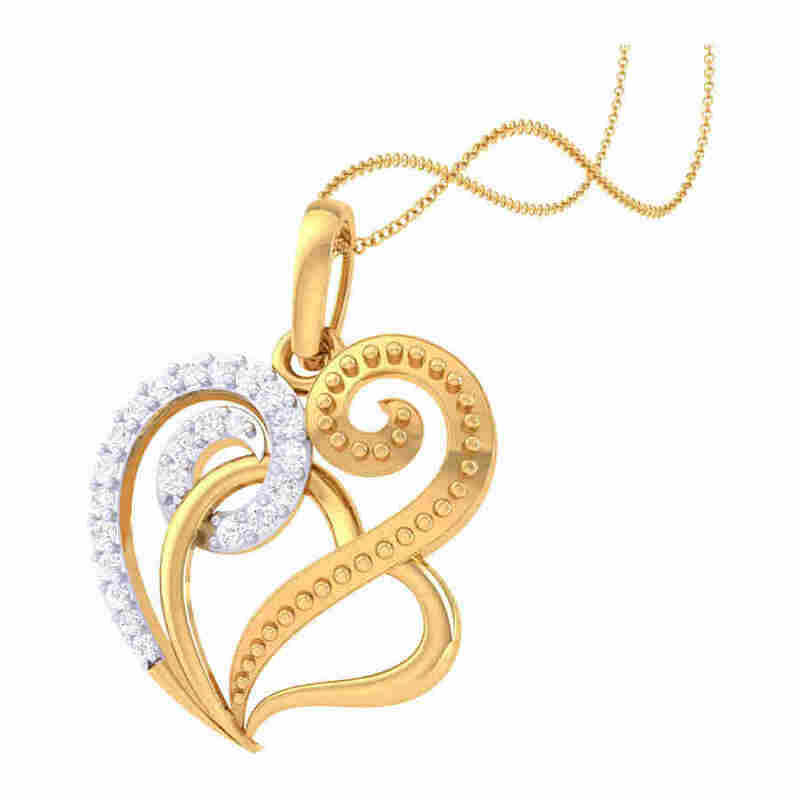 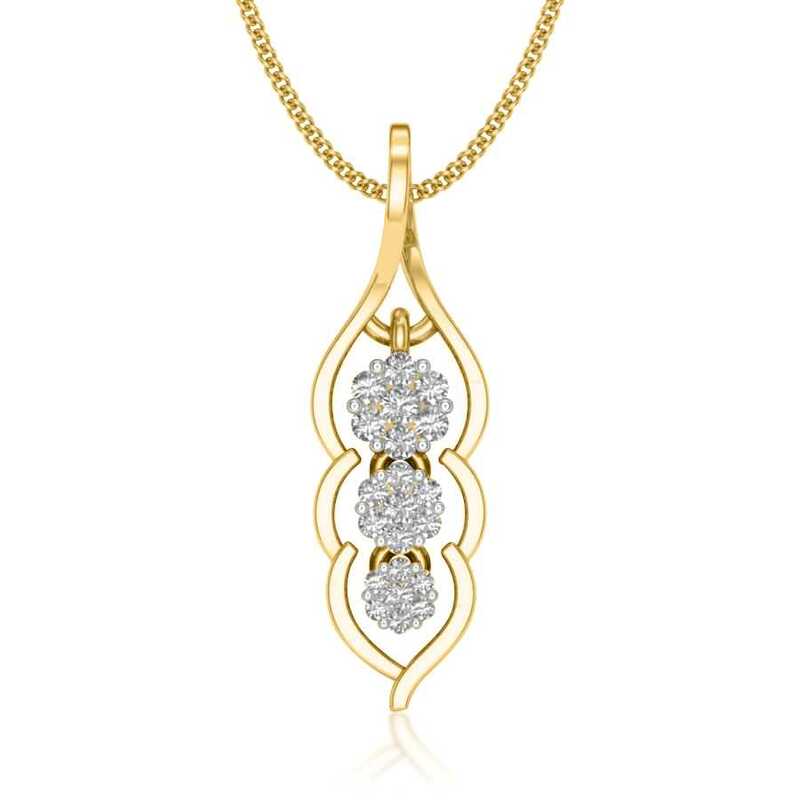 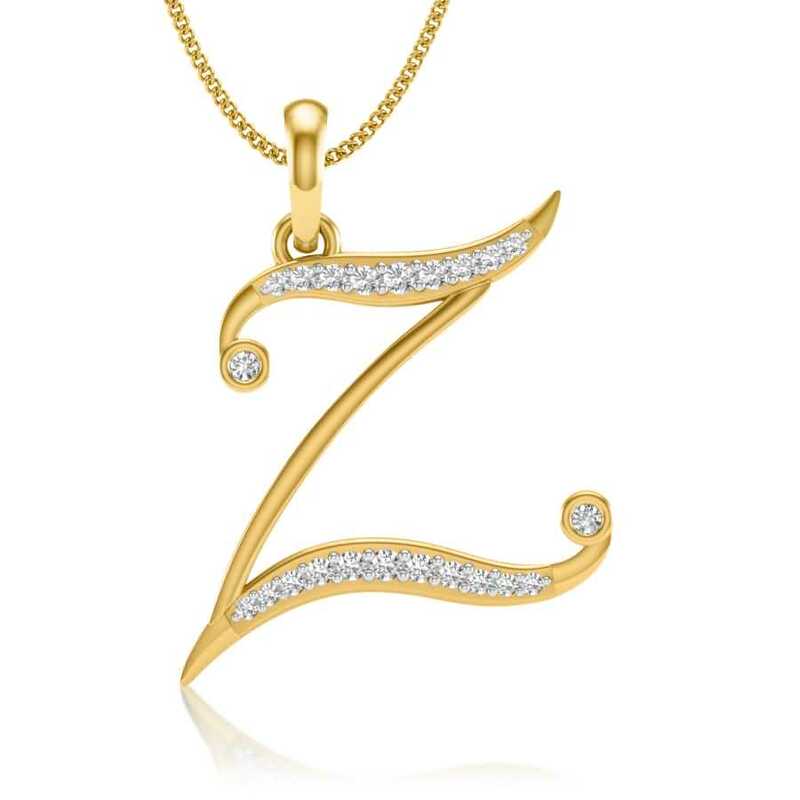 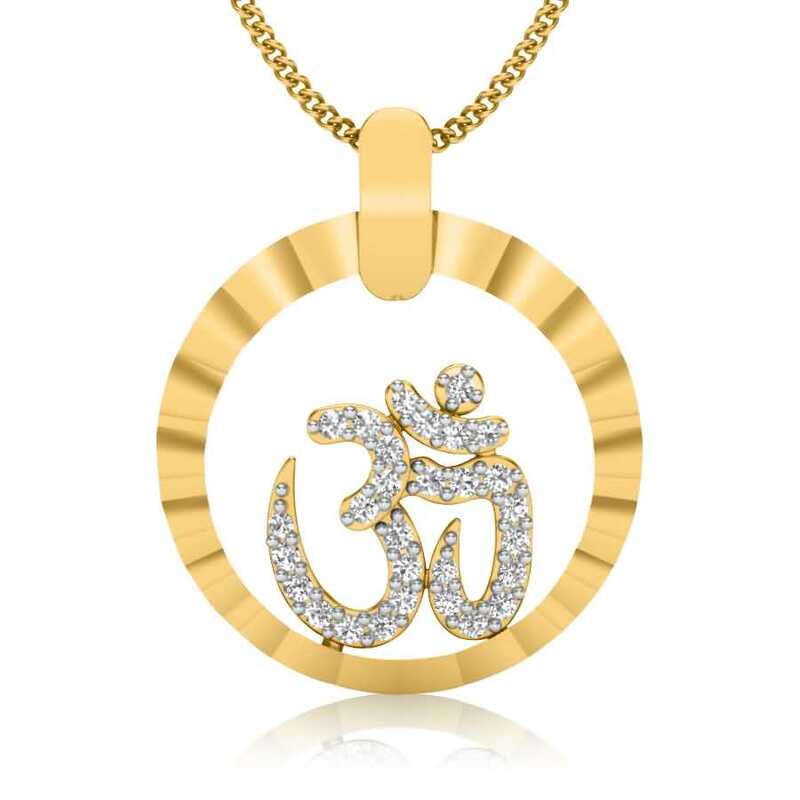 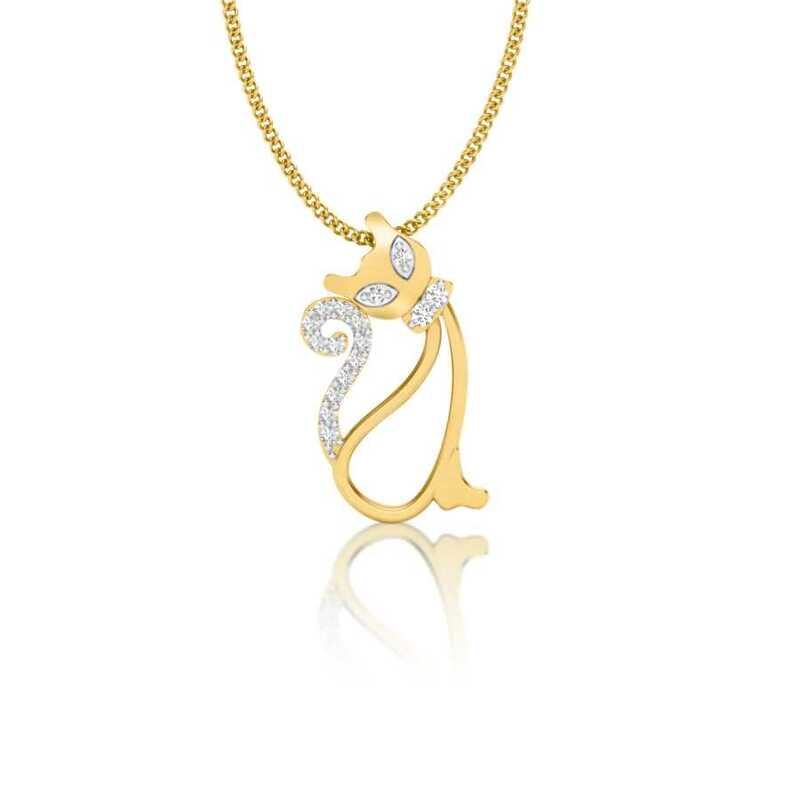 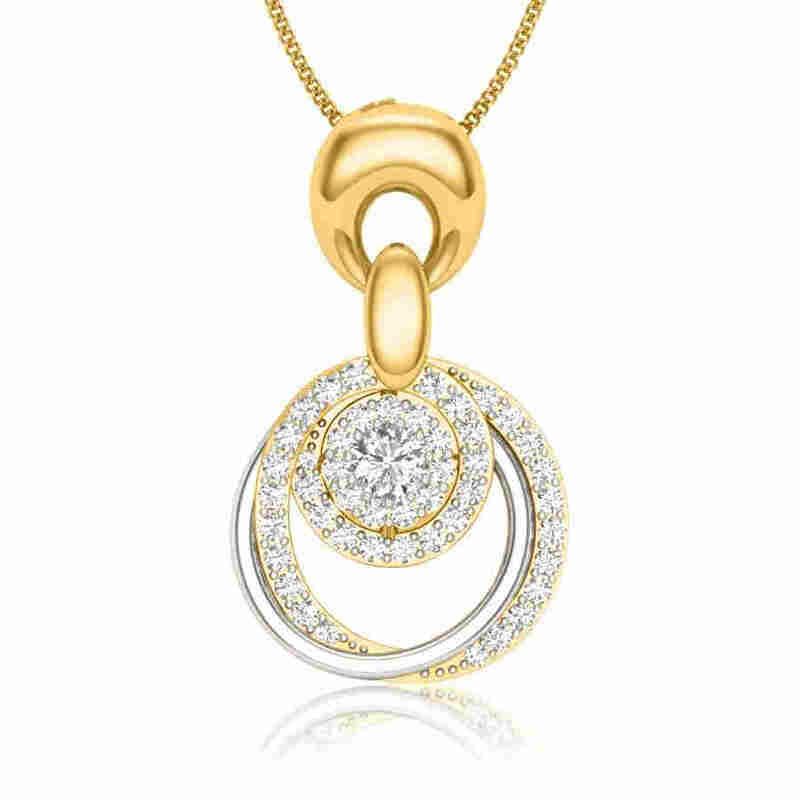 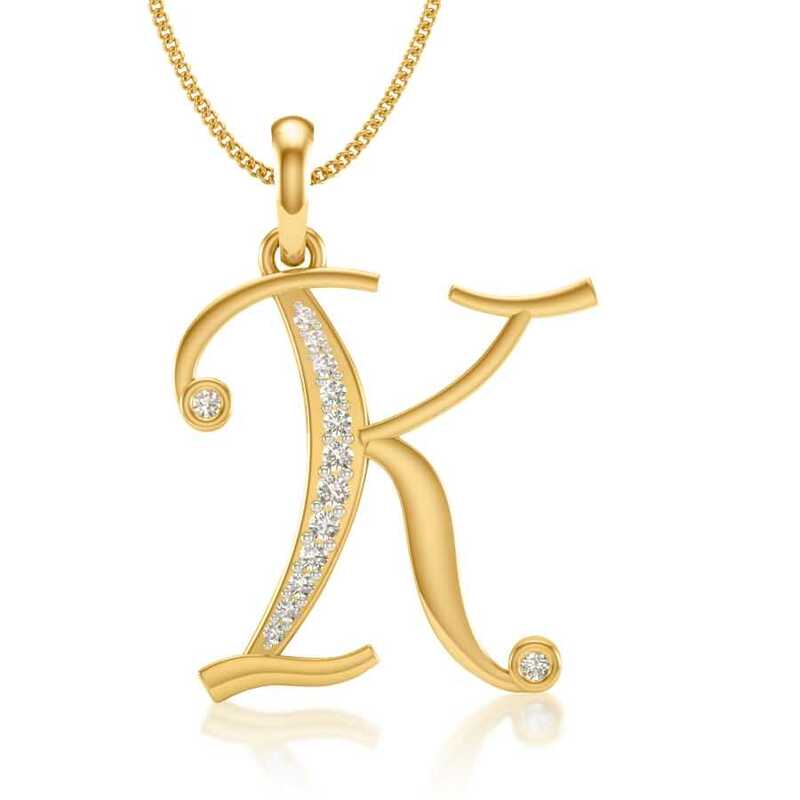 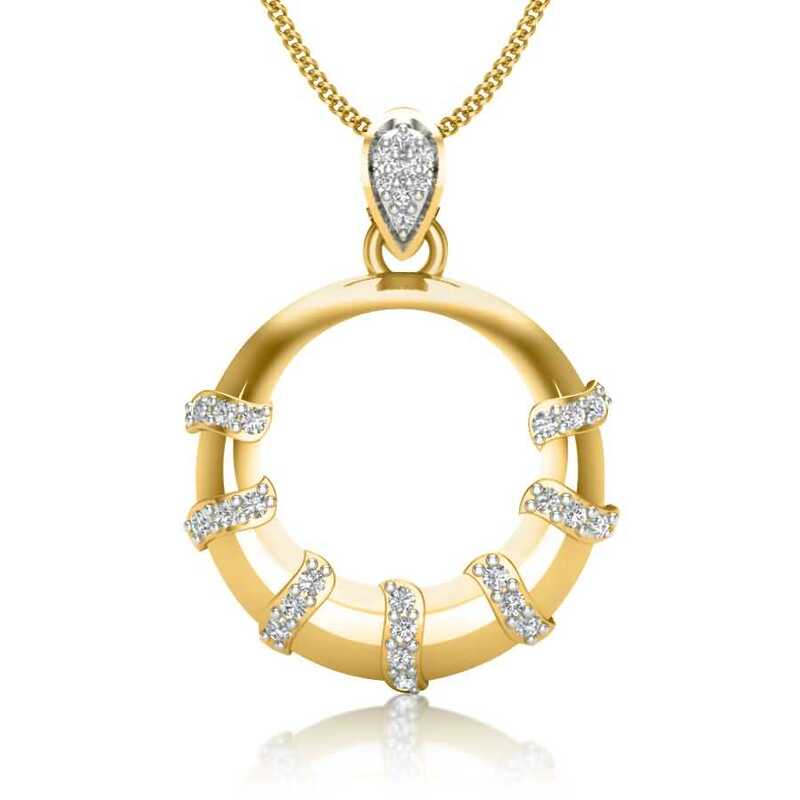 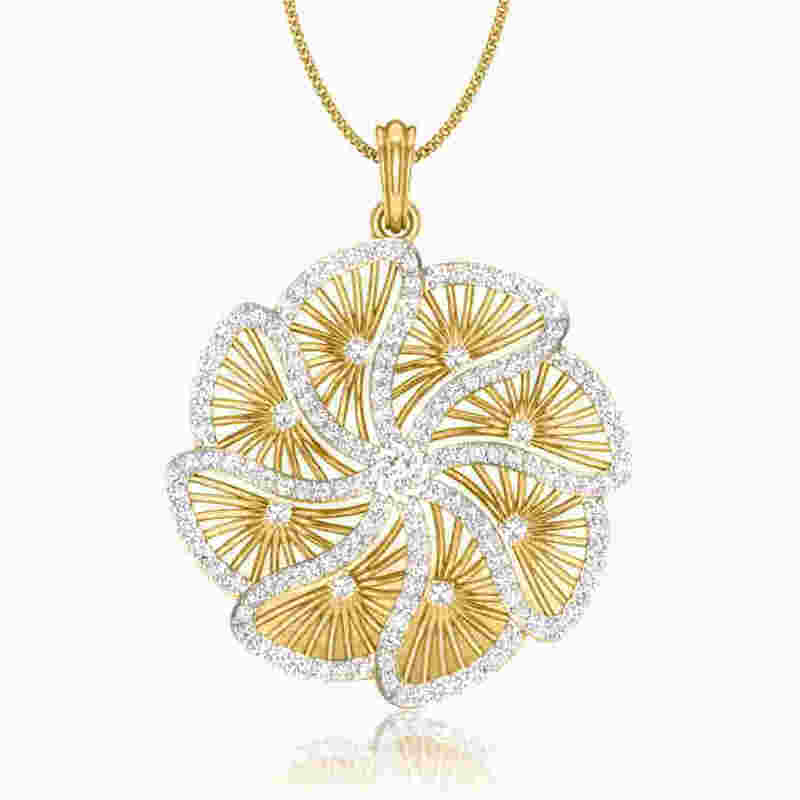 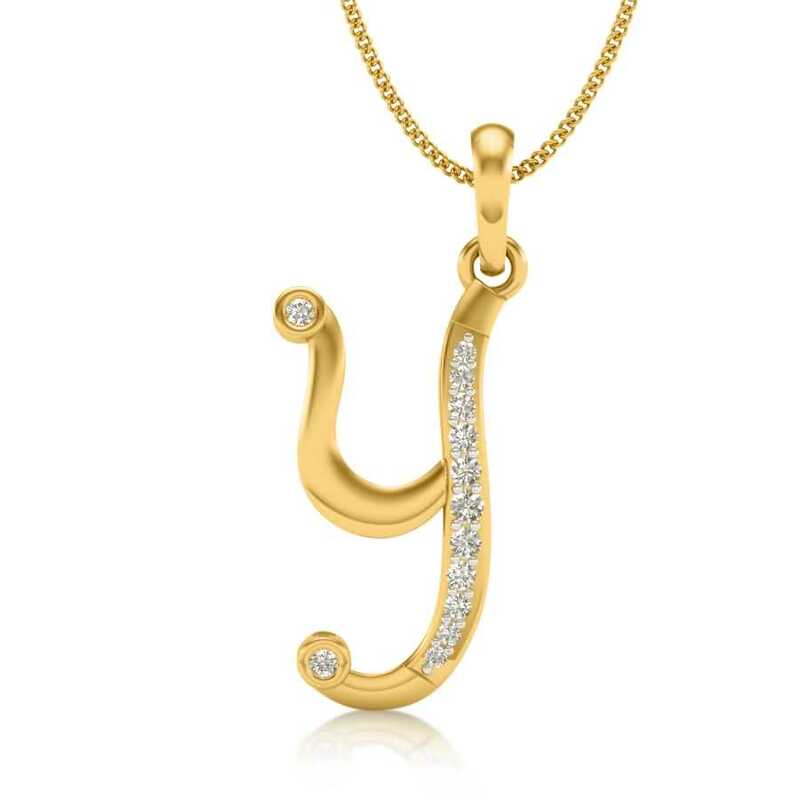 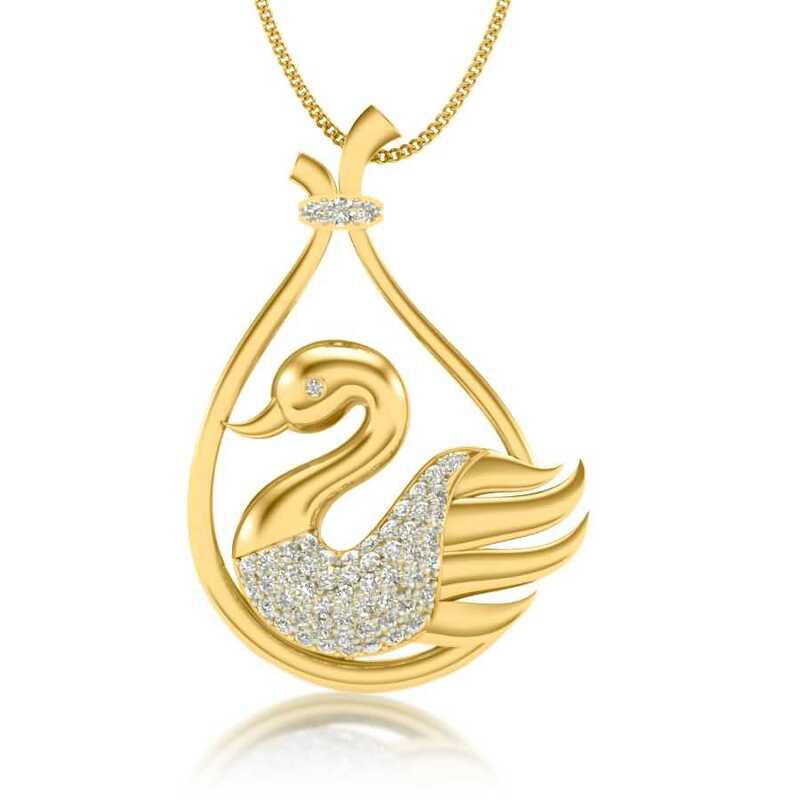 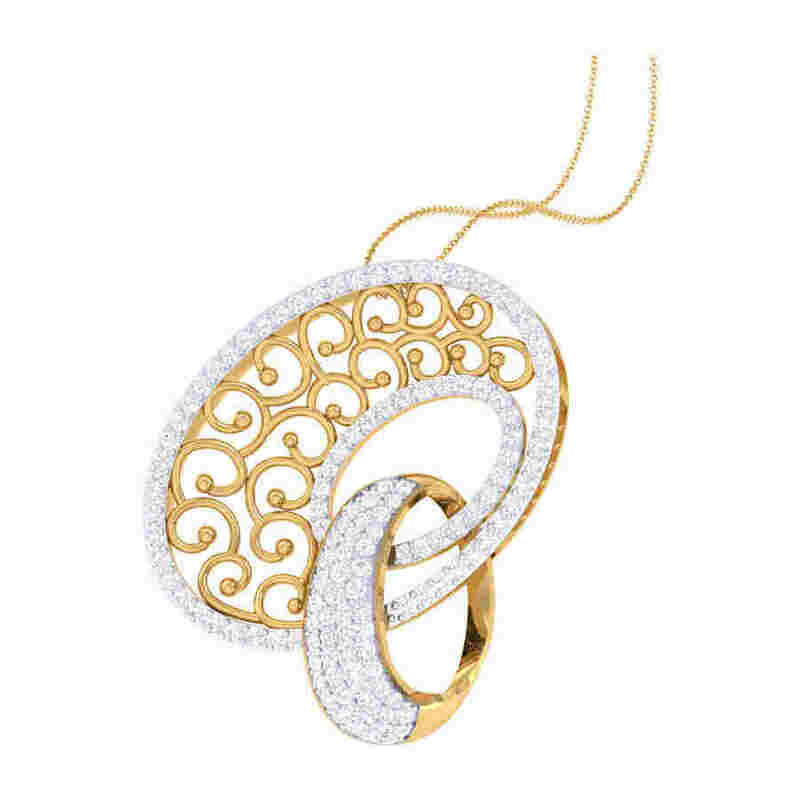 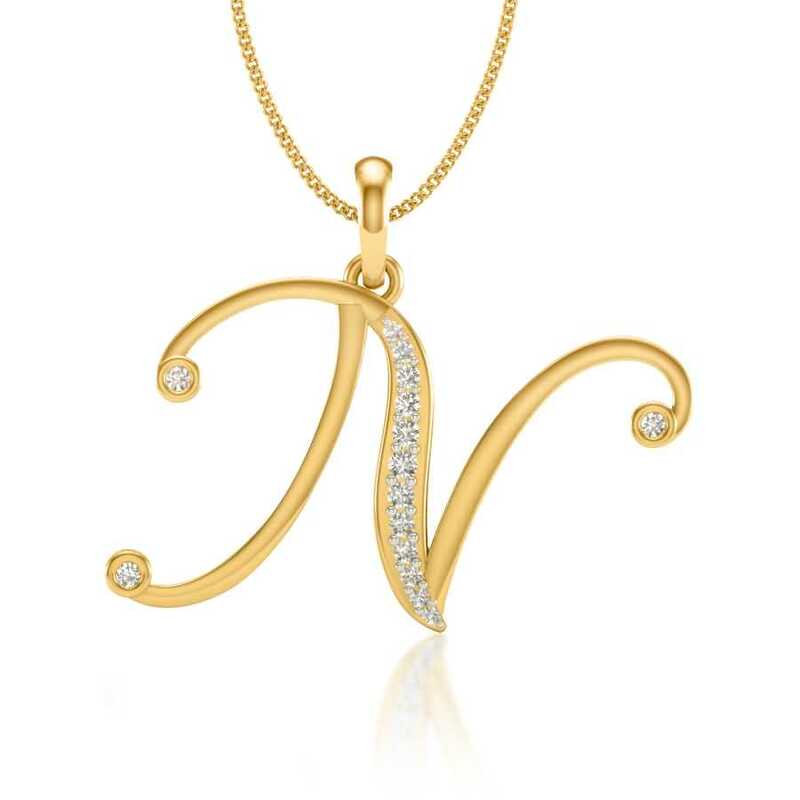 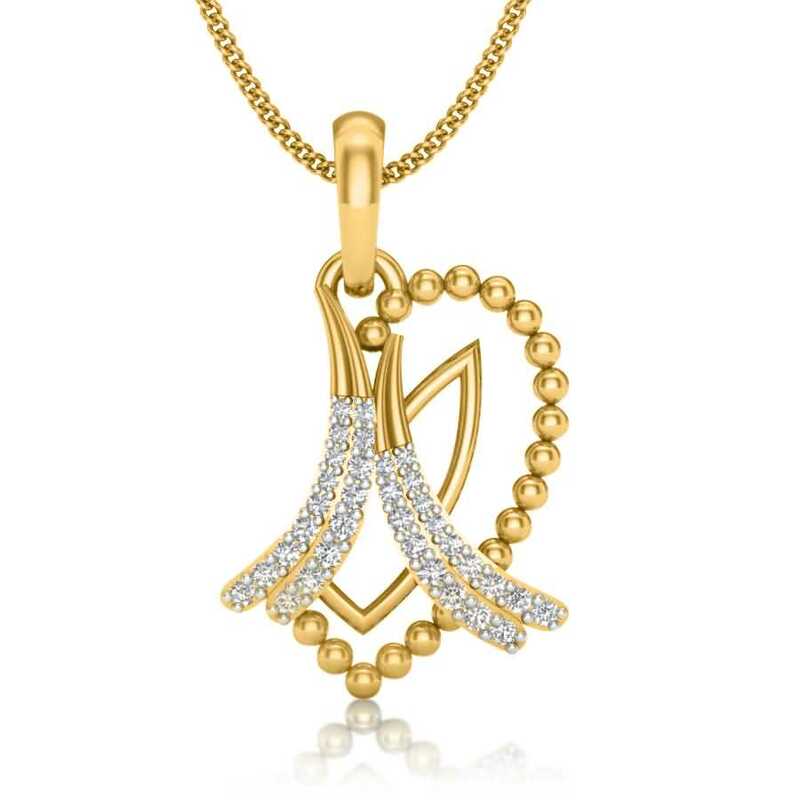 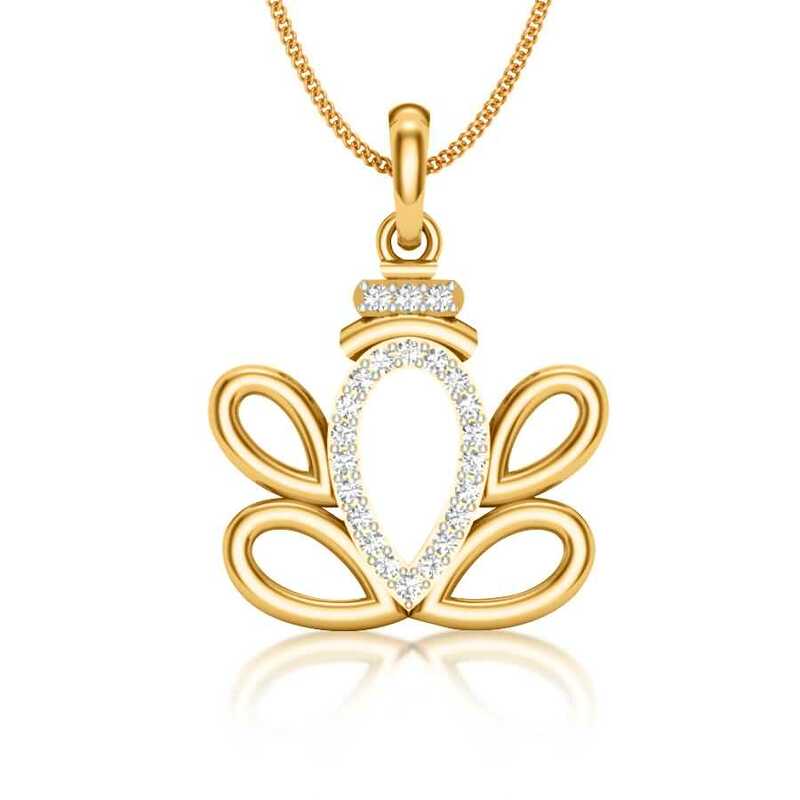 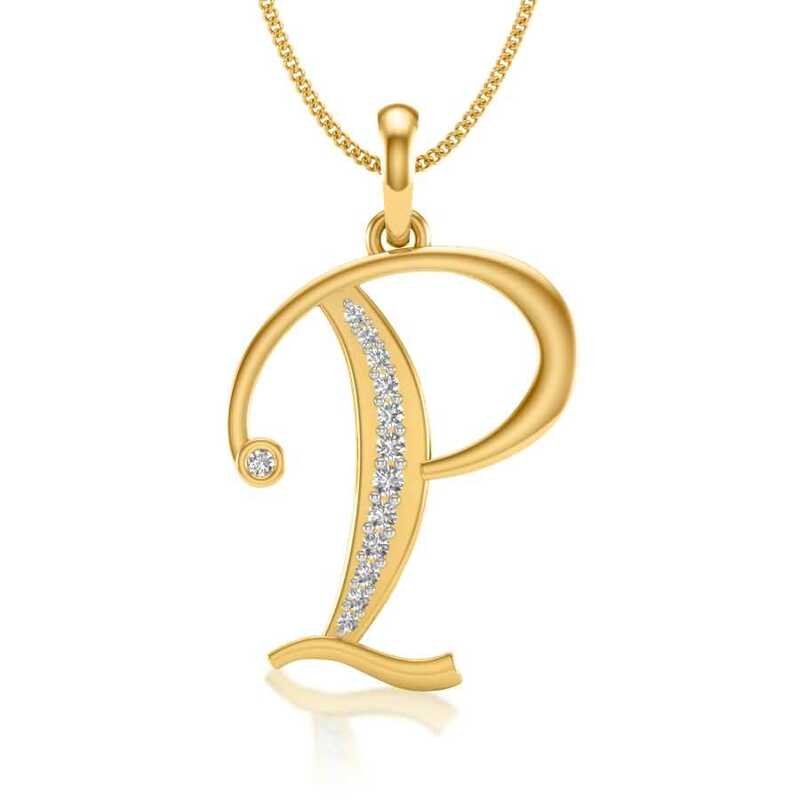 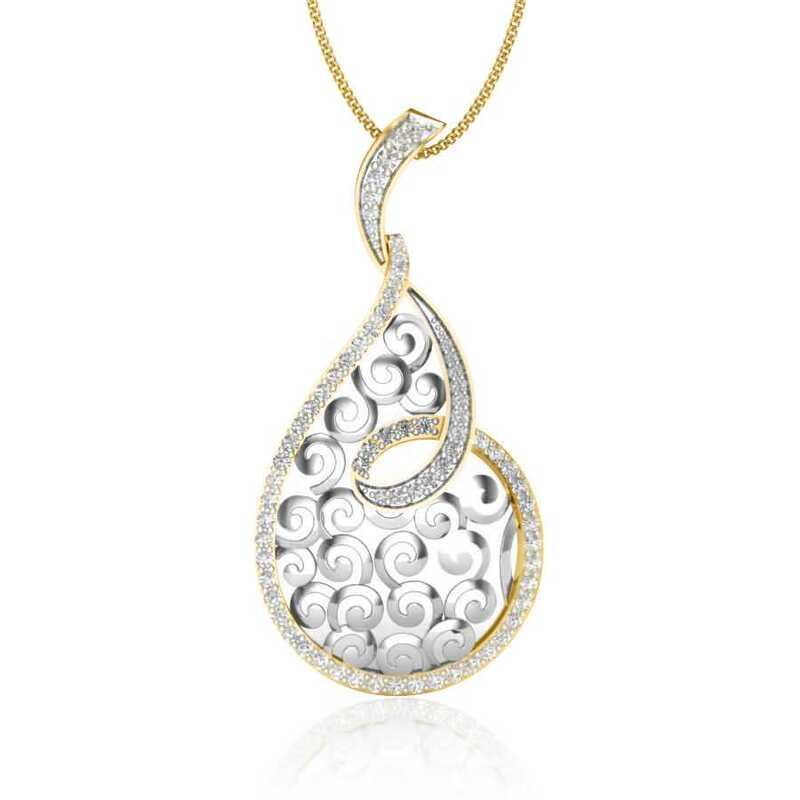 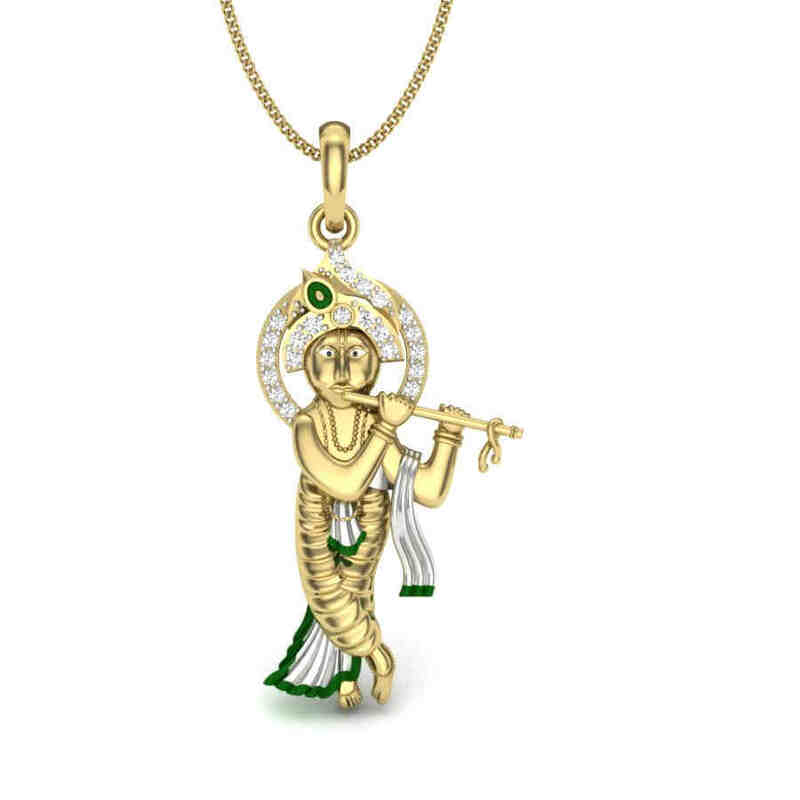 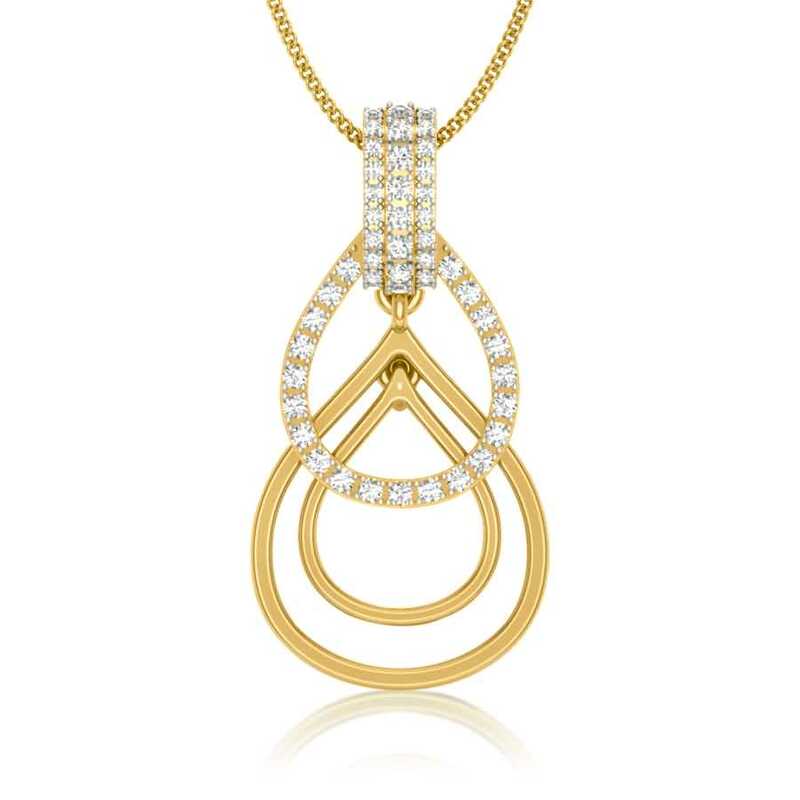 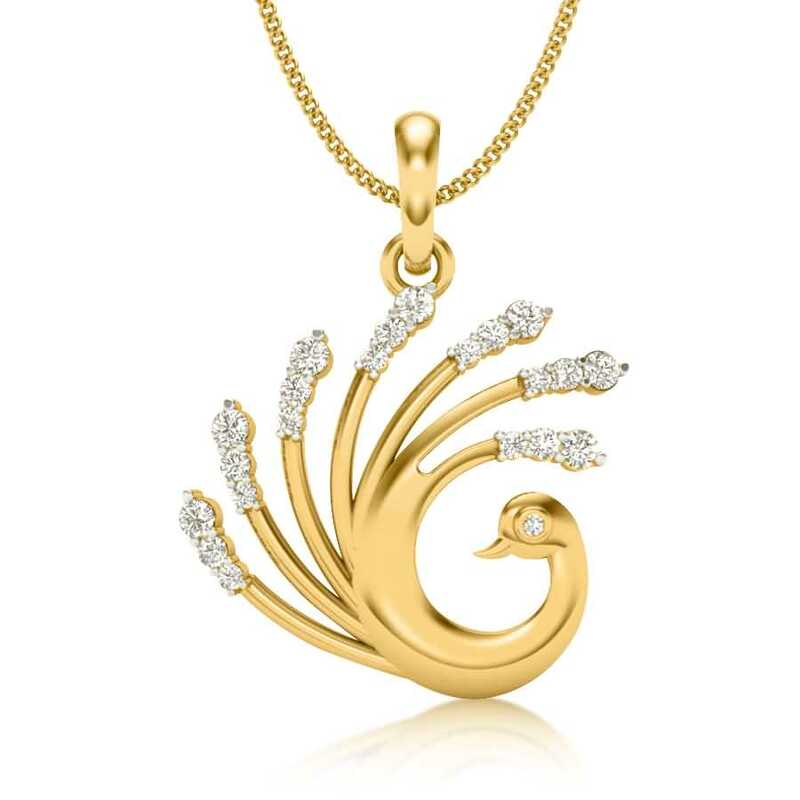 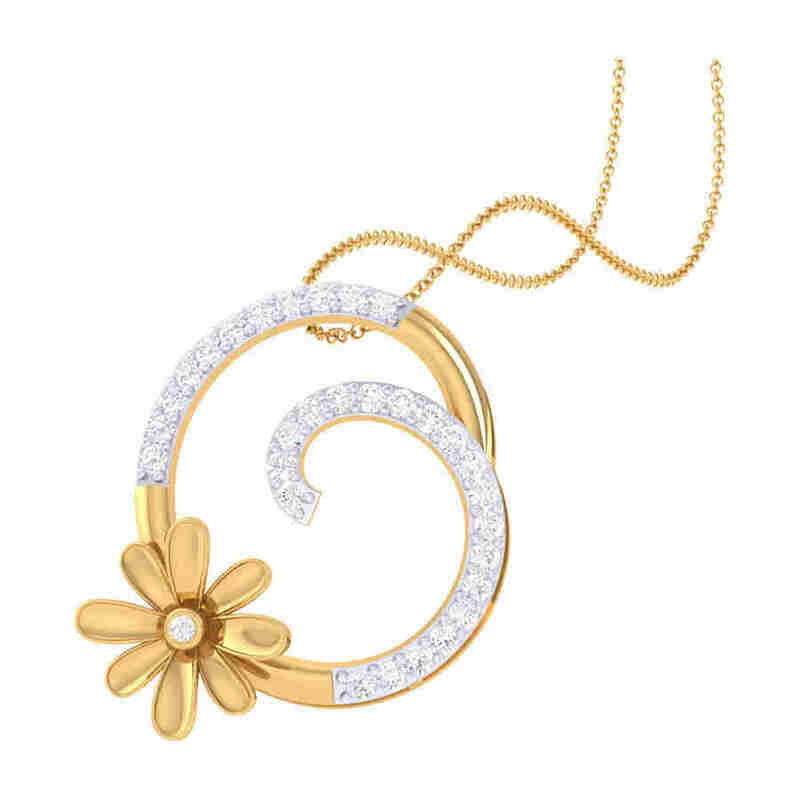 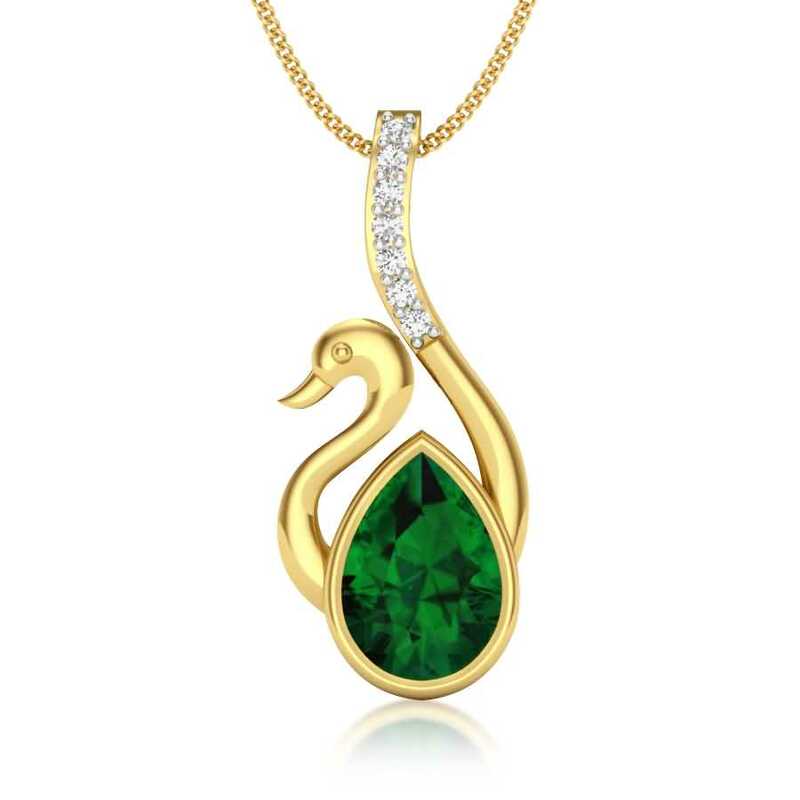 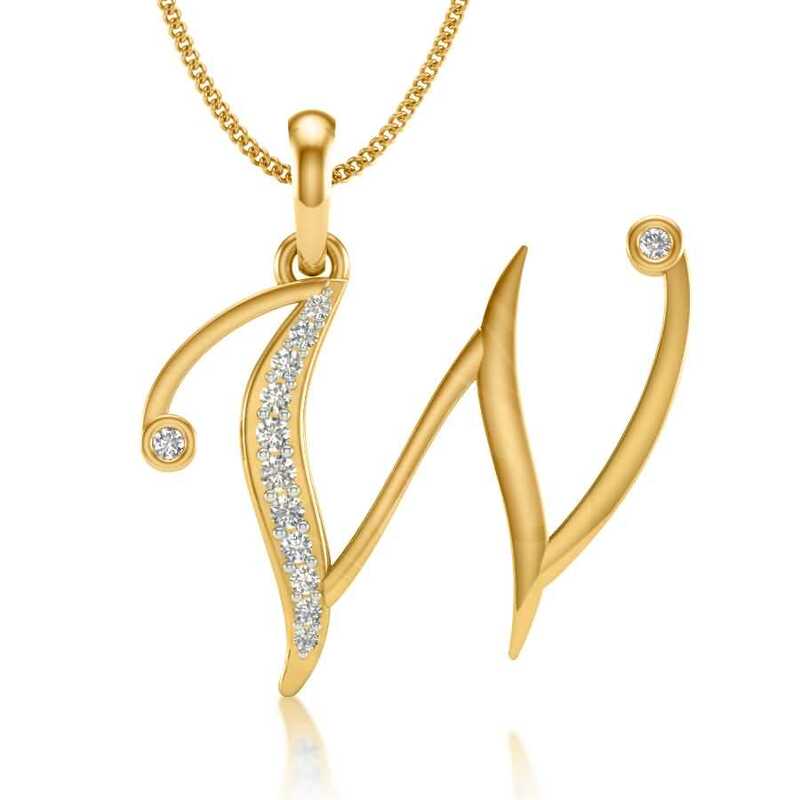 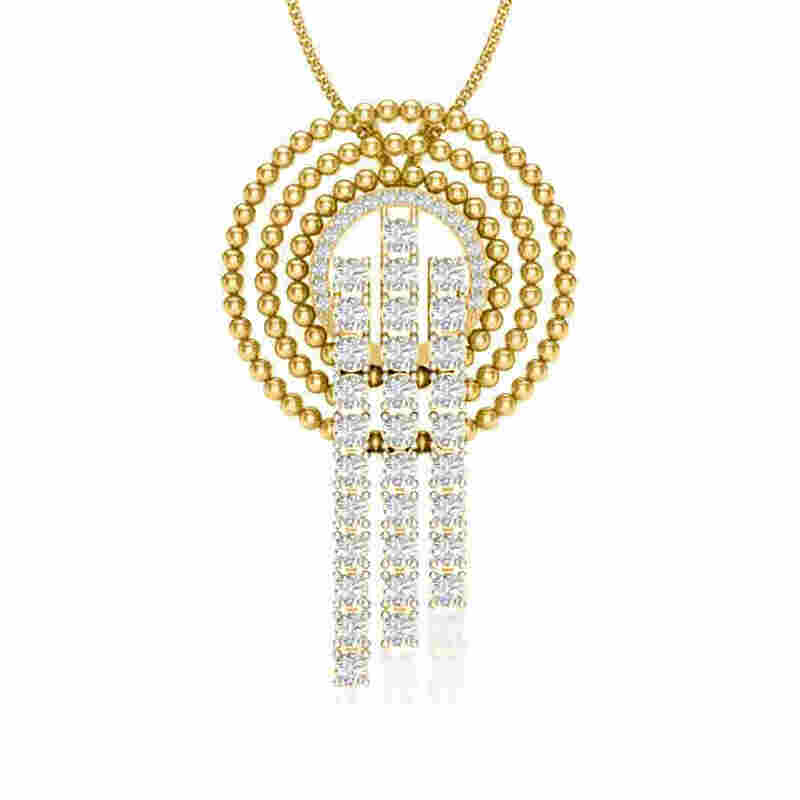 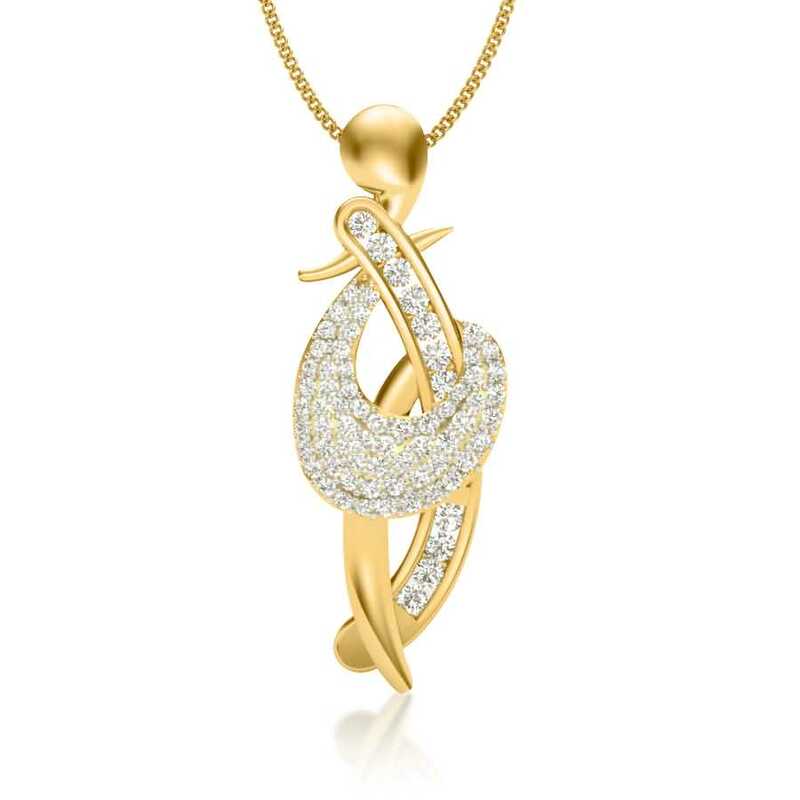 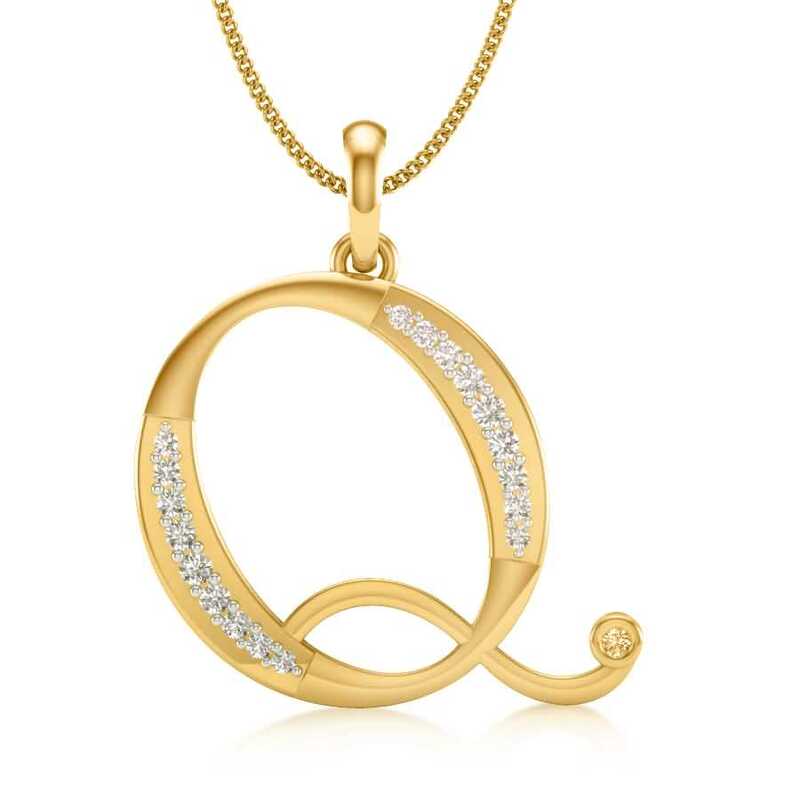 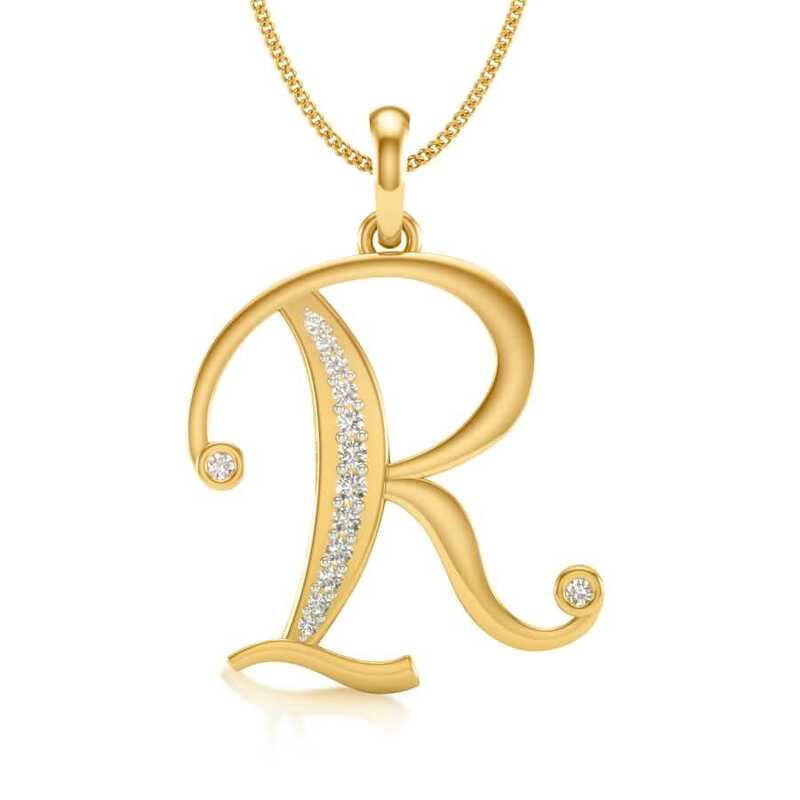 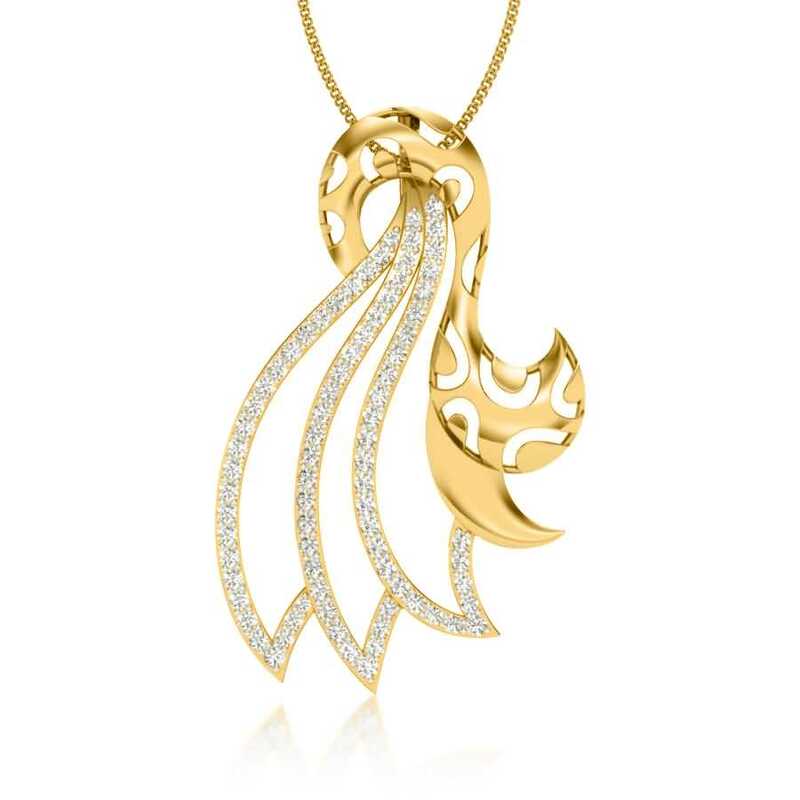 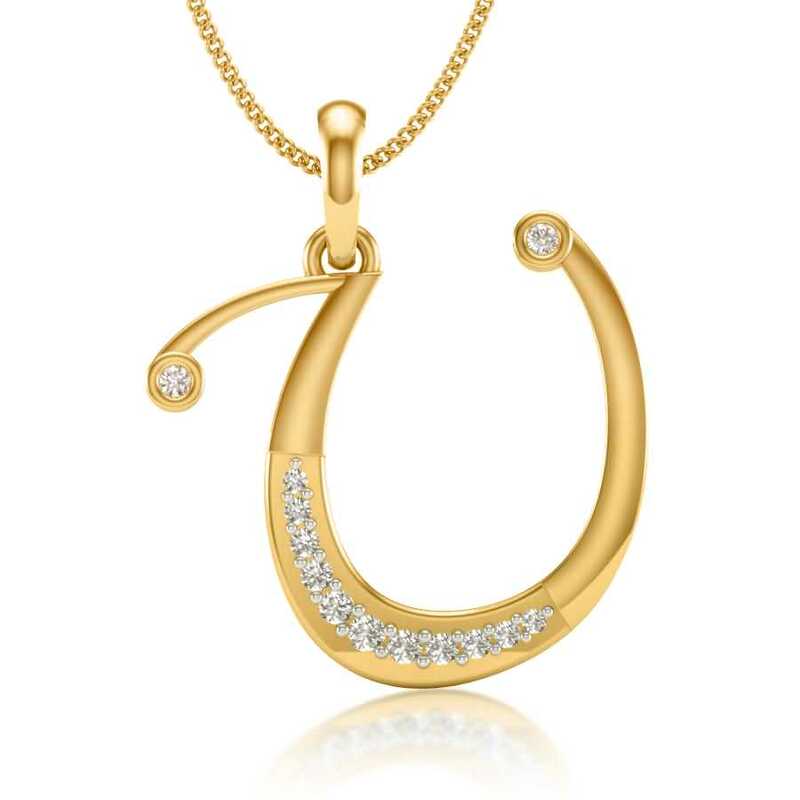 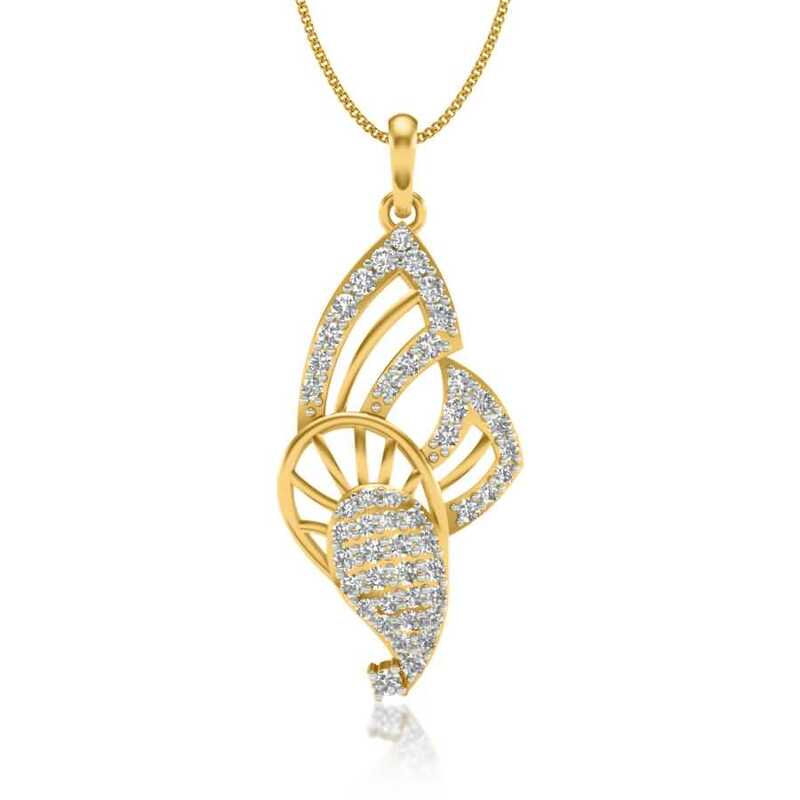 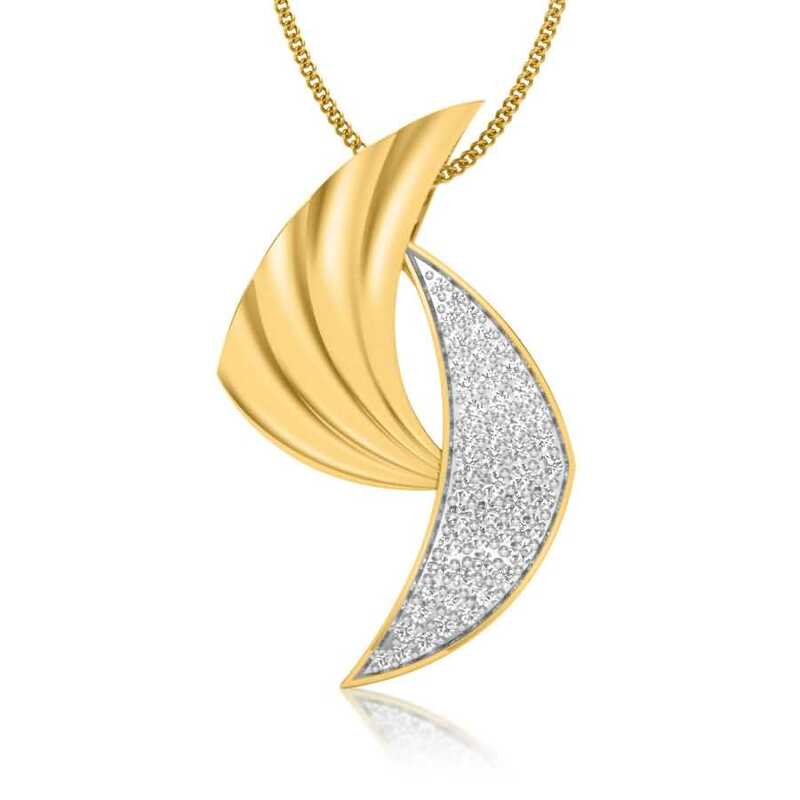 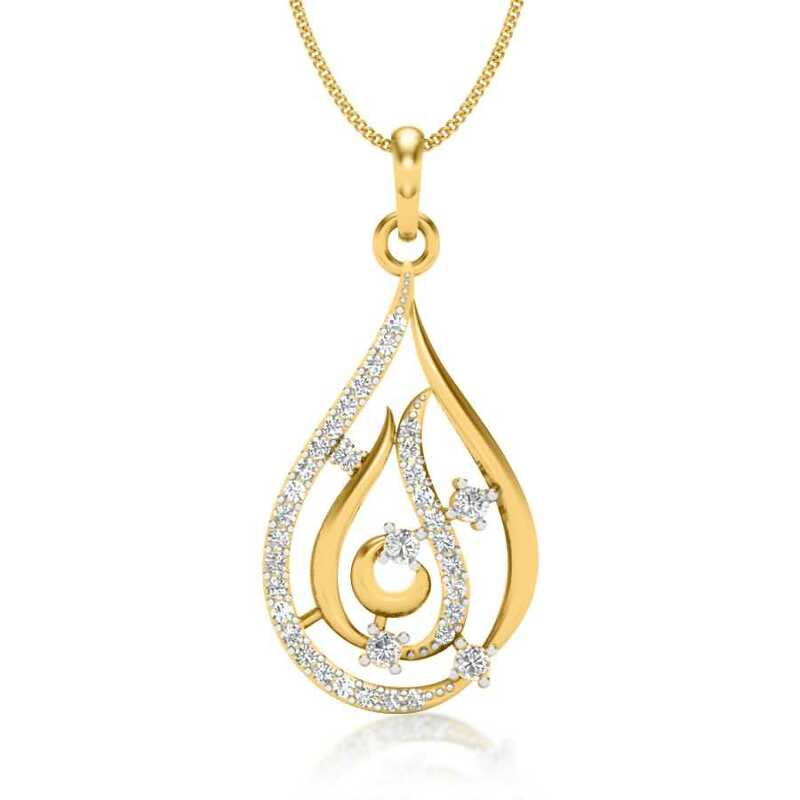 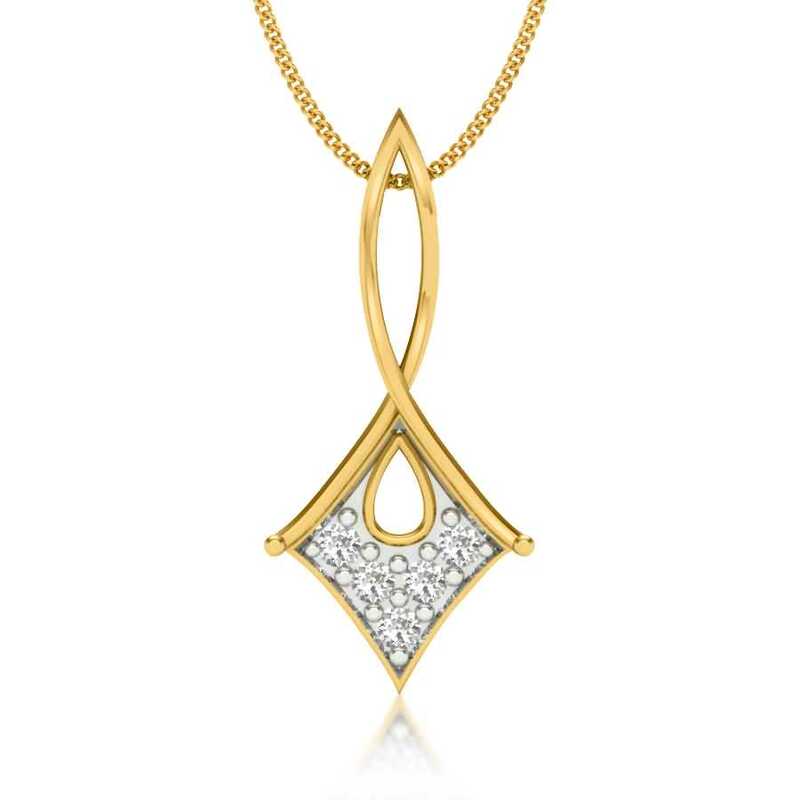 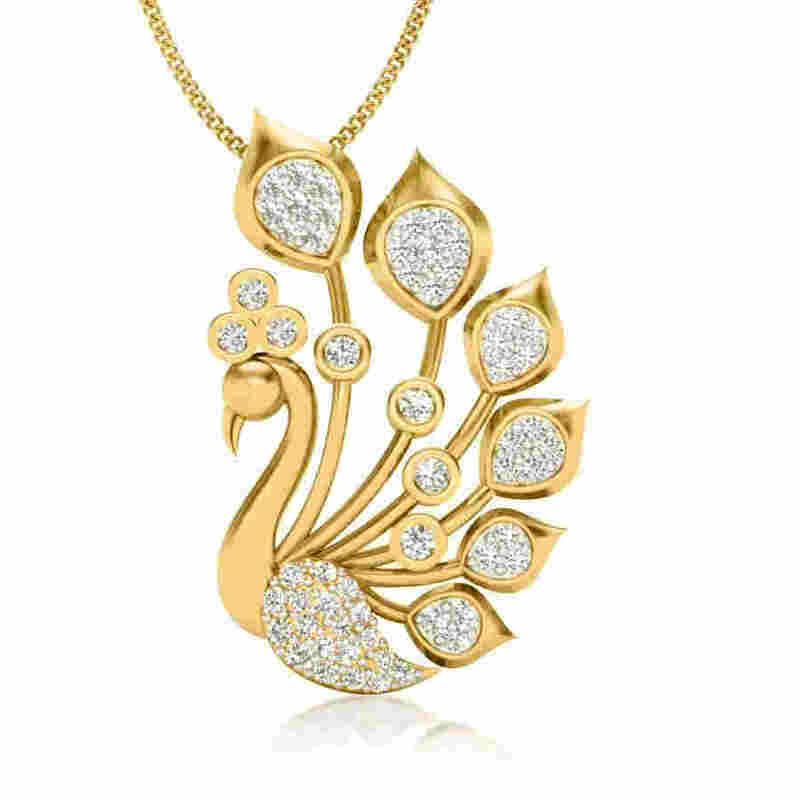 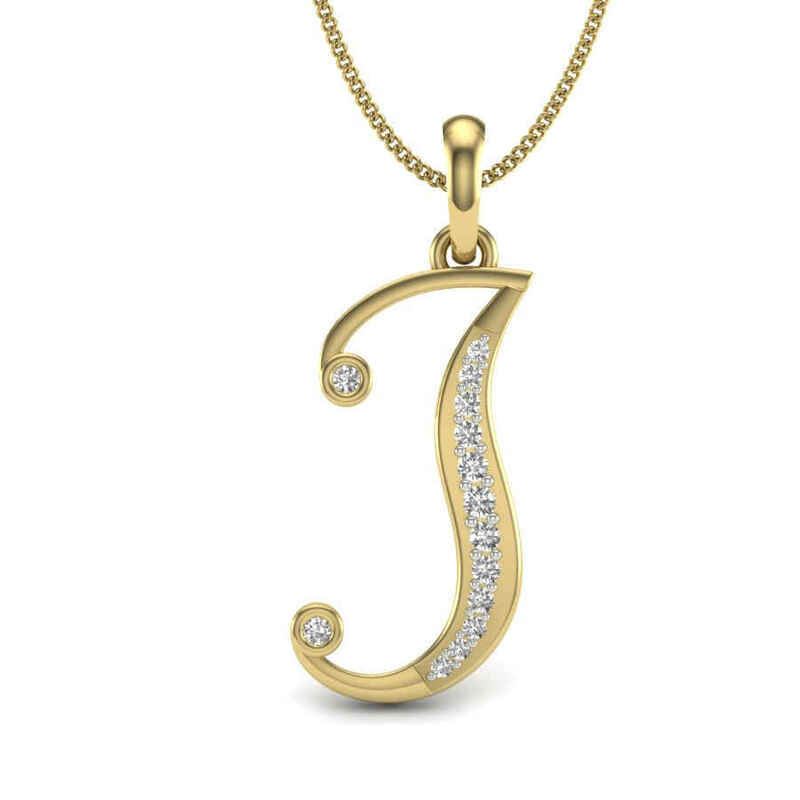 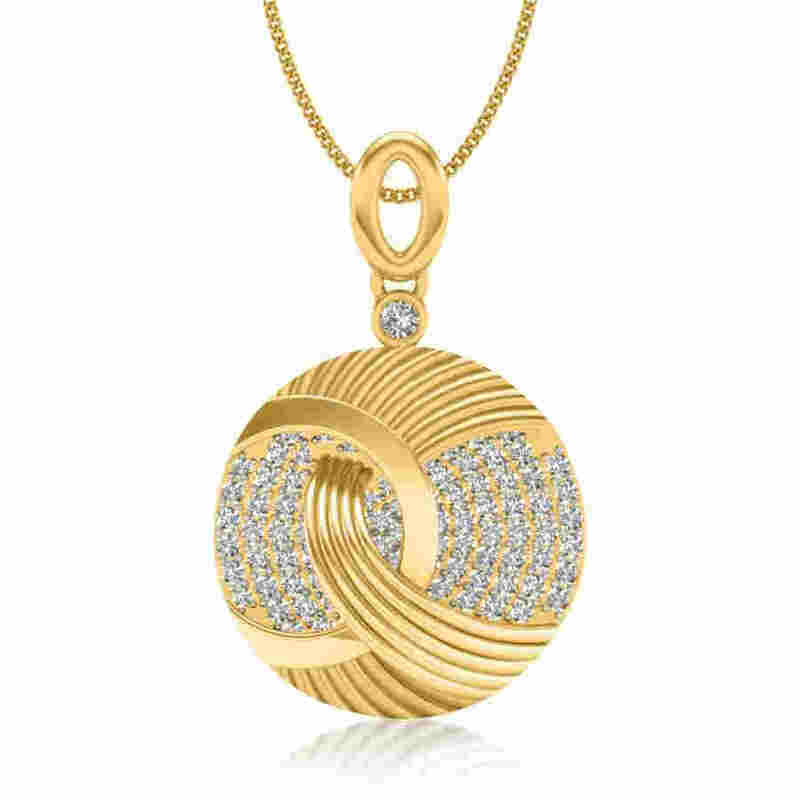 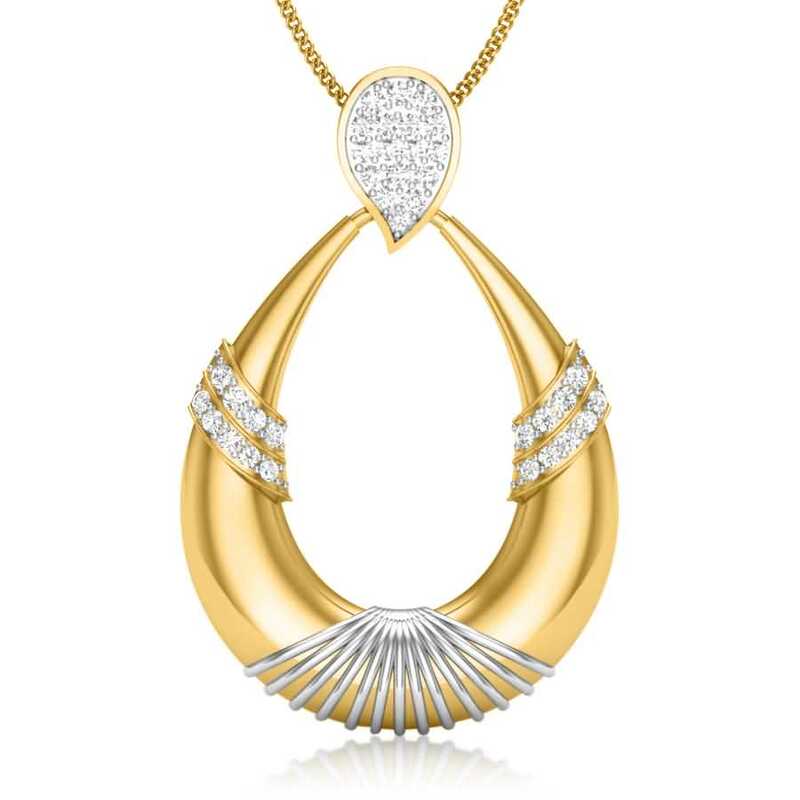 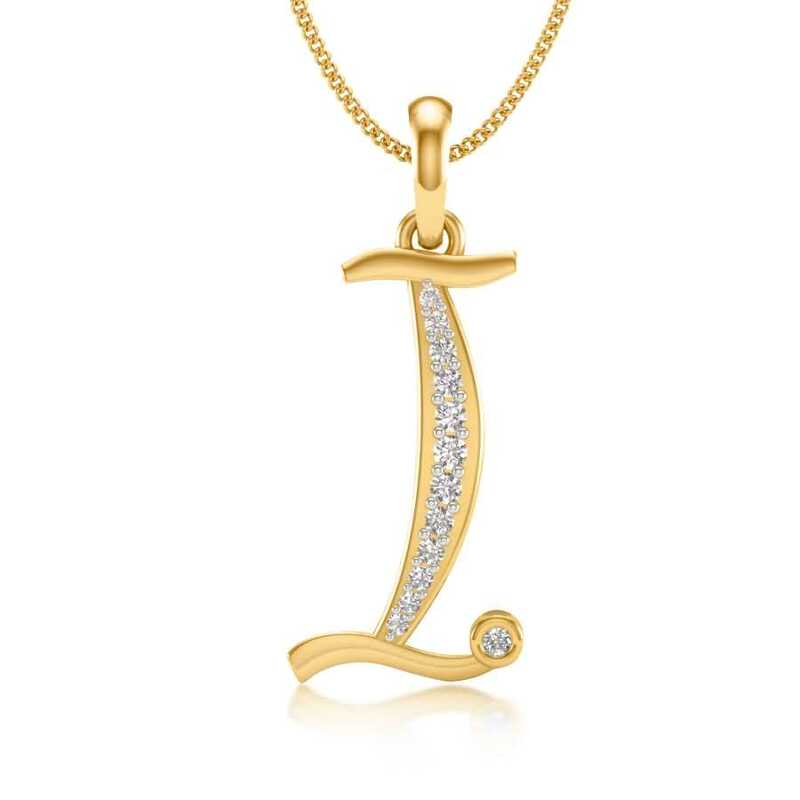 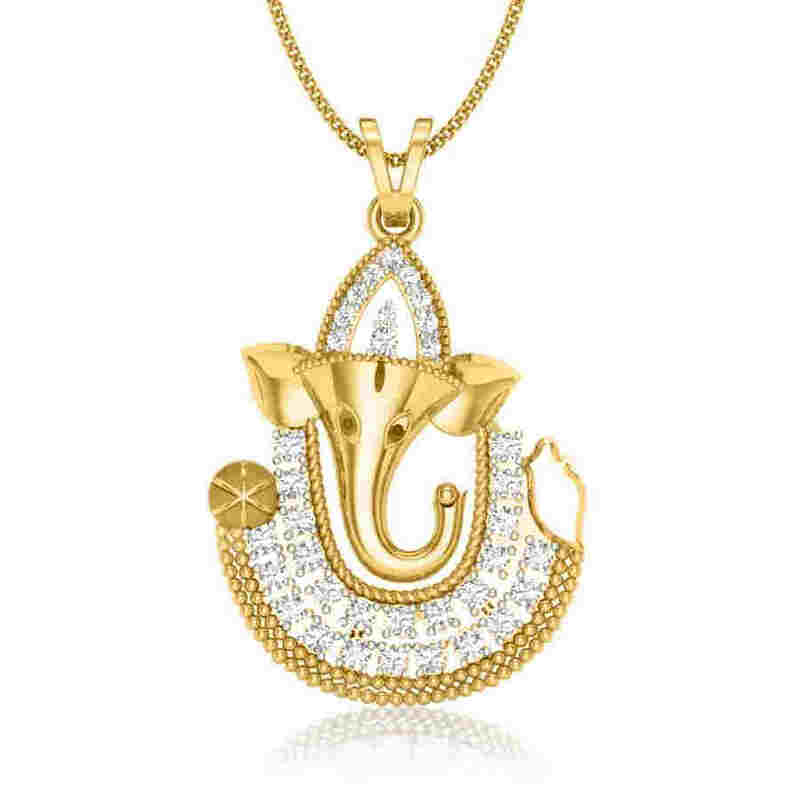 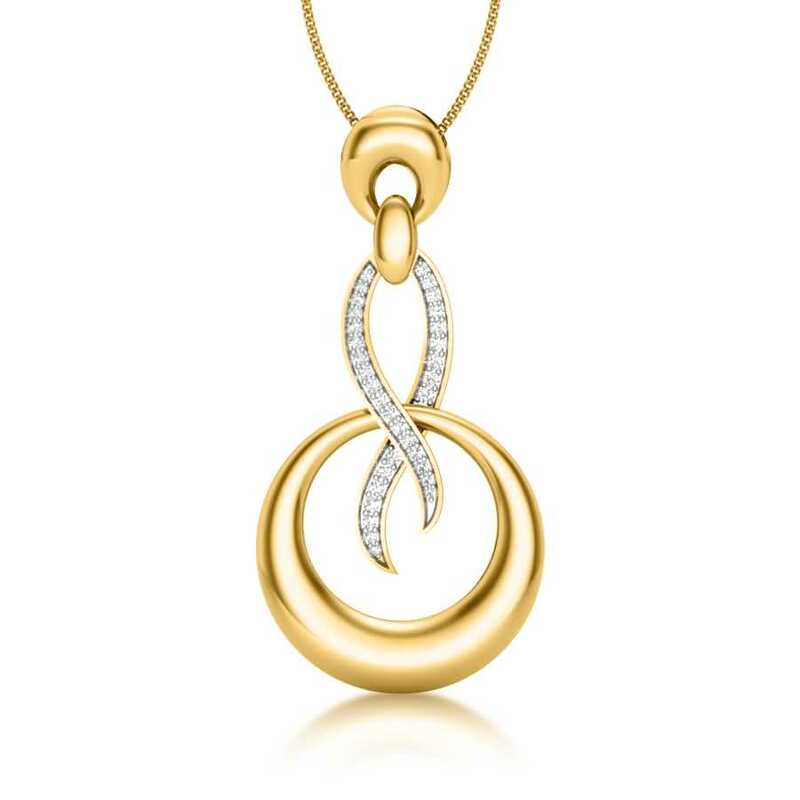 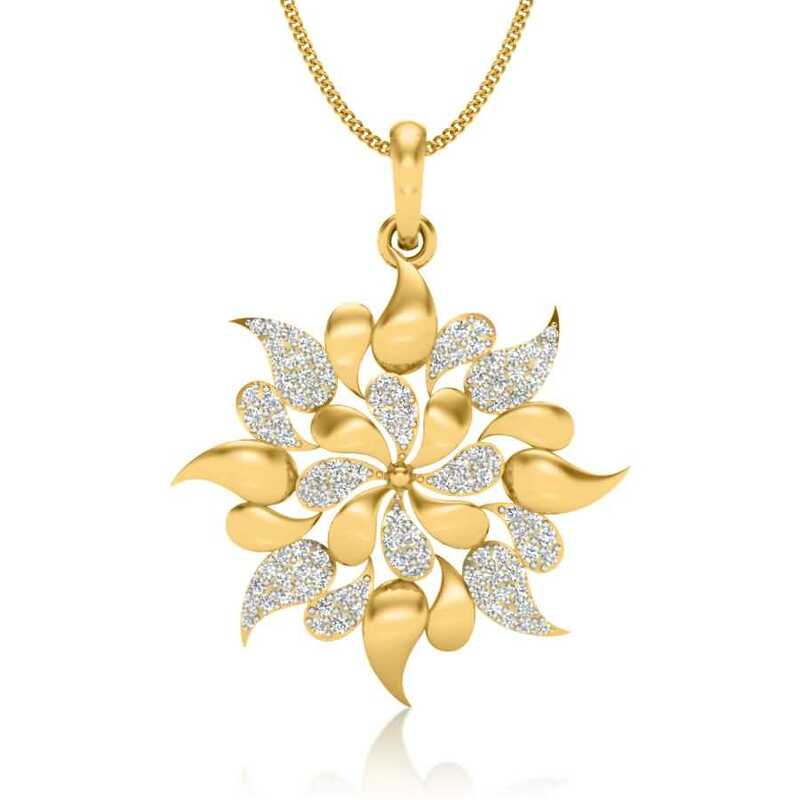 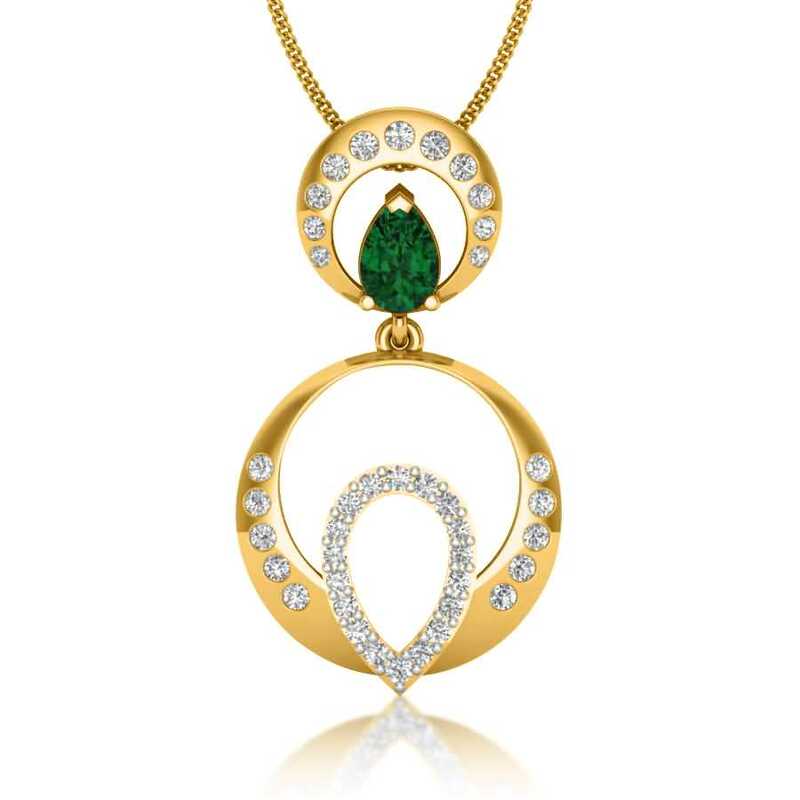 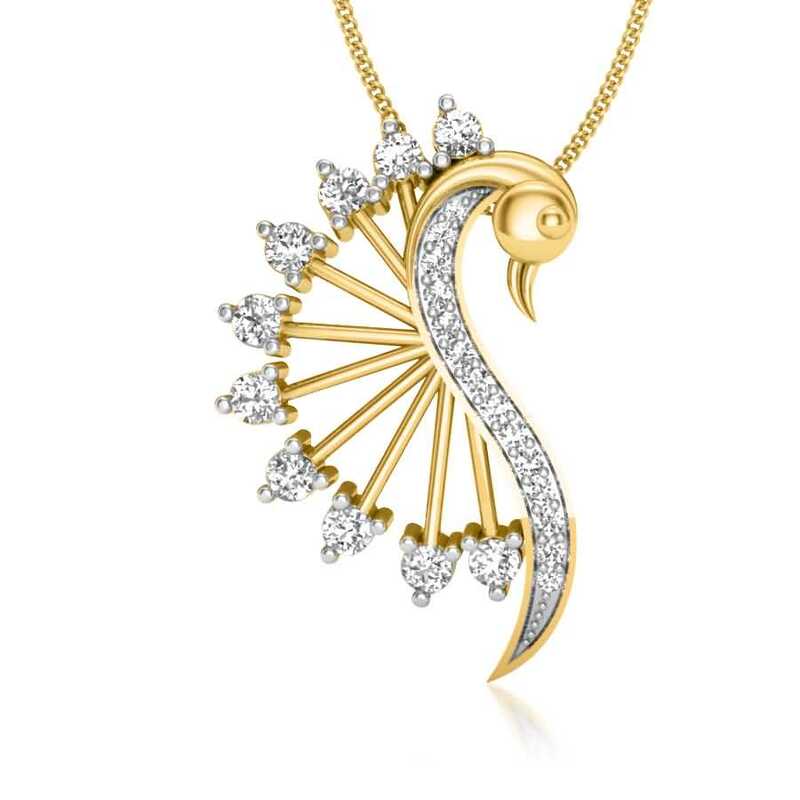 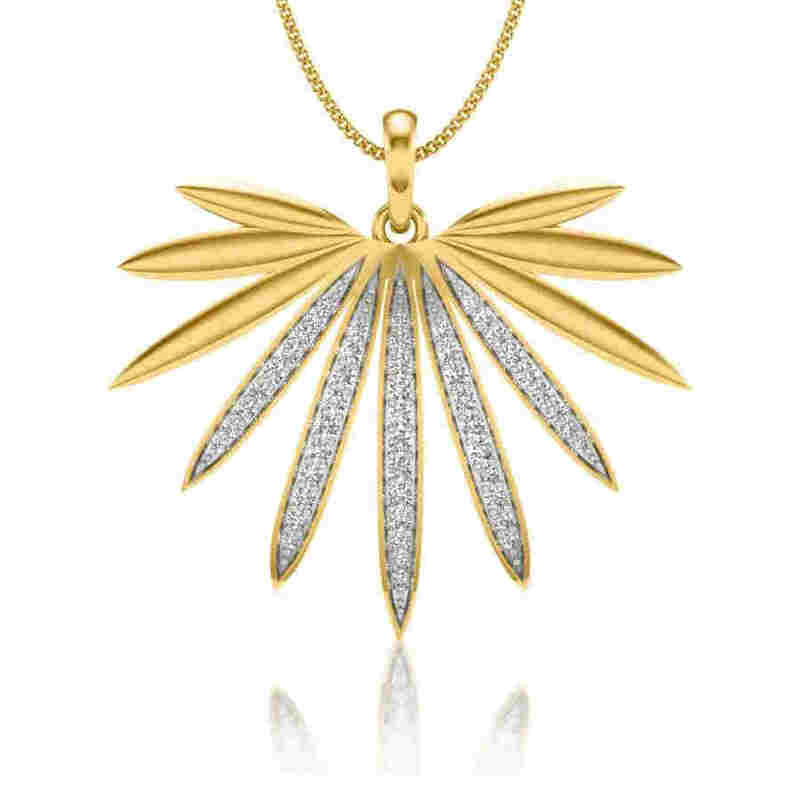 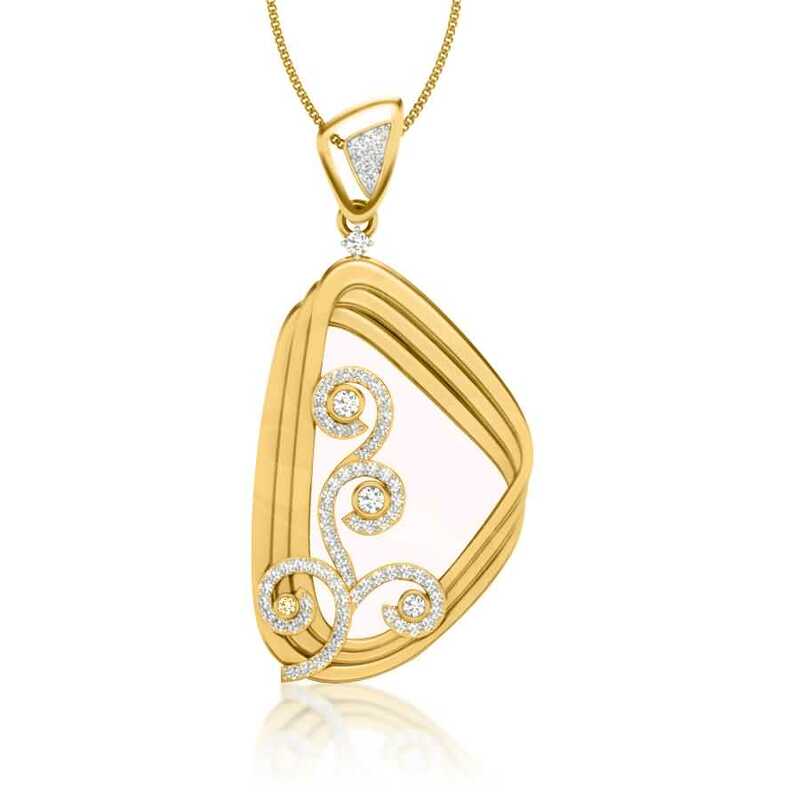 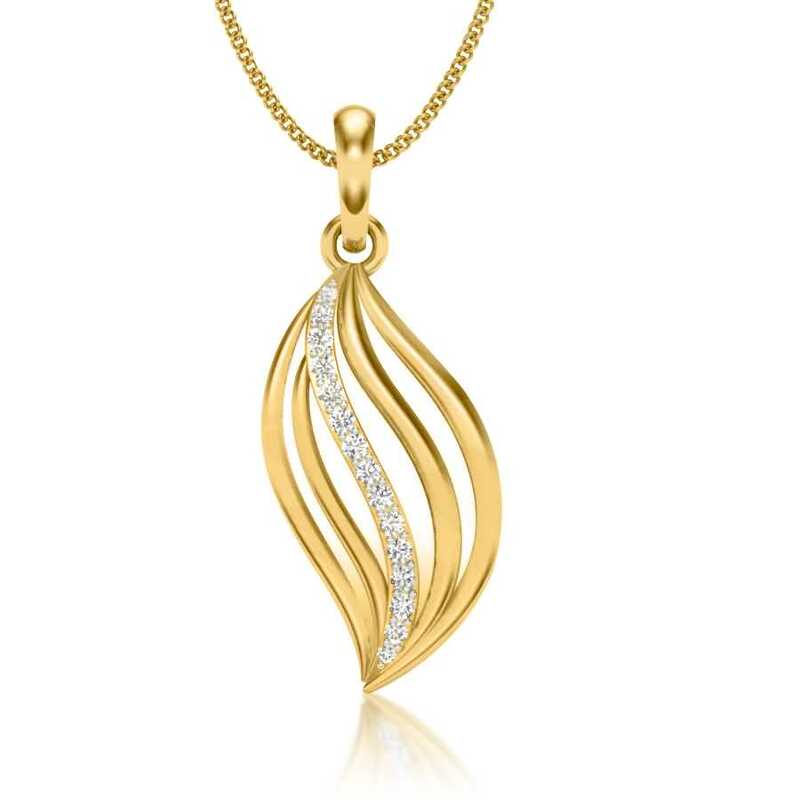 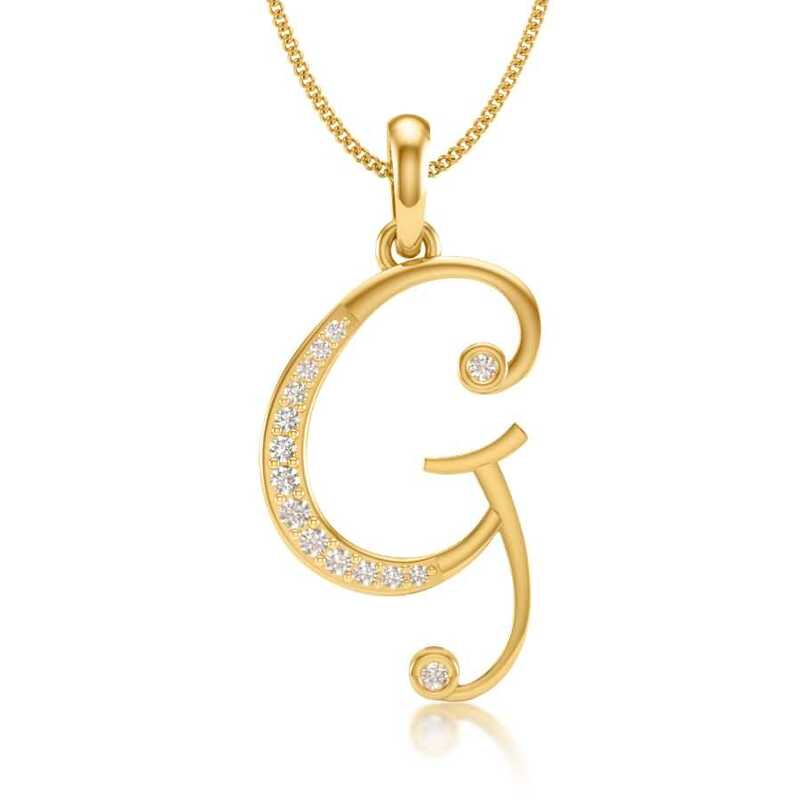 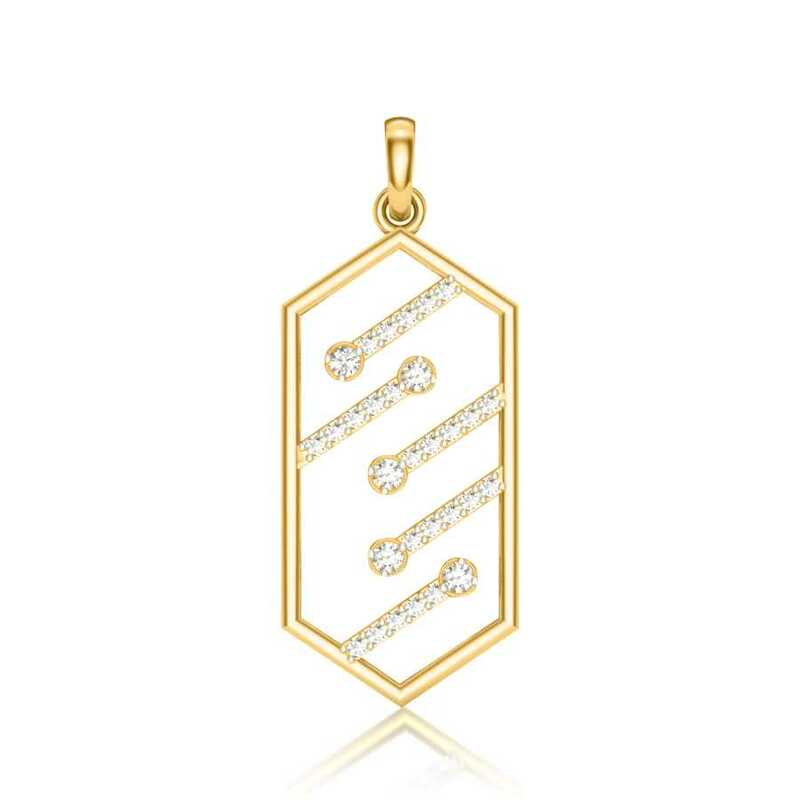 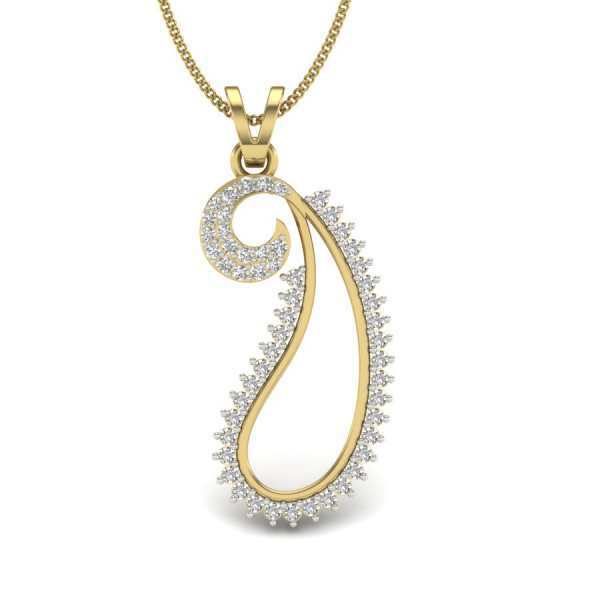 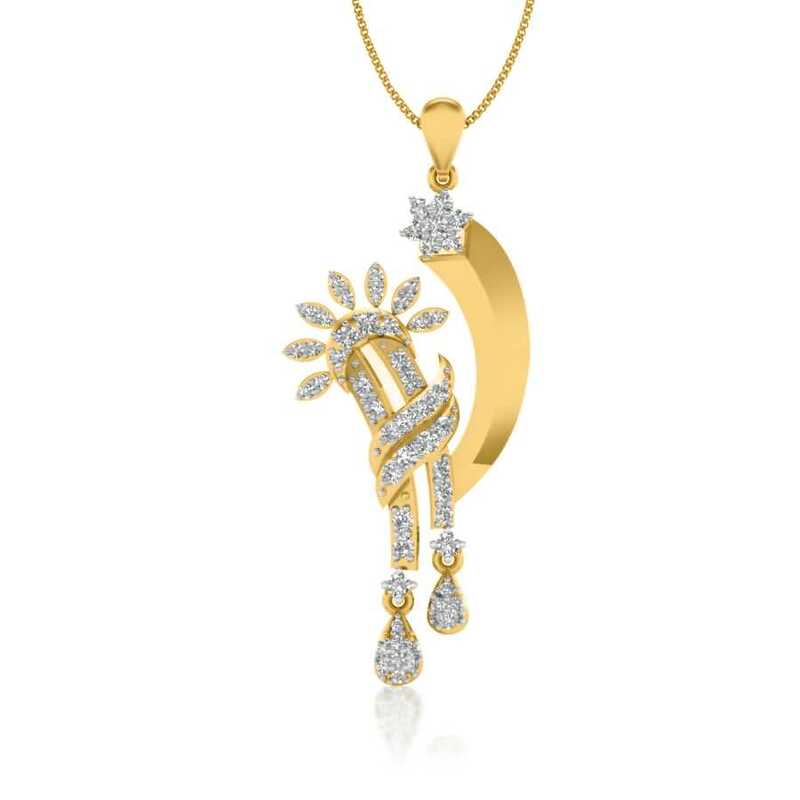 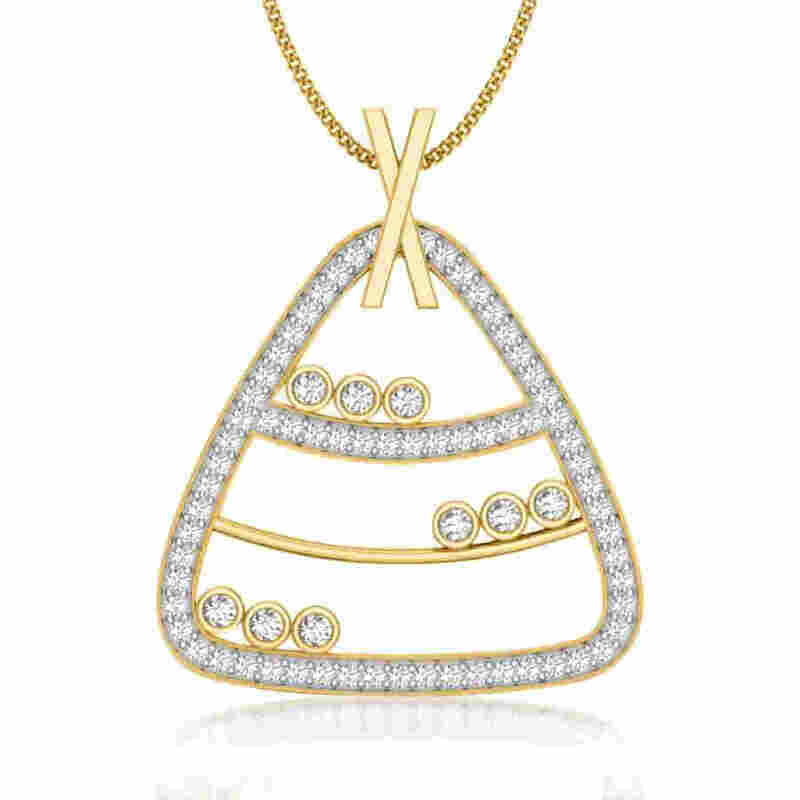 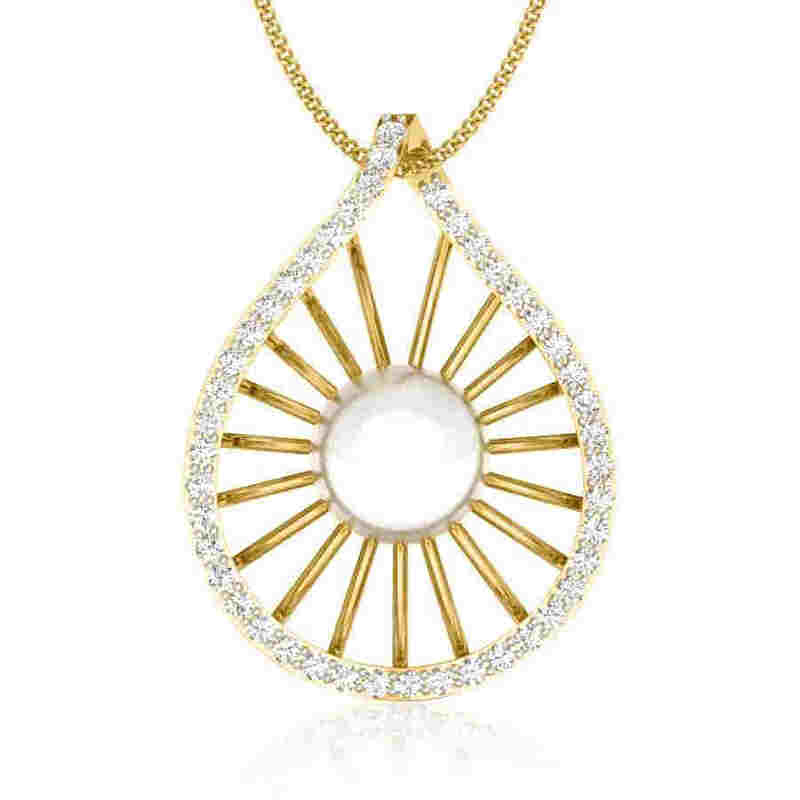 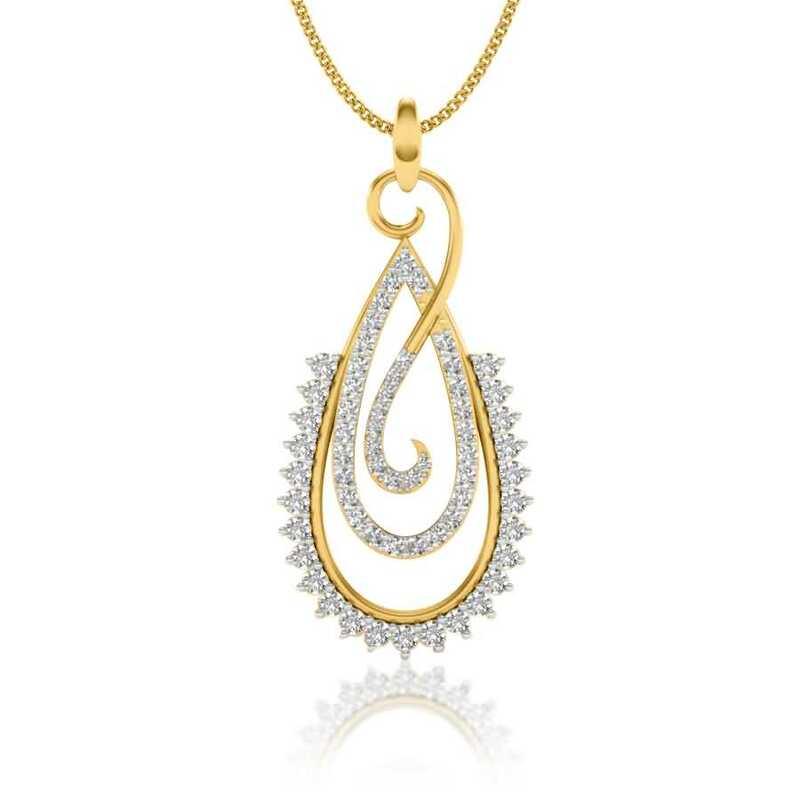 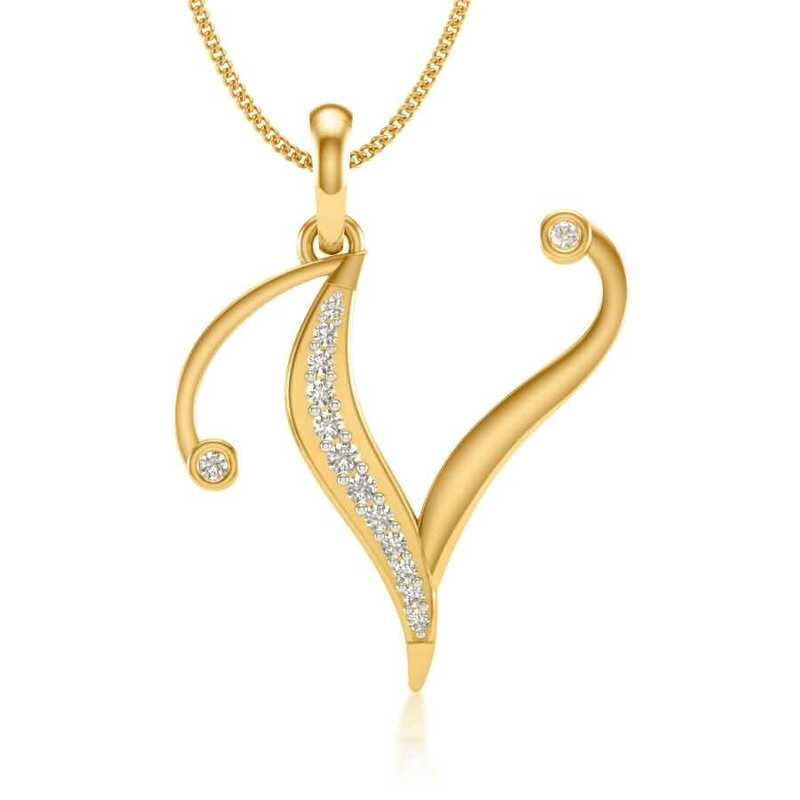 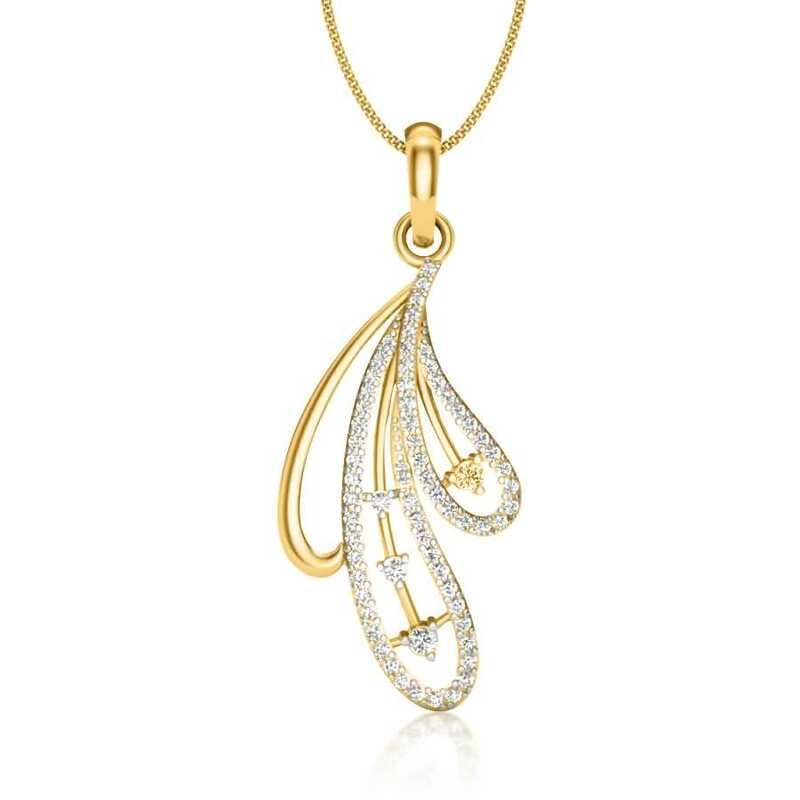 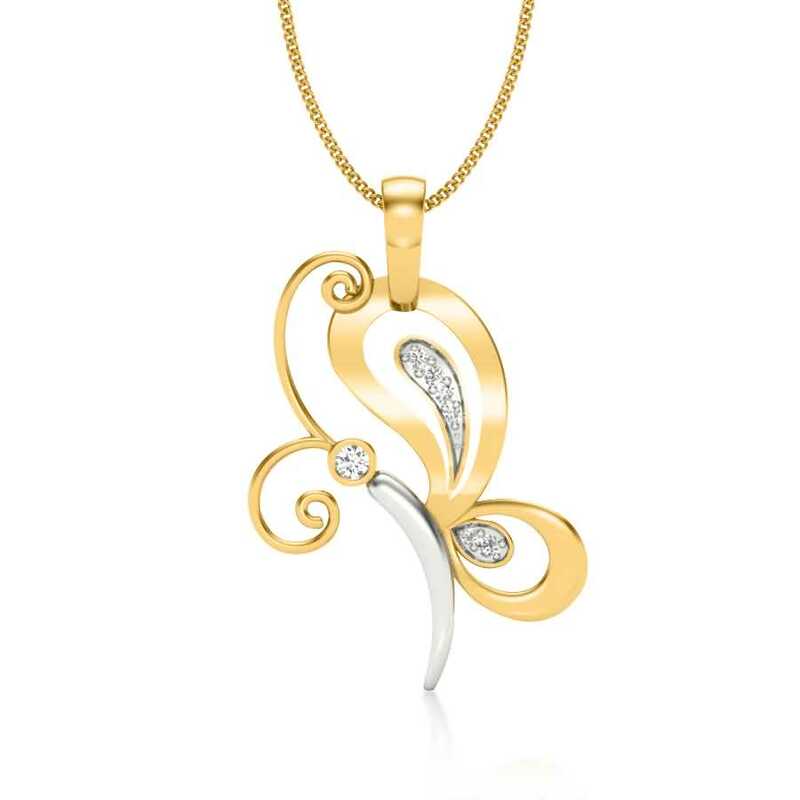 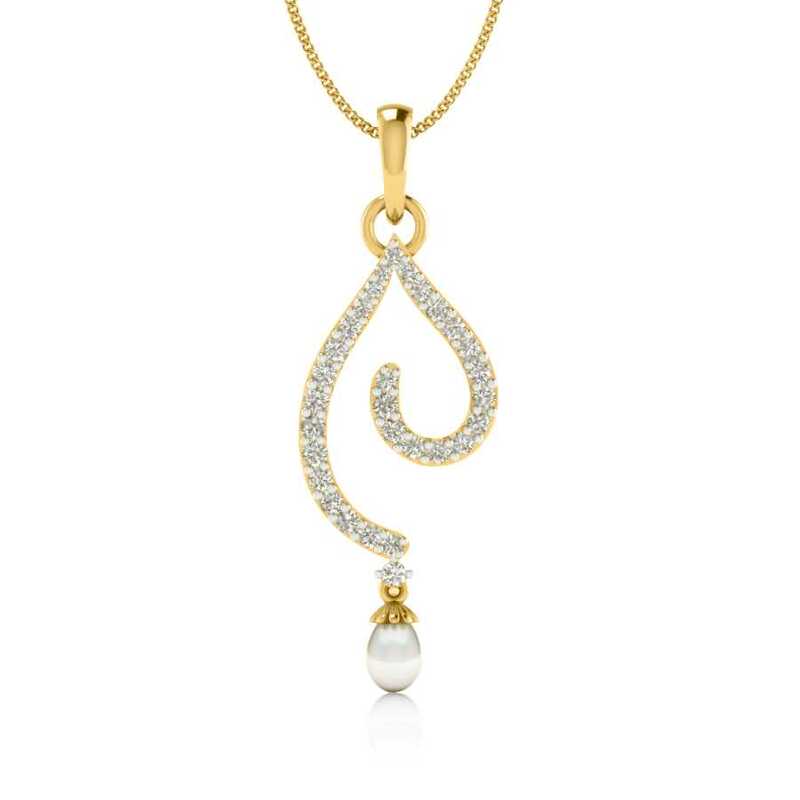 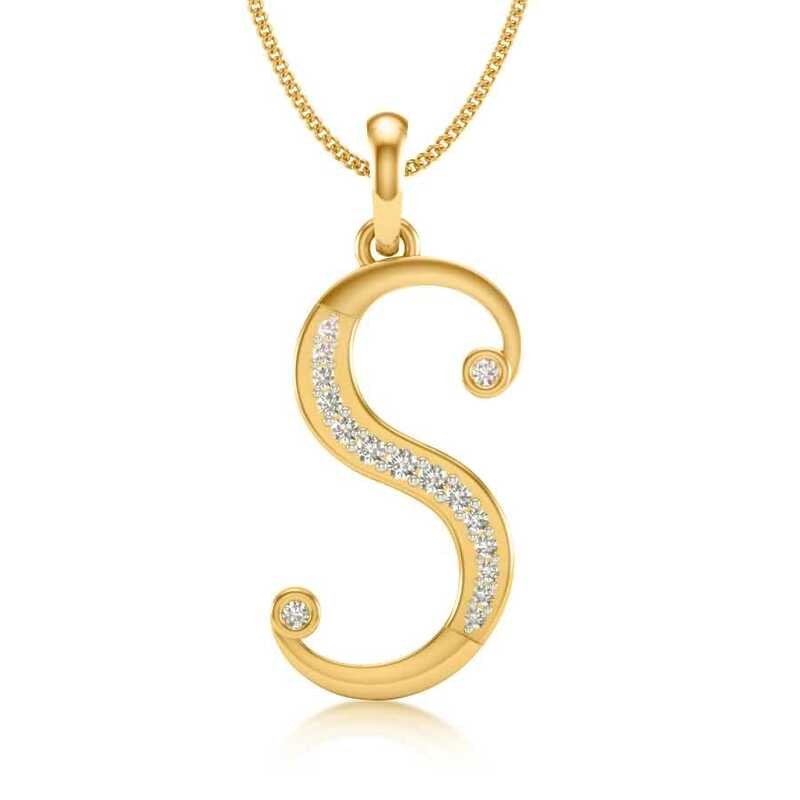 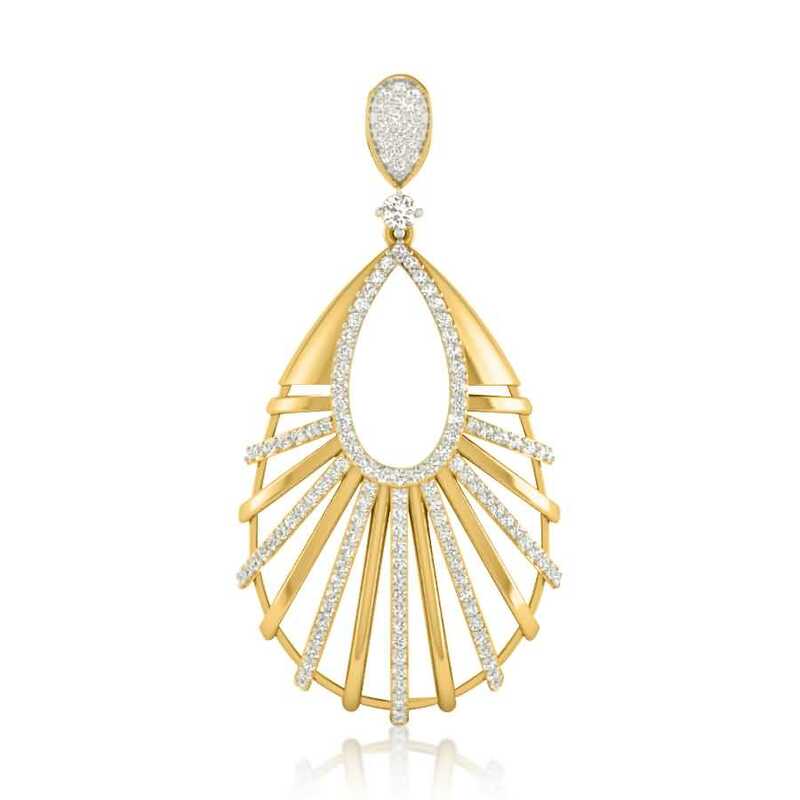 While diamond pendants beautifully complement the overall look, they, however, bring more attention to the neckline of the outfit given their proximity. 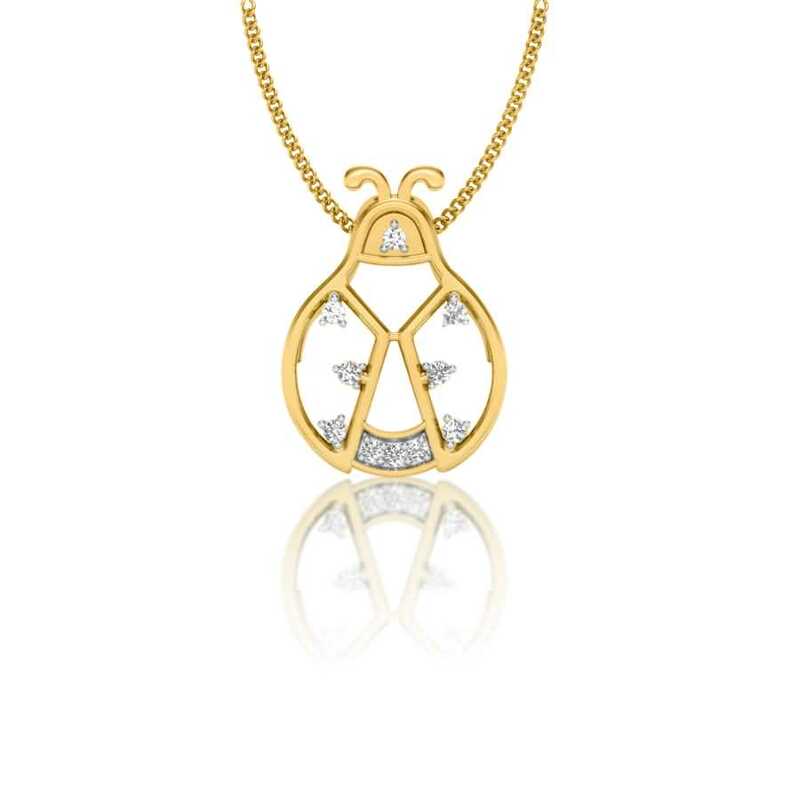 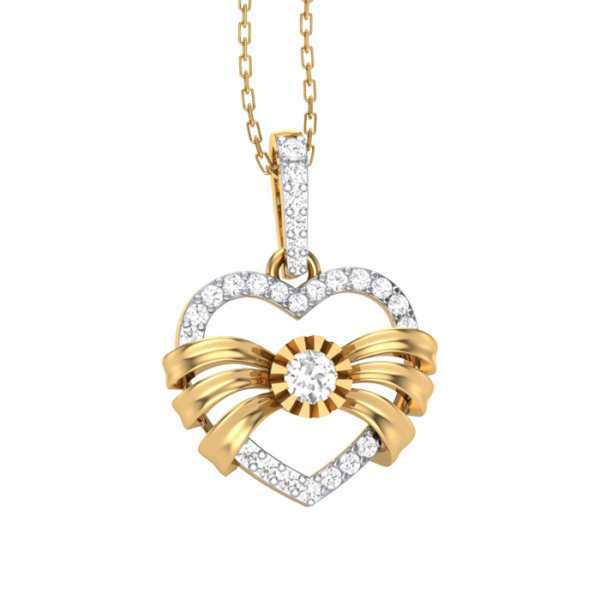 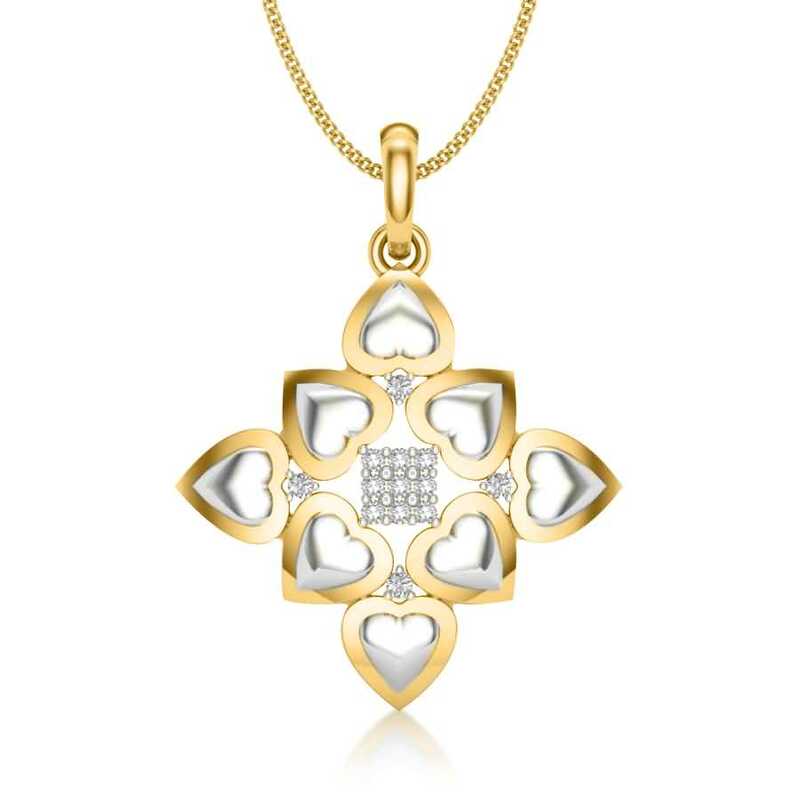 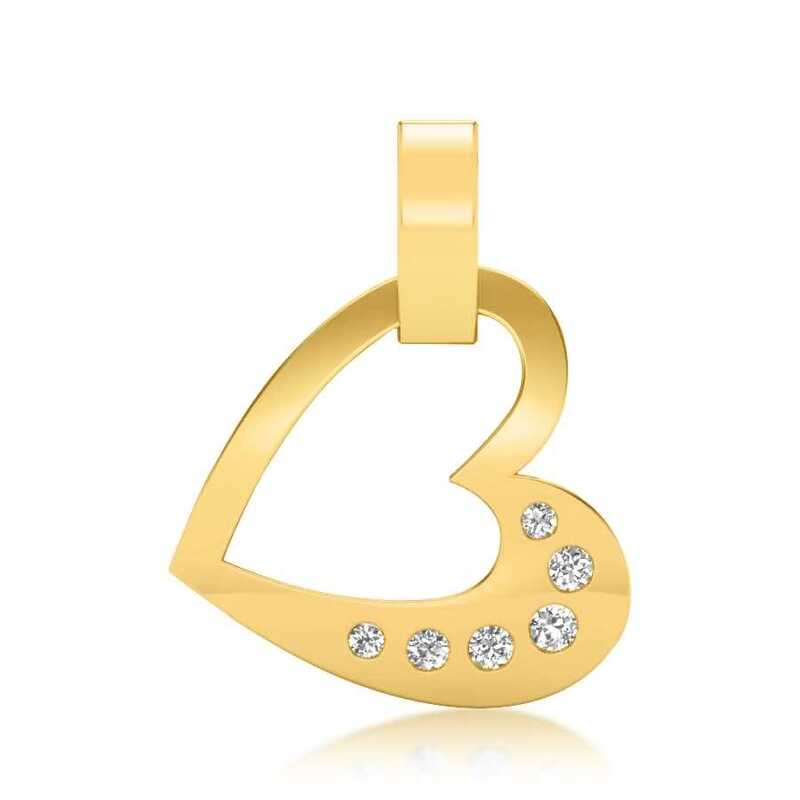 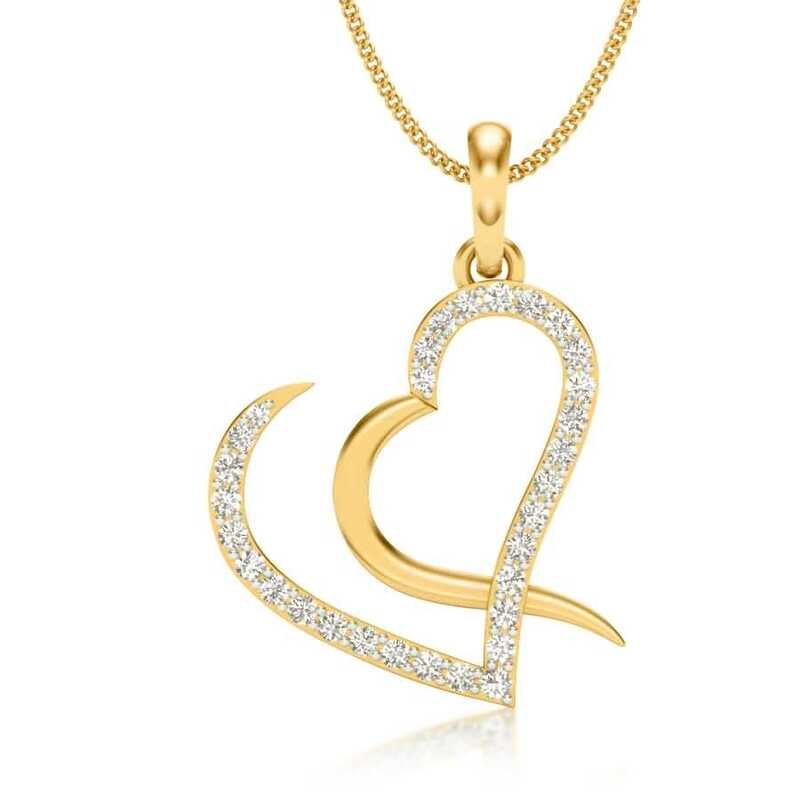 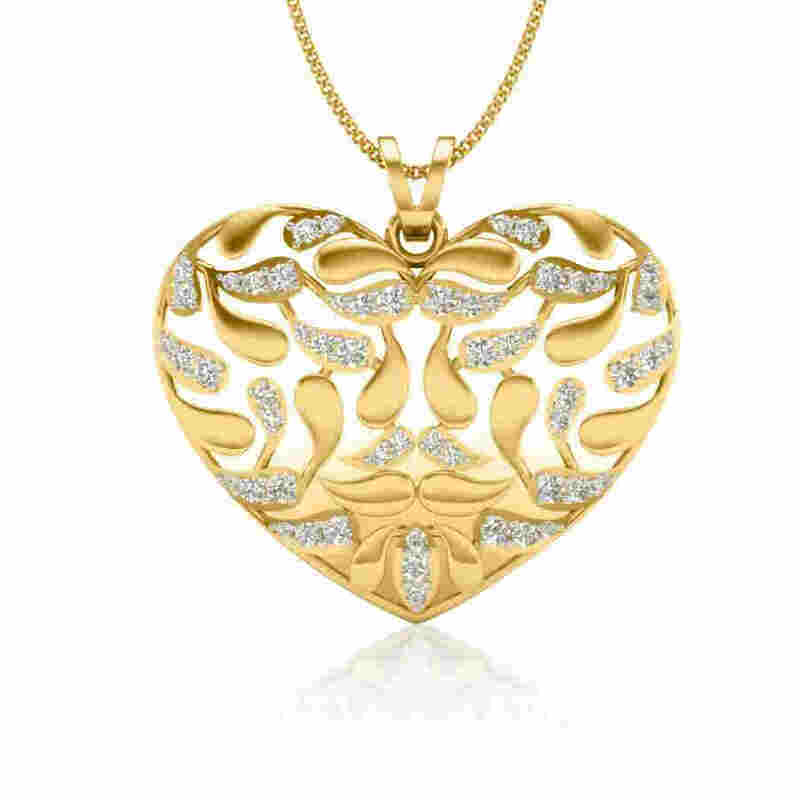 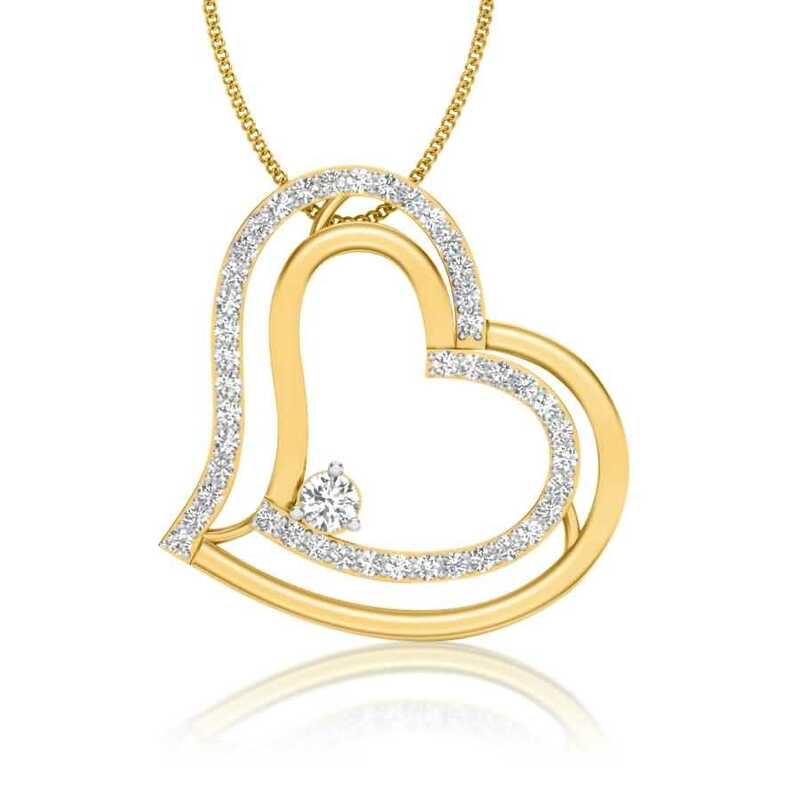 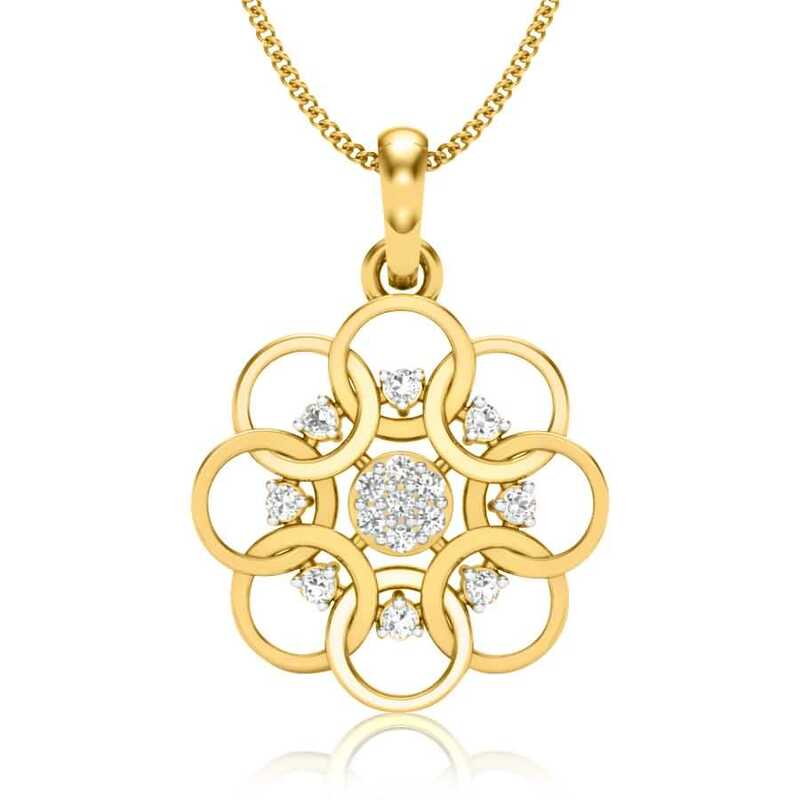 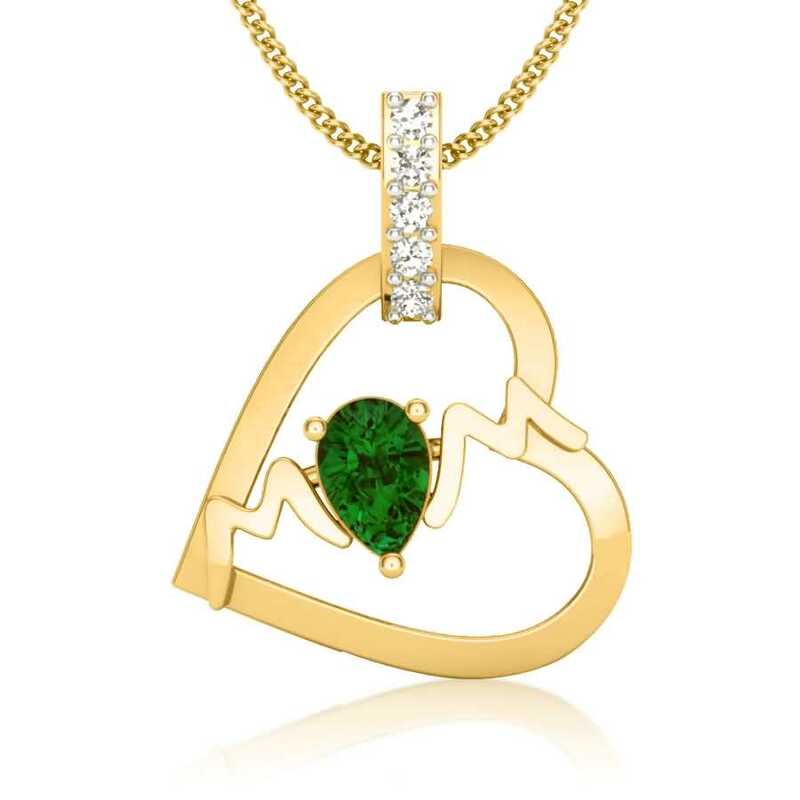 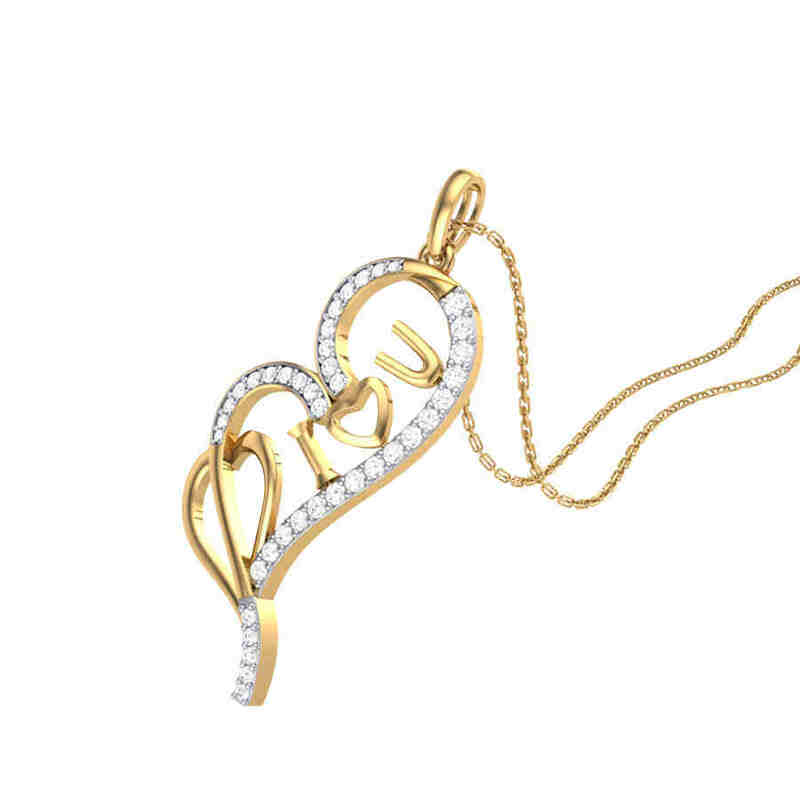 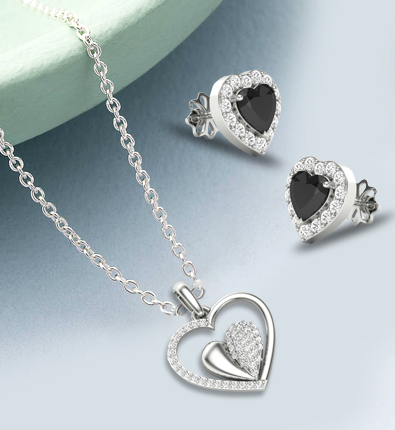 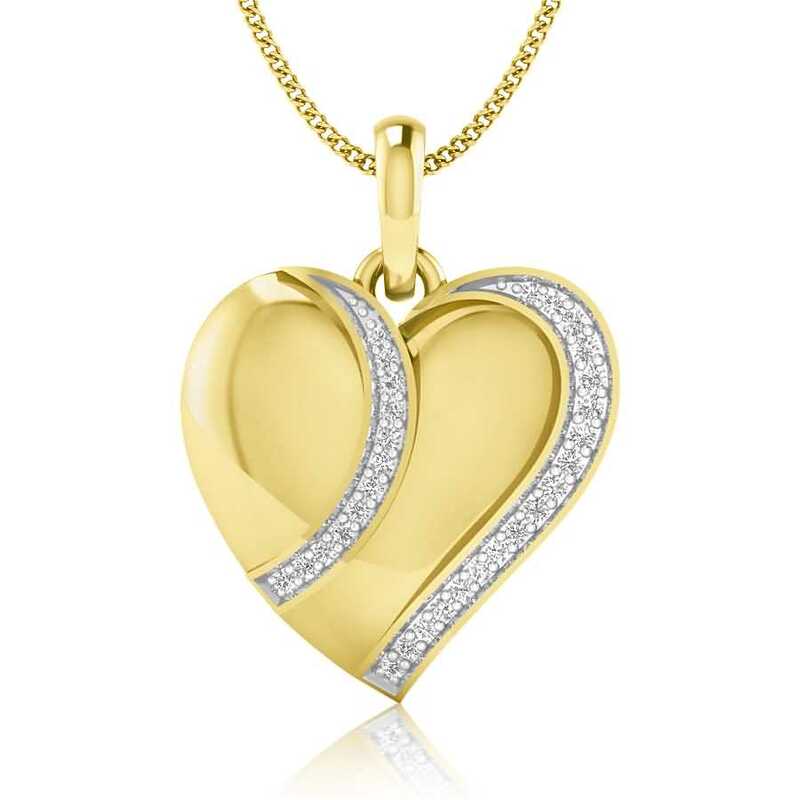 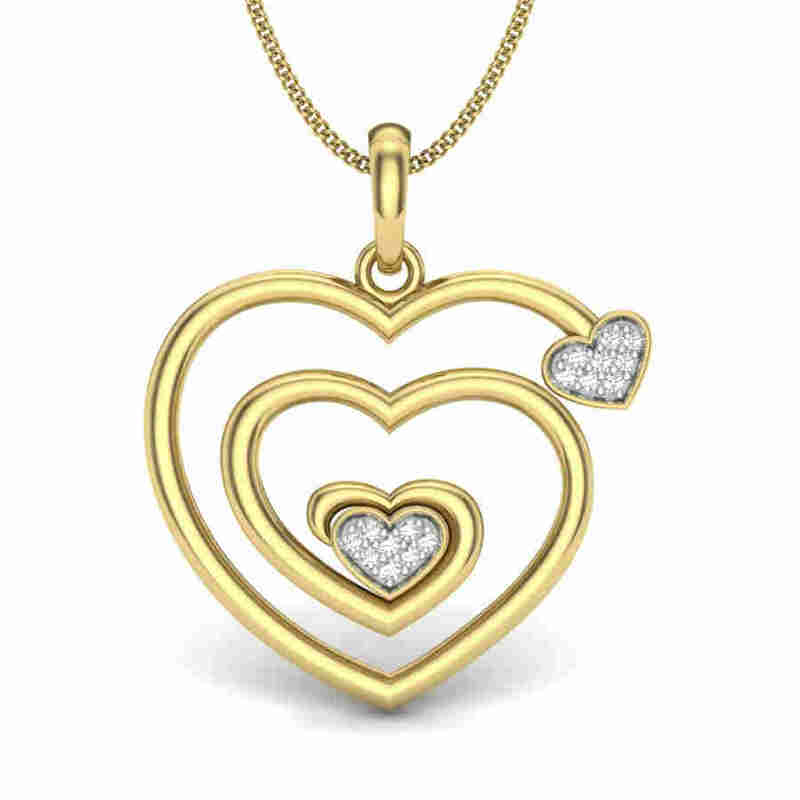 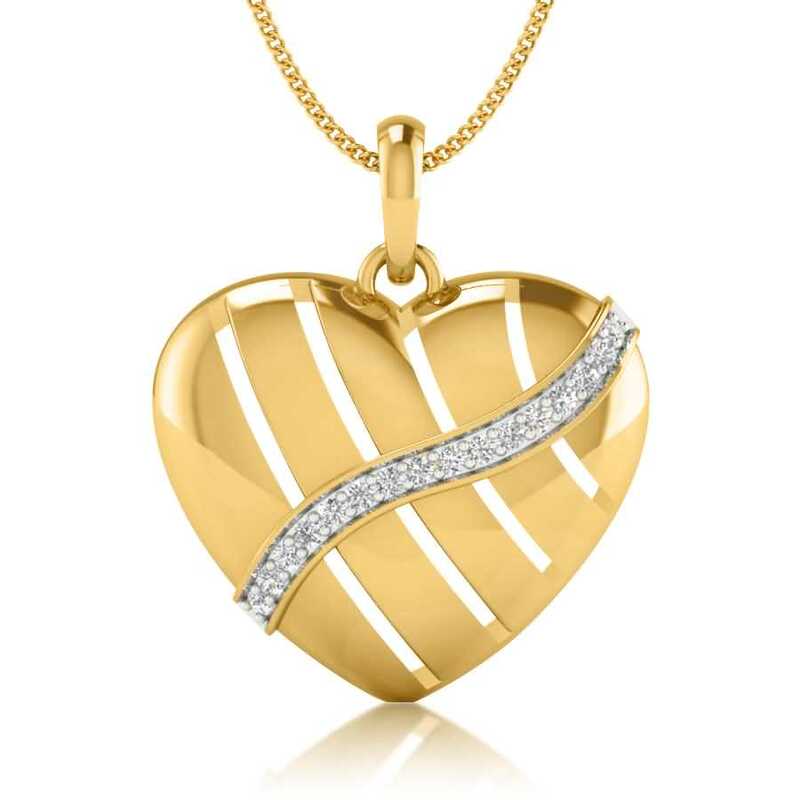 Ladies diamond pendants in elegant heart and geometric shapes look gorgeous with sweetheart and V necklines. 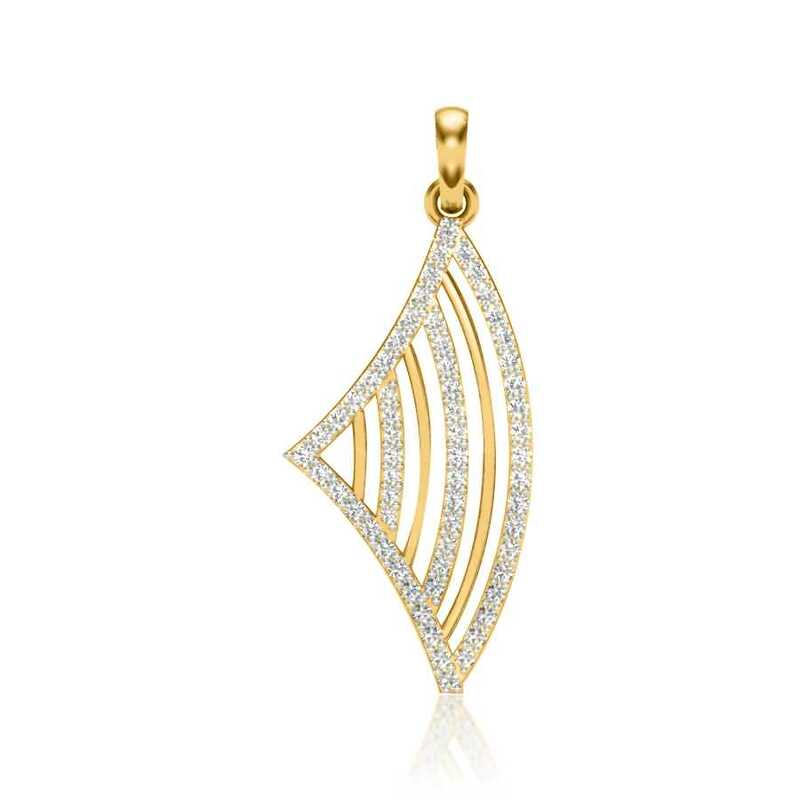 Whereas diamond pendants in drop shapes partner wonderfully with scoop neckline as well as off-shoulder numbers. 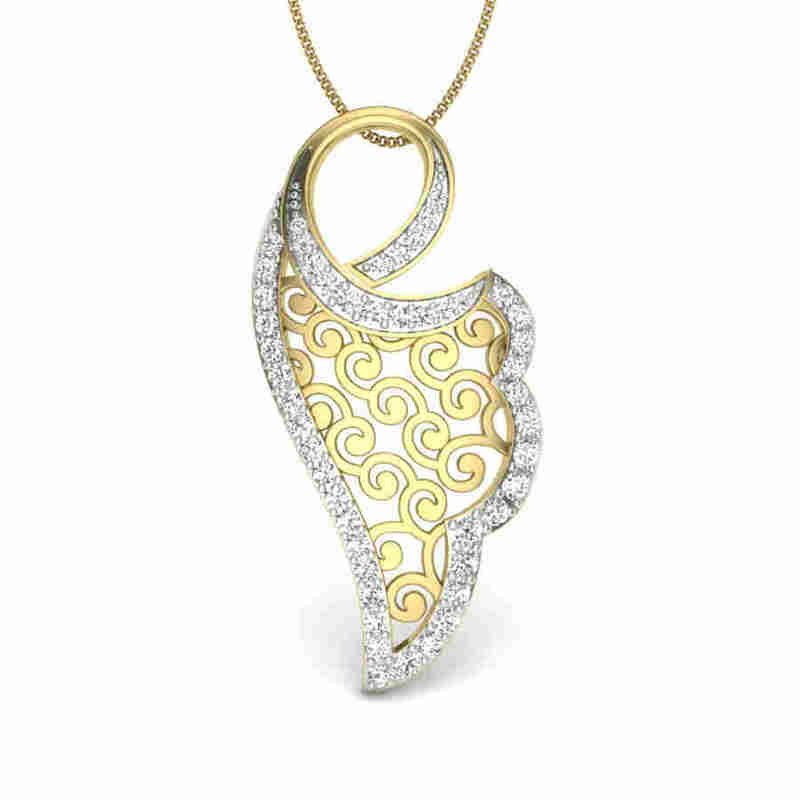 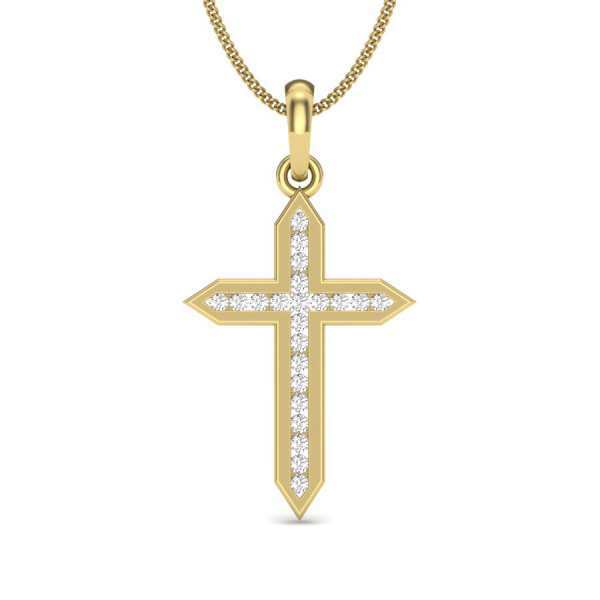 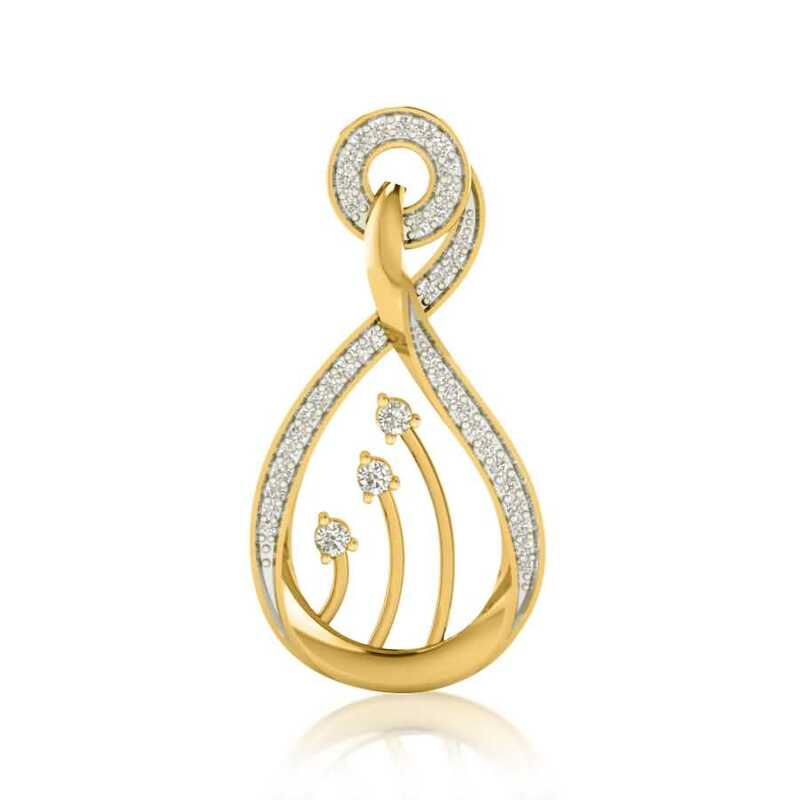 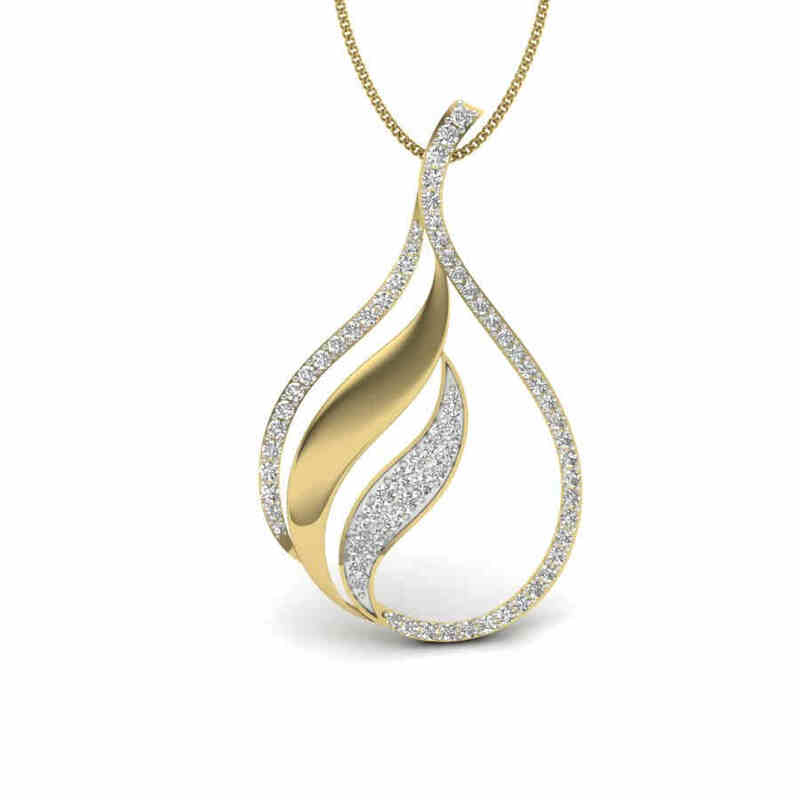 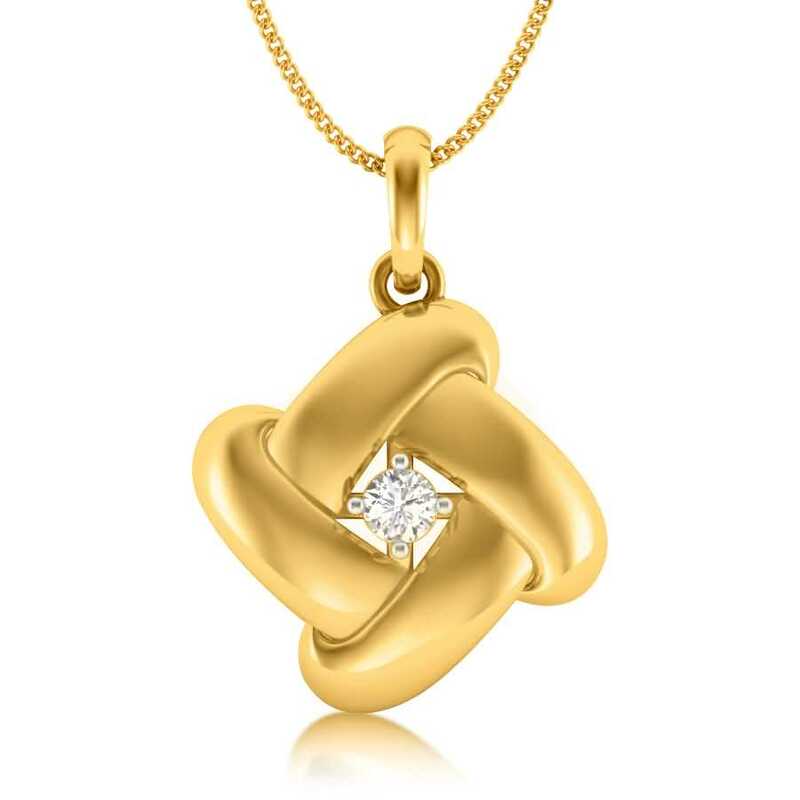 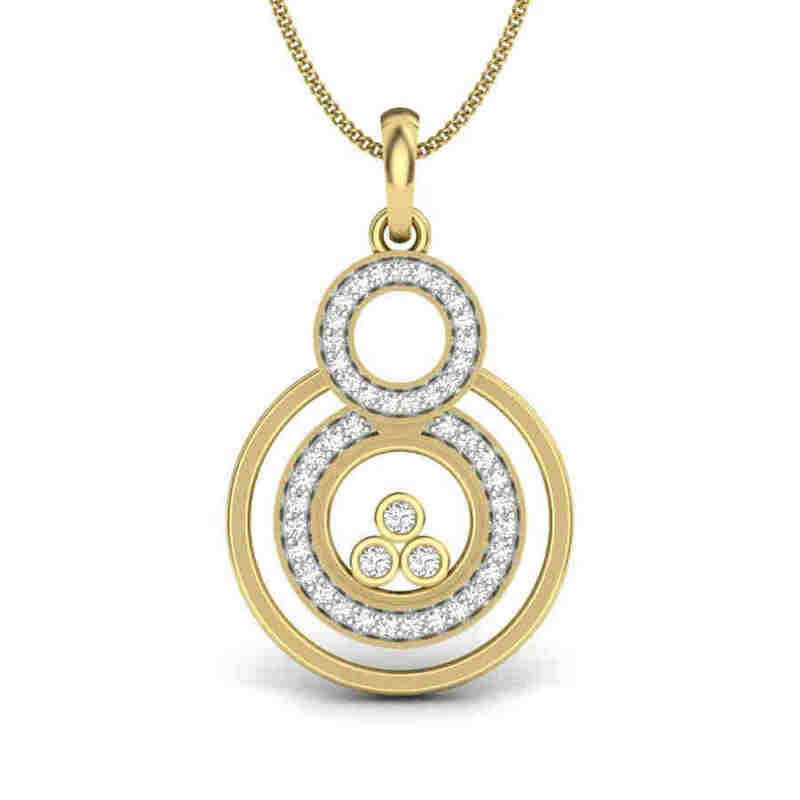 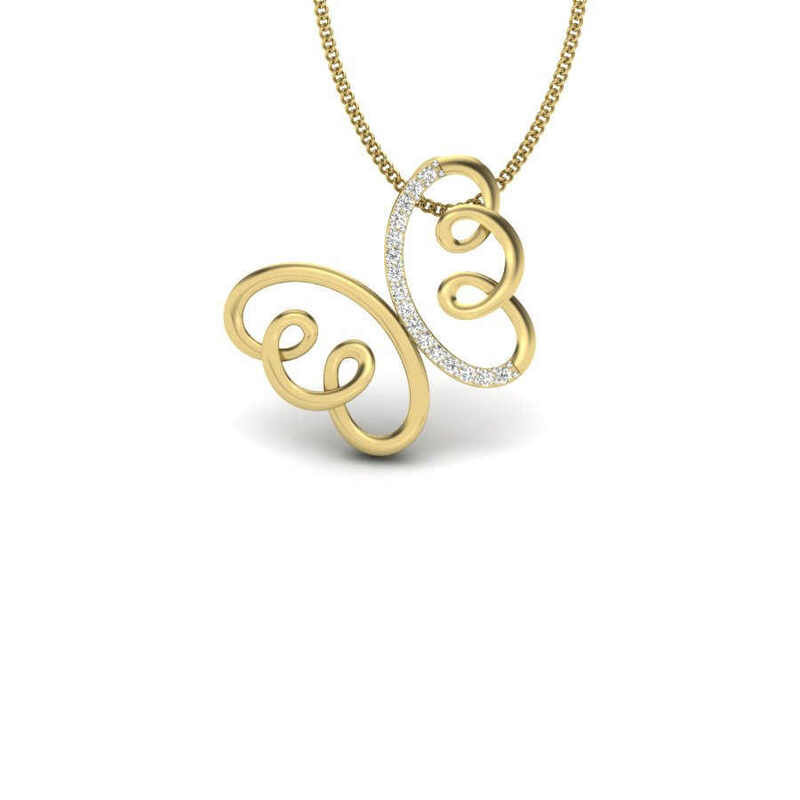 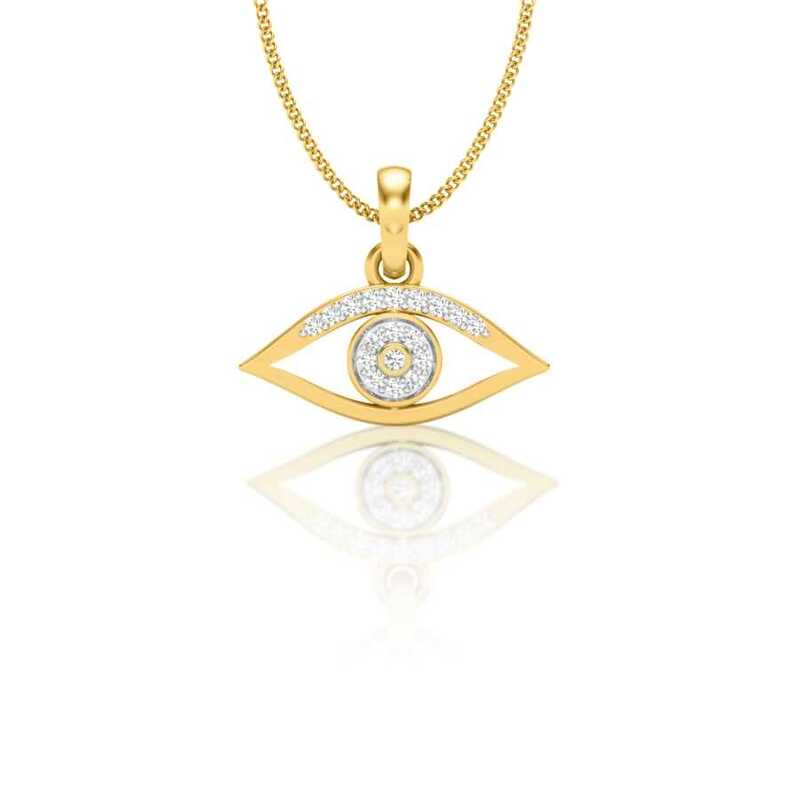 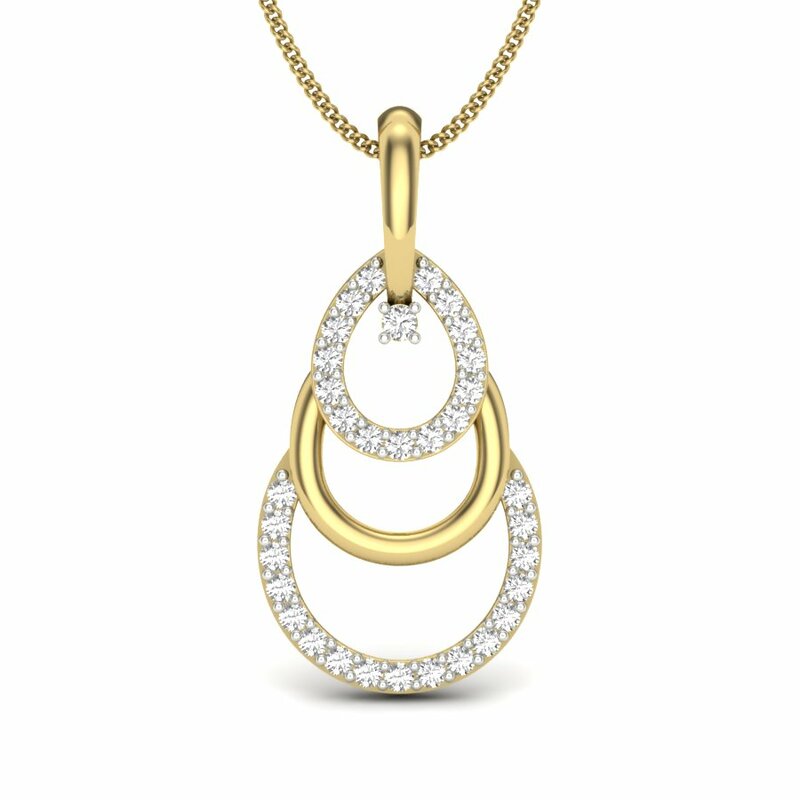 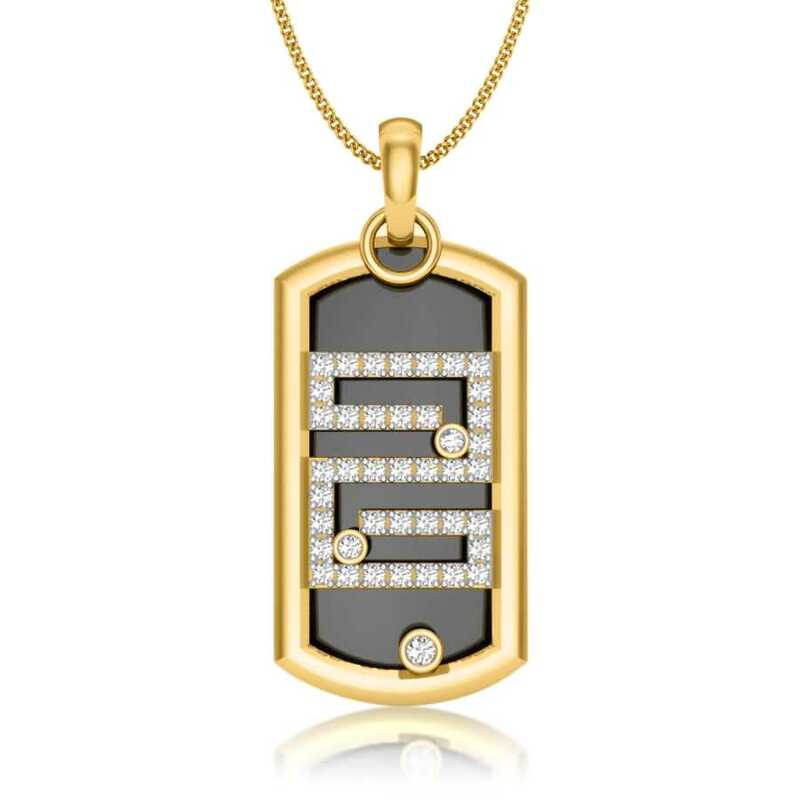 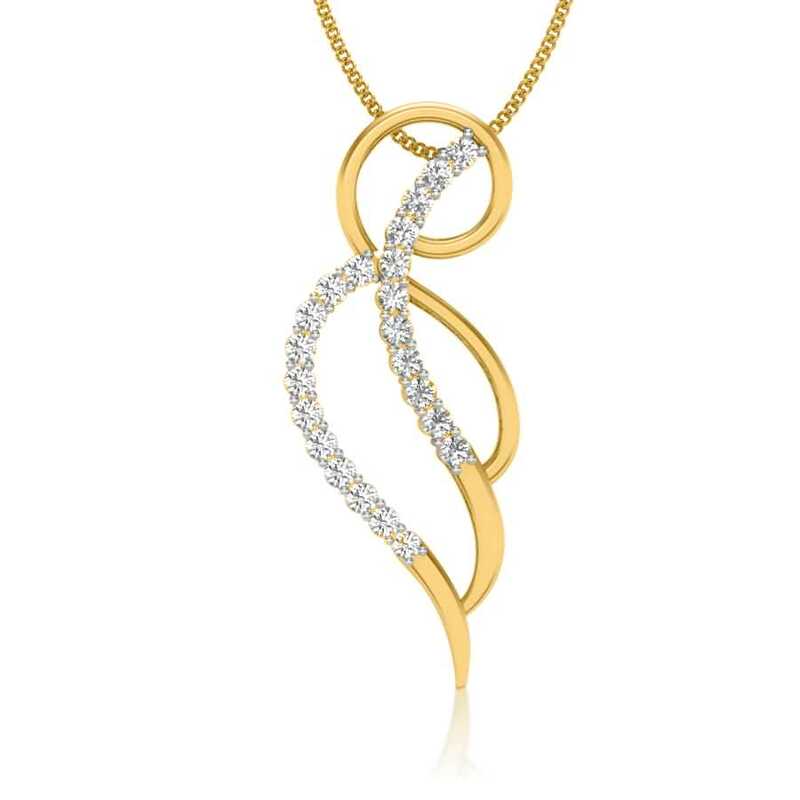 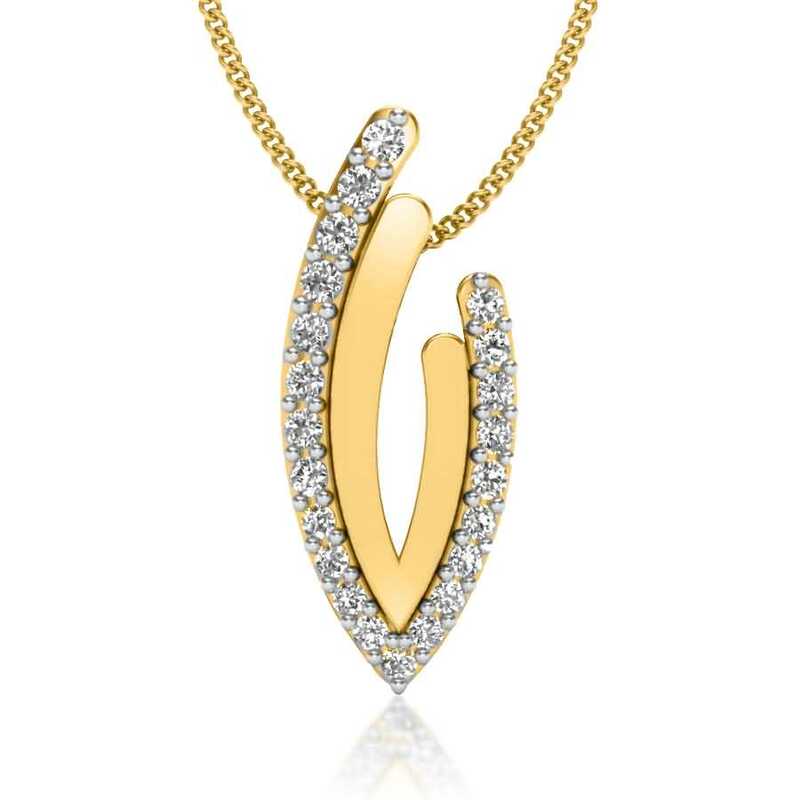 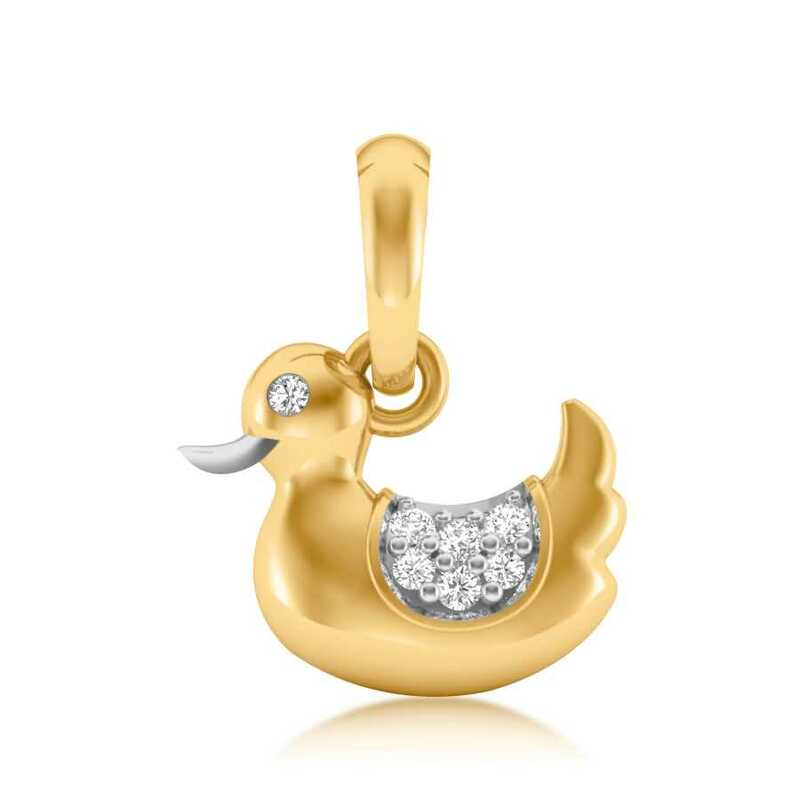 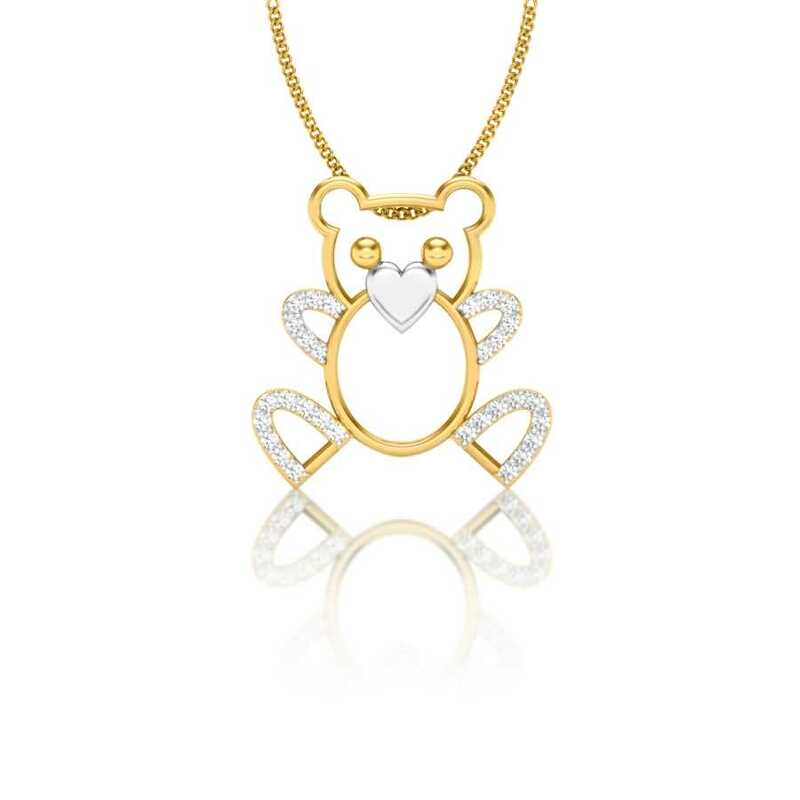 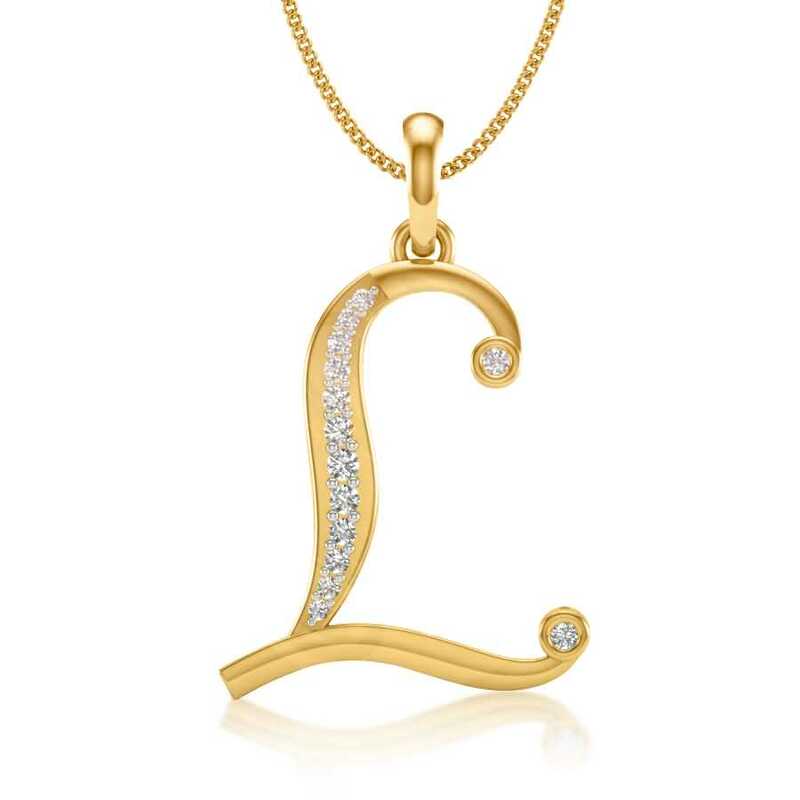 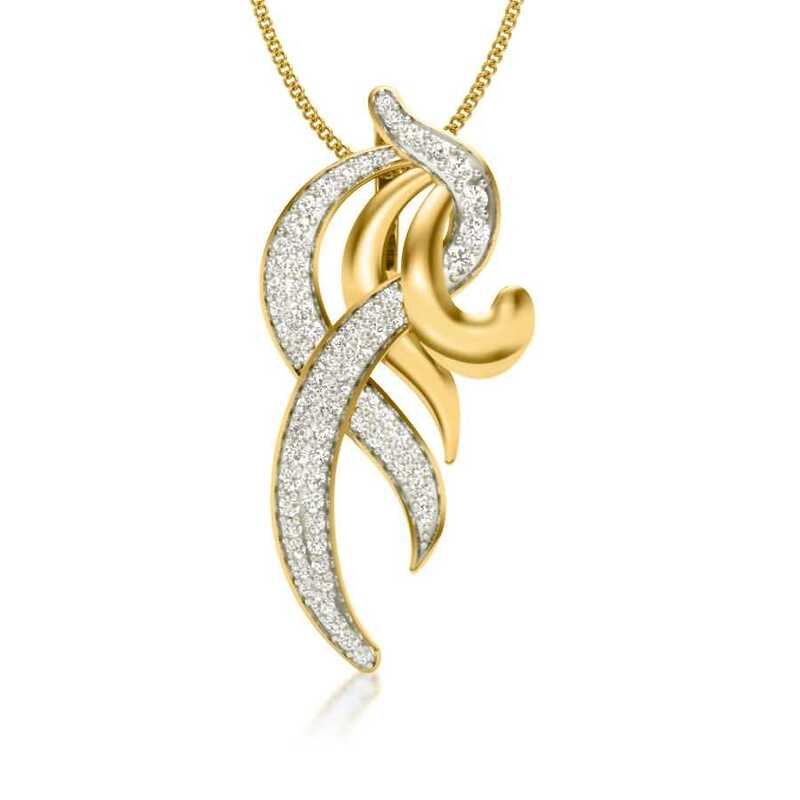 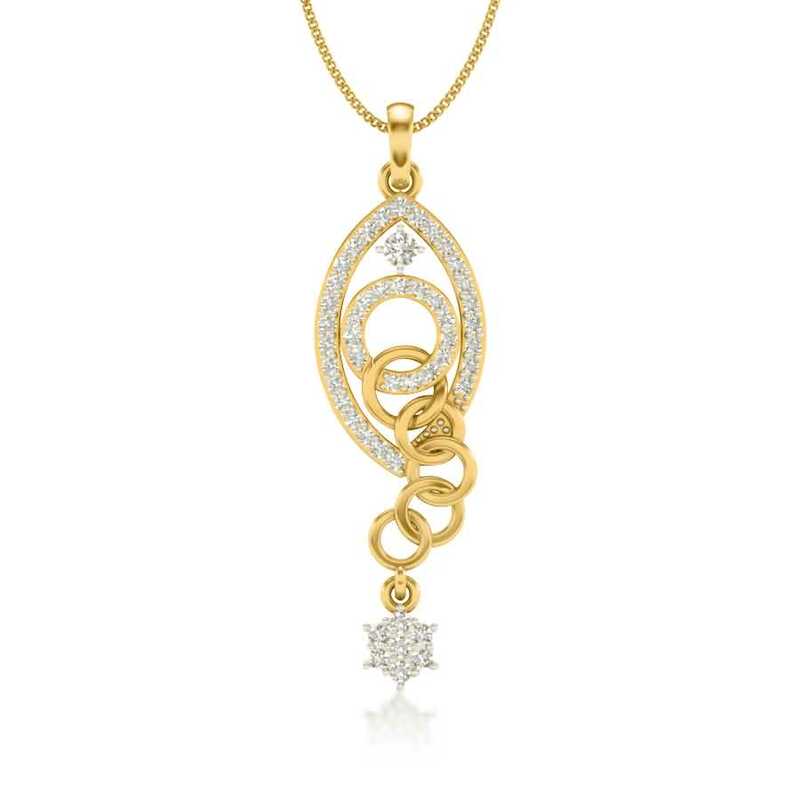 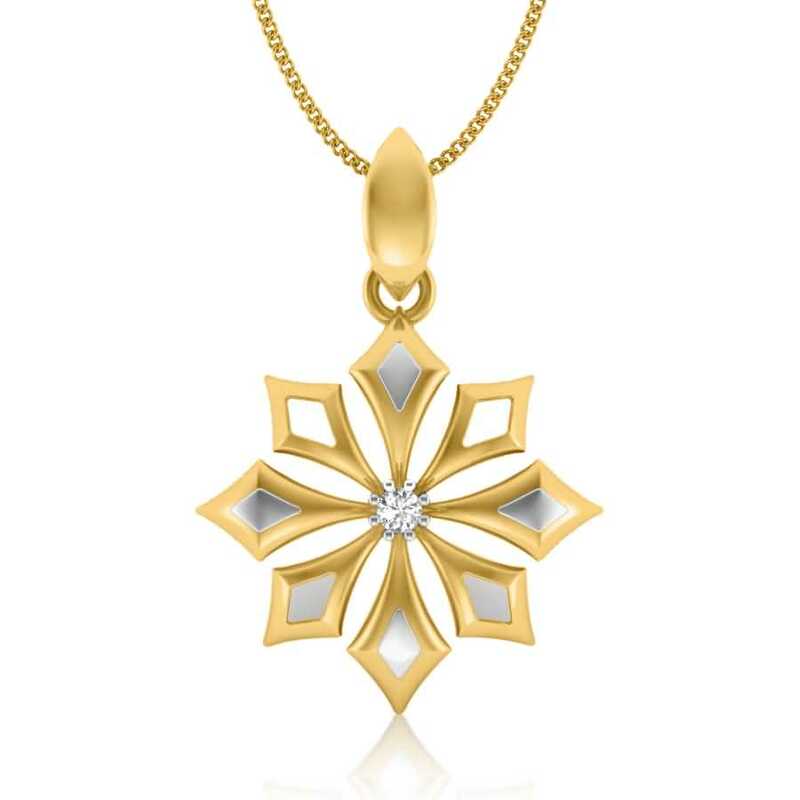 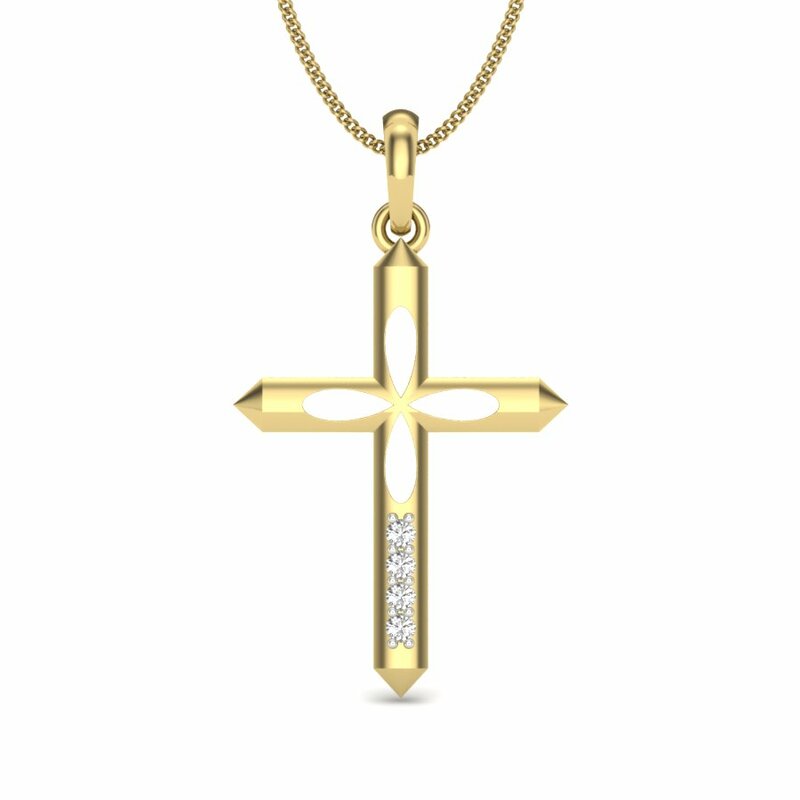 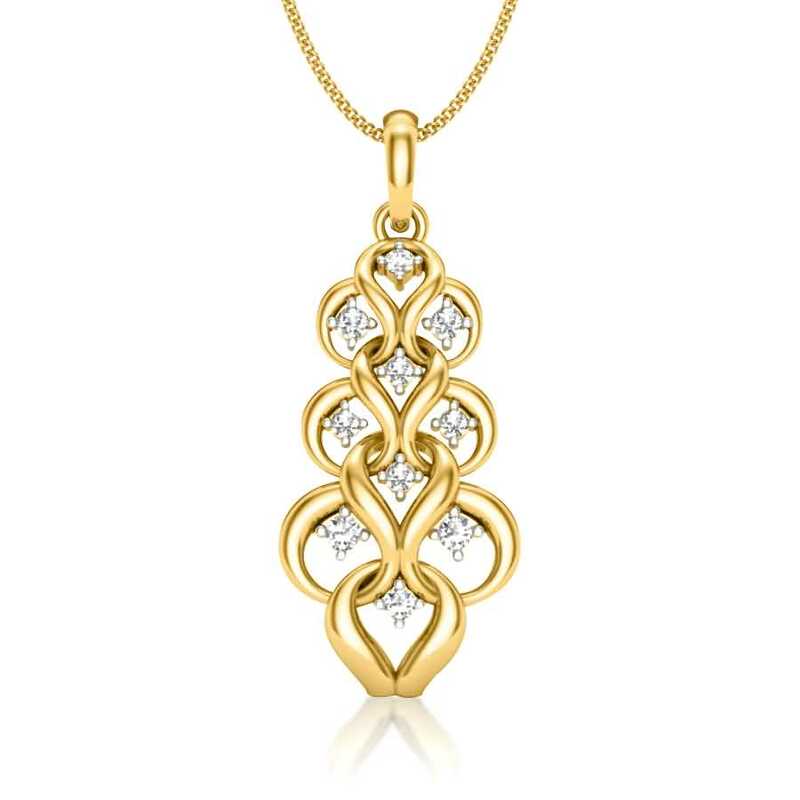 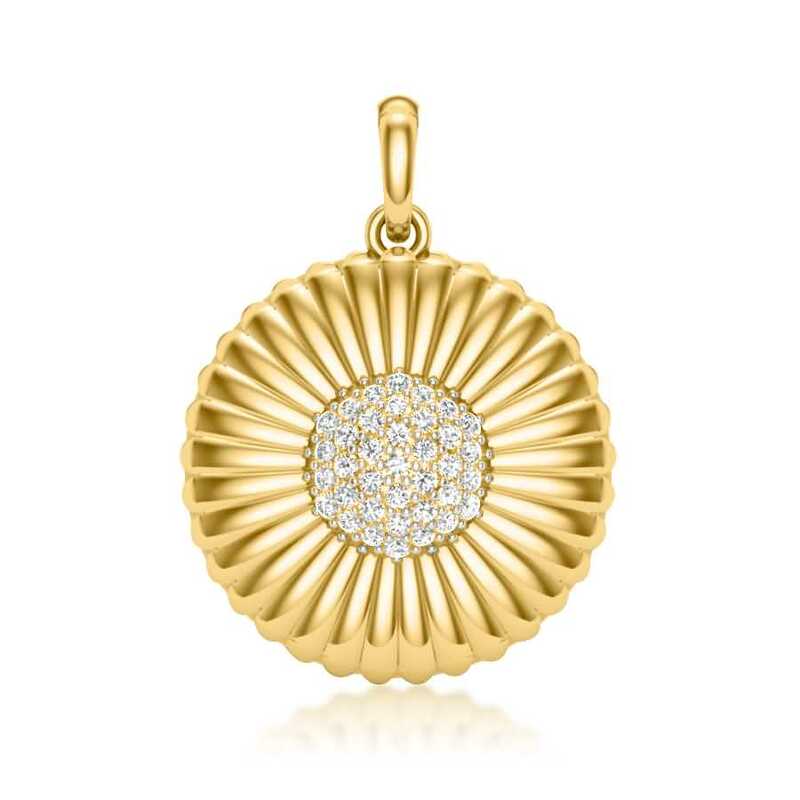 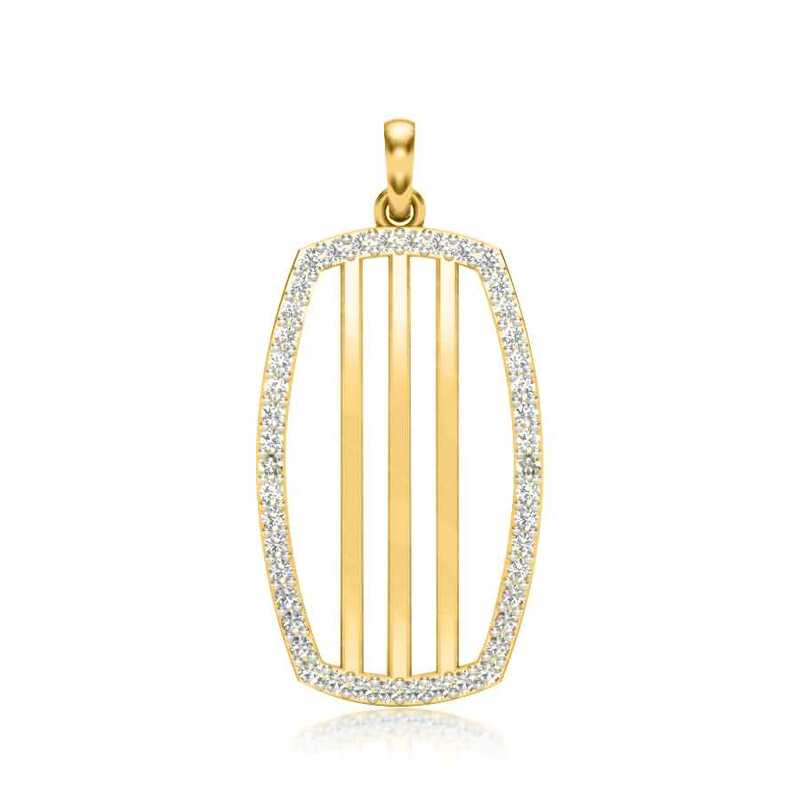 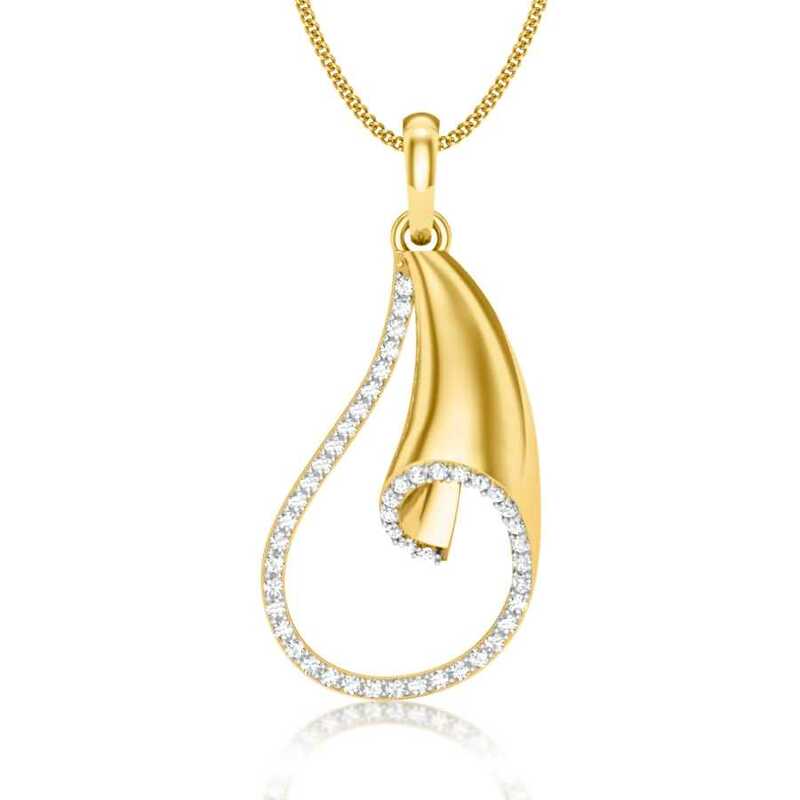 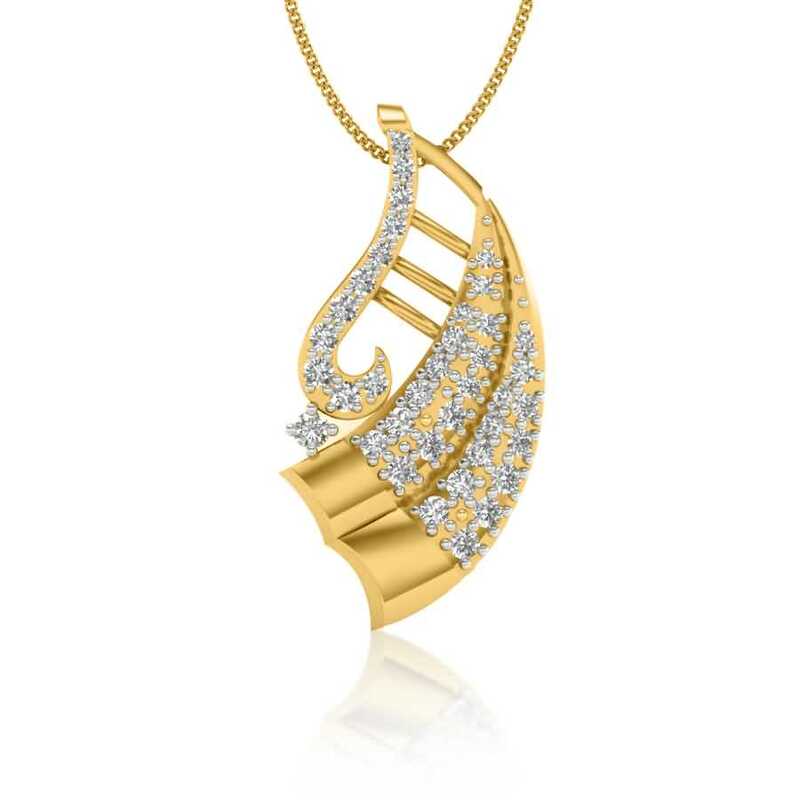 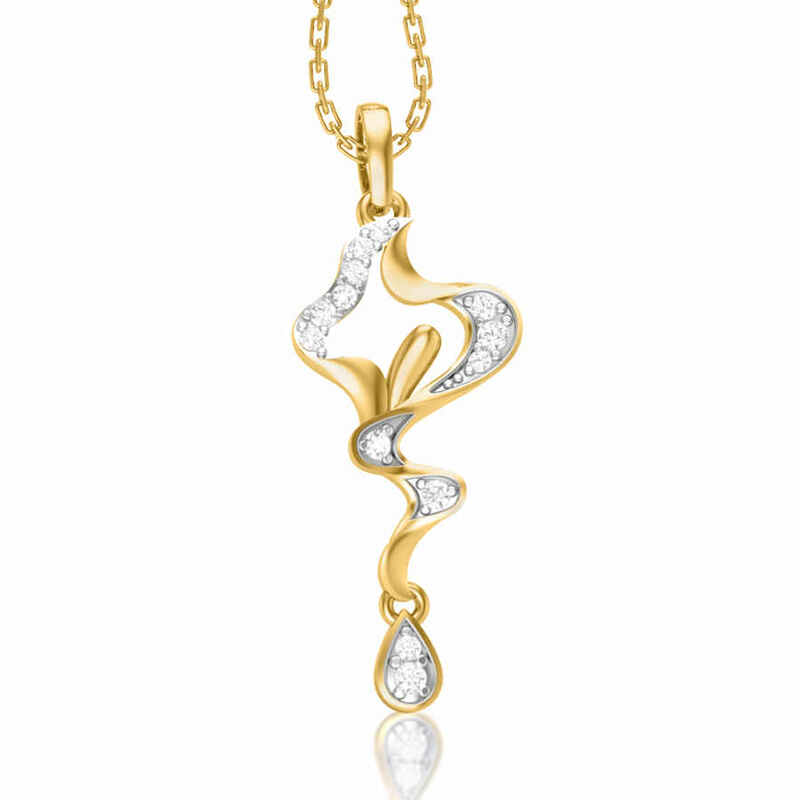 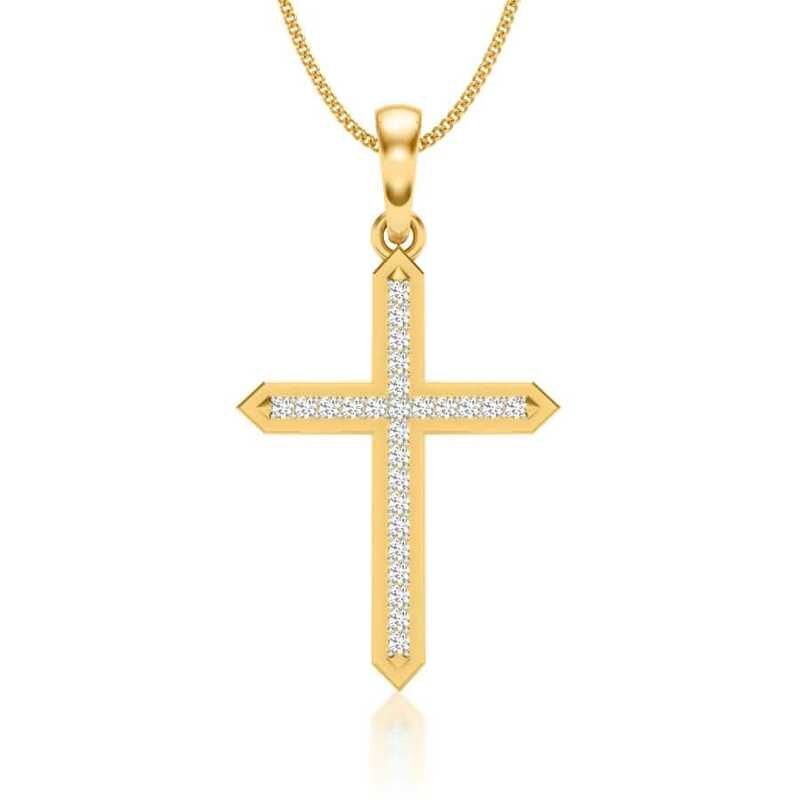 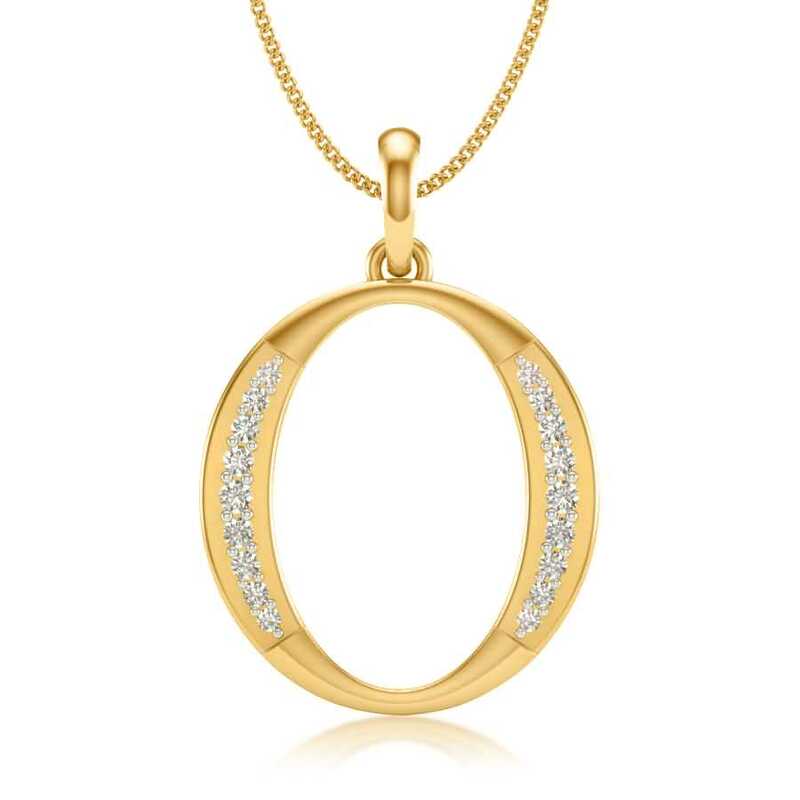 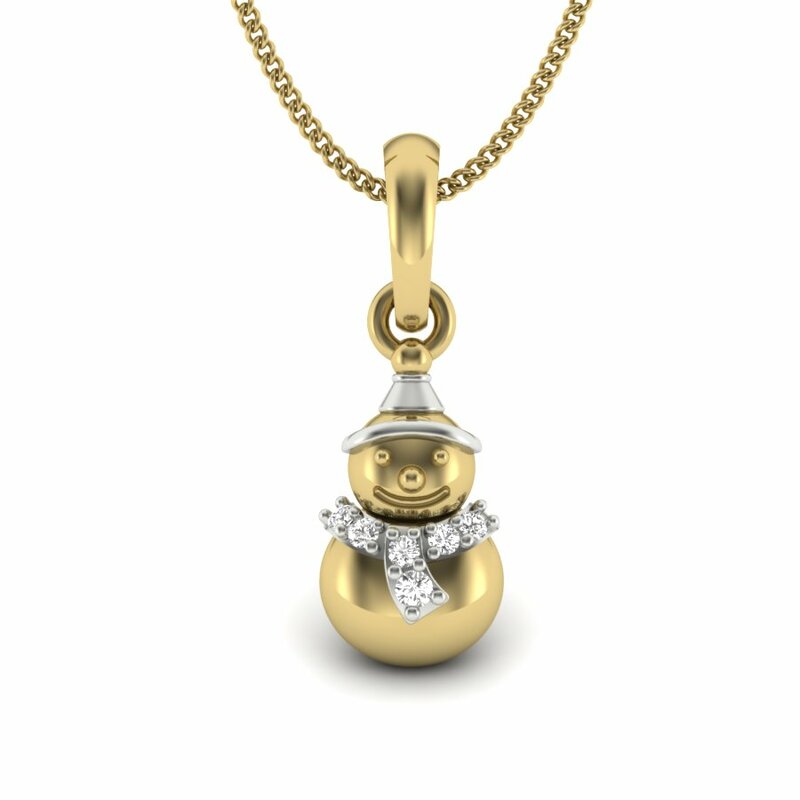 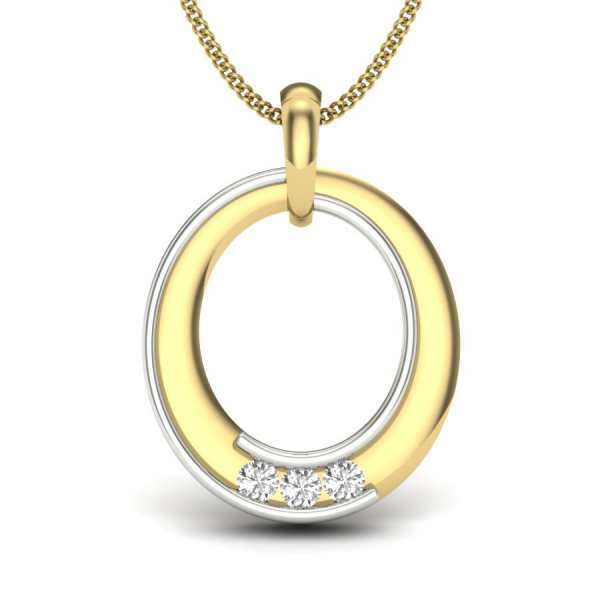 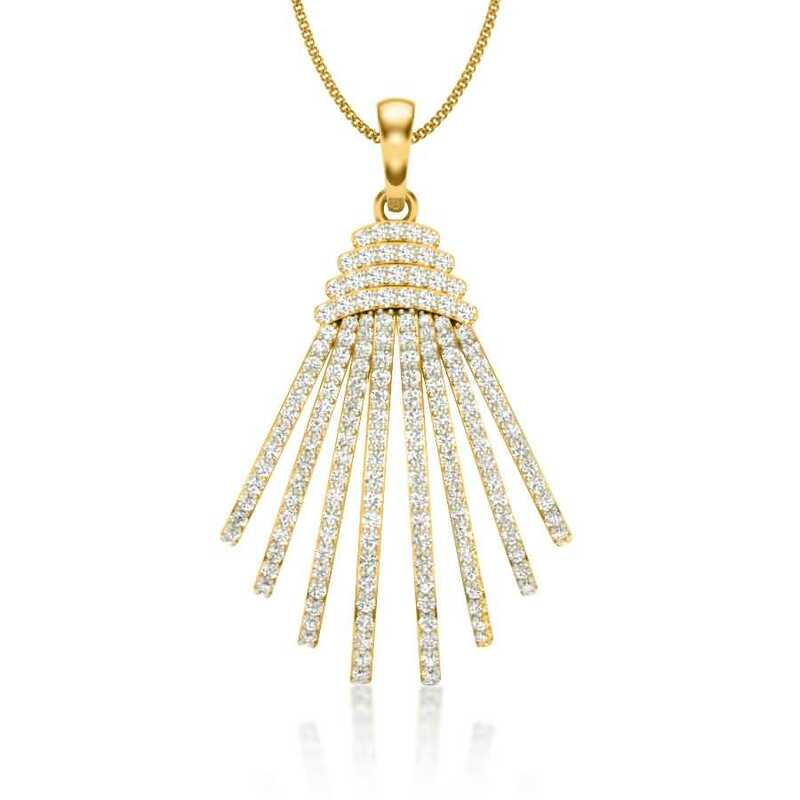 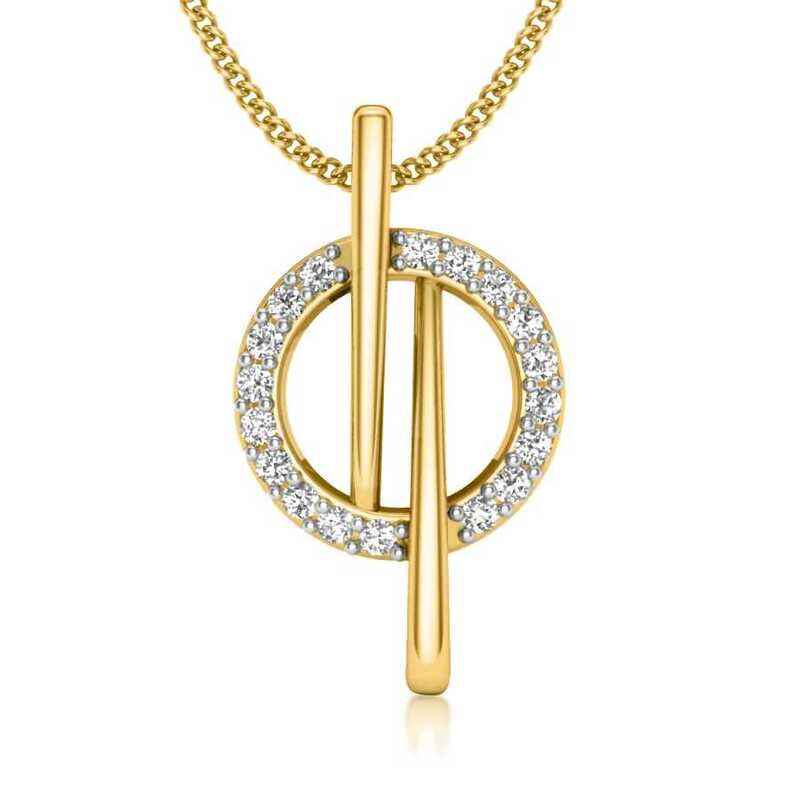 A diamond pendant works as a standalone piece, having that said that - to give it an elegantly layered effect, it can also be paired with other small gold pendants especially the coin ones to turn your outfit into something more special. 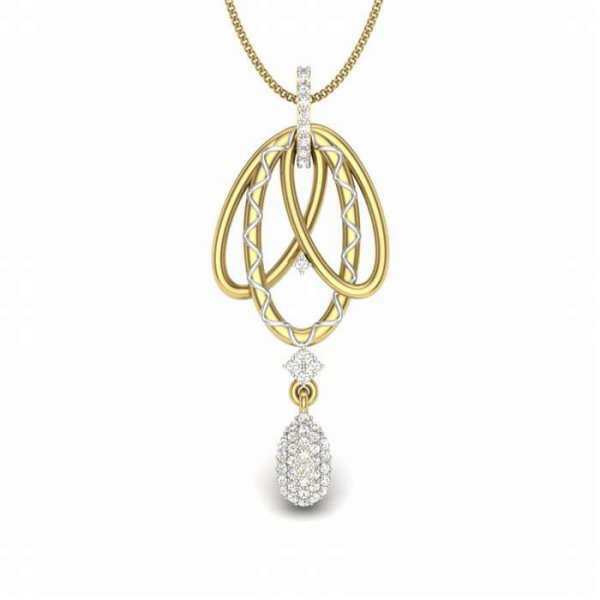 Pretty diamond pendants hung from platinum ooze sophistication and elan. 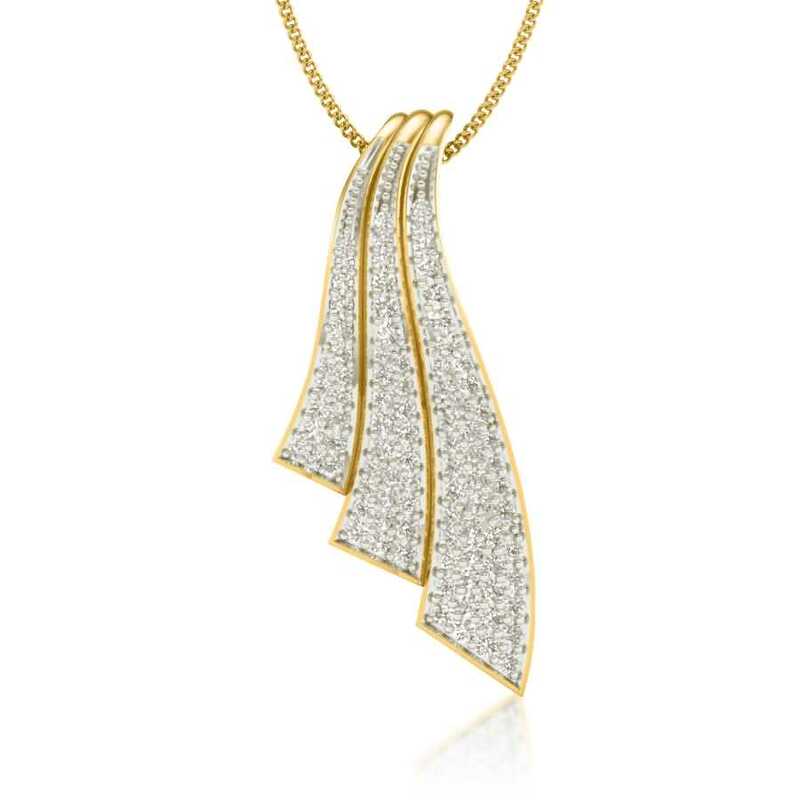 Diamond pendants in small and subtle designs complement office wear, especially crisp white Oxford shirts. 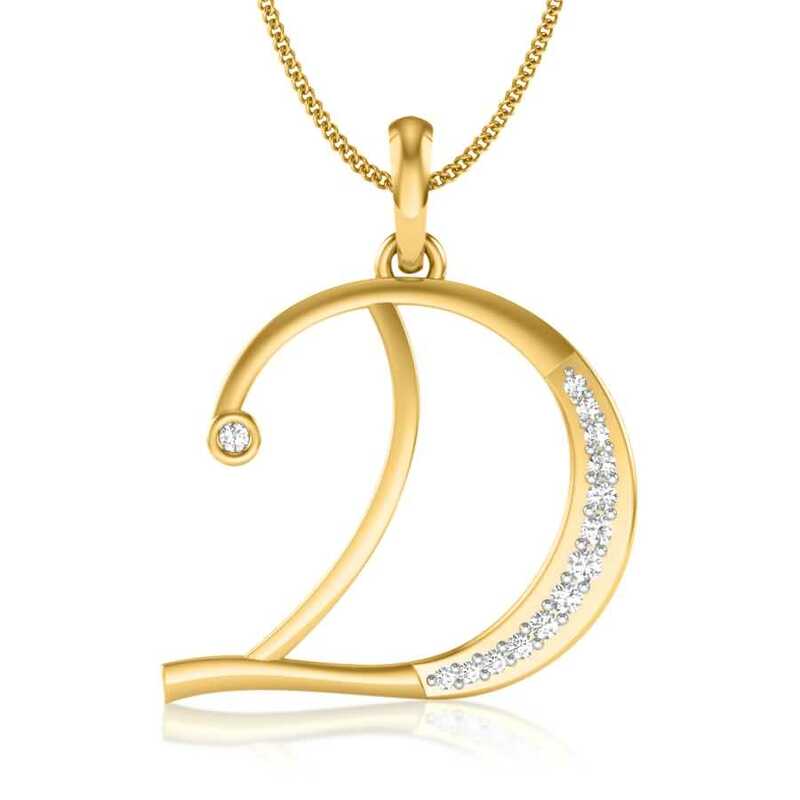 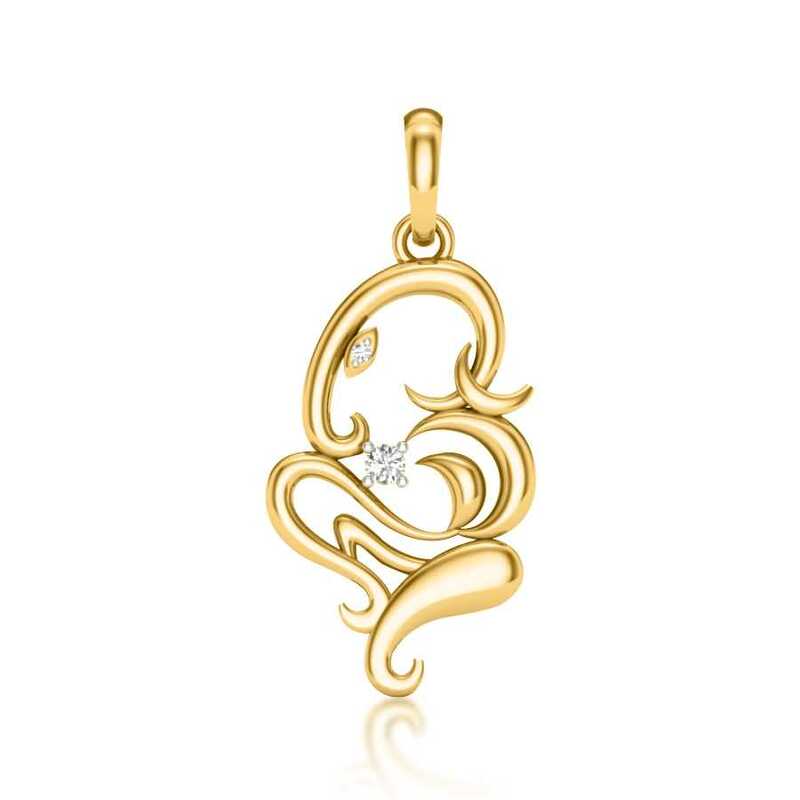 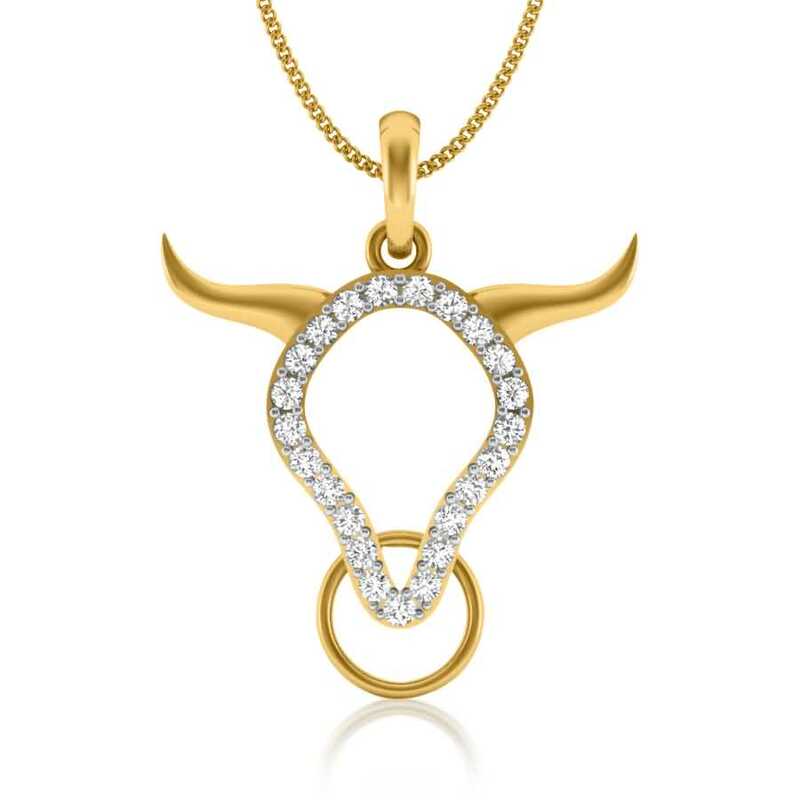 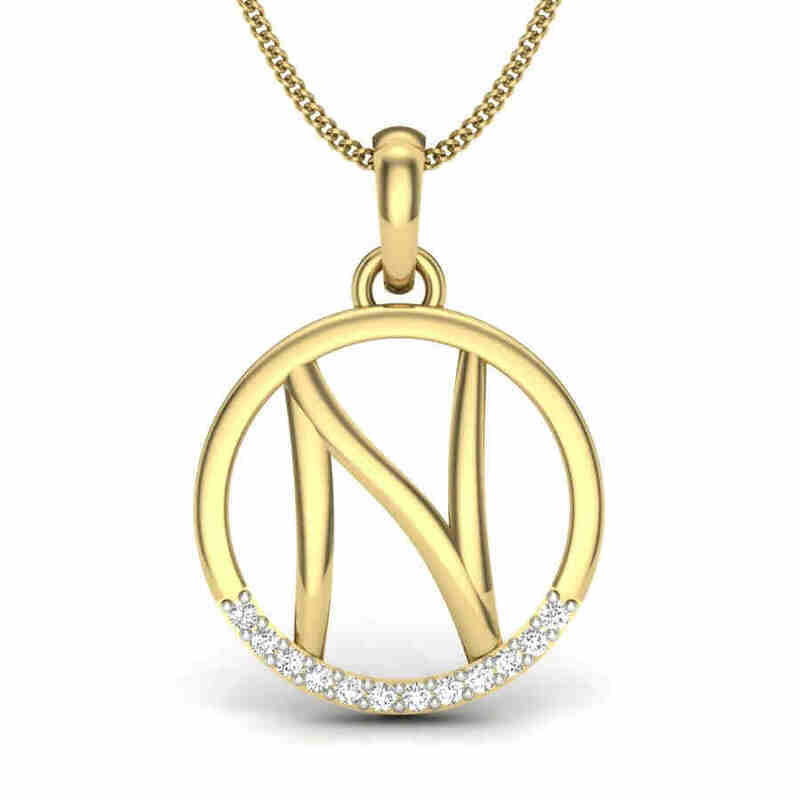 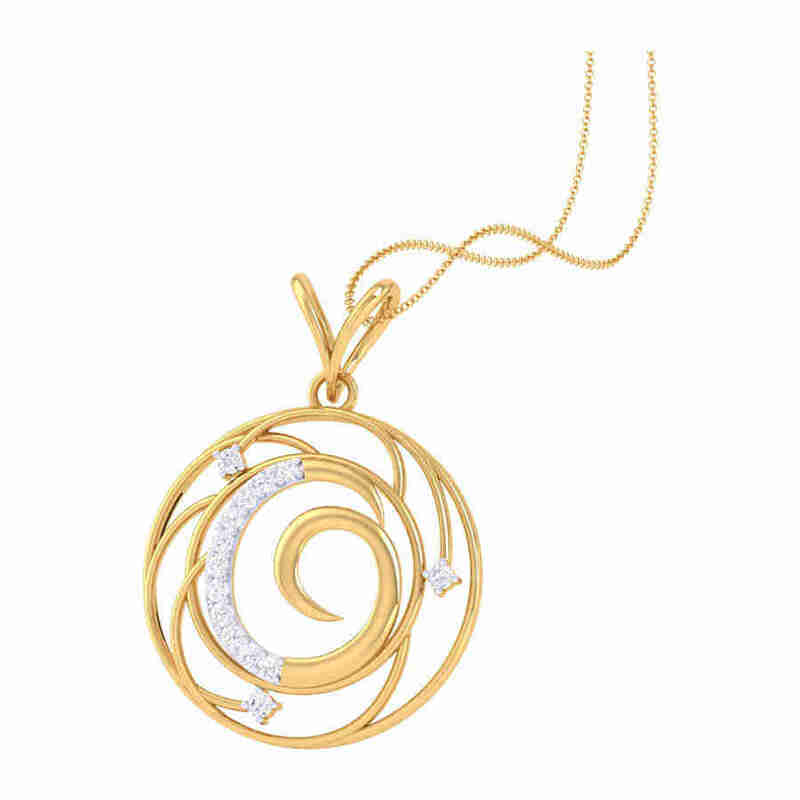 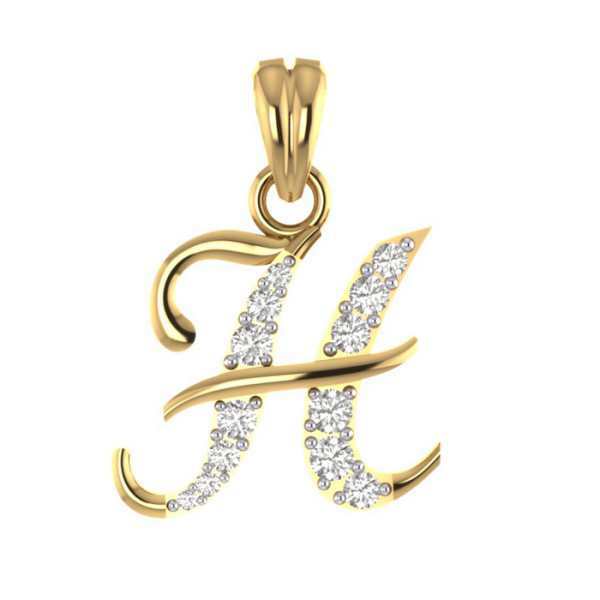 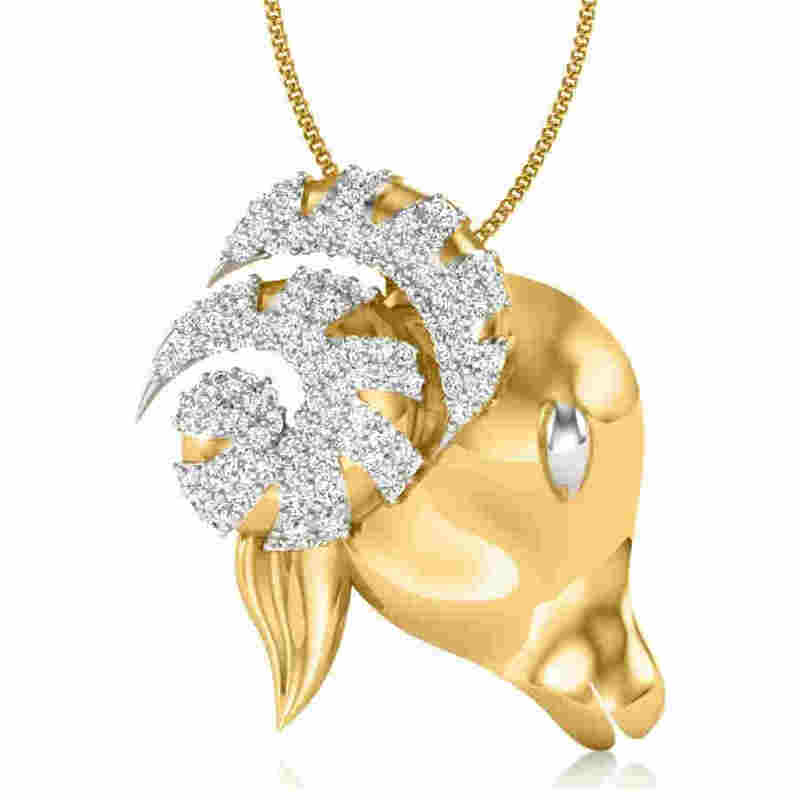 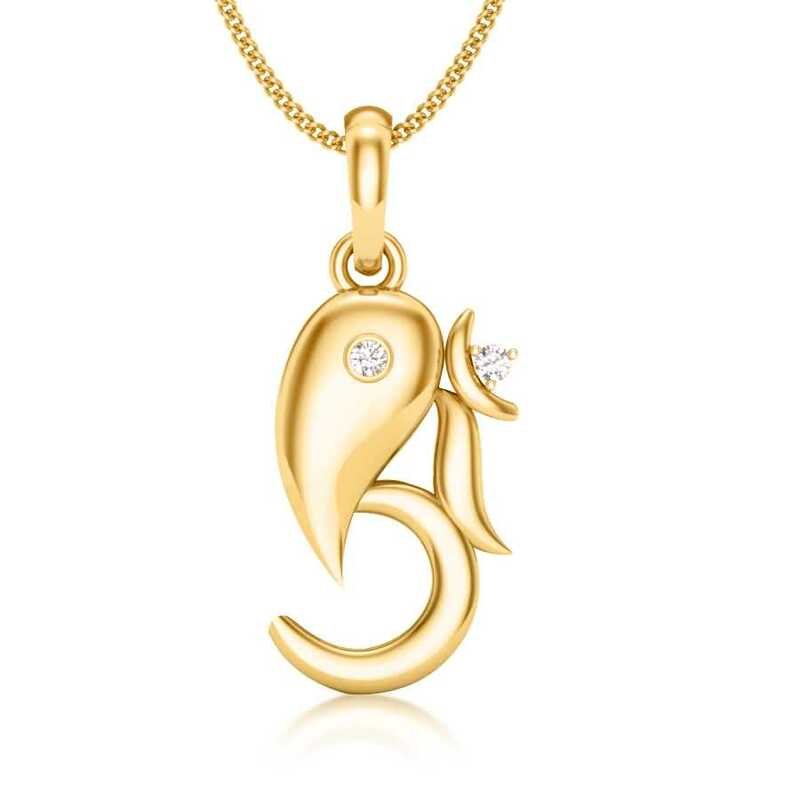 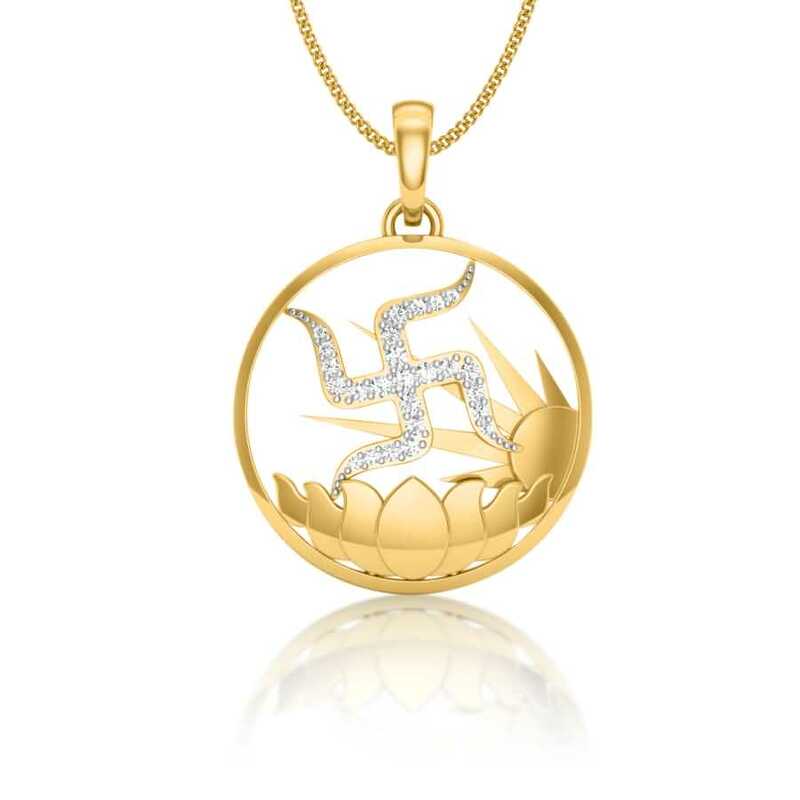 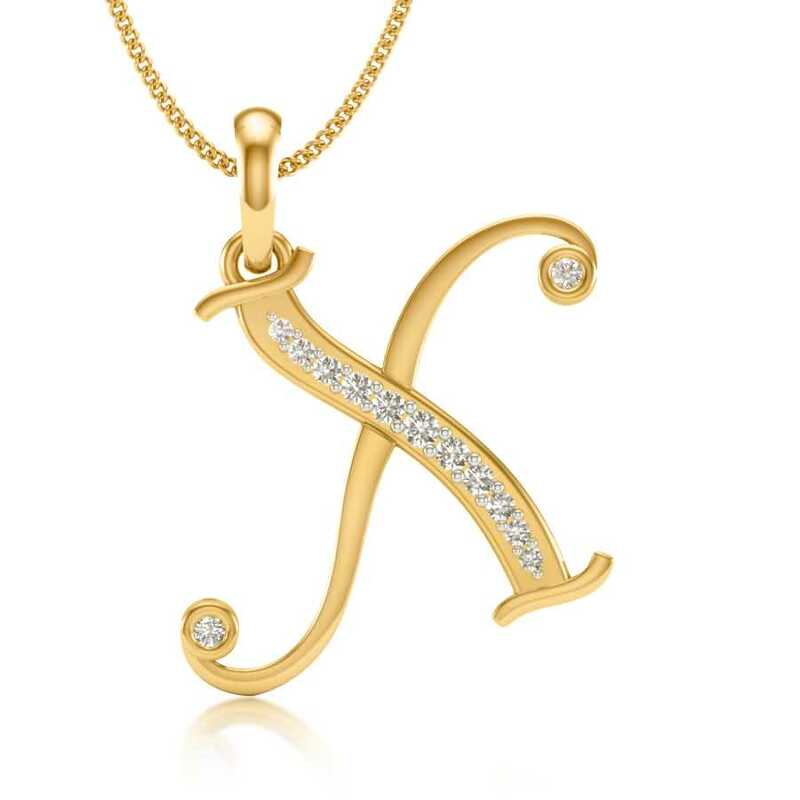 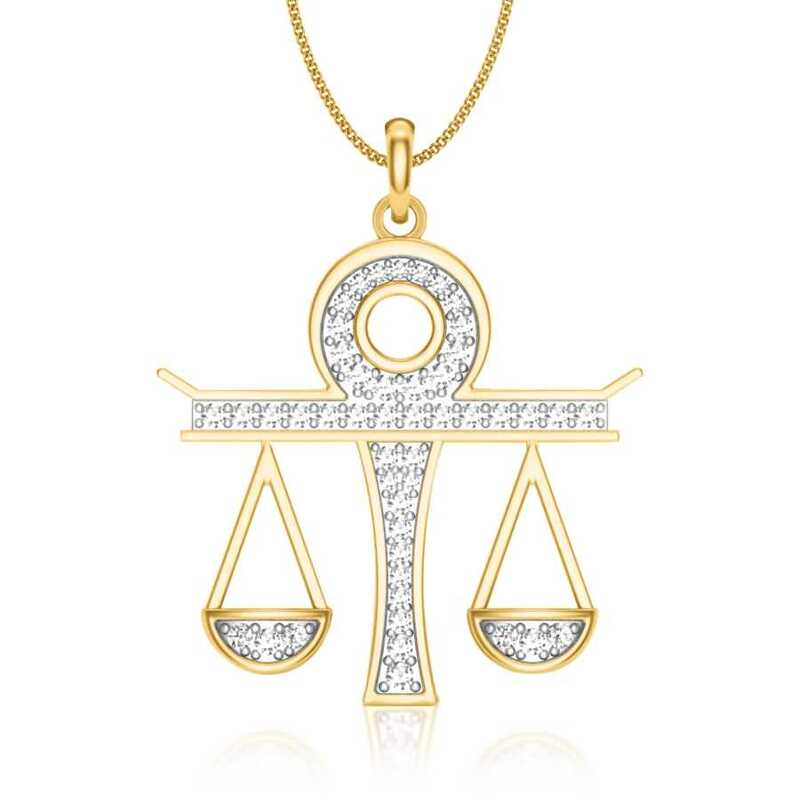 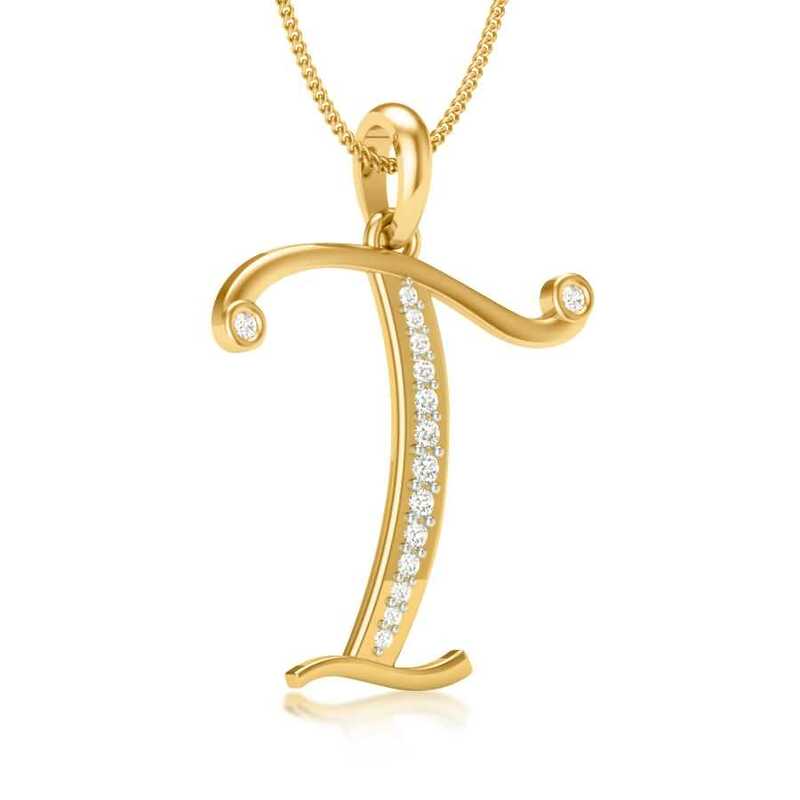 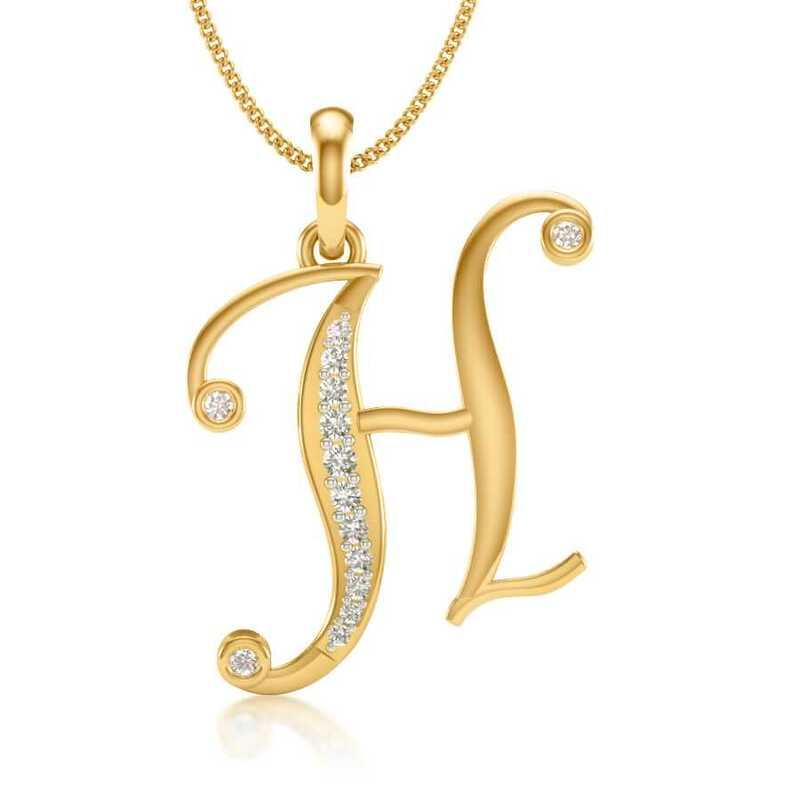 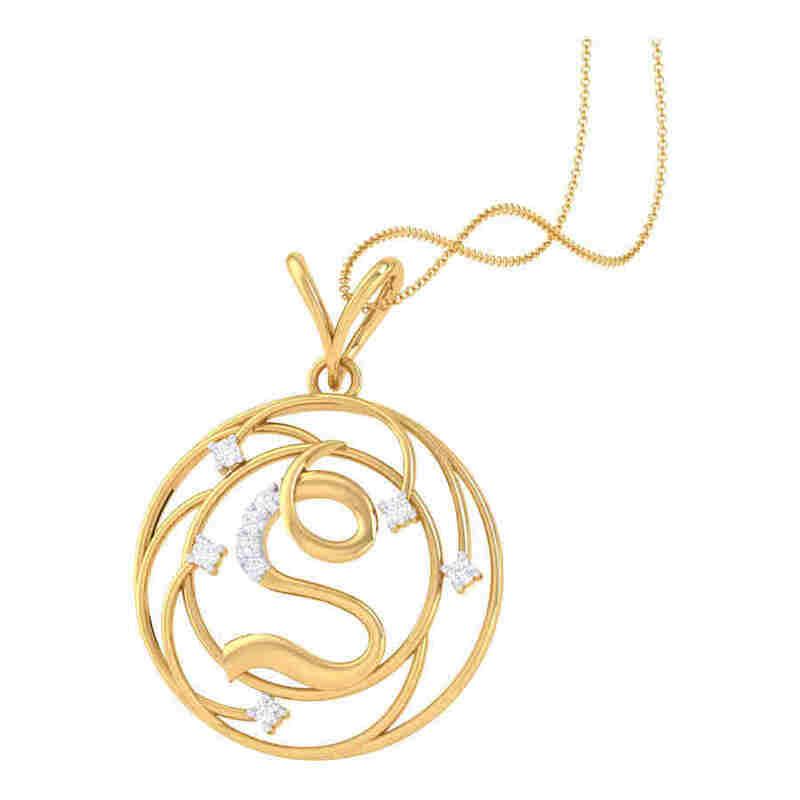 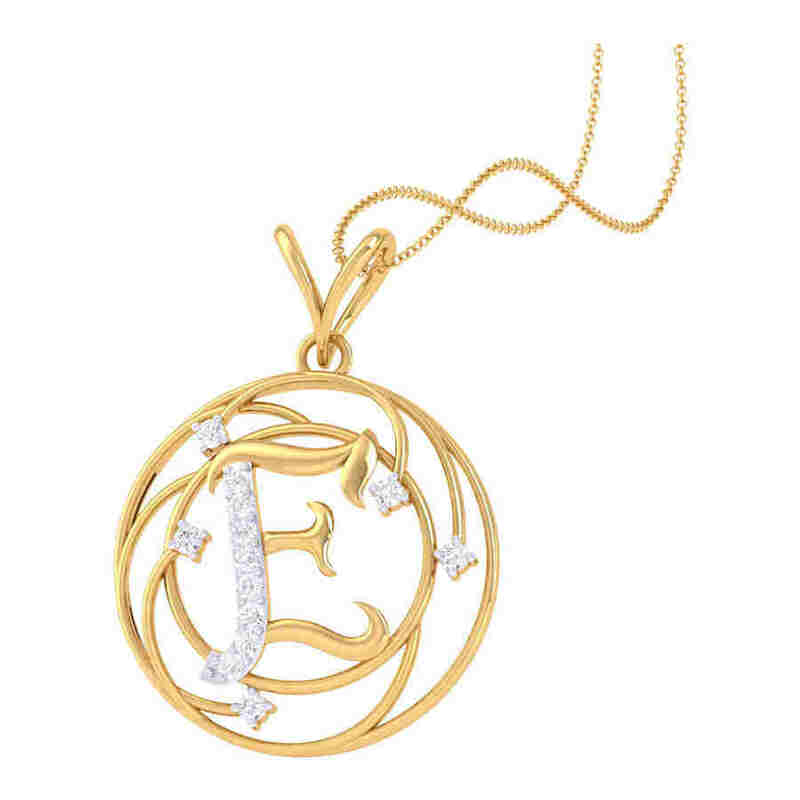 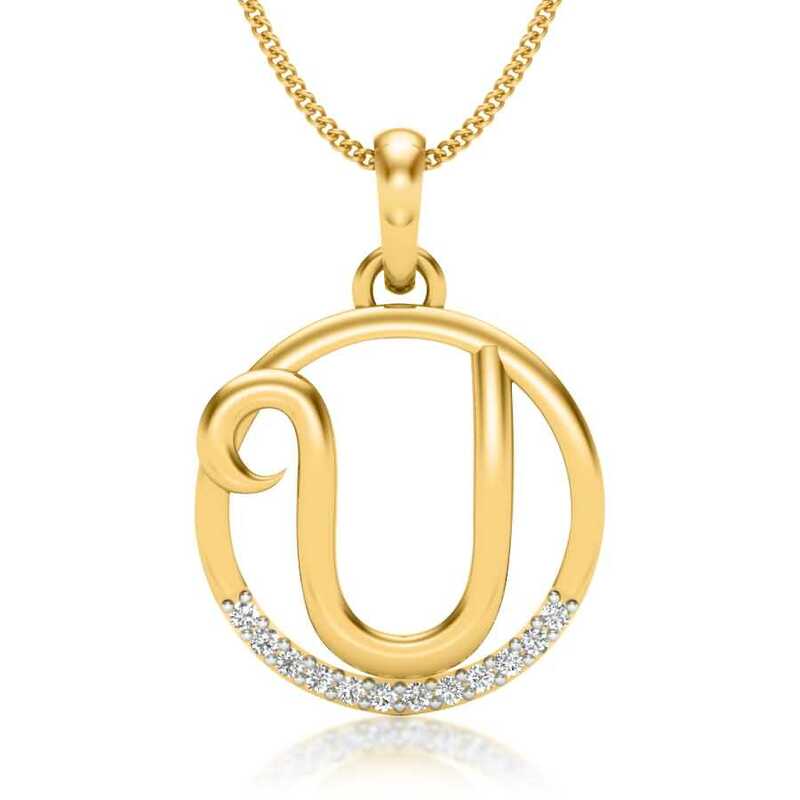 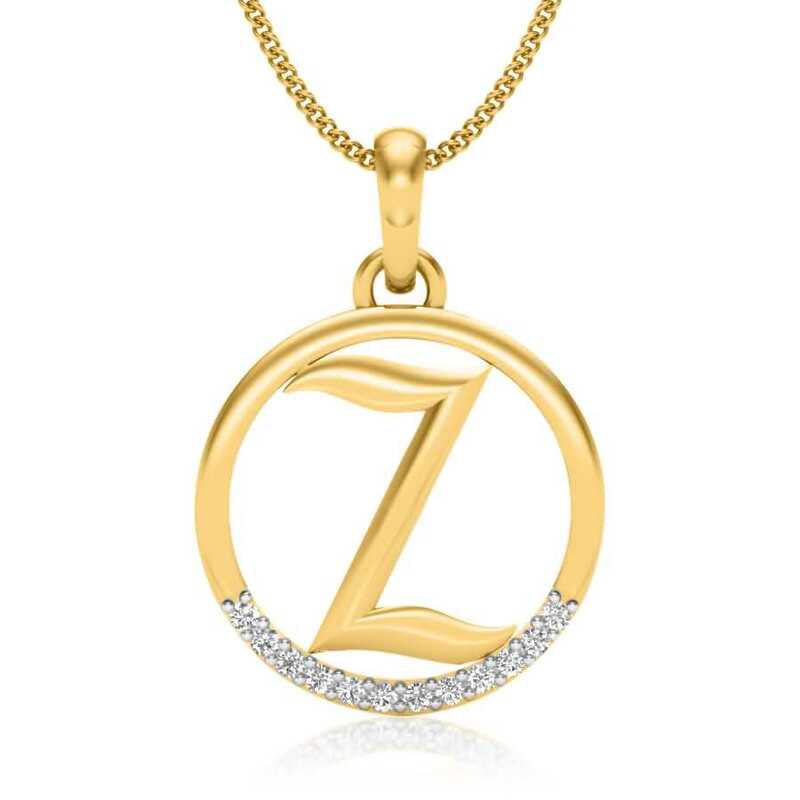 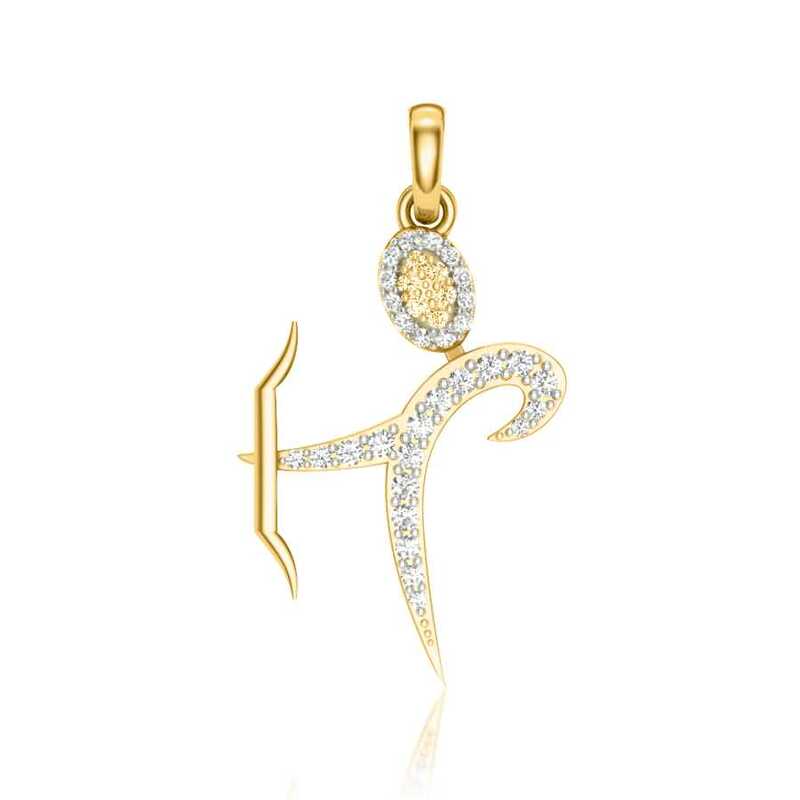 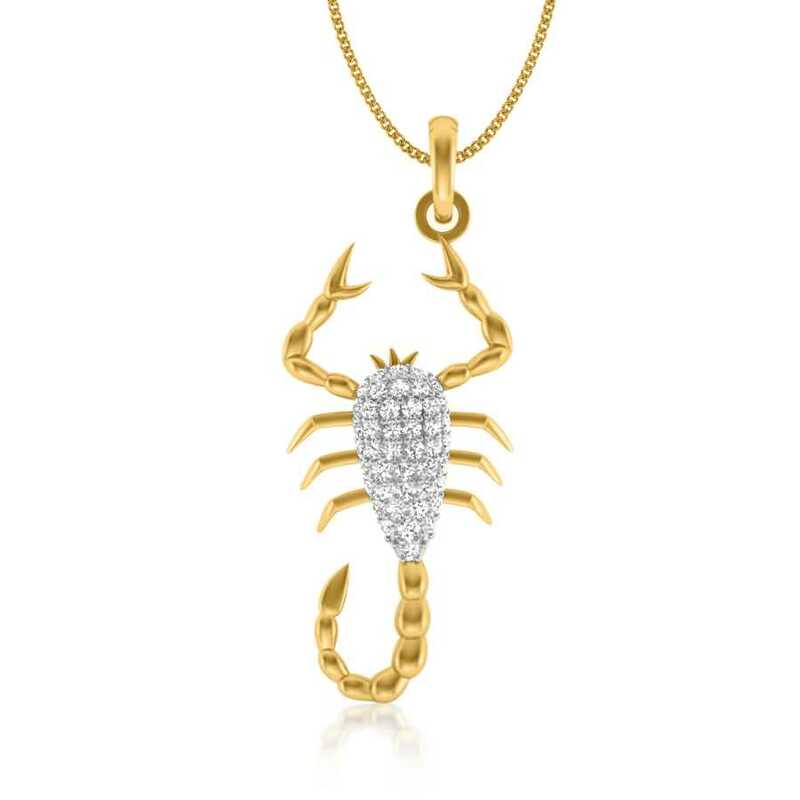 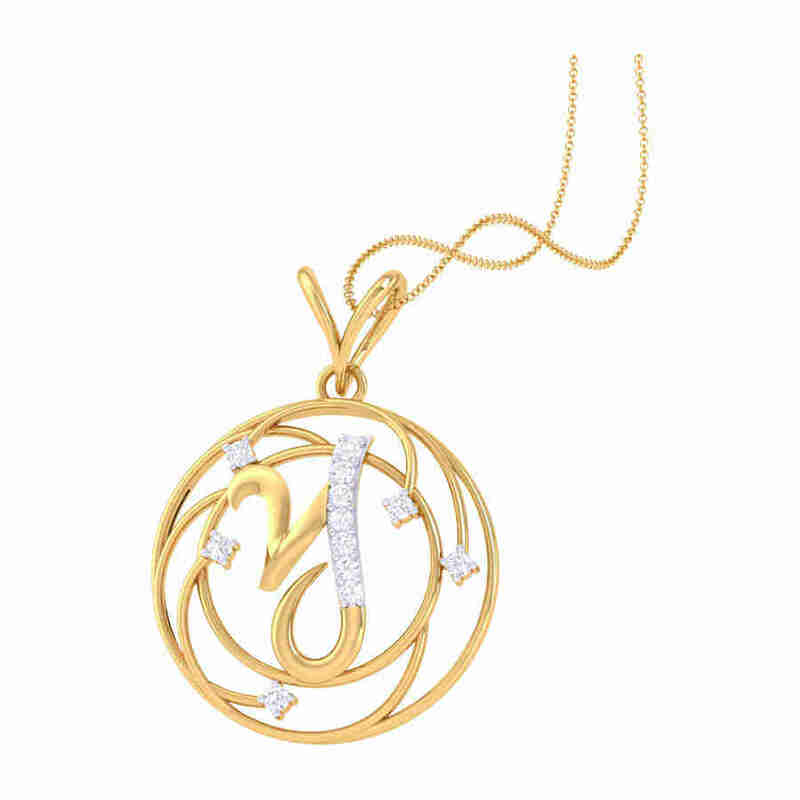 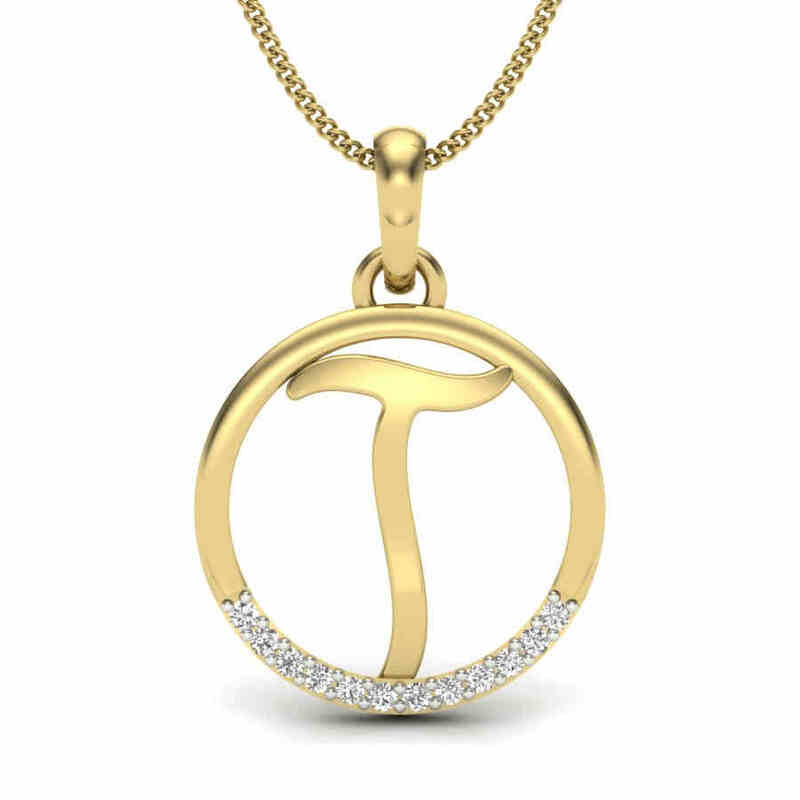 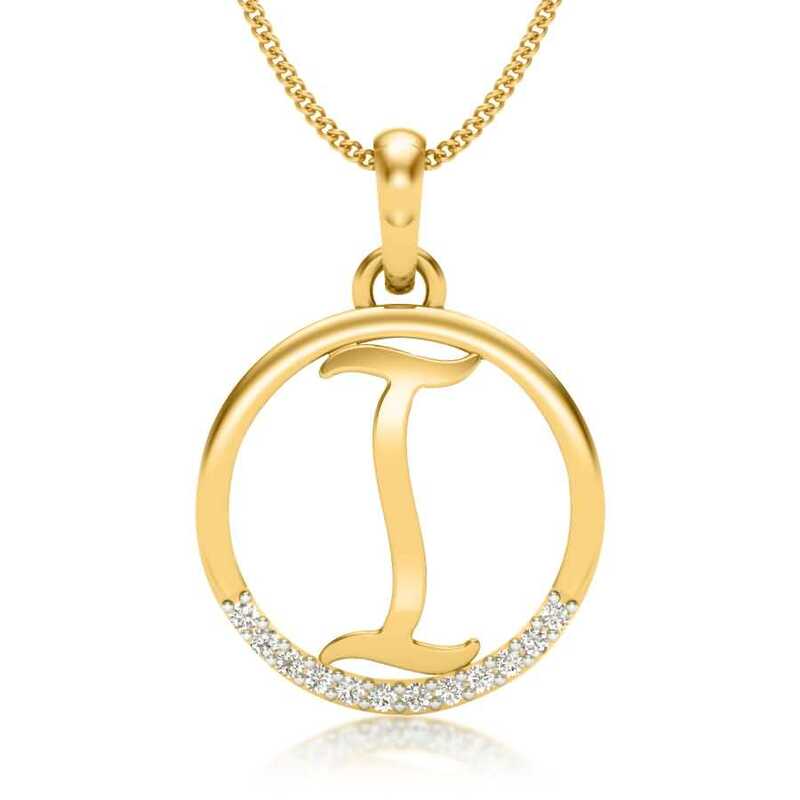 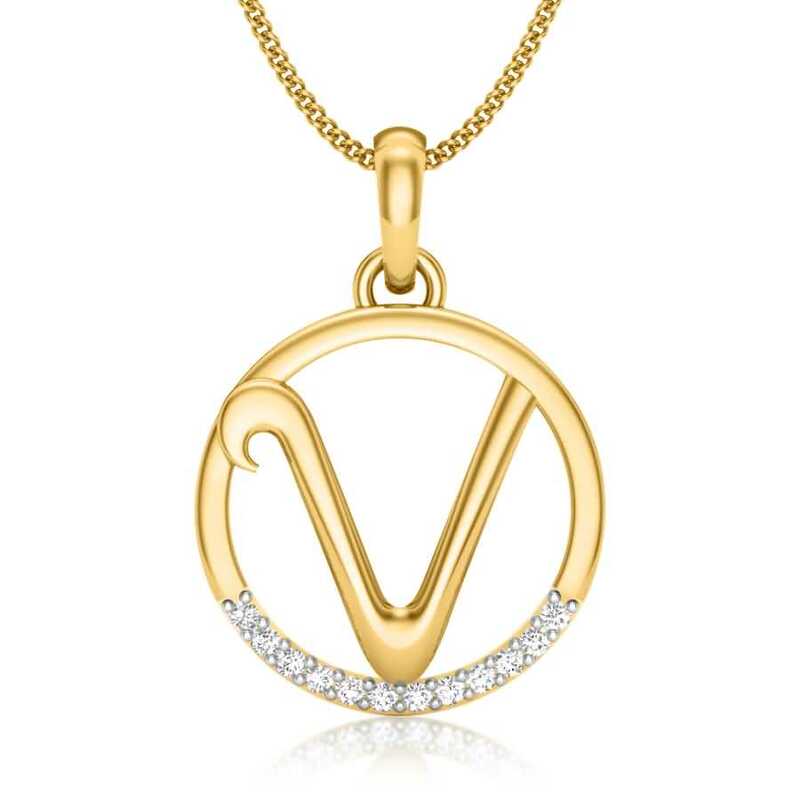 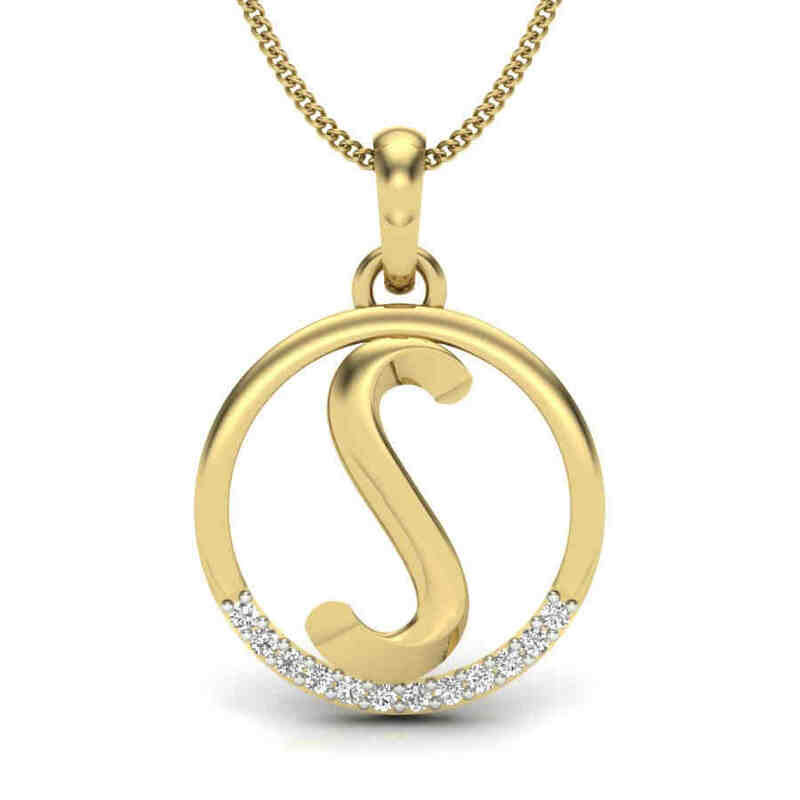 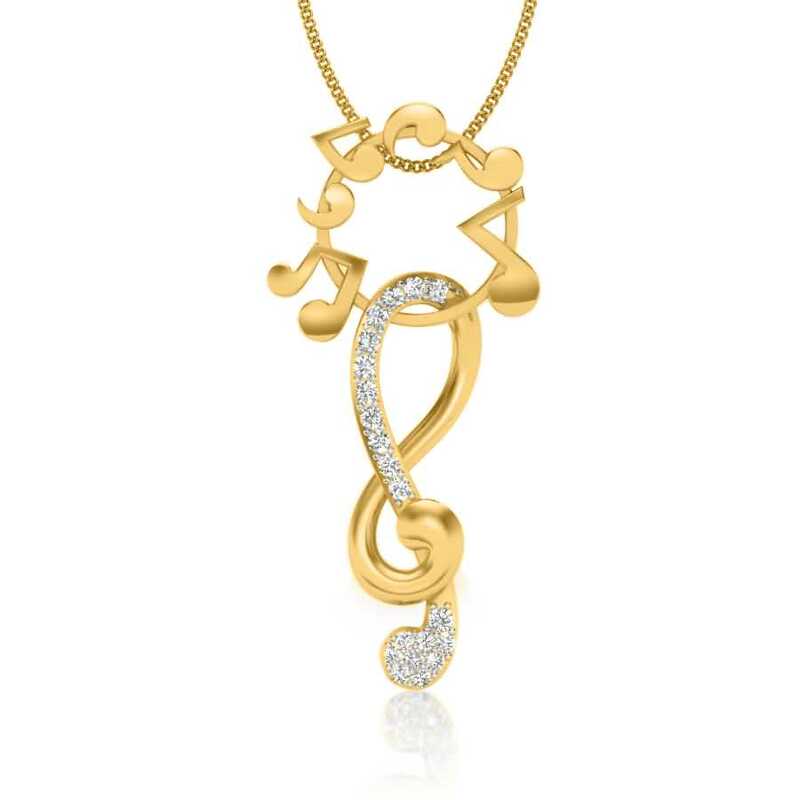 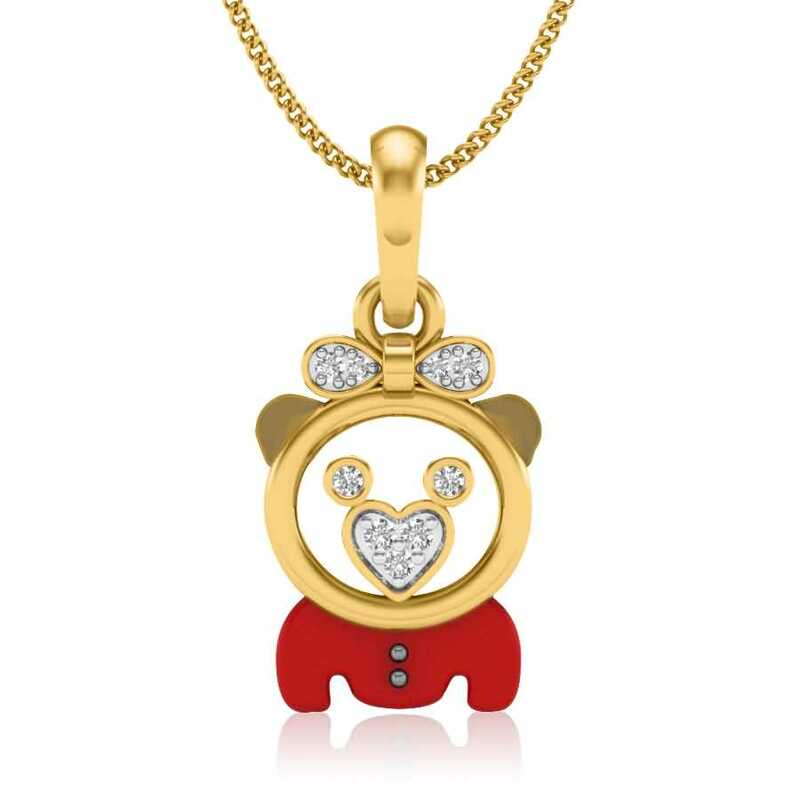 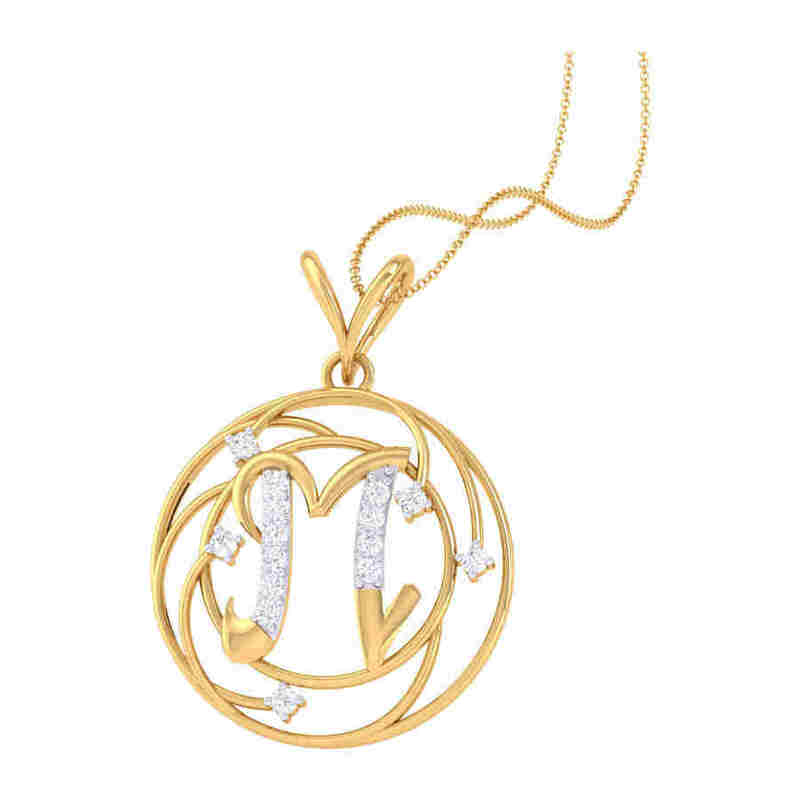 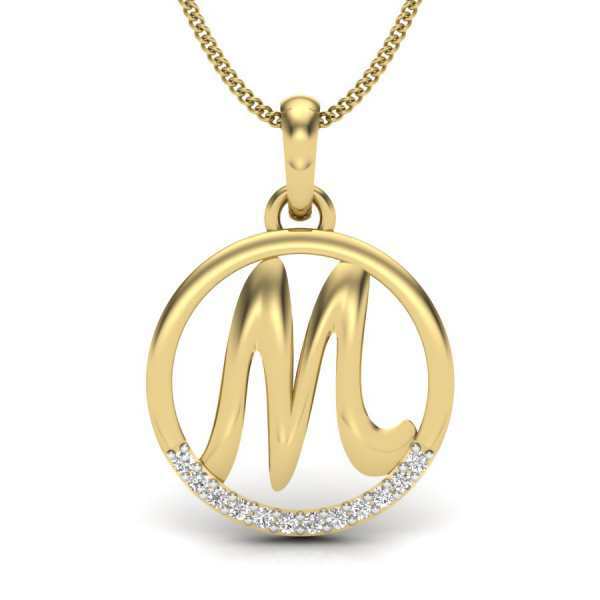 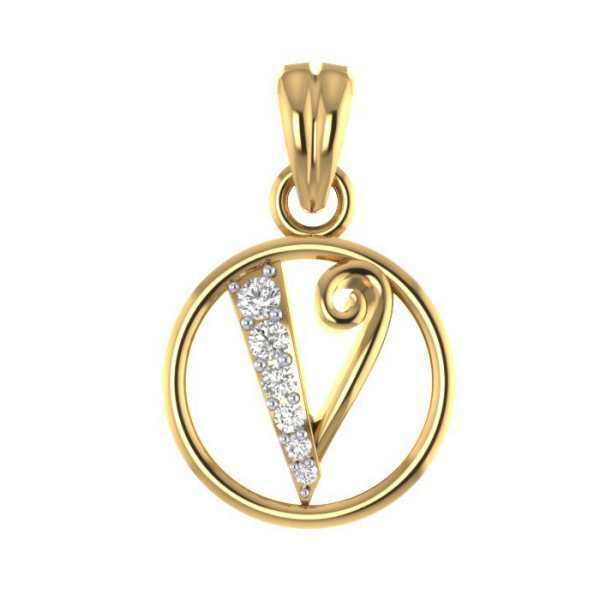 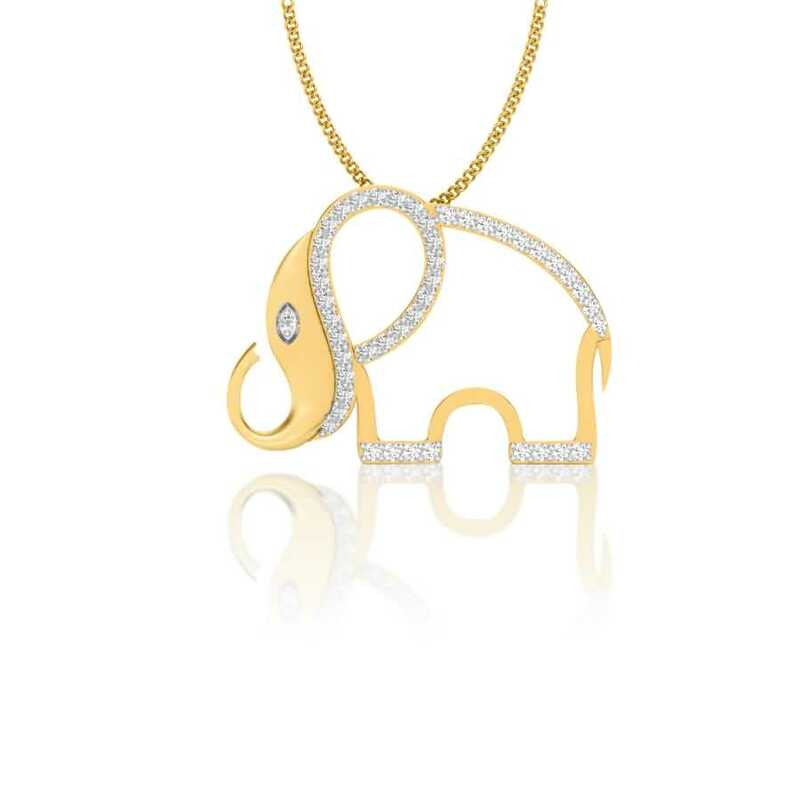 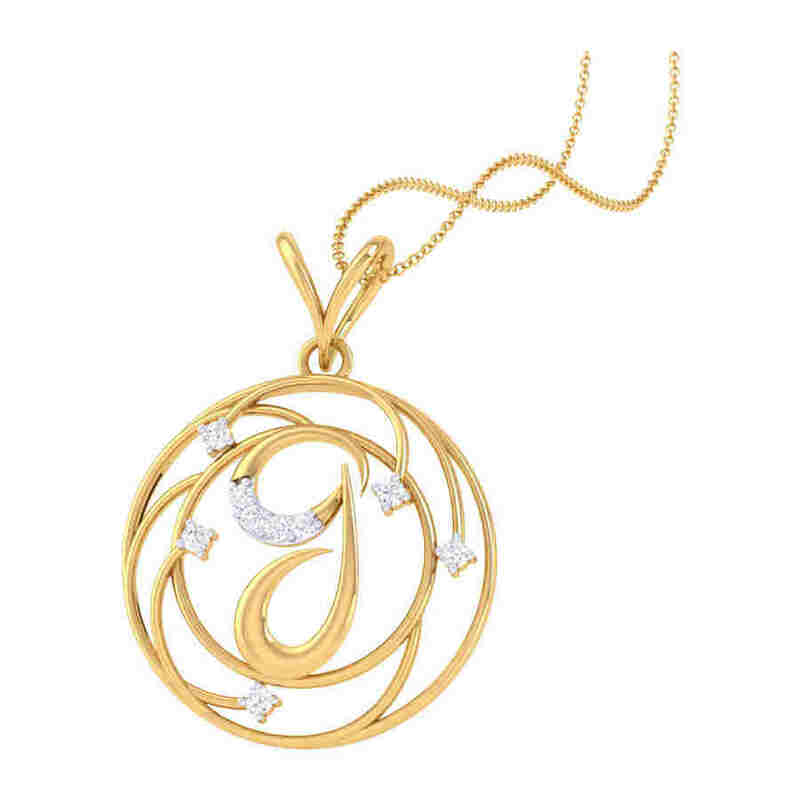 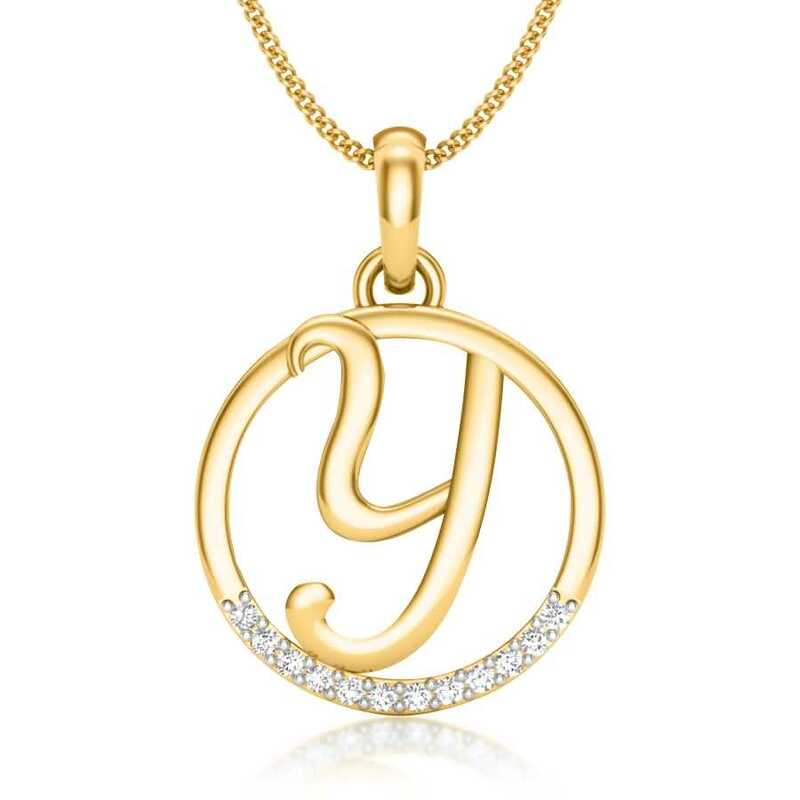 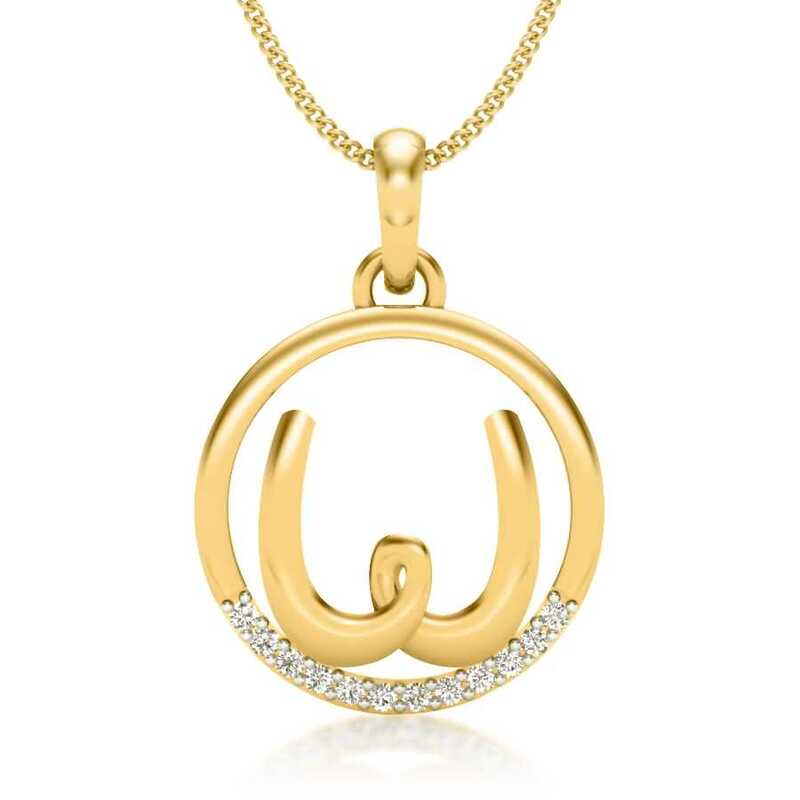 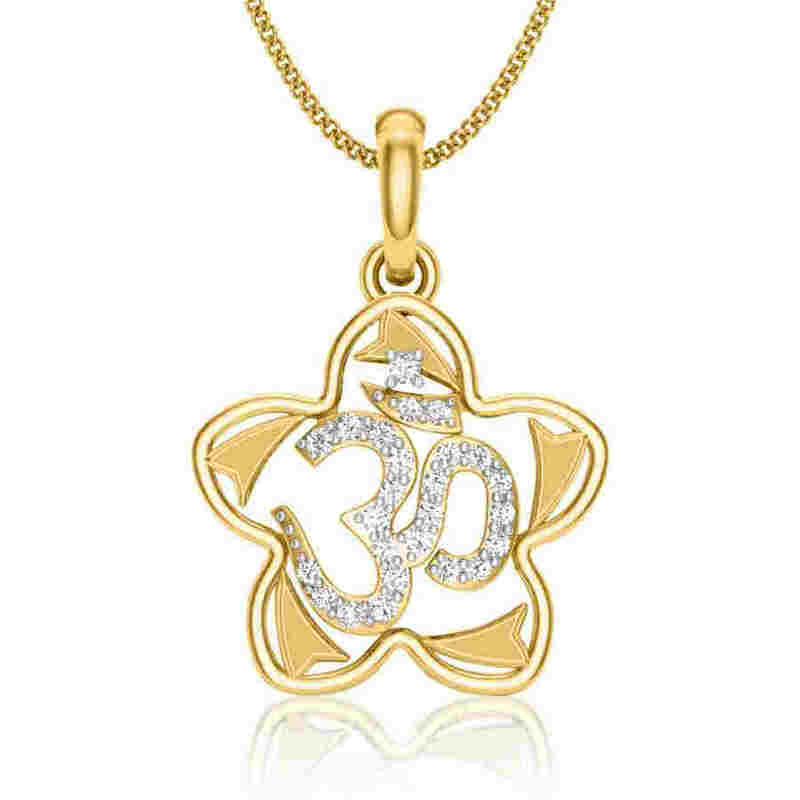 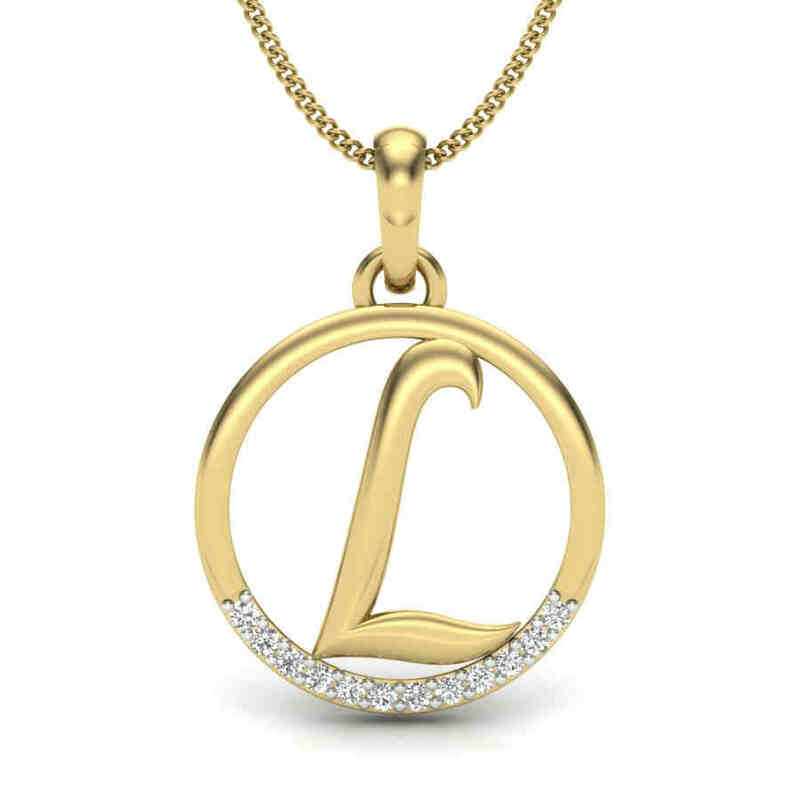 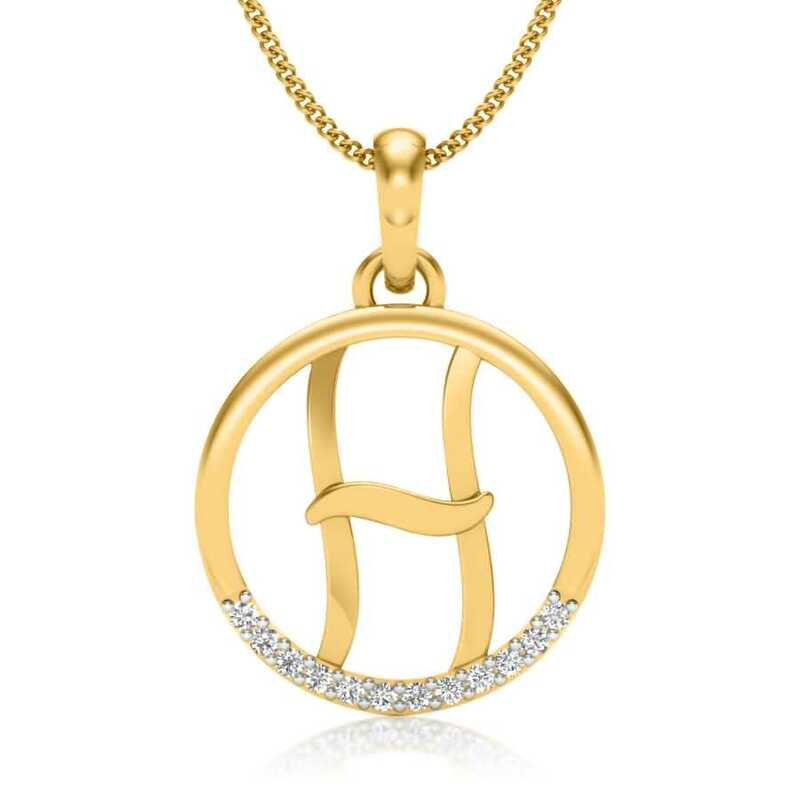 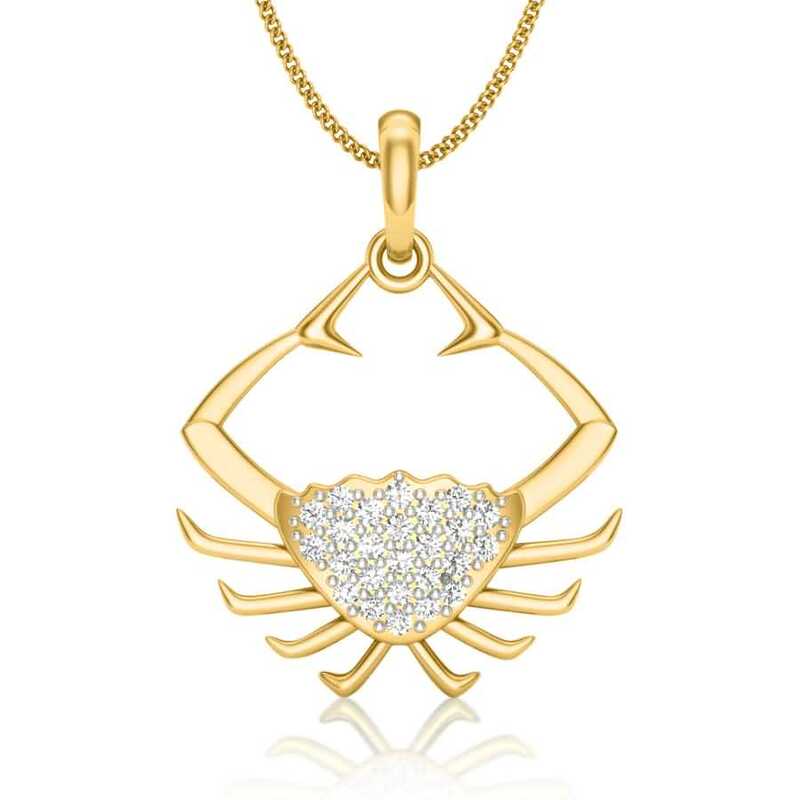 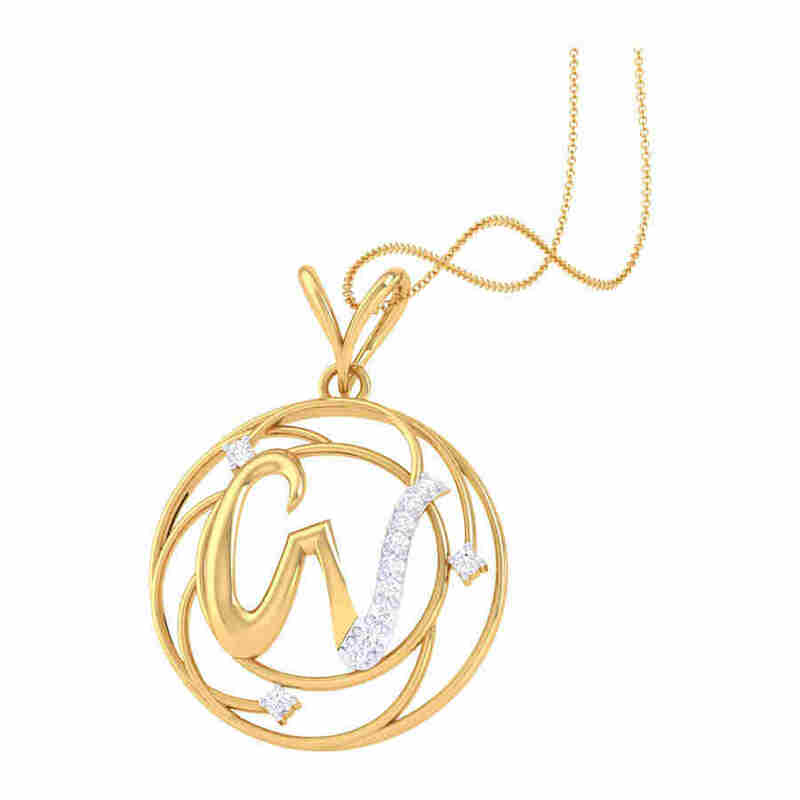 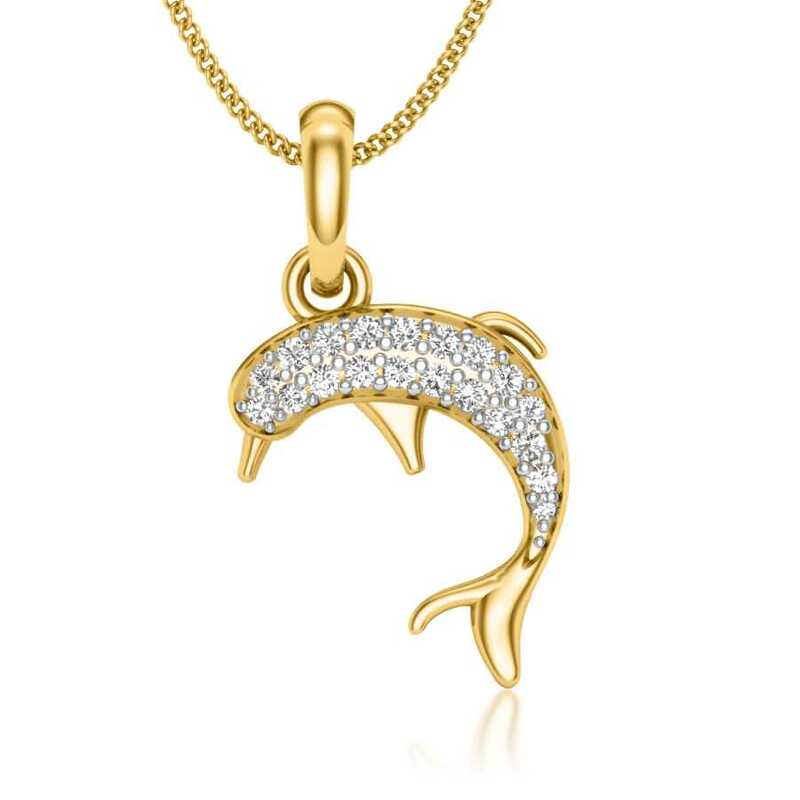 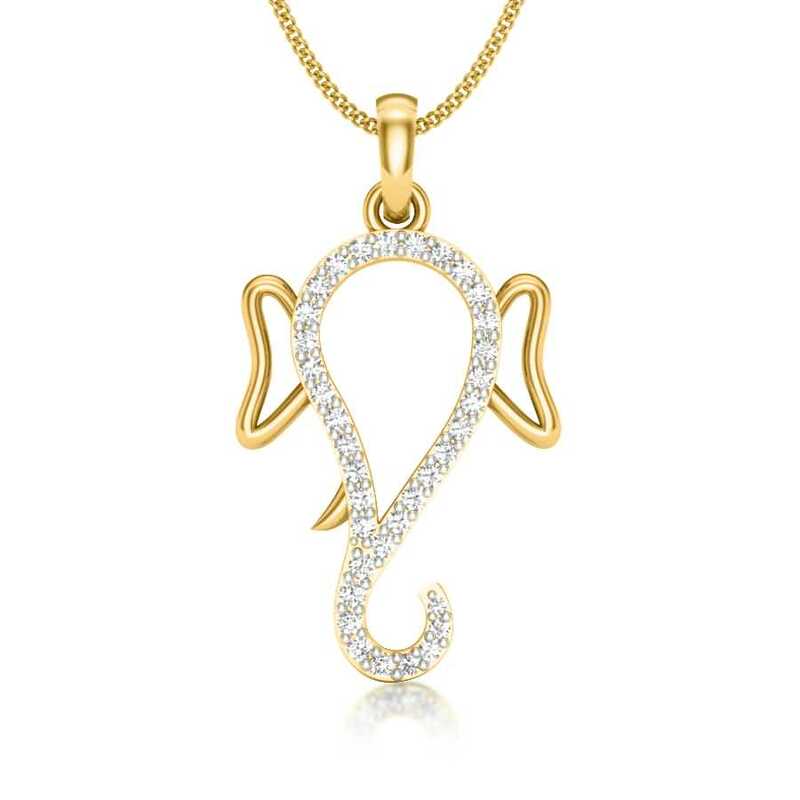 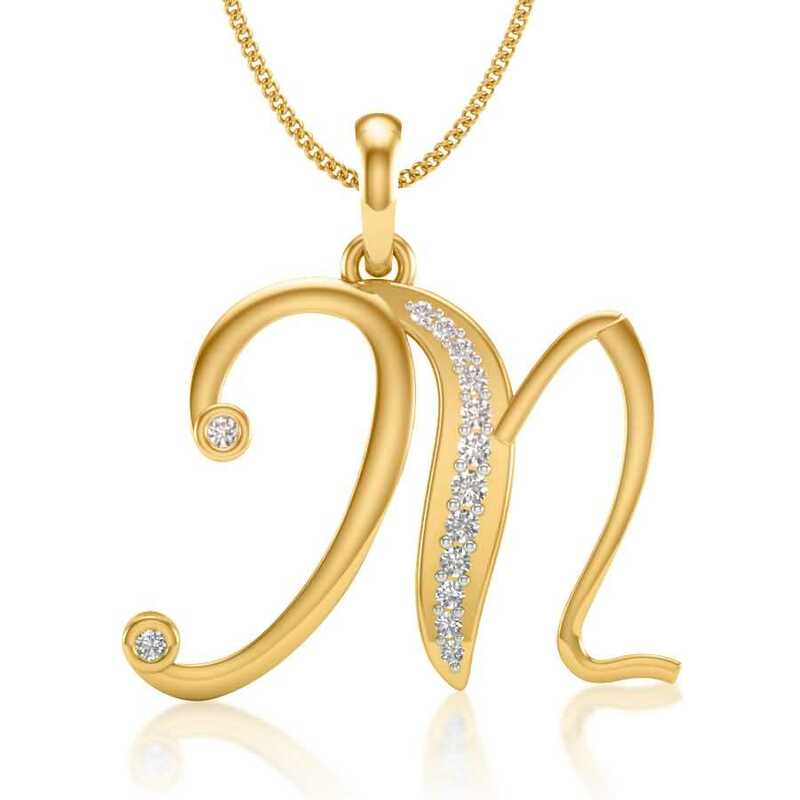 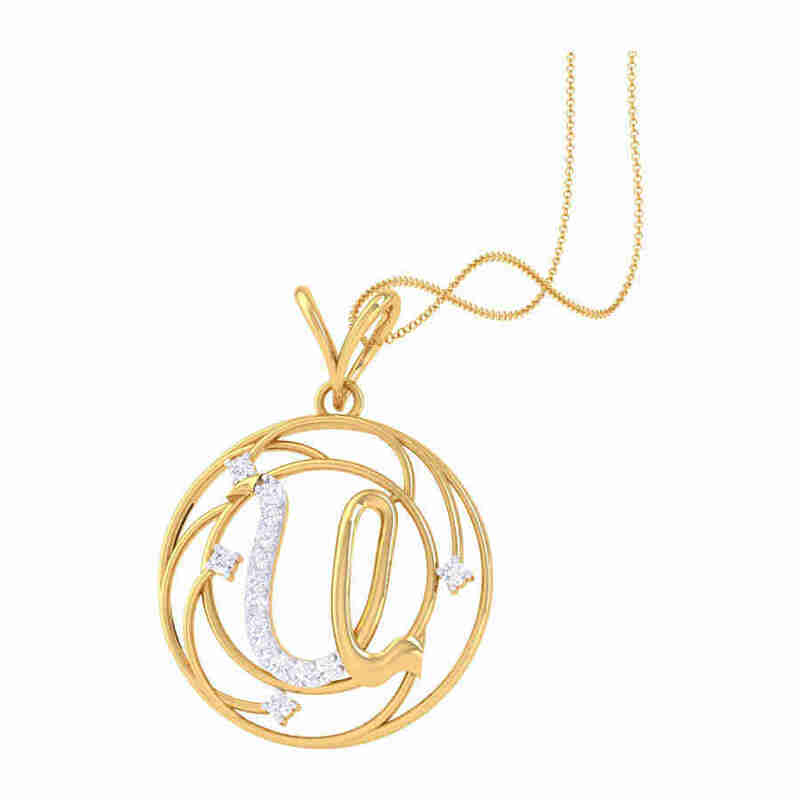 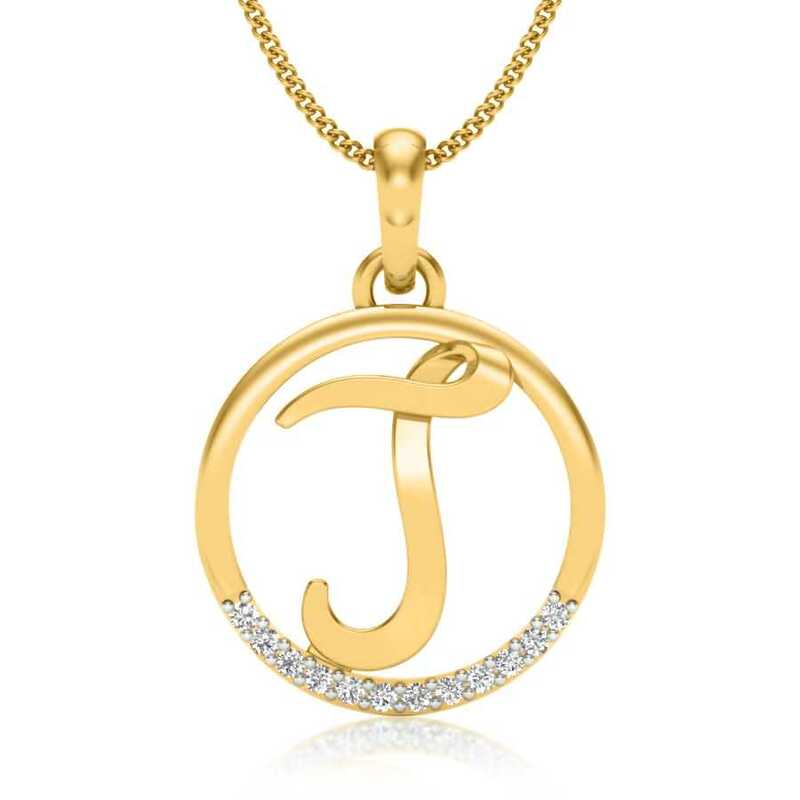 If you want something to talk about your personality, then a pendant featuring your zodiac sign is best for you. 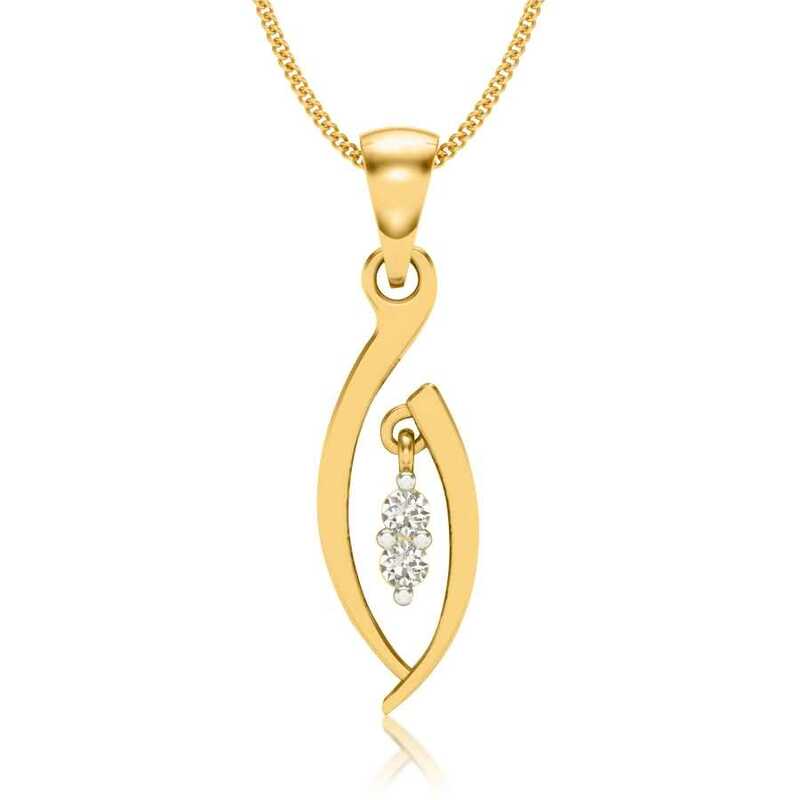 It’s a notion that men aren’t fond of pendants. 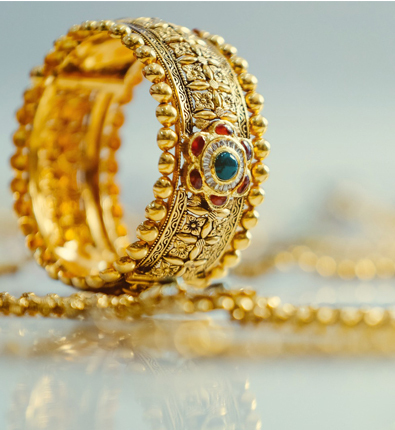 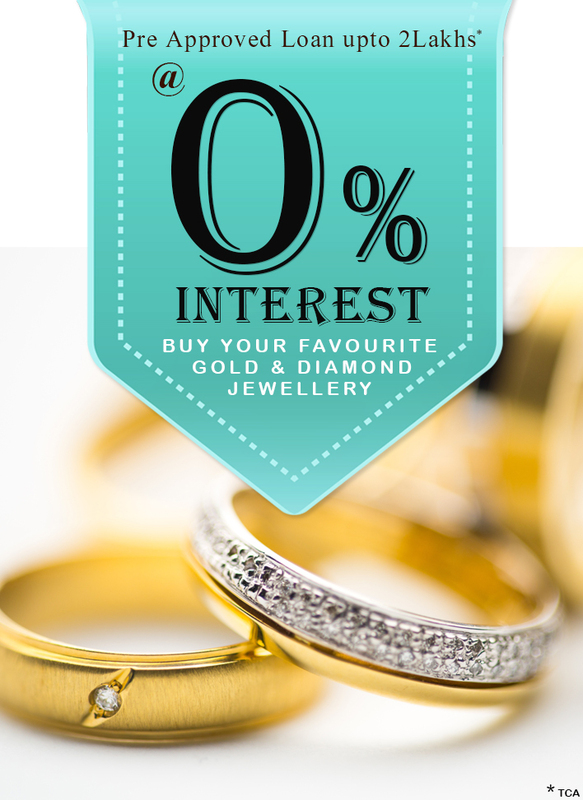 In fact, men like their jewellery more than you know. 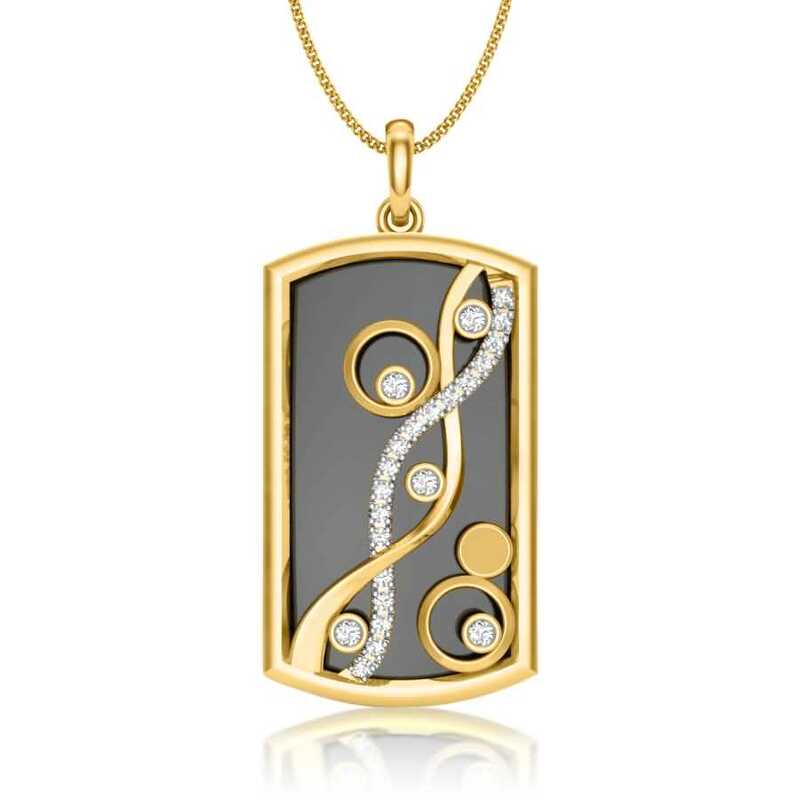 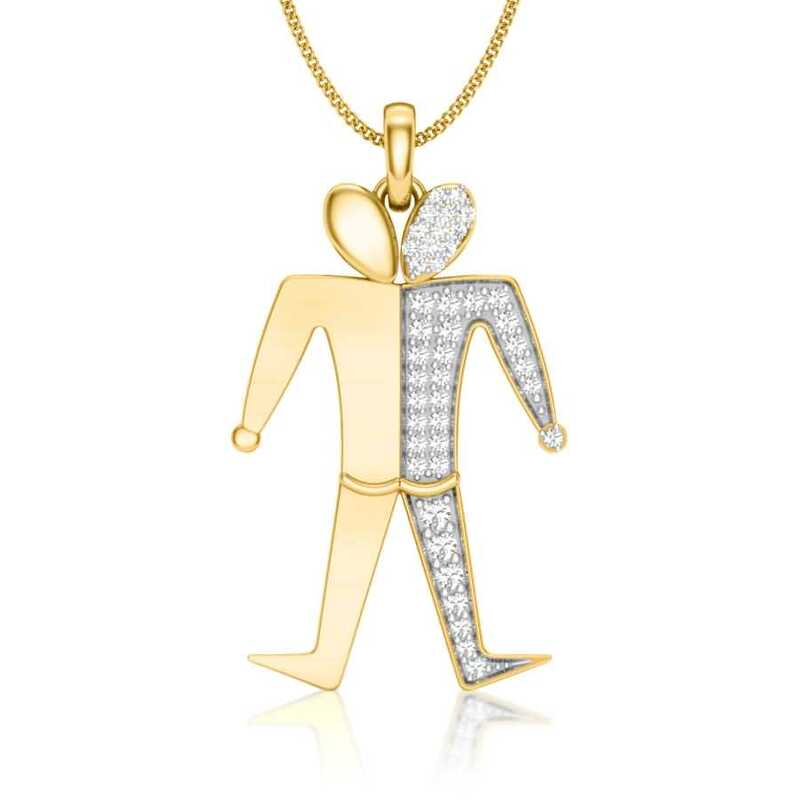 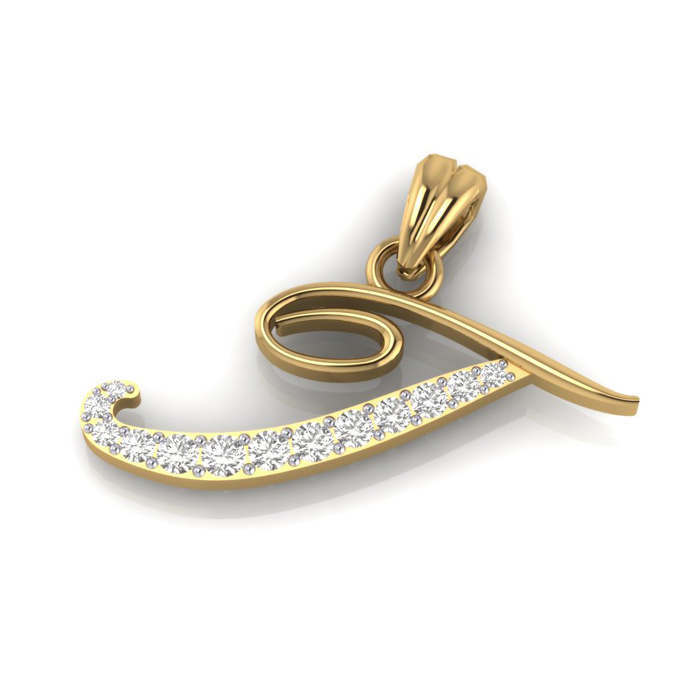 Diamond pendants showcasing masculine and bold designs in platinum or gold can be worn by men on casual and formal wear. 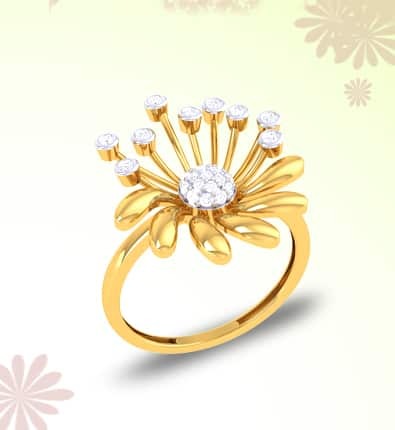 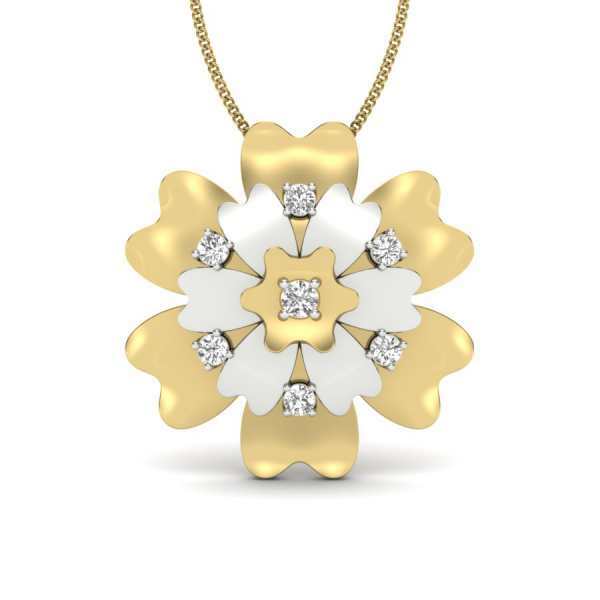 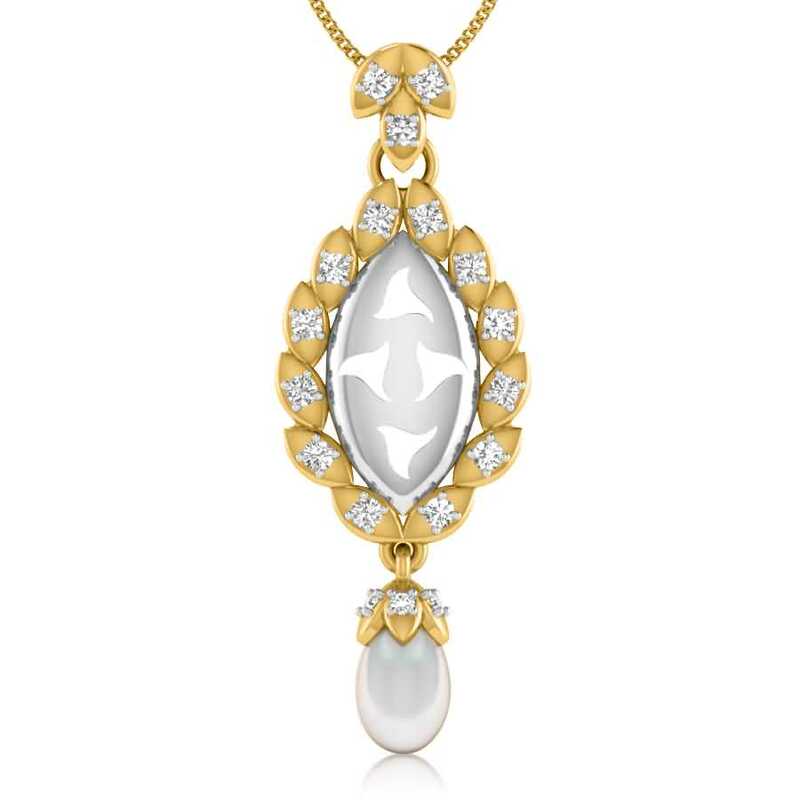 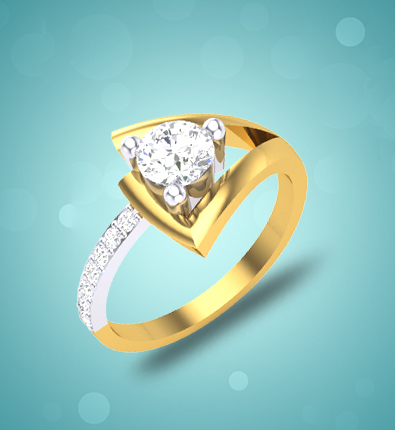 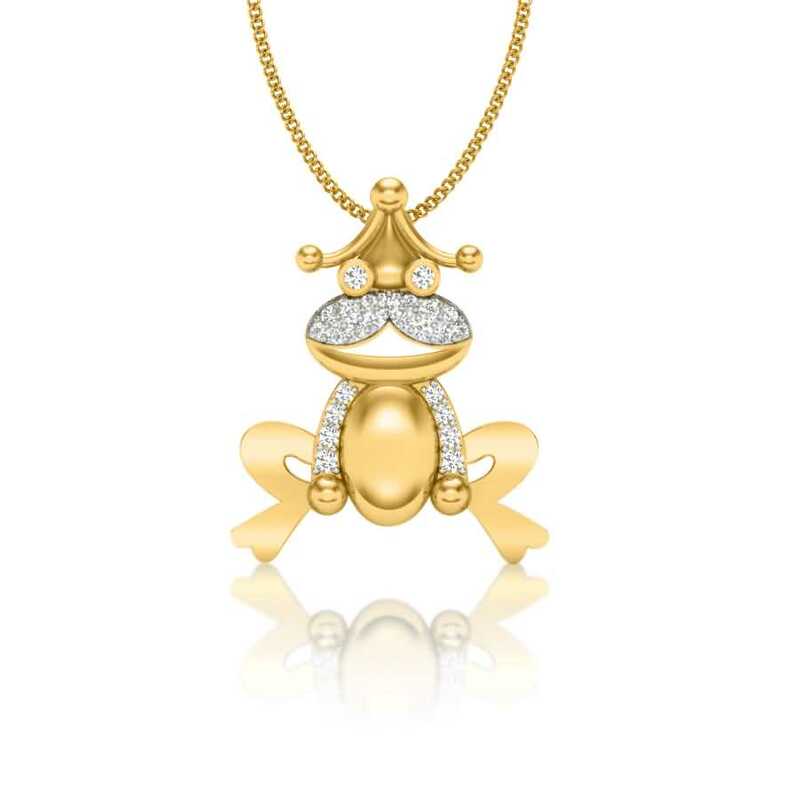 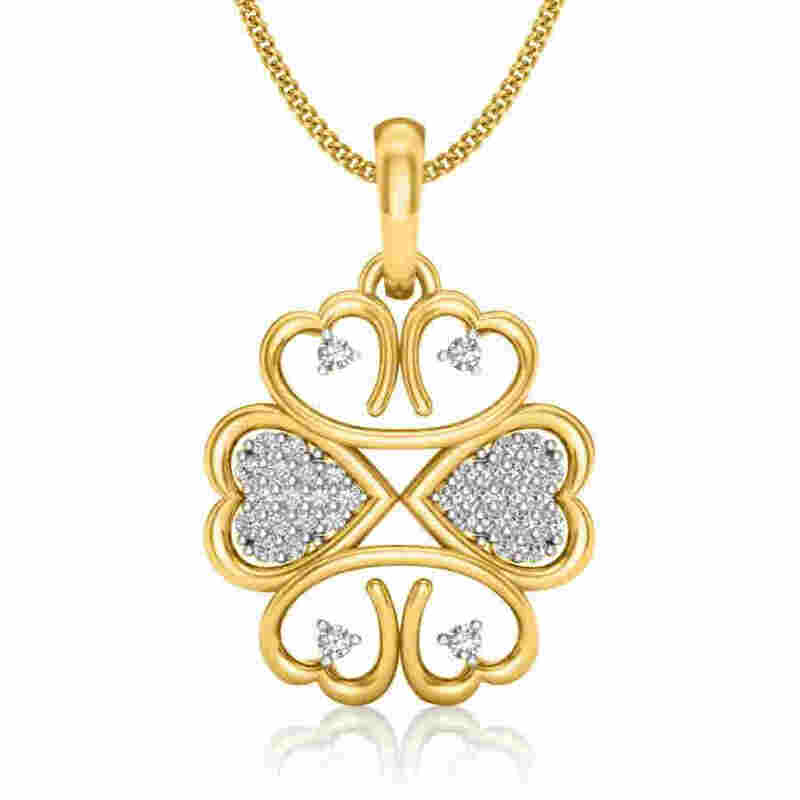 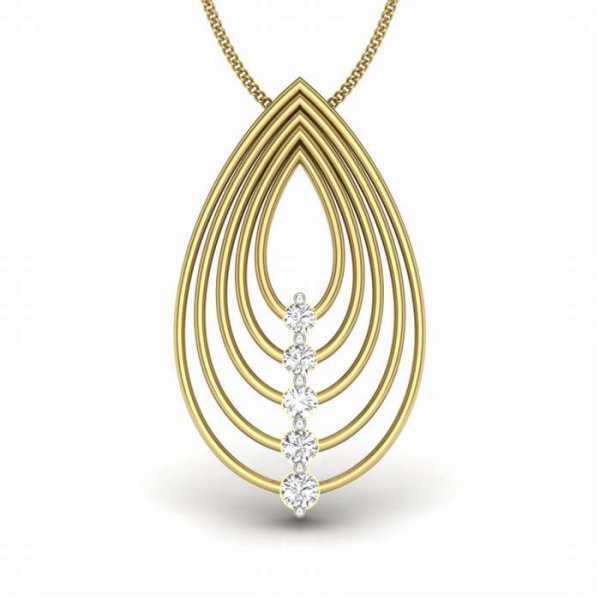 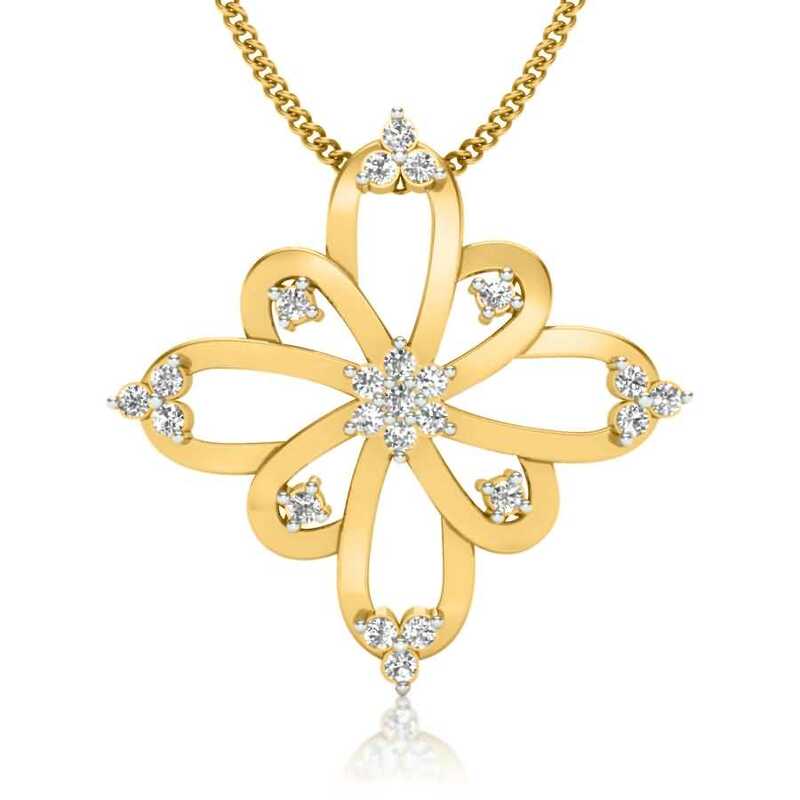 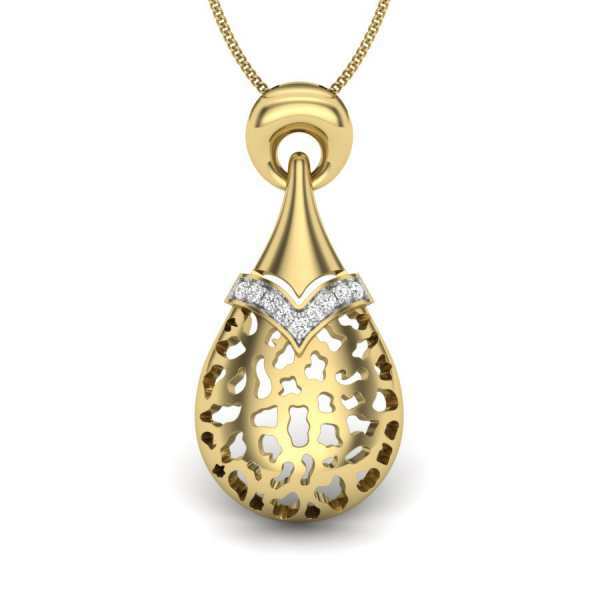 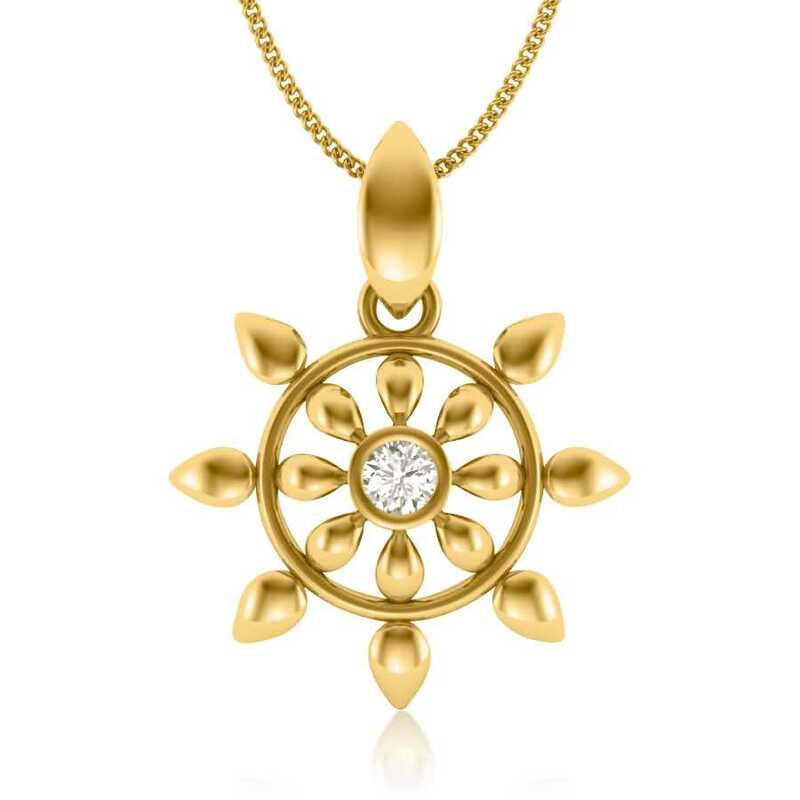 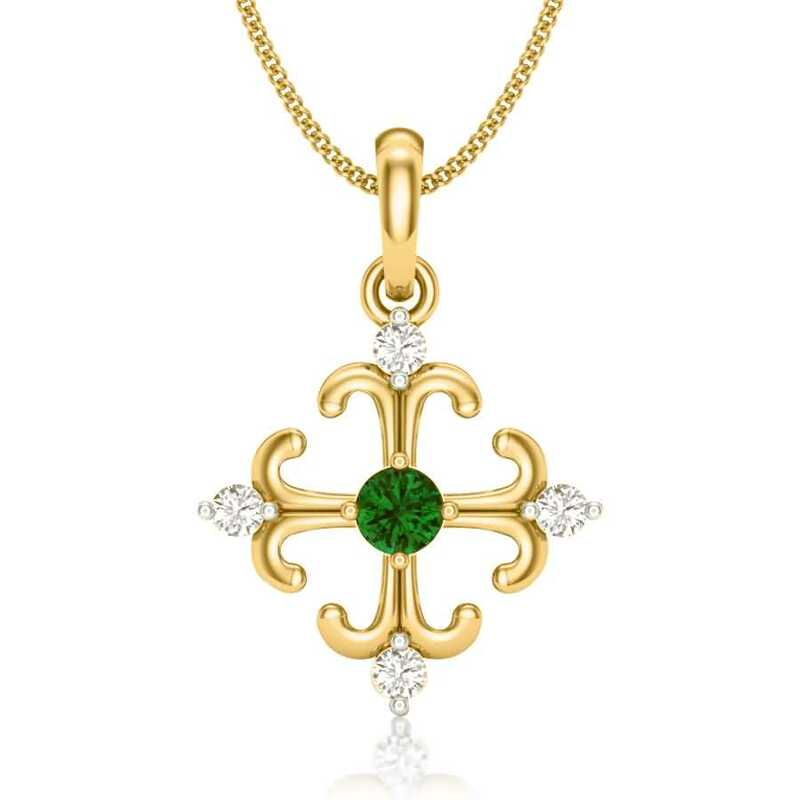 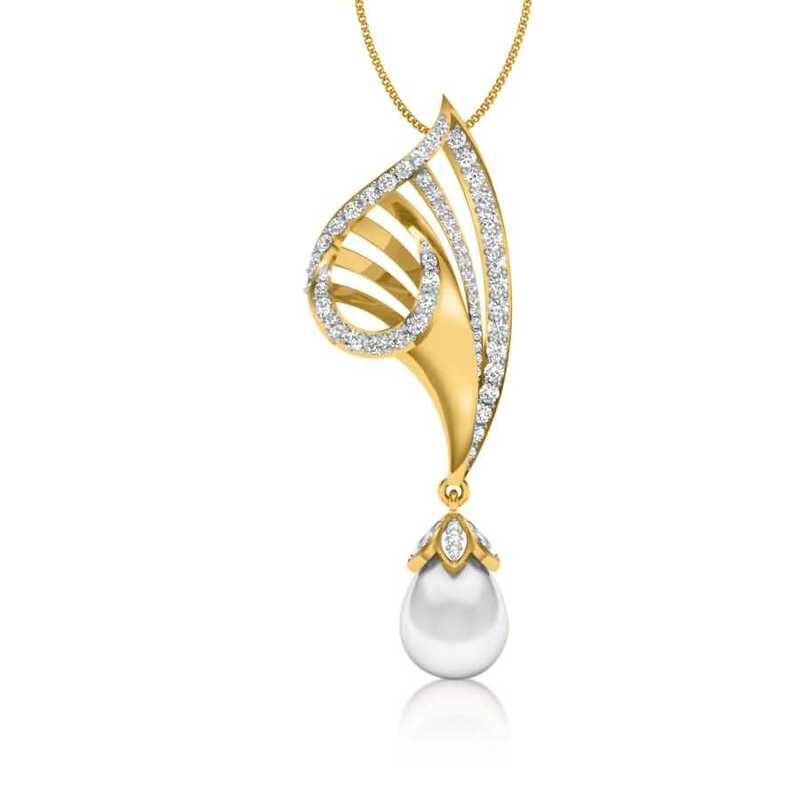 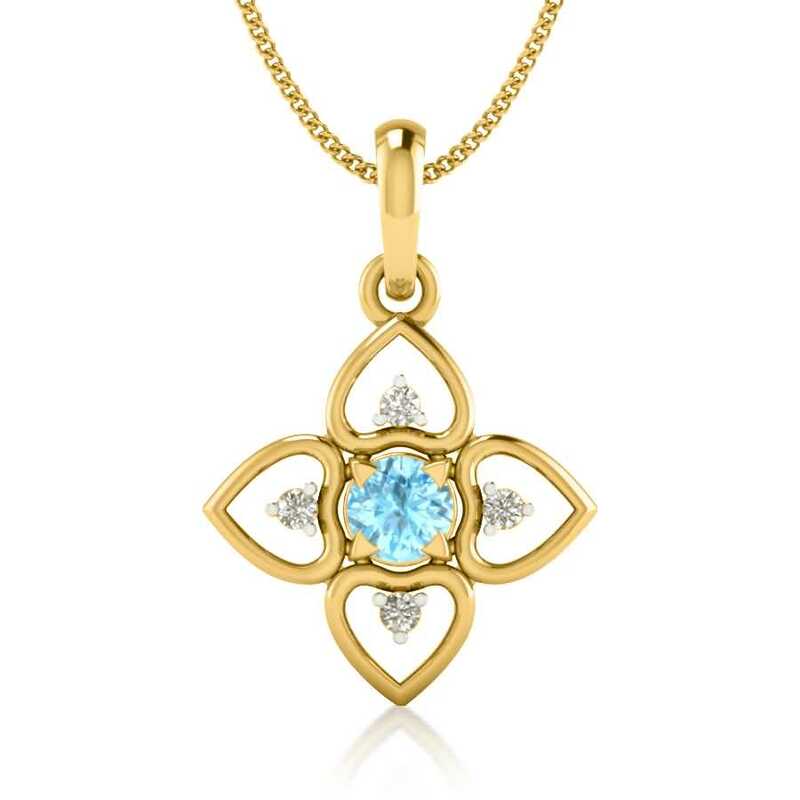 Whether your pendant features a solitaire or an intricate design with a vintage styling, it will be a timelessly chic accessory that you will be proud to wear.